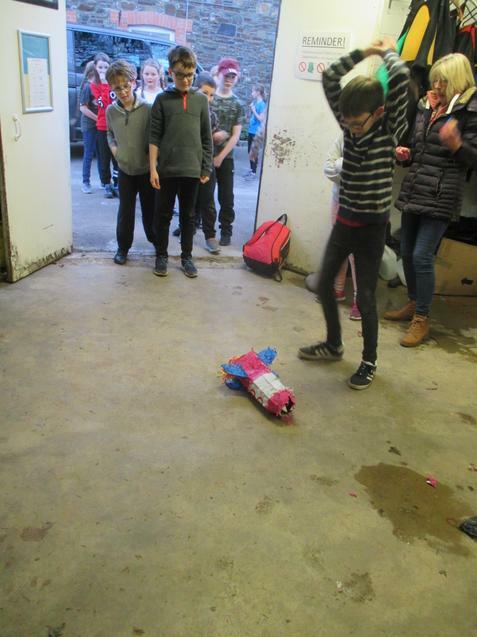 Before half-term we had a brilliant afternoon testing everyone's board games projects! 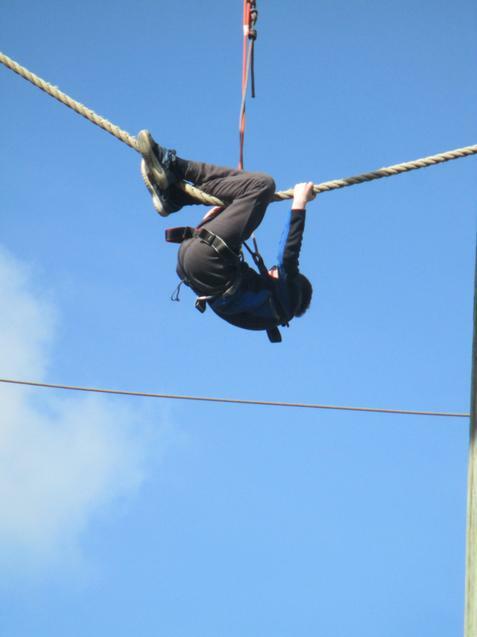 Day 5 - zip wire and street surfing. 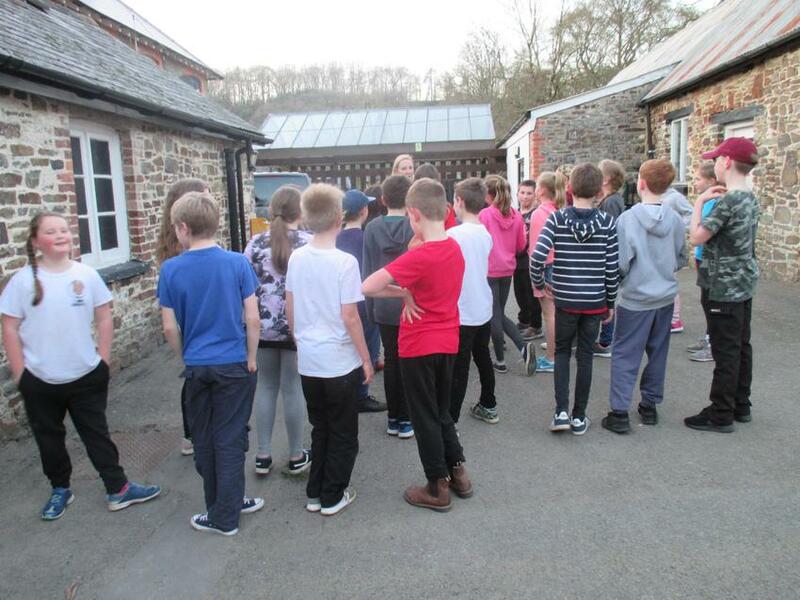 Leaving Beam House at 1:30pm, due to be back just before 3:30pm. 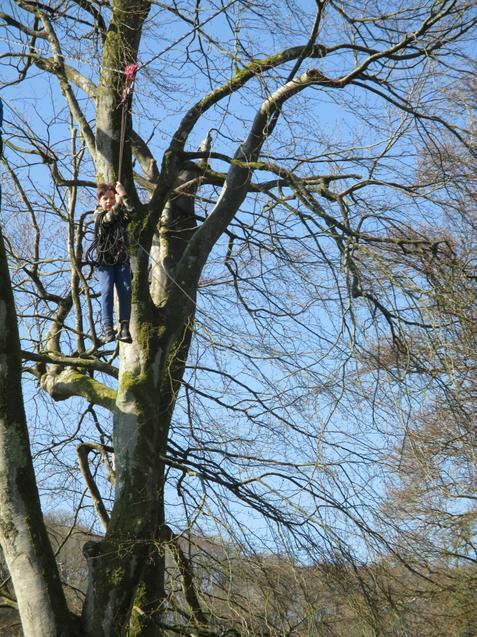 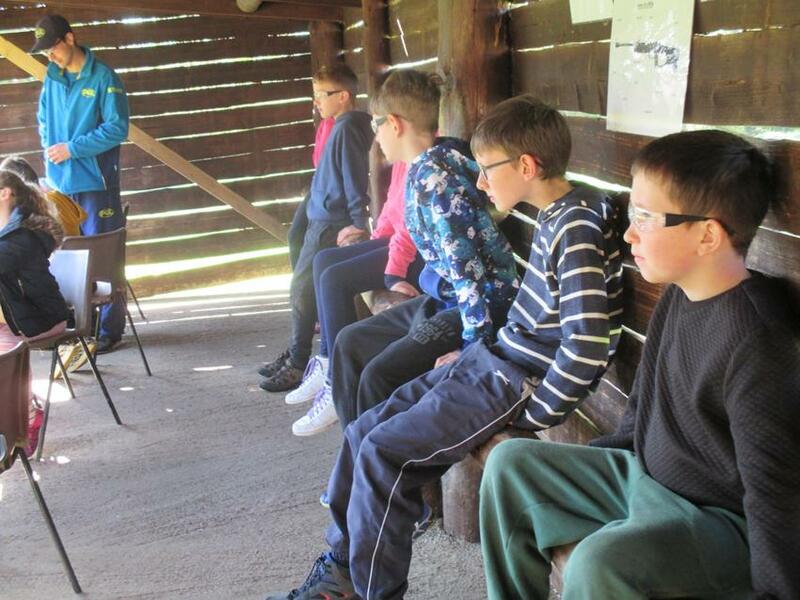 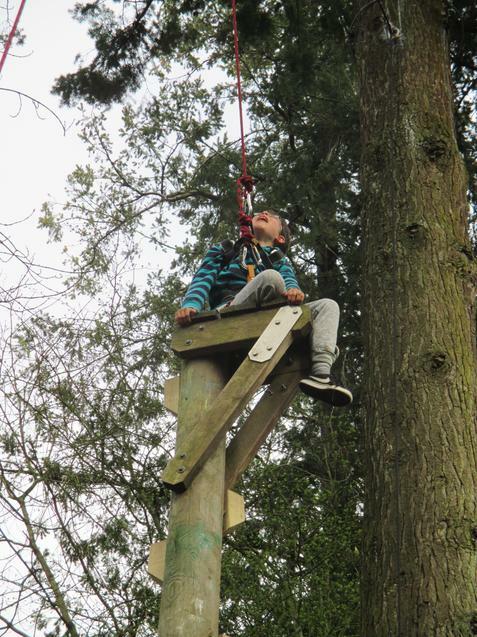 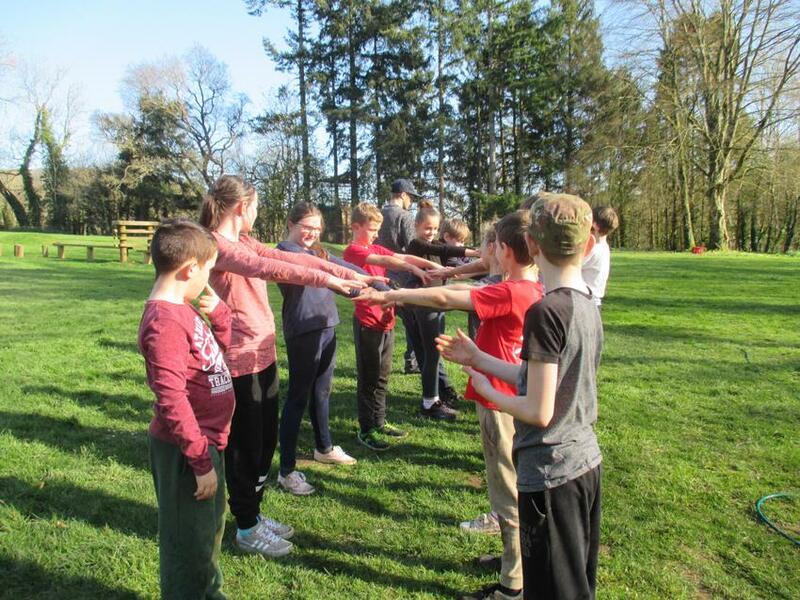 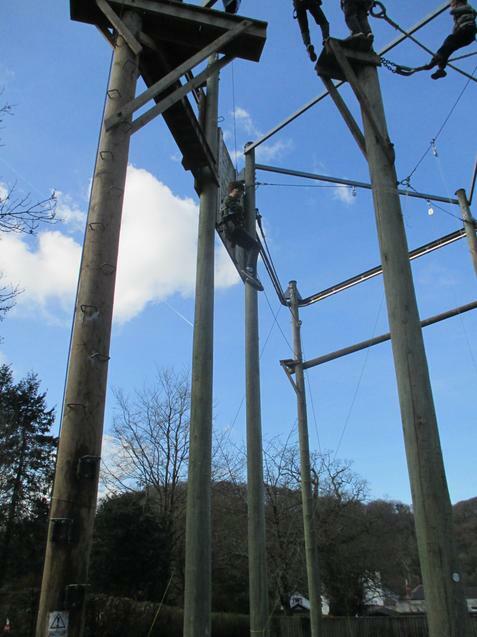 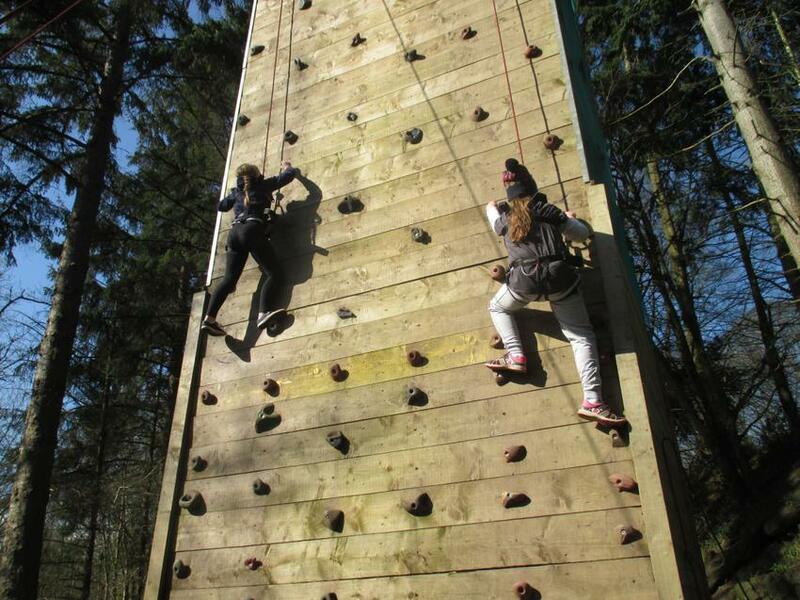 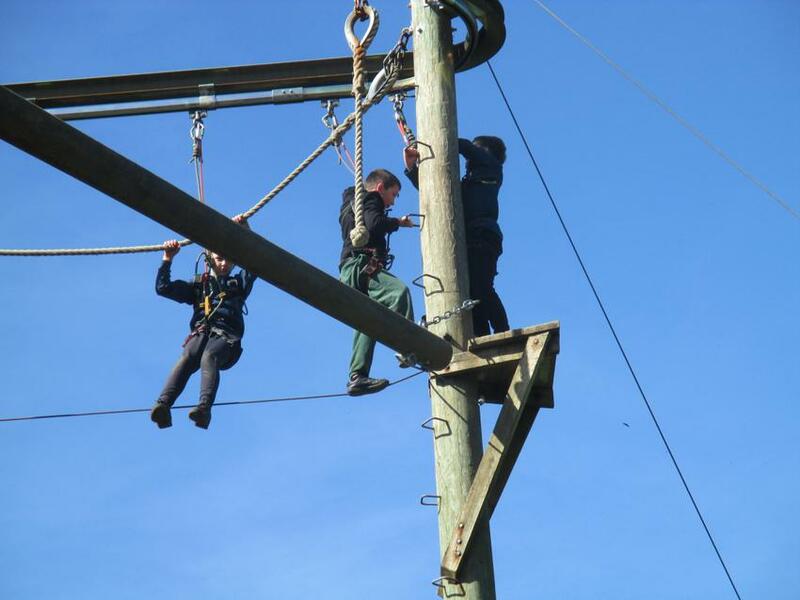 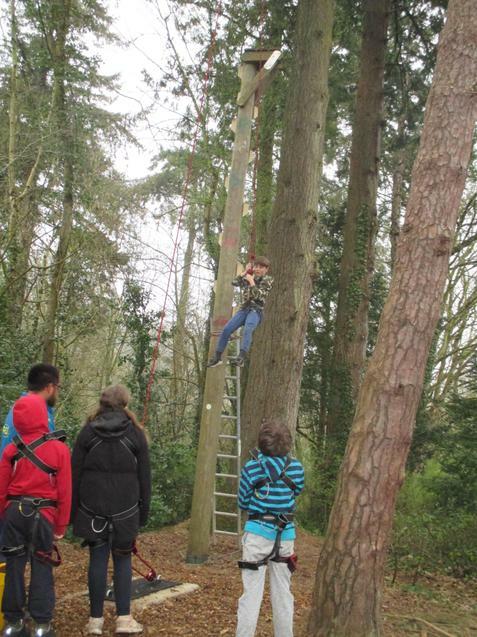 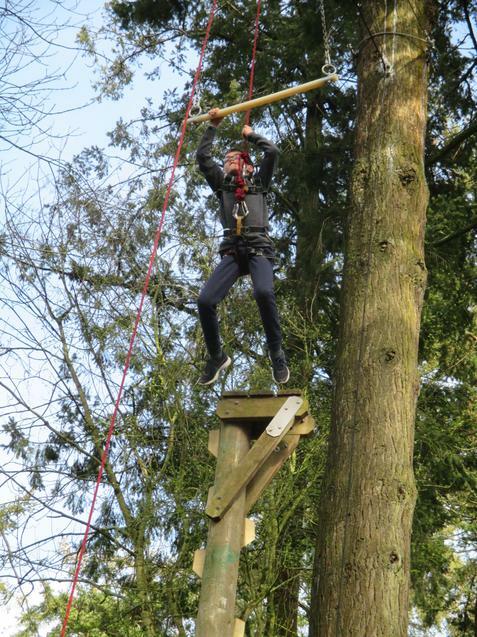 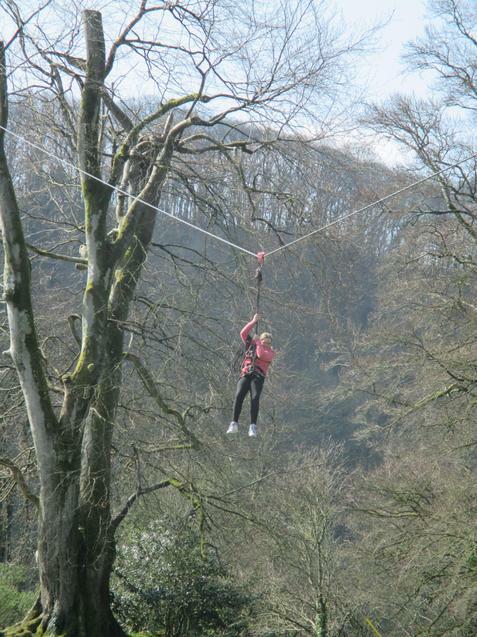 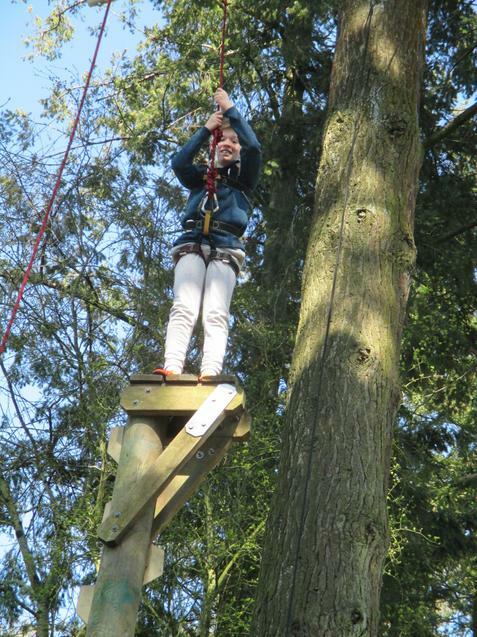 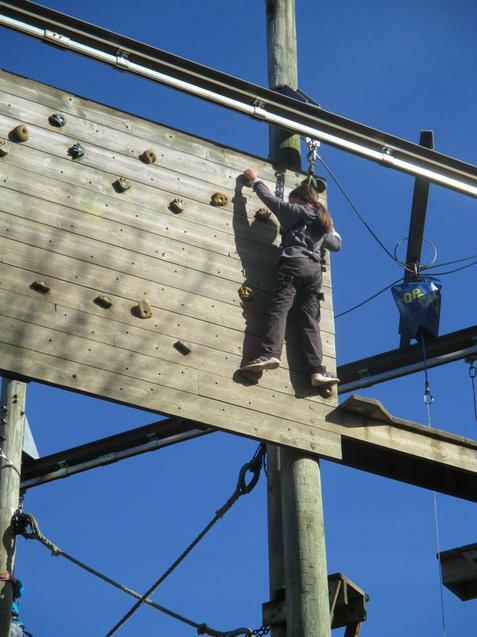 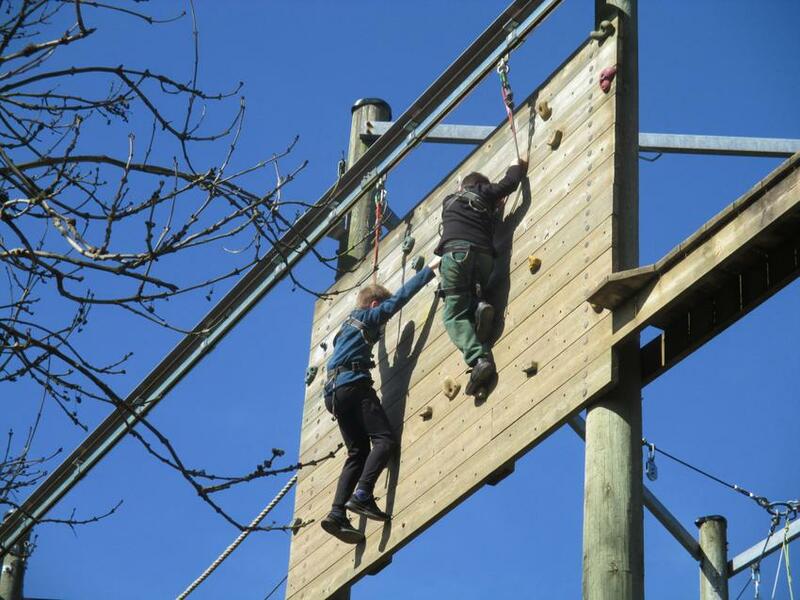 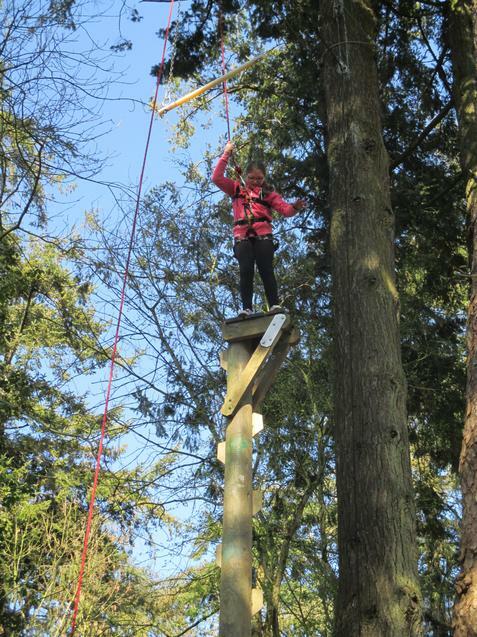 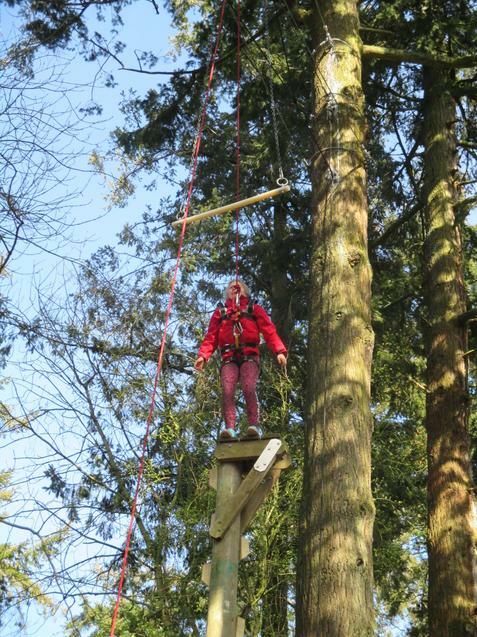 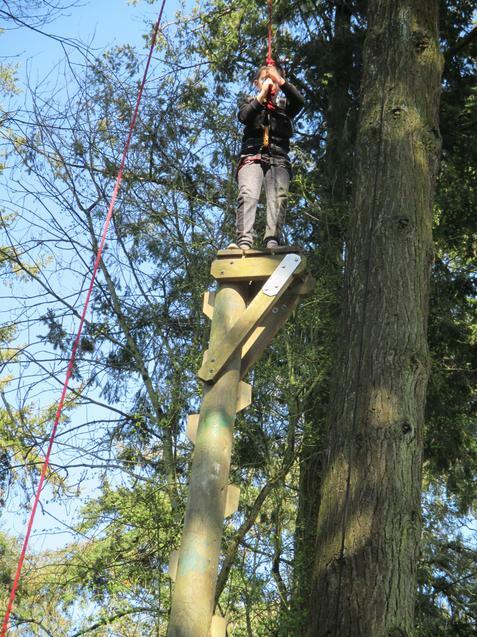 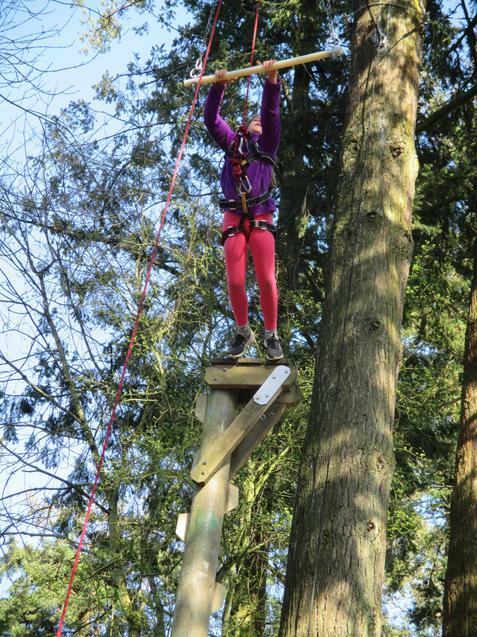 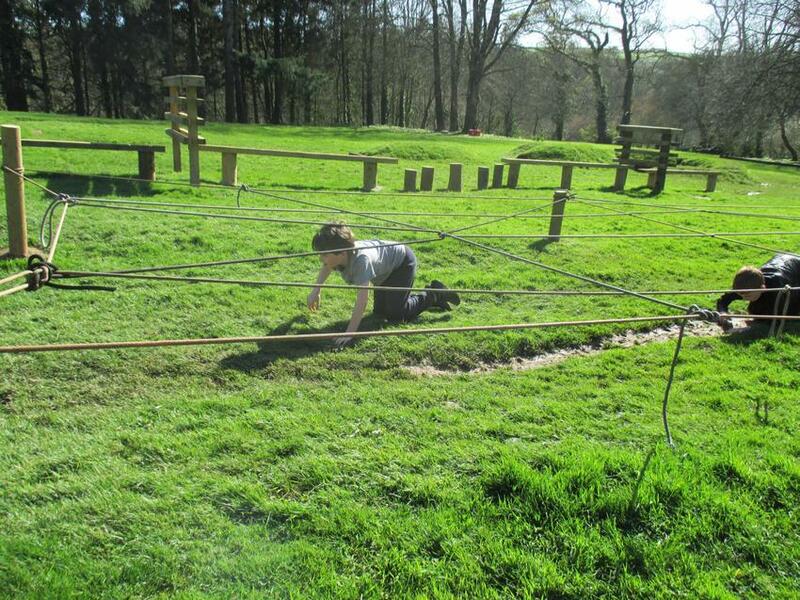 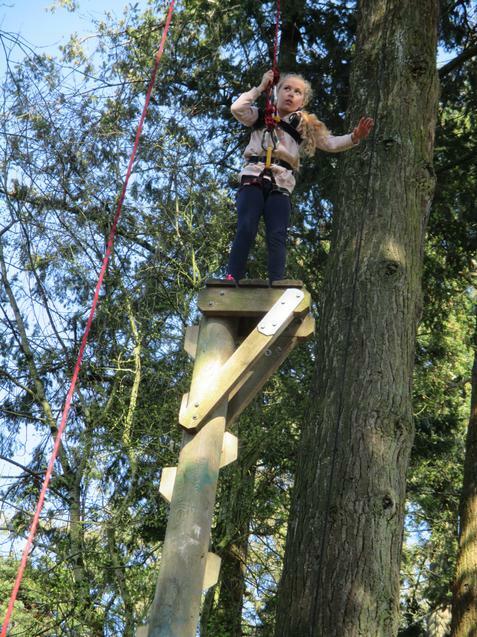 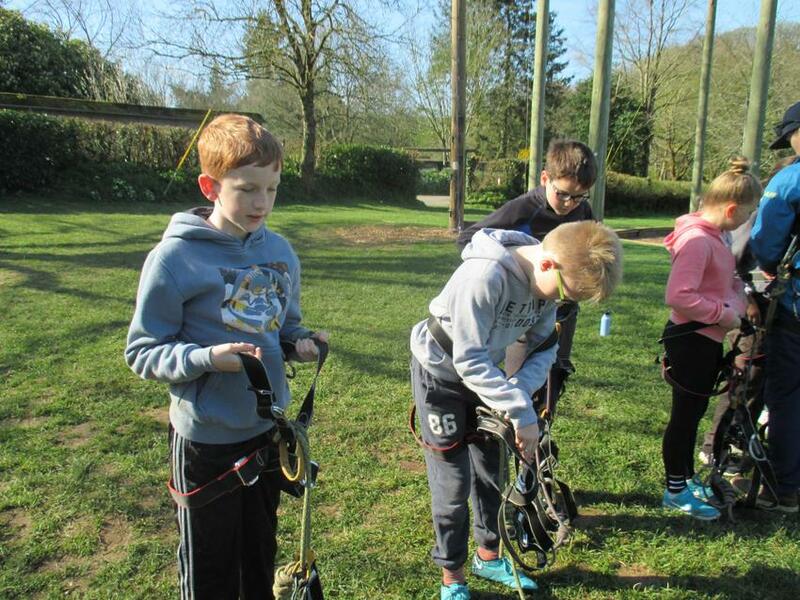 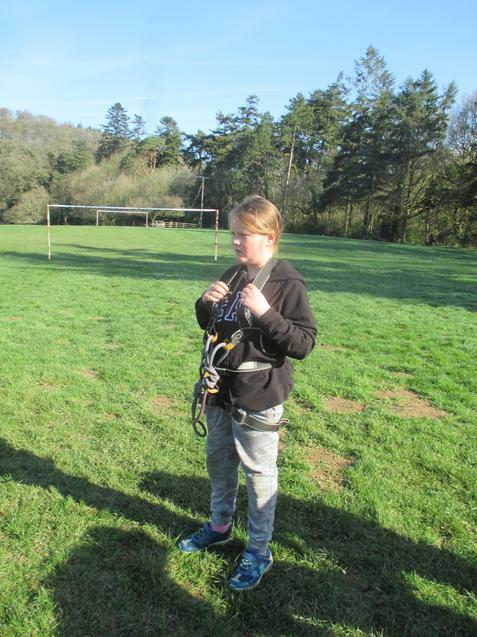 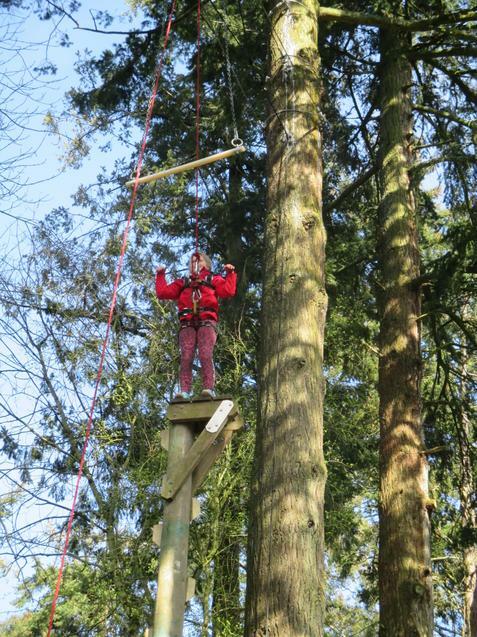 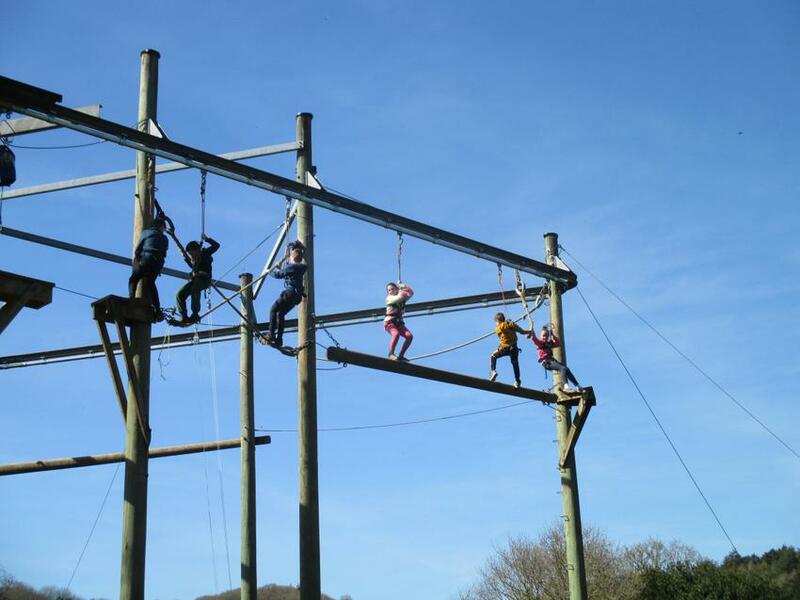 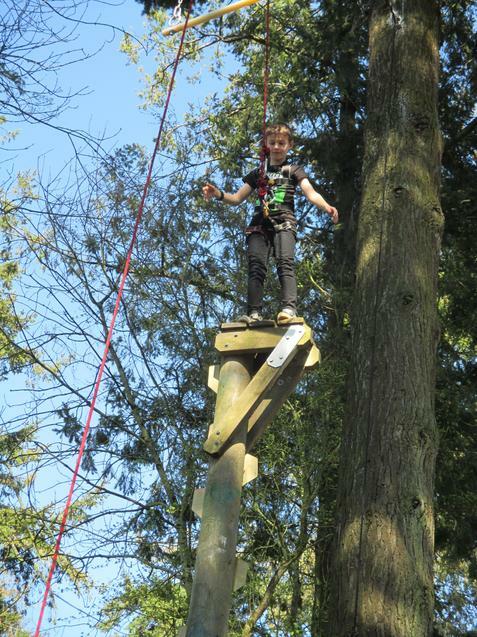 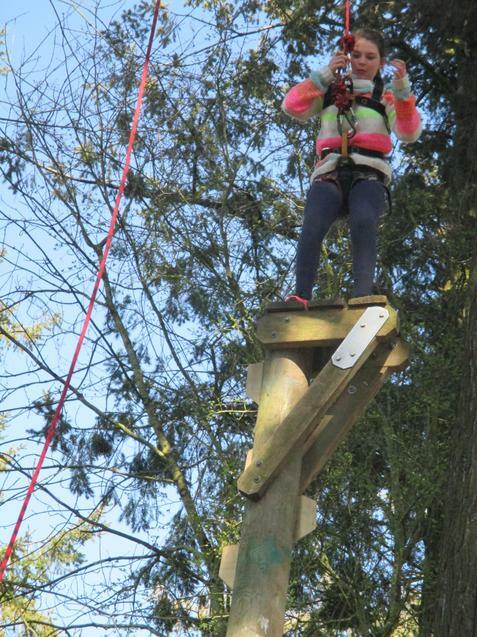 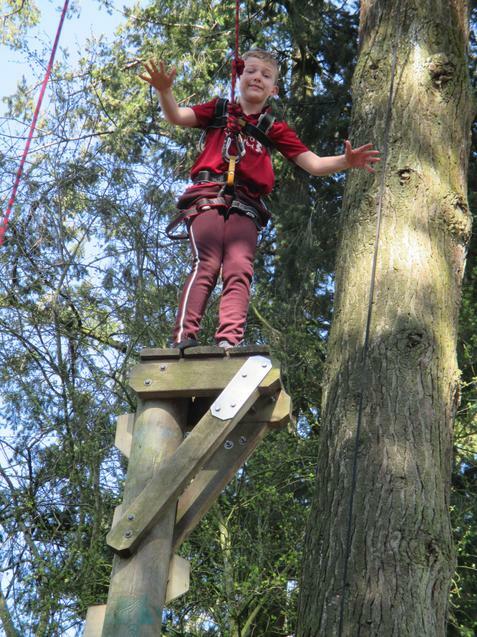 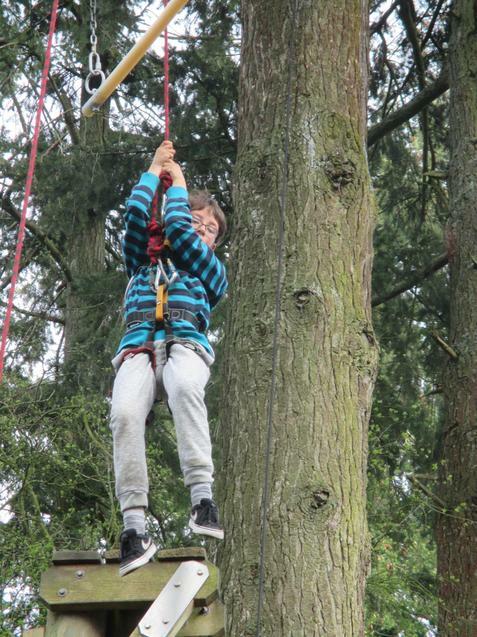 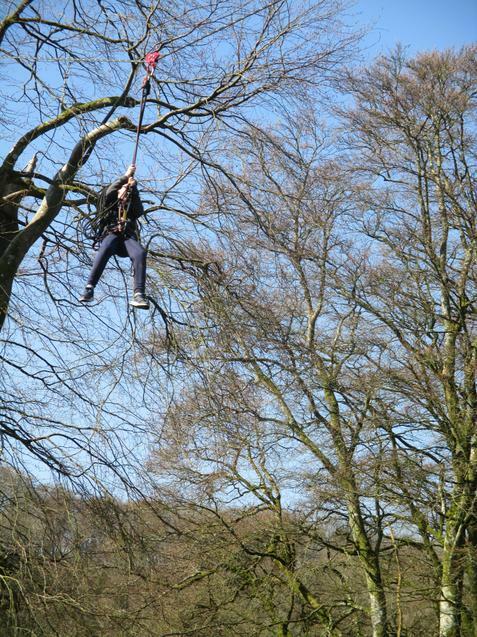 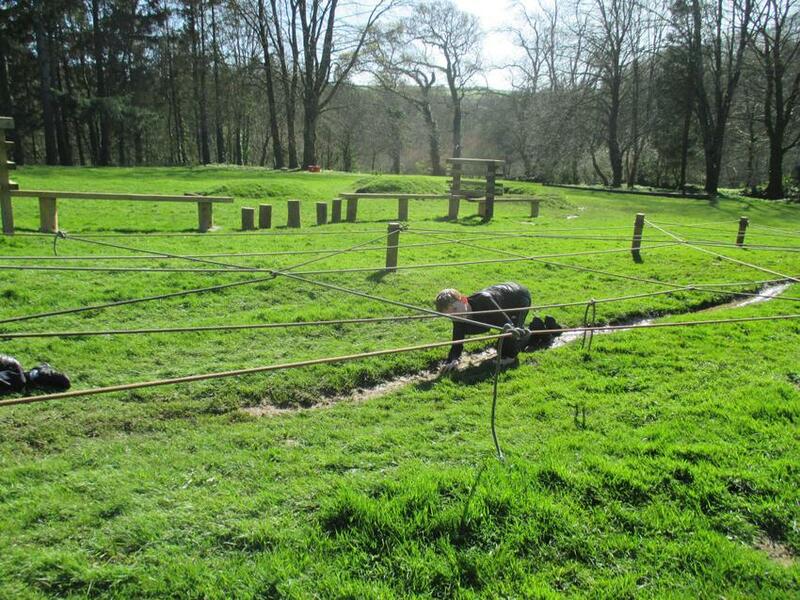 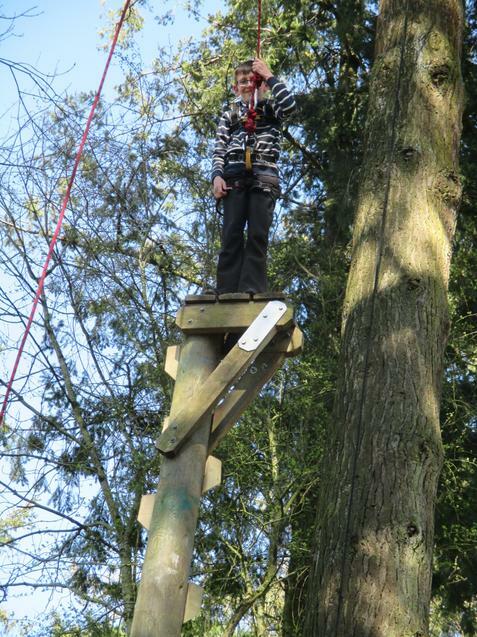 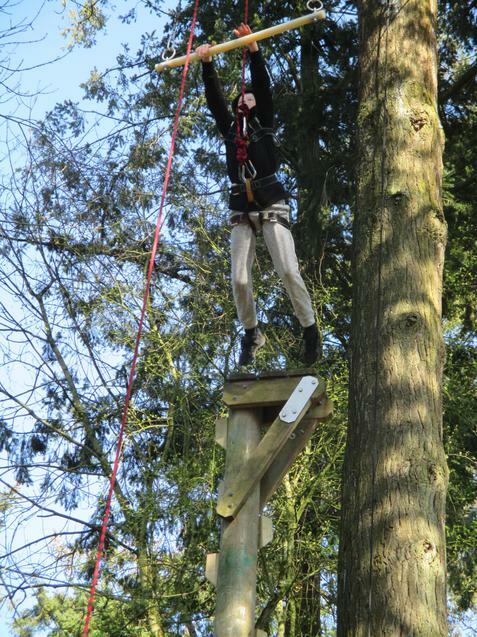 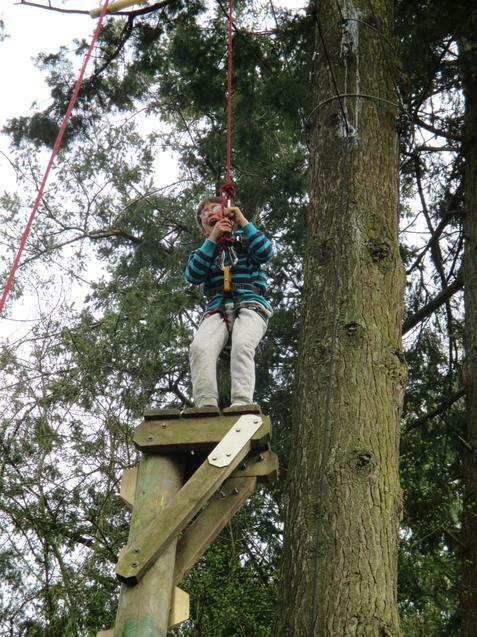 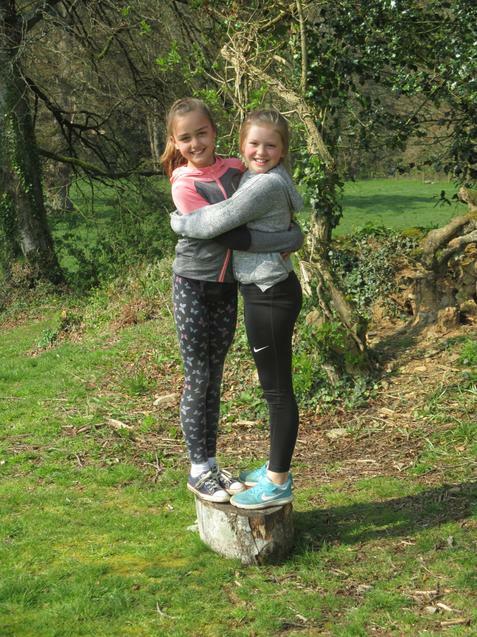 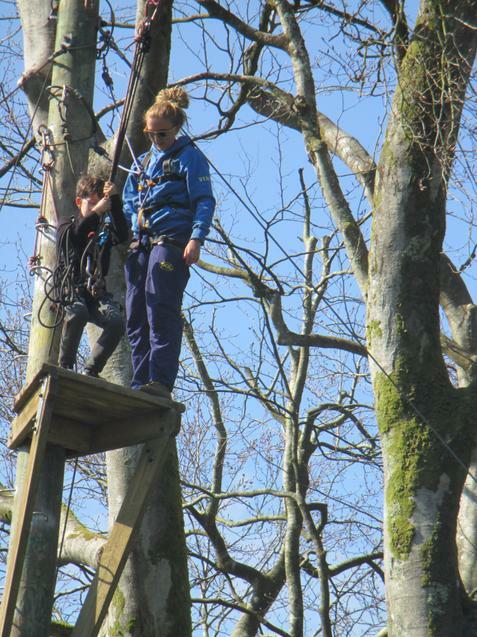 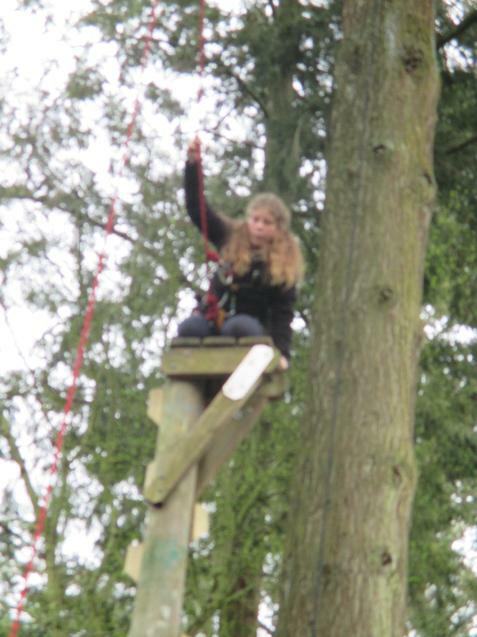 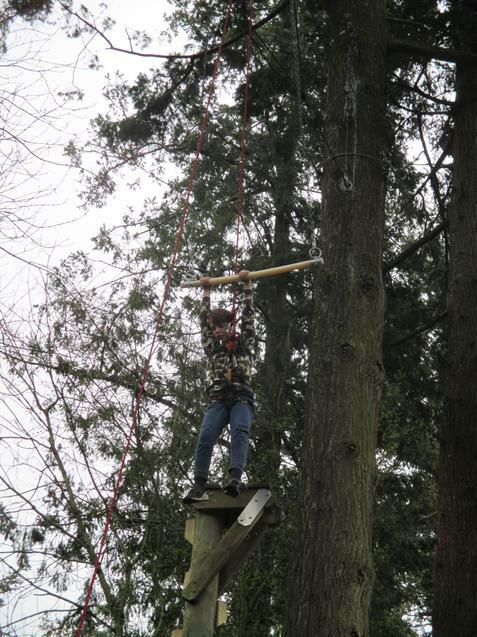 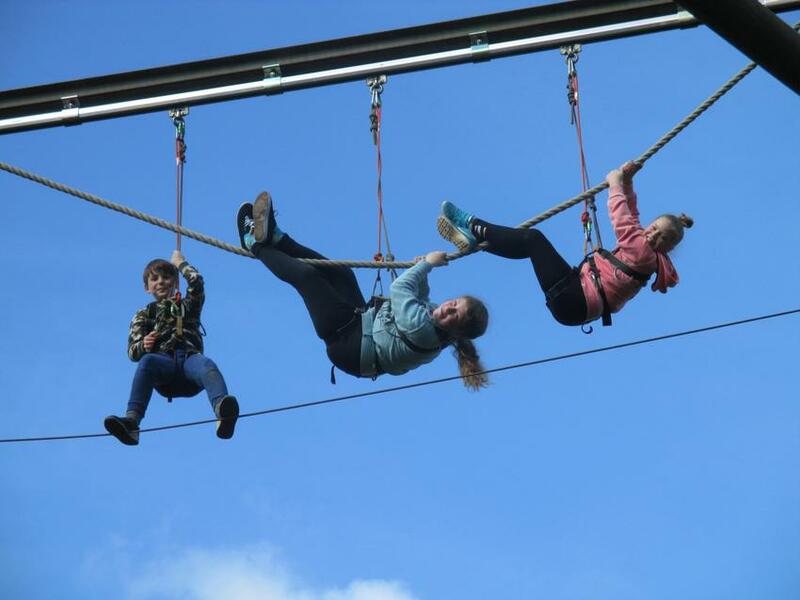 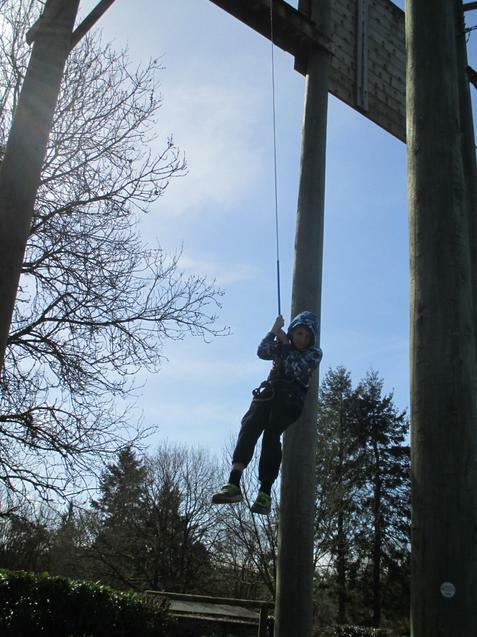 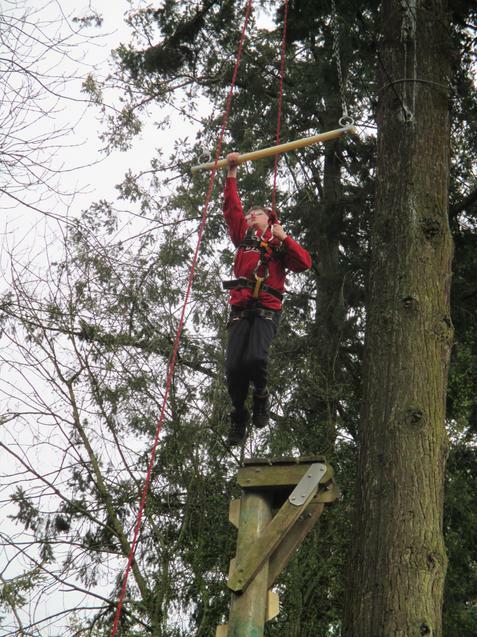 Day 2 - high ropes, rifle shooting, challenge course, sensory trail and campfire. 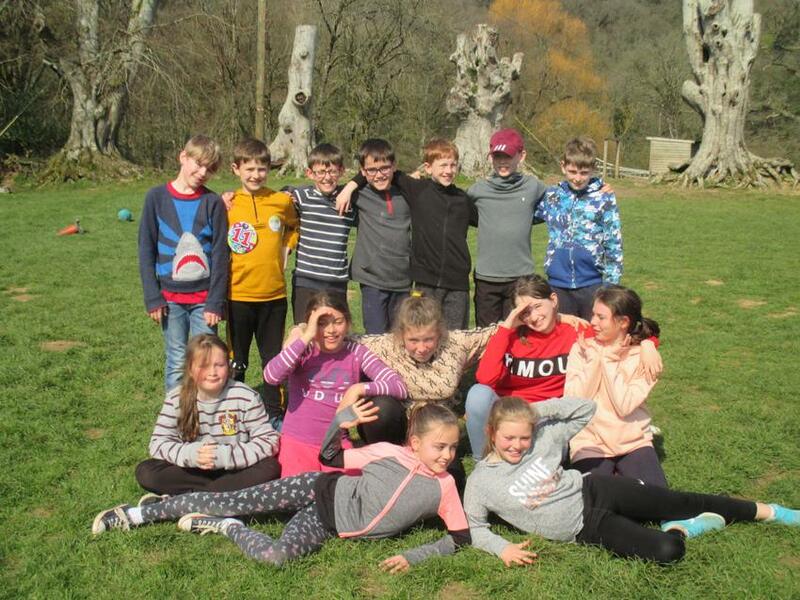 PGL - we have arrived safely and having a great first day. 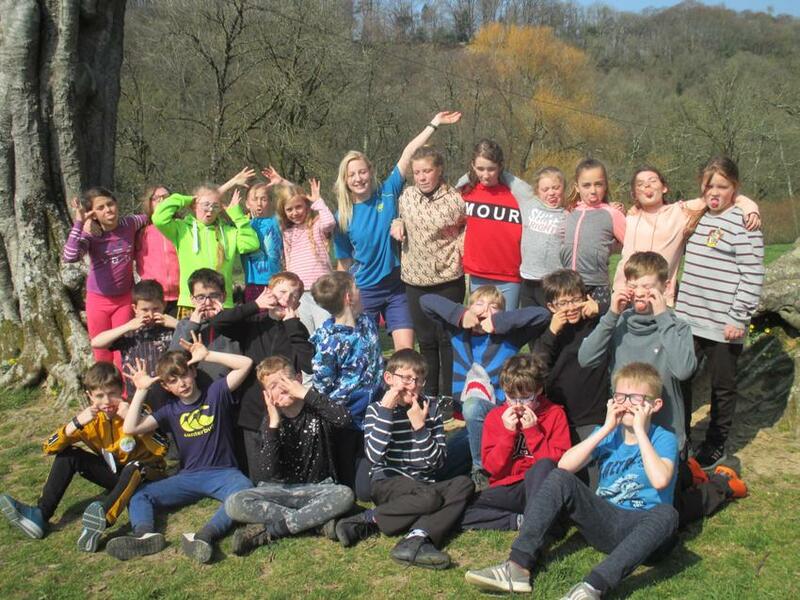 Children in Need - Dress Spotty! 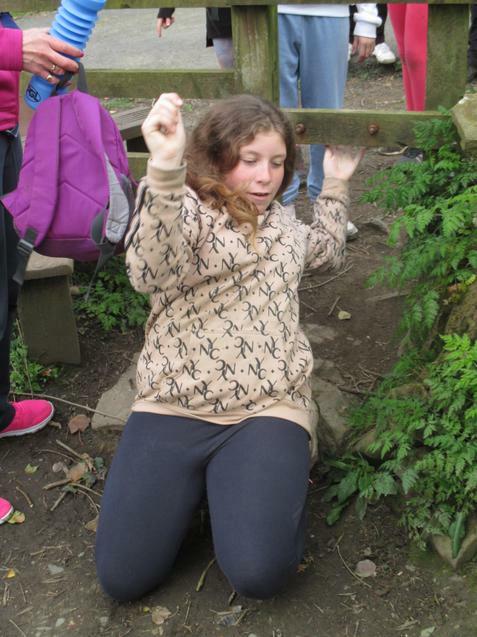 I enjoyed the ironing the most because it was satisfying sticking it on. 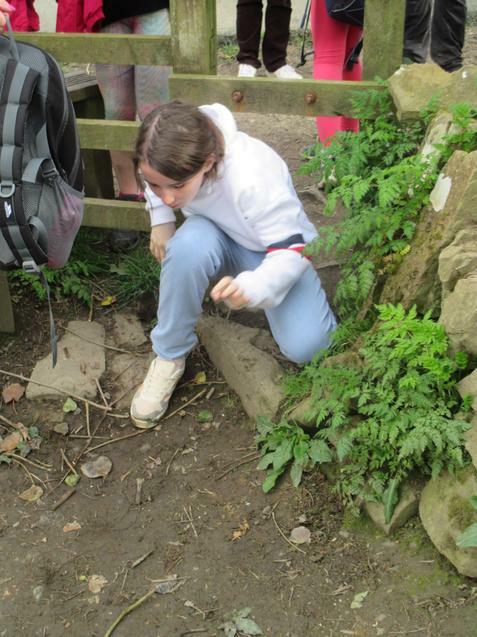 I found the sewing through my patterns the most difficult because the fabric was thicker than the bondaweb. 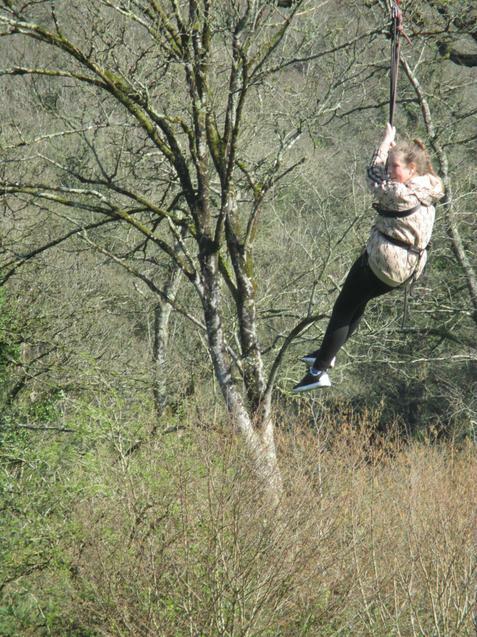 I would do neater stitches because my sewing wasn’t very neat. 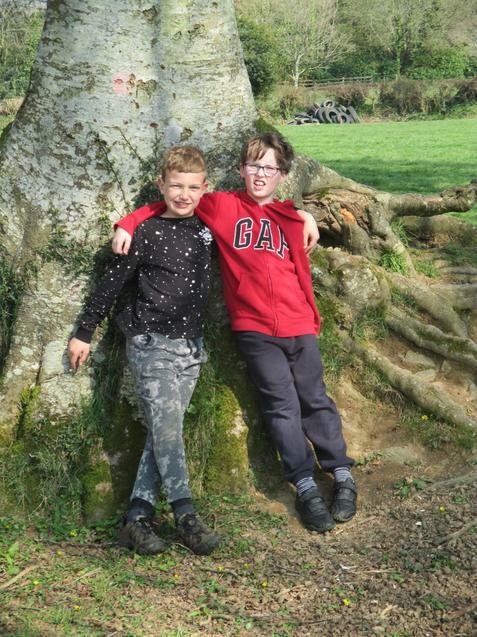 I’m pretty pleased with my quilted square and I’m excited to see it at the Apple Festival Weekend. 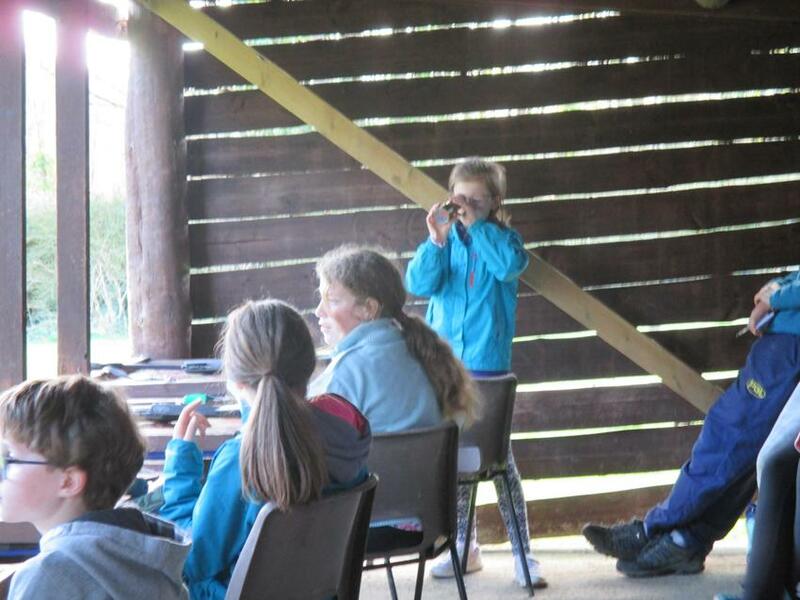 Rebecca: I found it satisfying making jewellery. 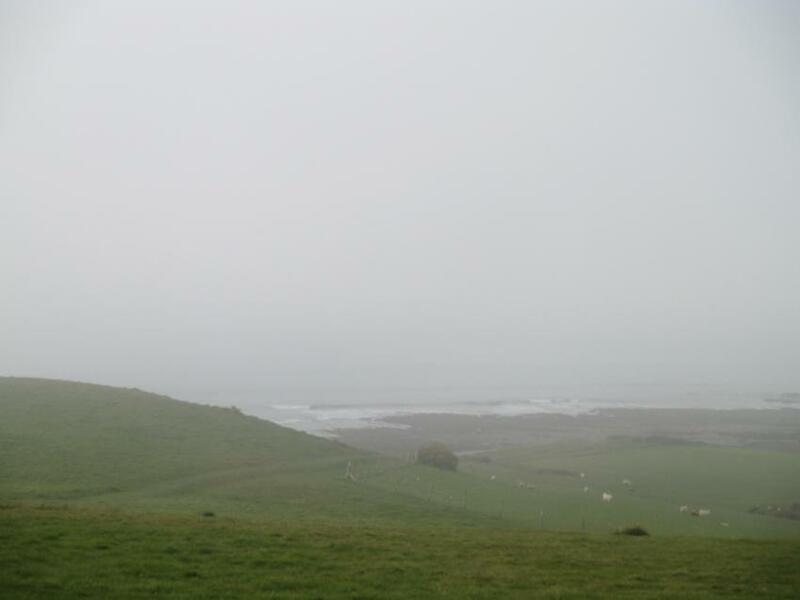 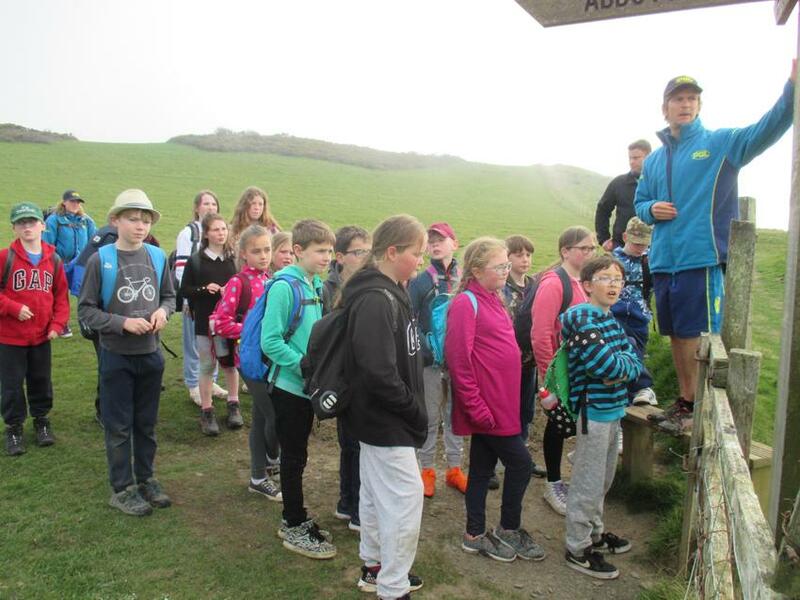 Ethan: I liked the view from the hillfort. 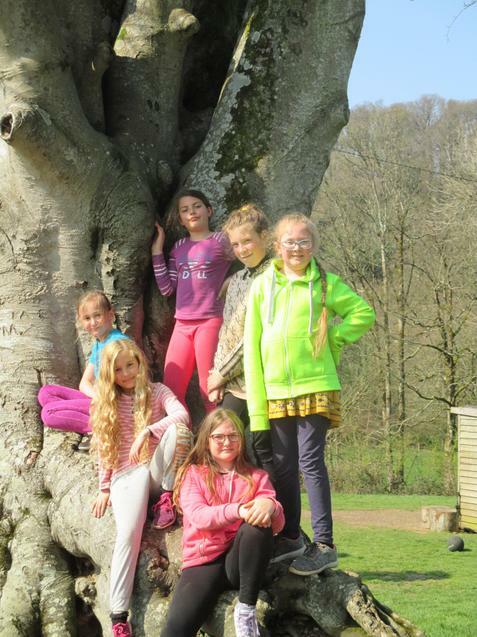 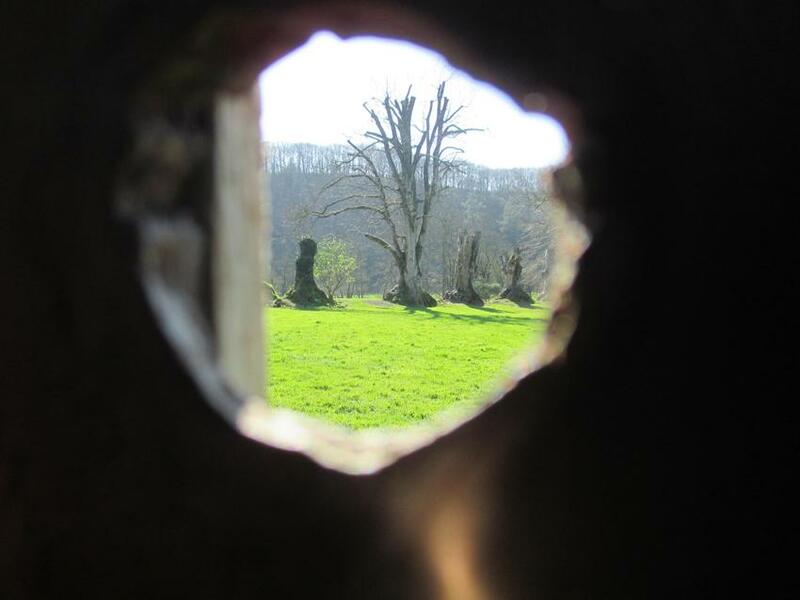 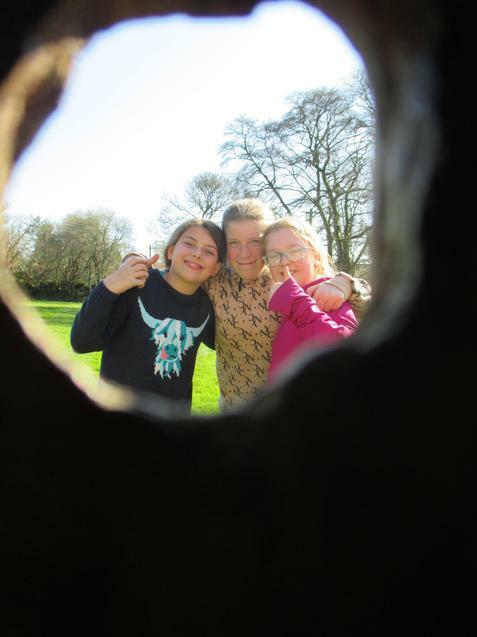 Trip to Killerton - Votes for Women! 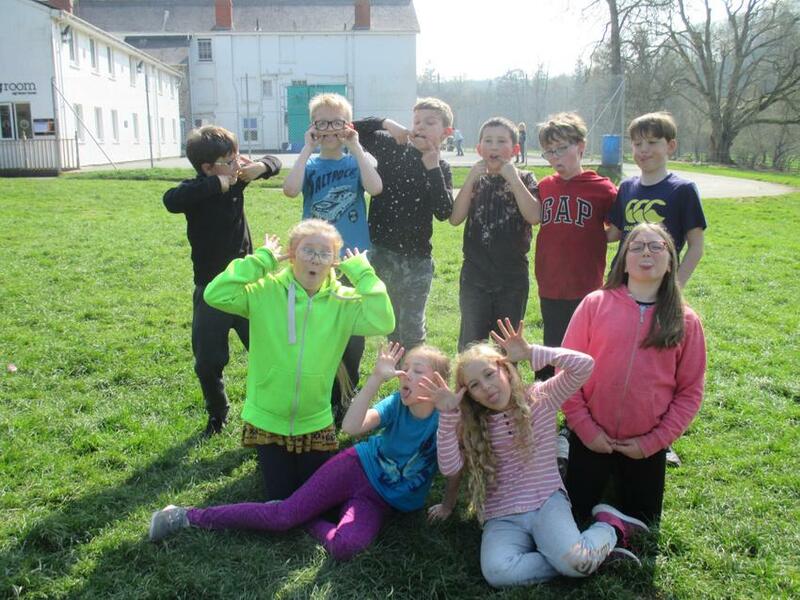 SATs Party - Thank you so much to all parents who generously donated so much yummy food! 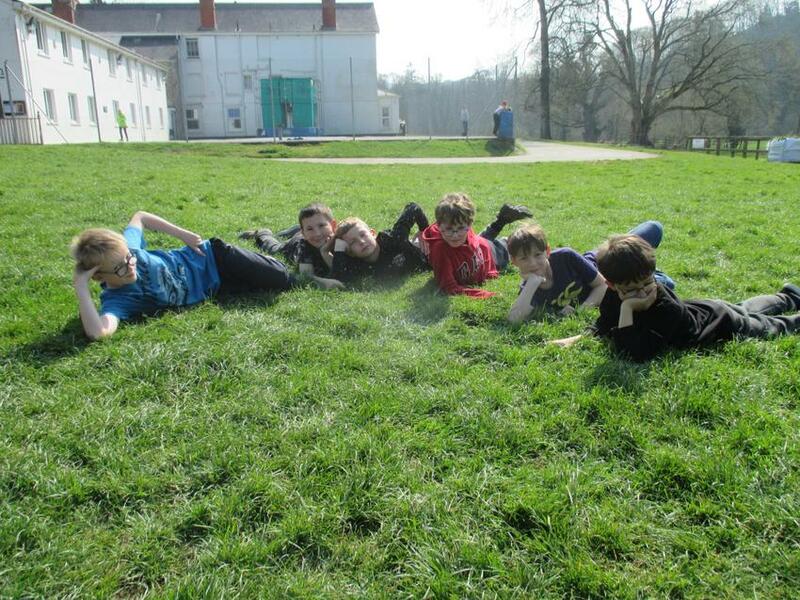 Finley sorted them into types of animals. 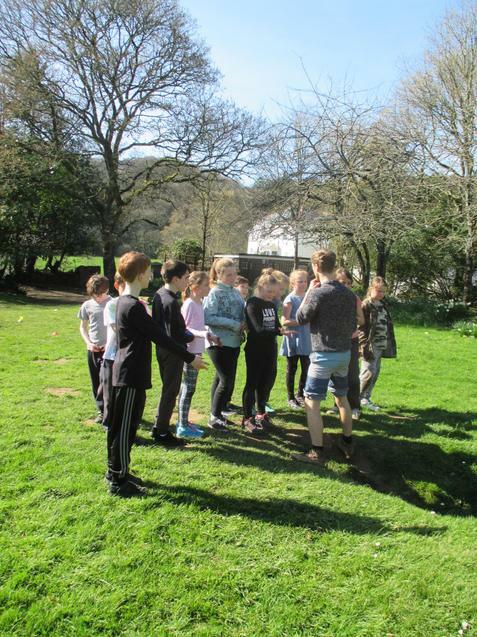 "Mushrooms, plants, animals and germs." 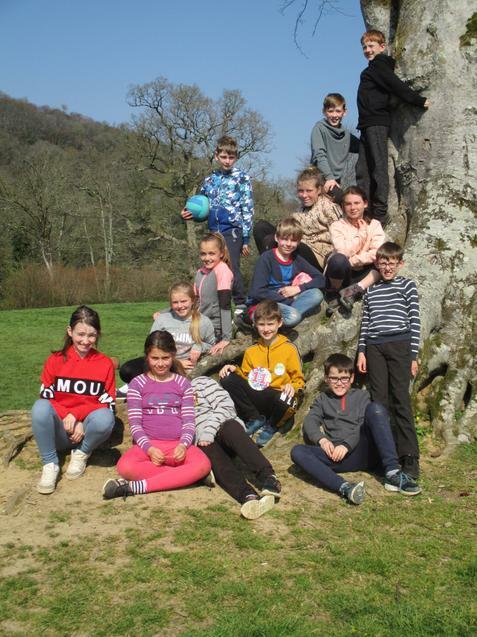 French - In French on Friday, year 5 learnt the names of the colours, then used Skitch on the iPads to label objects in the classroom. 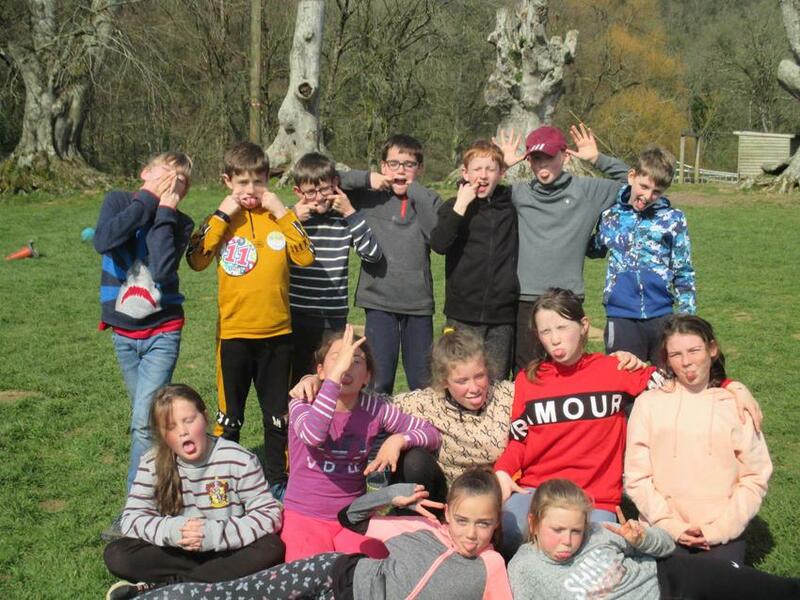 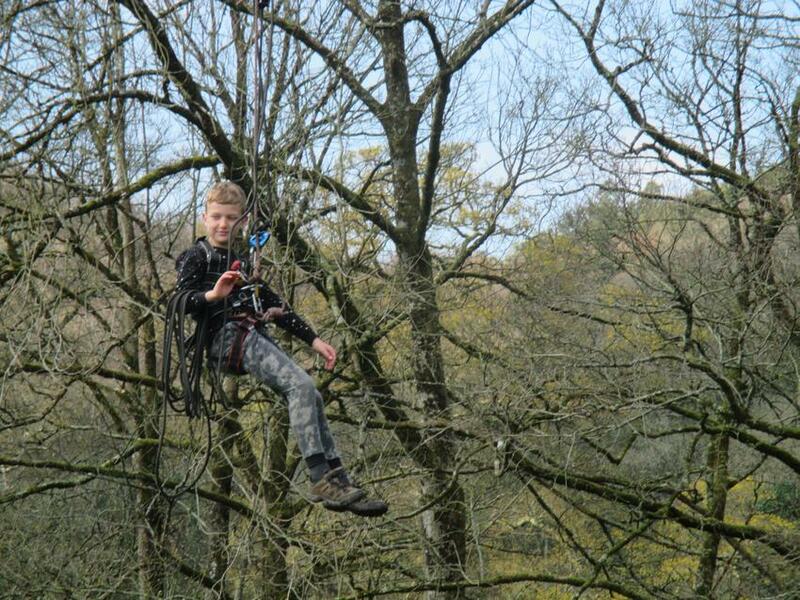 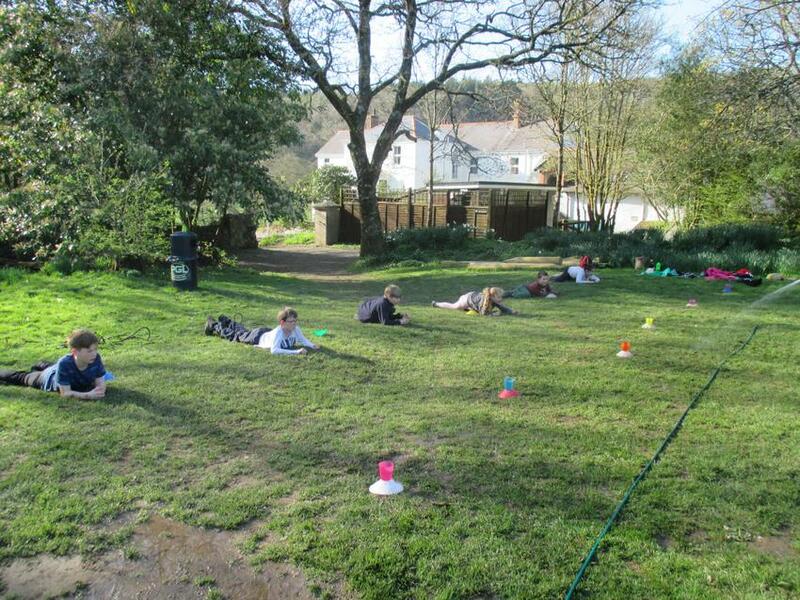 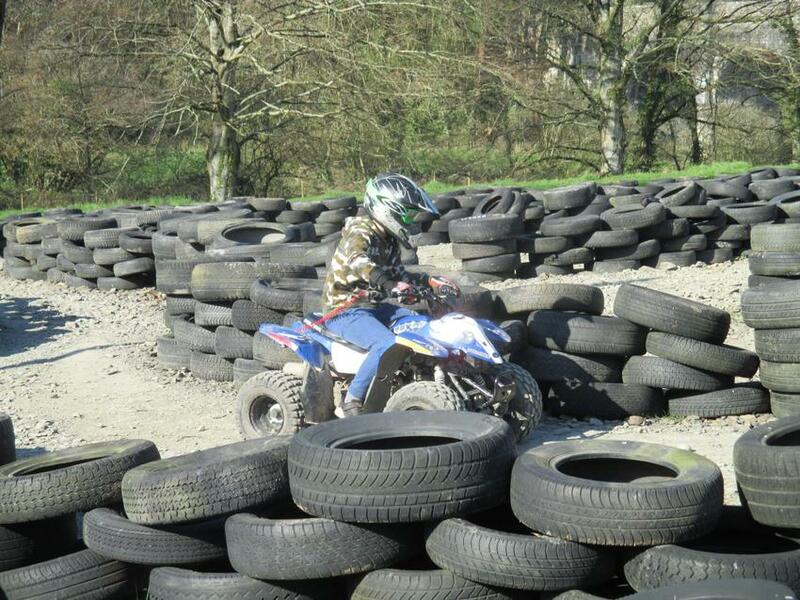 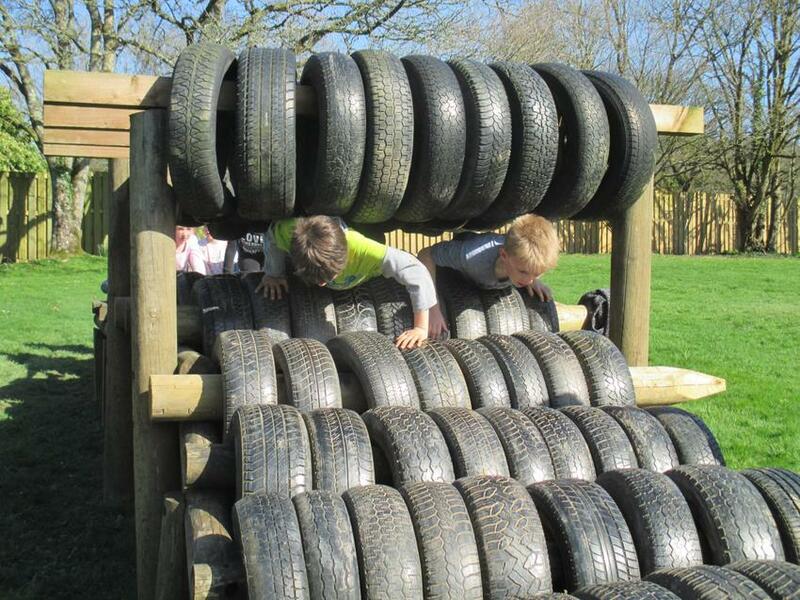 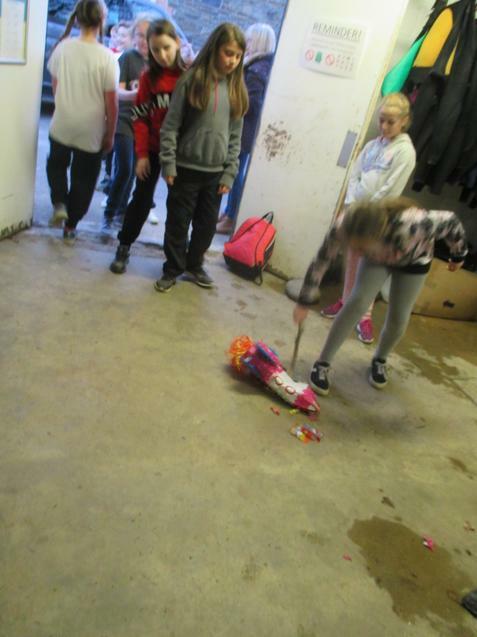 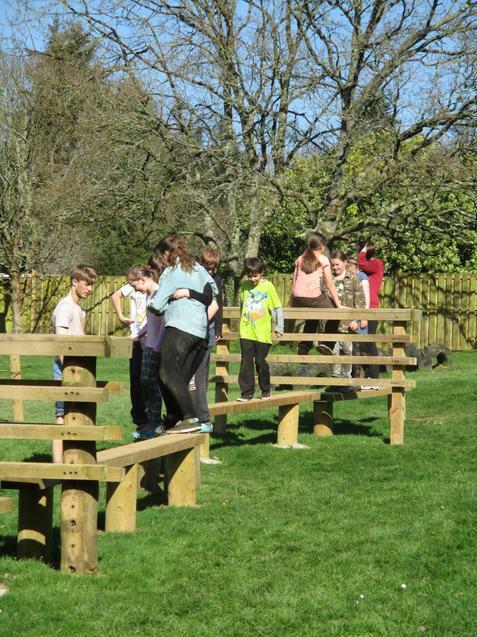 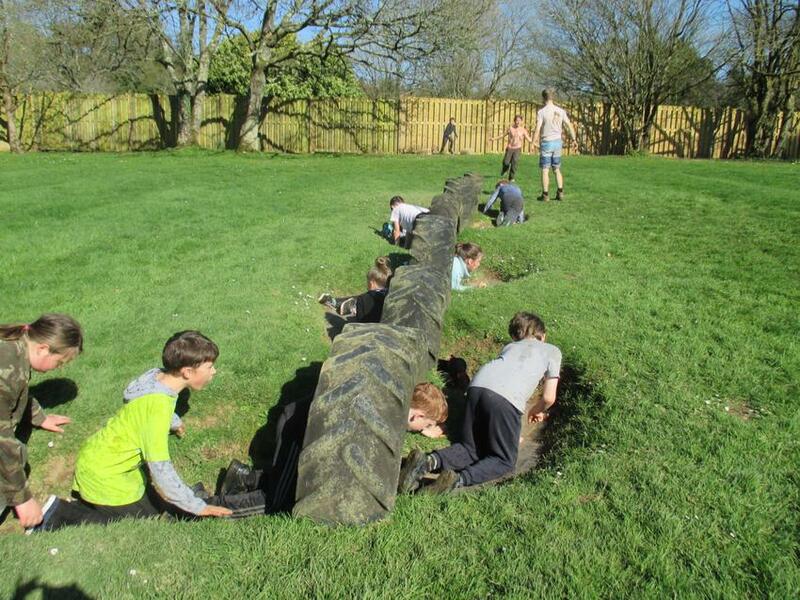 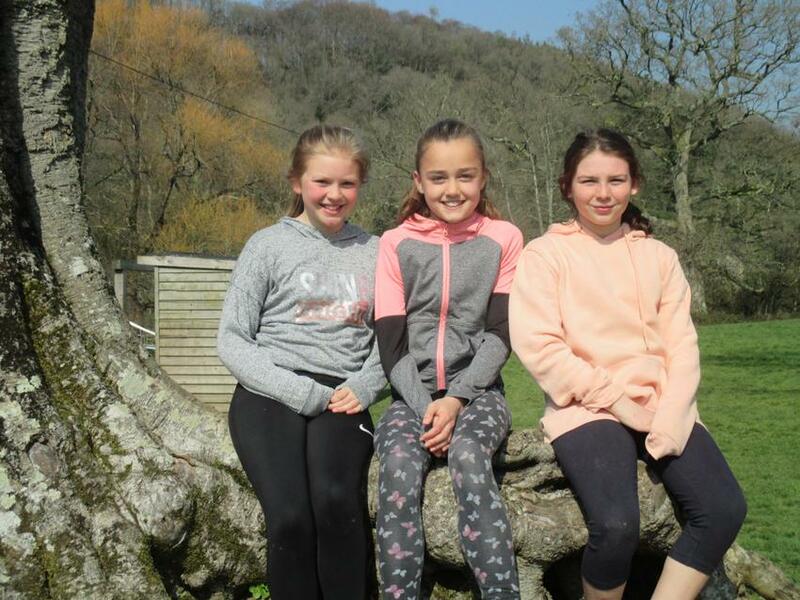 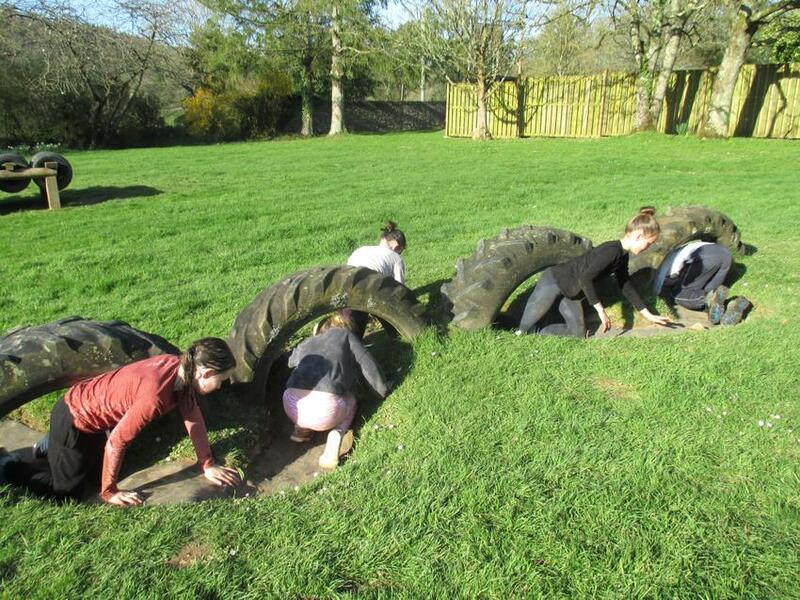 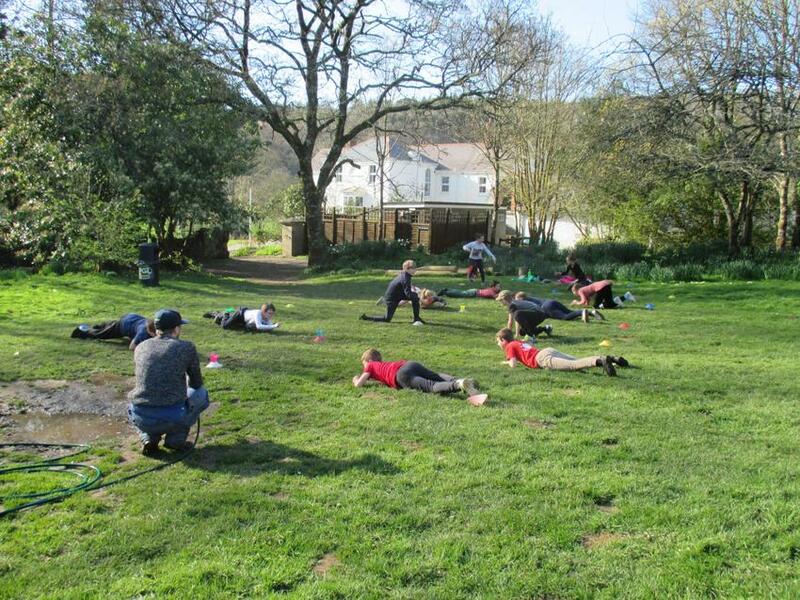 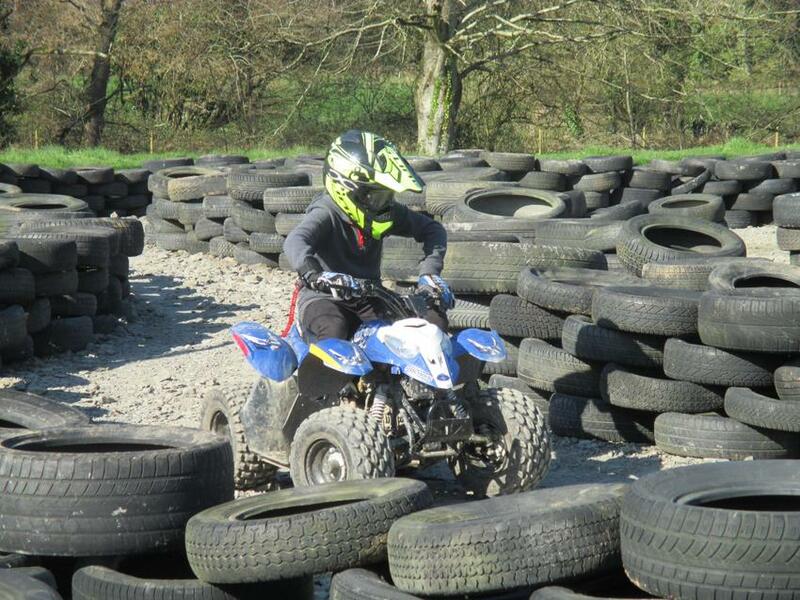 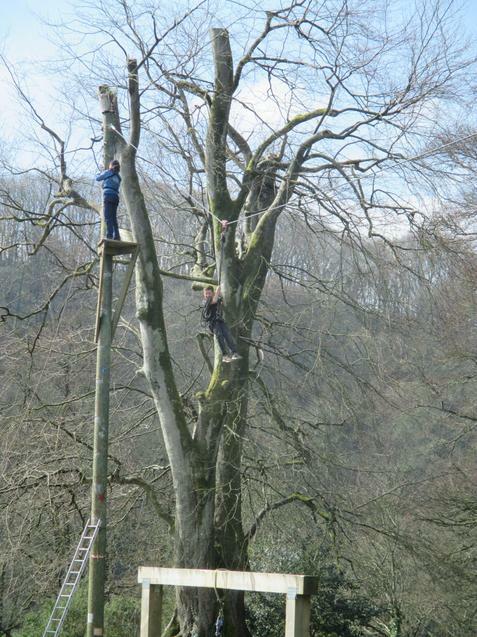 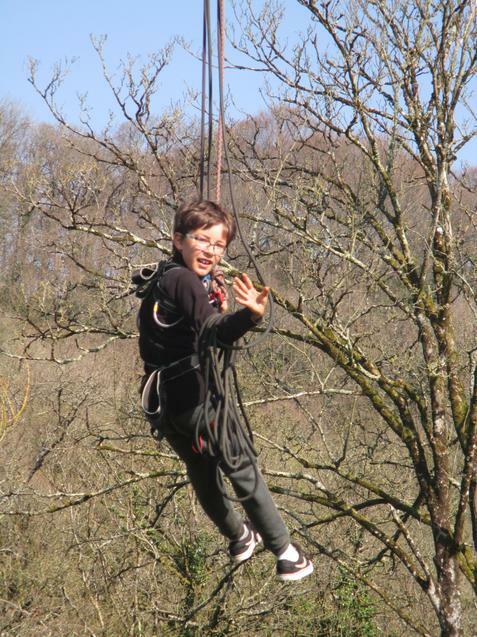 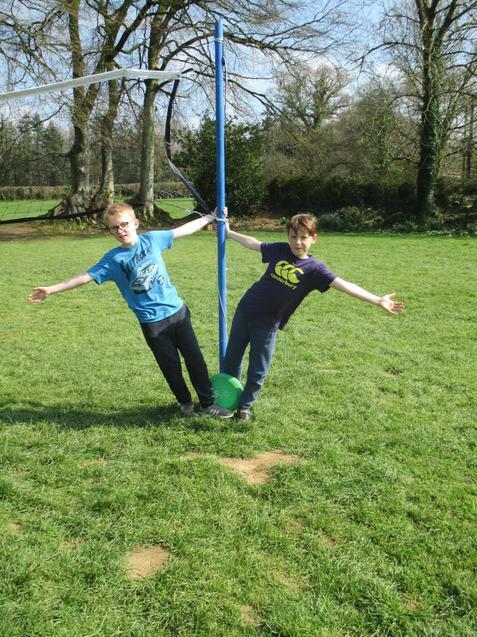 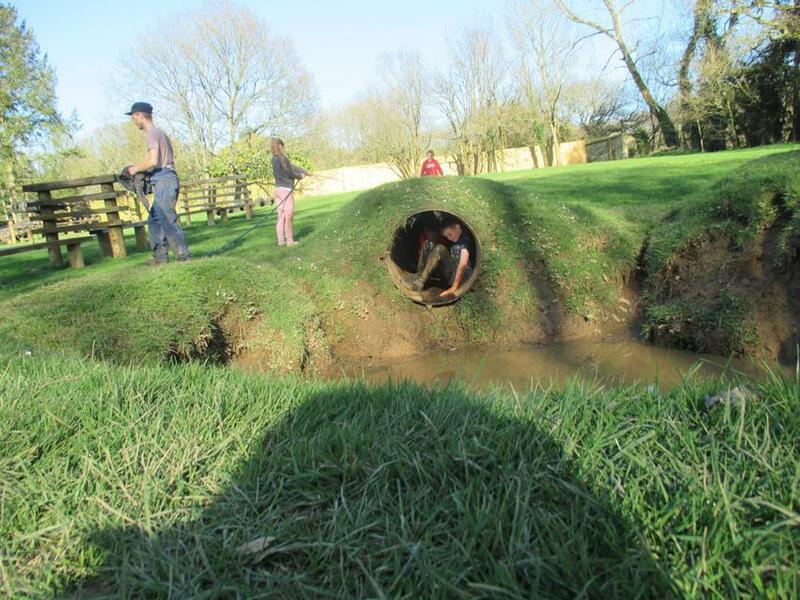 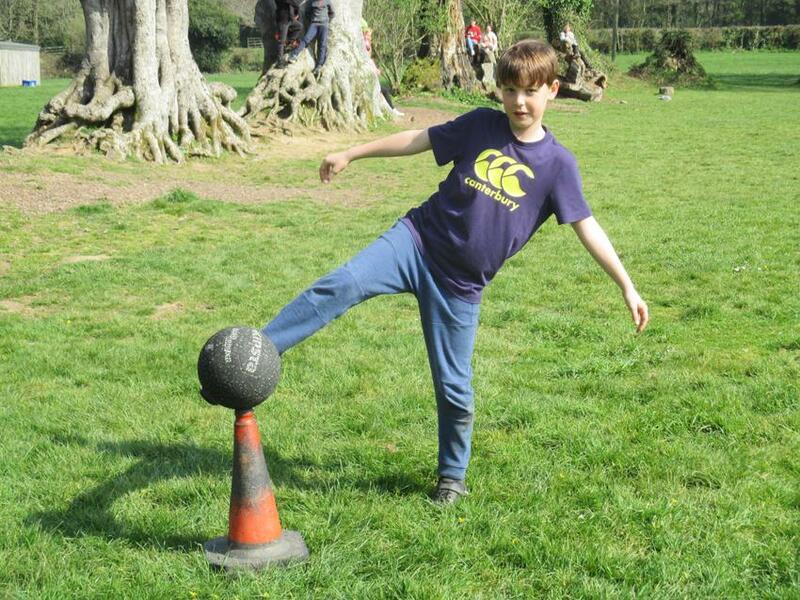 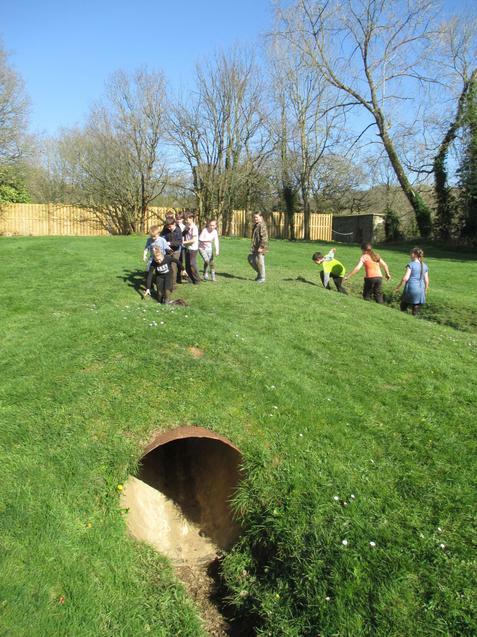 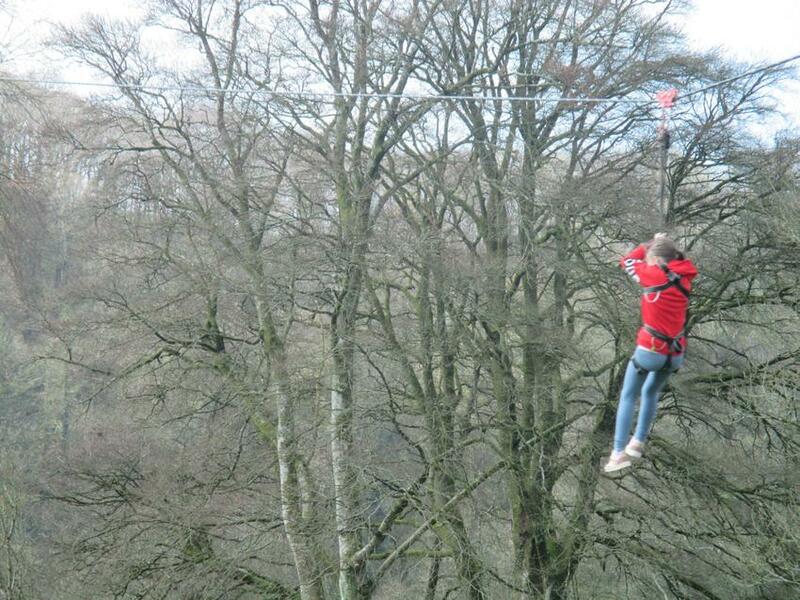 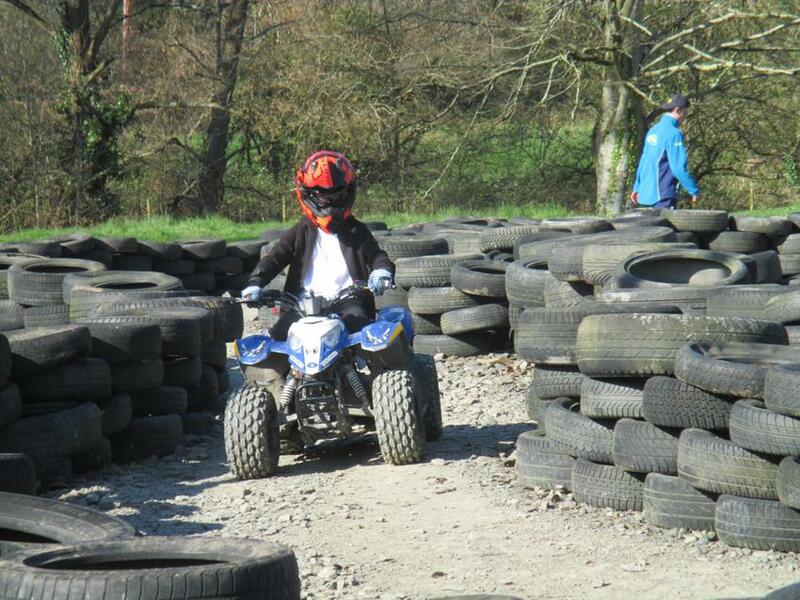 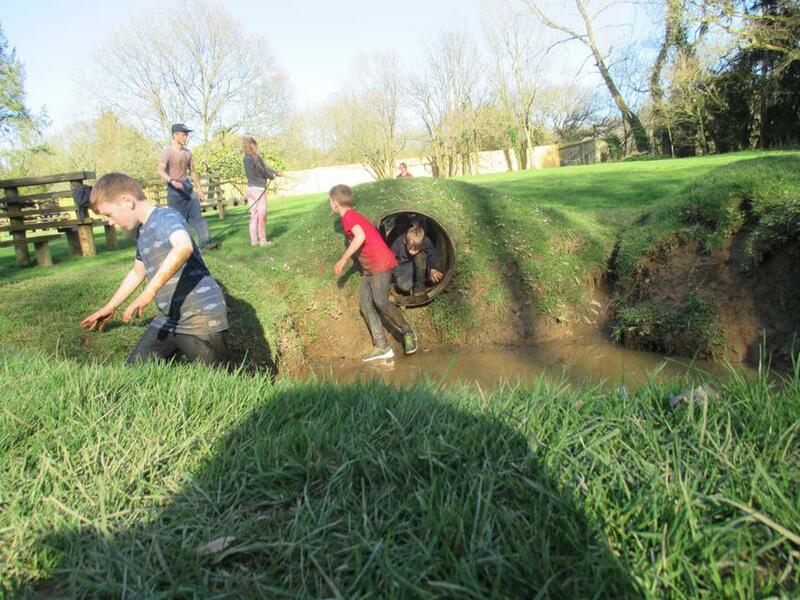 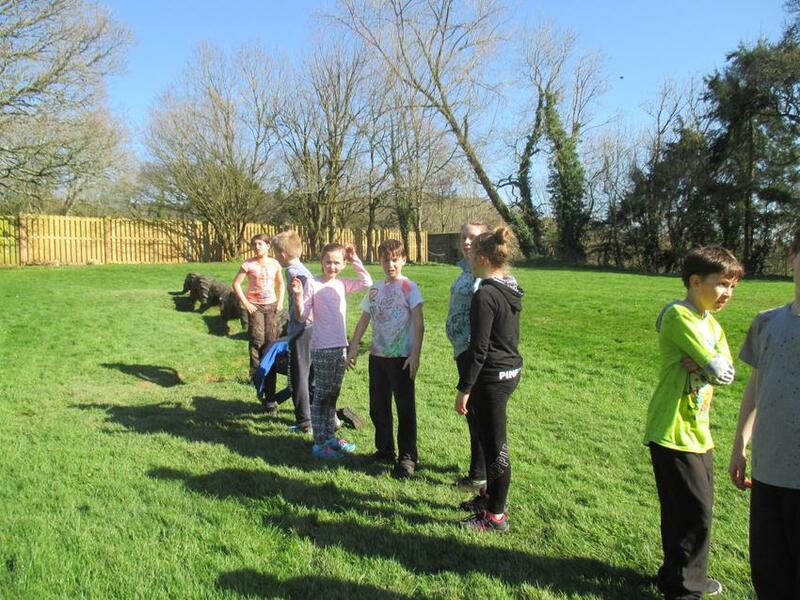 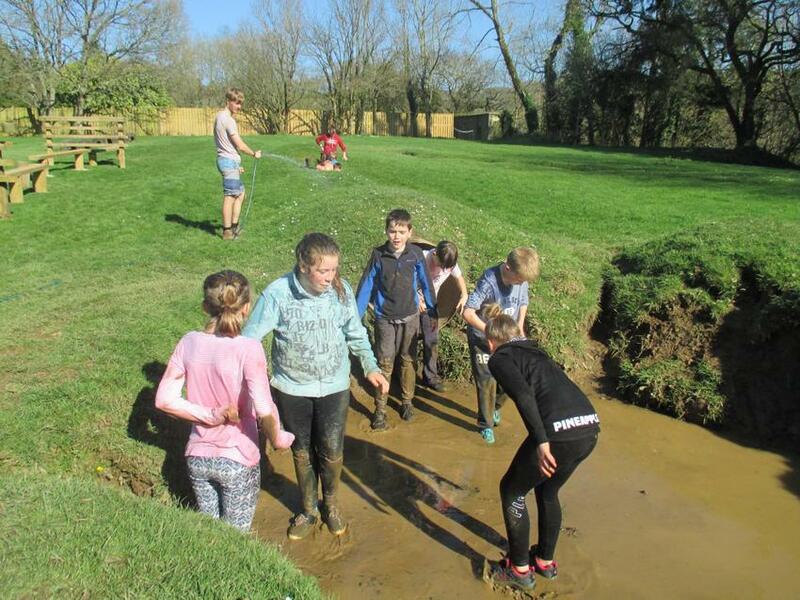 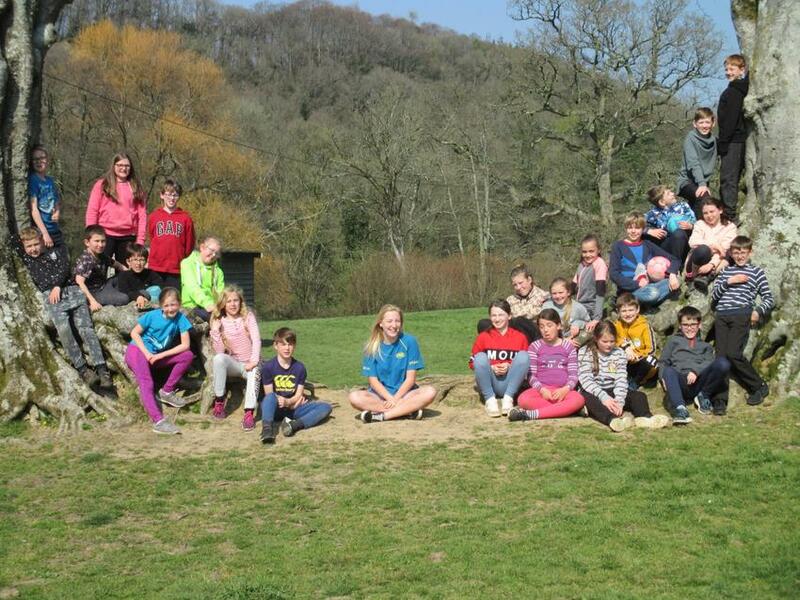 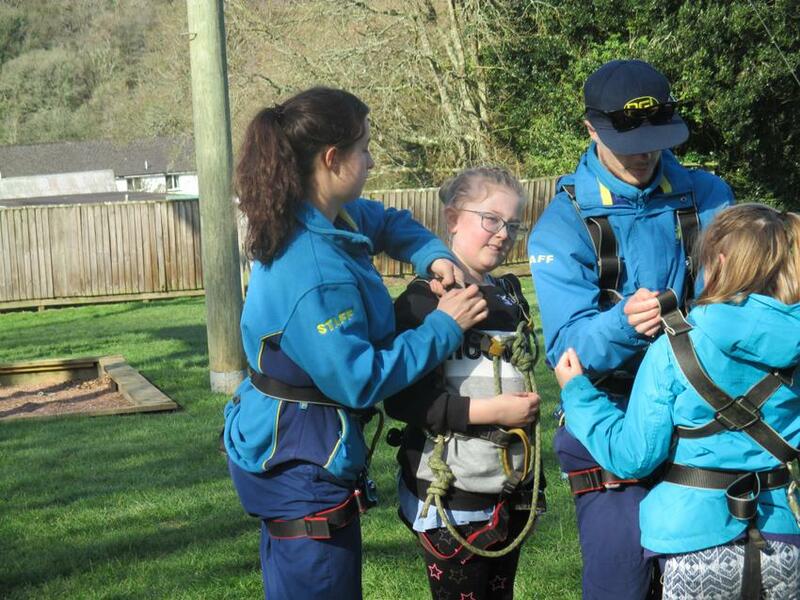 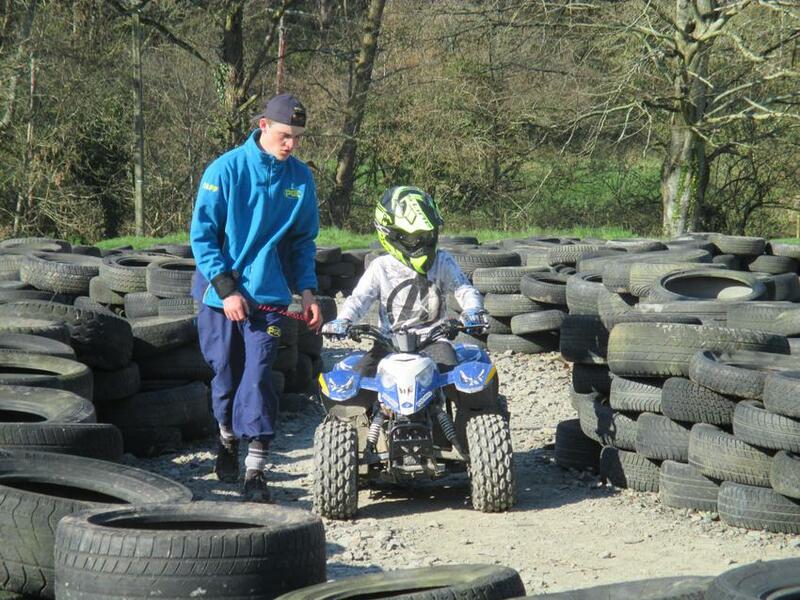 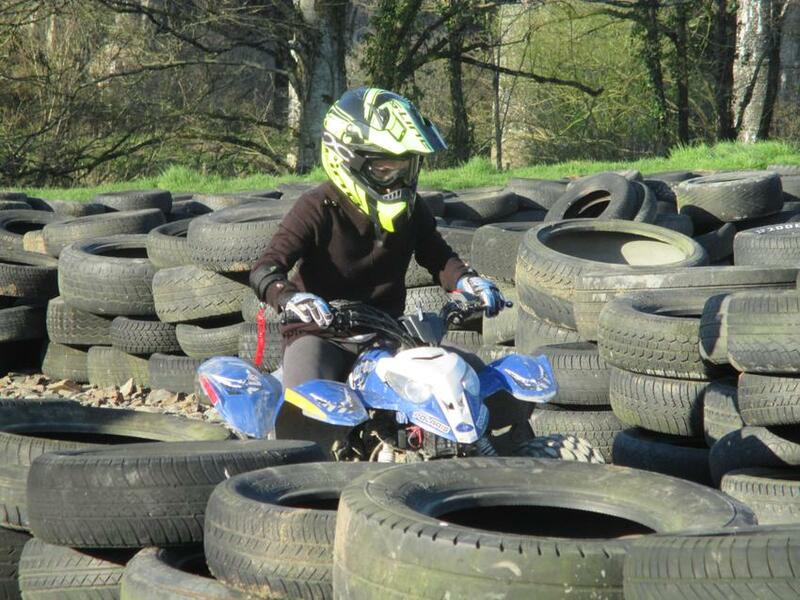 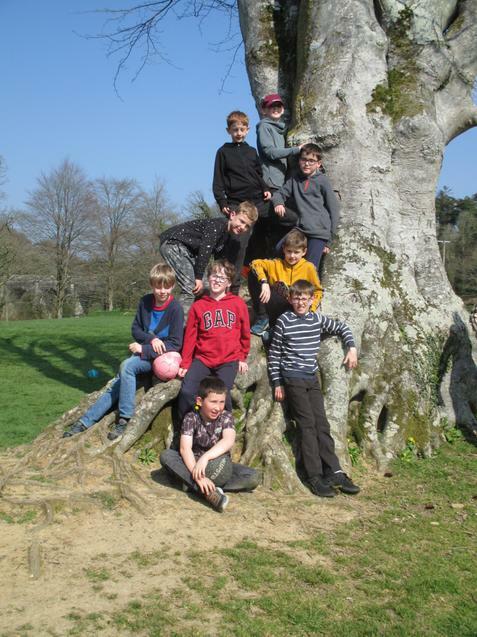 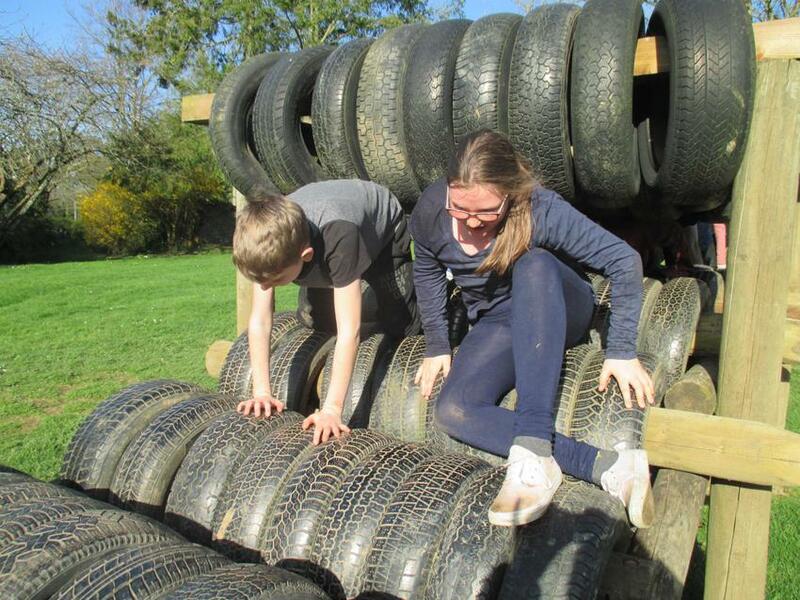 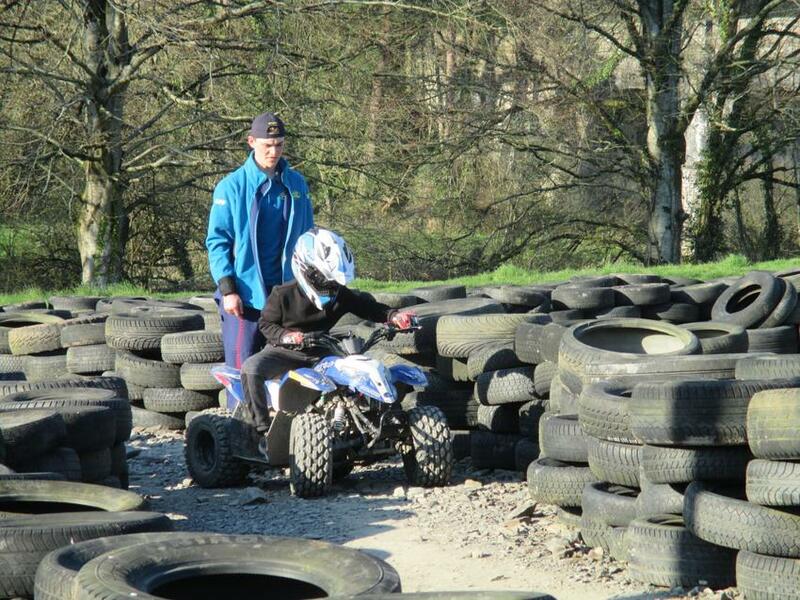 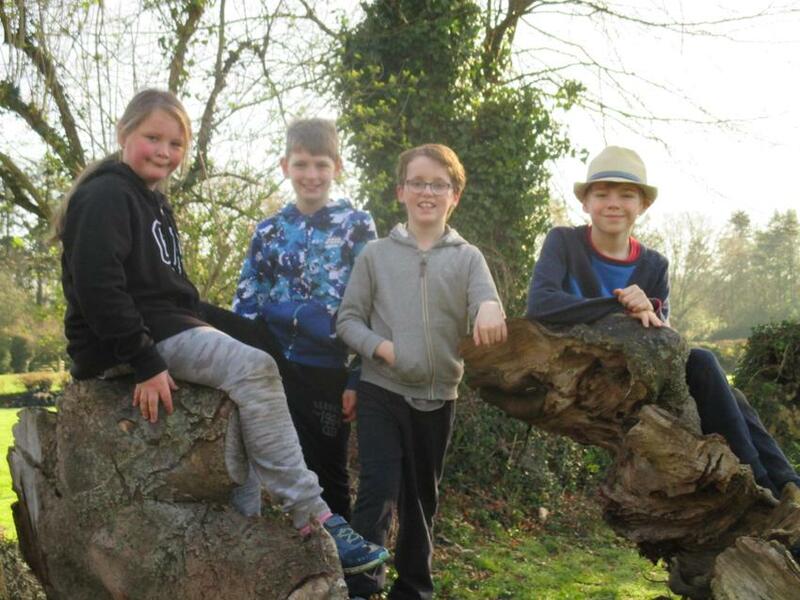 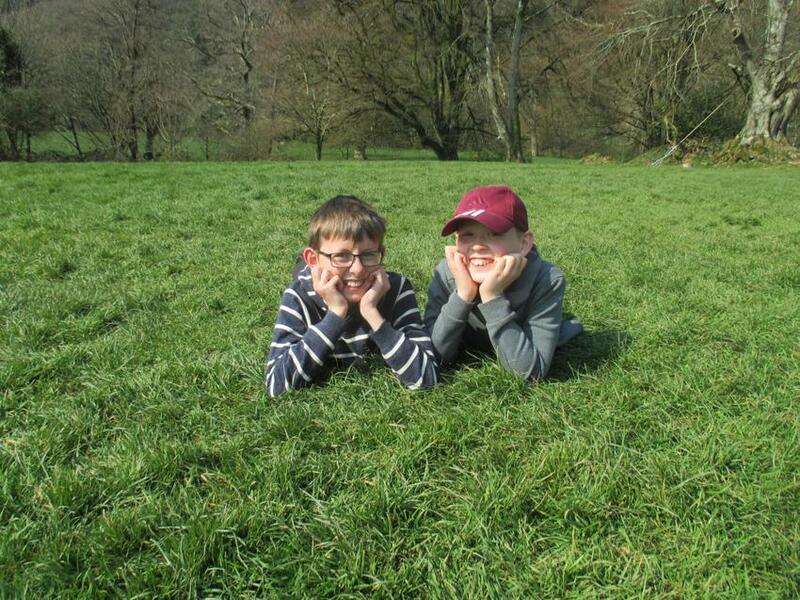 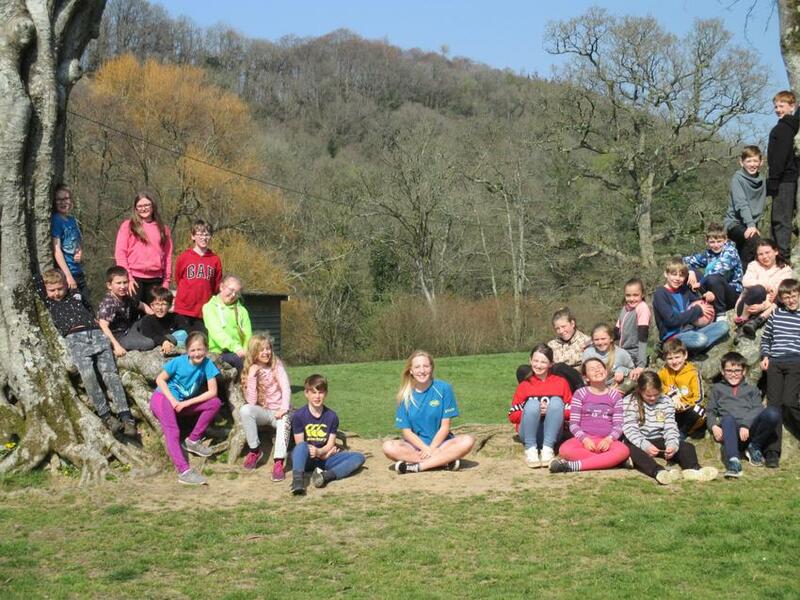 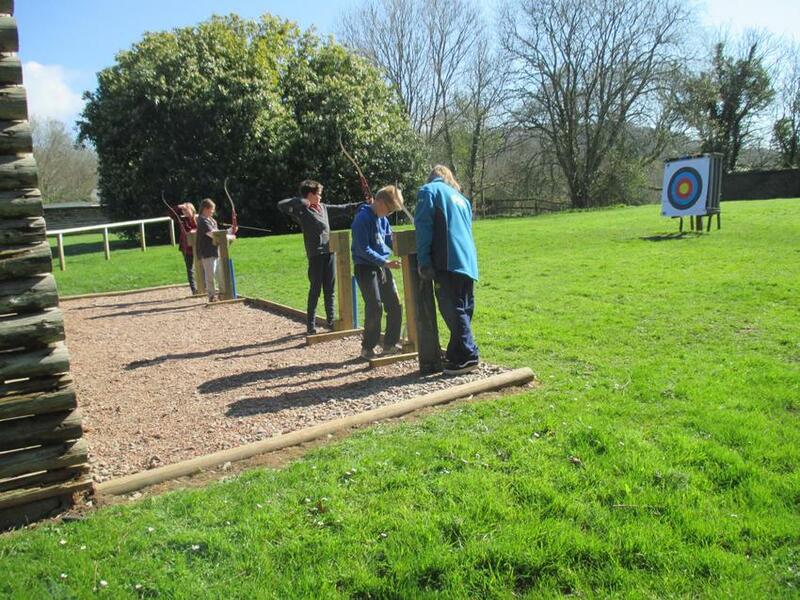 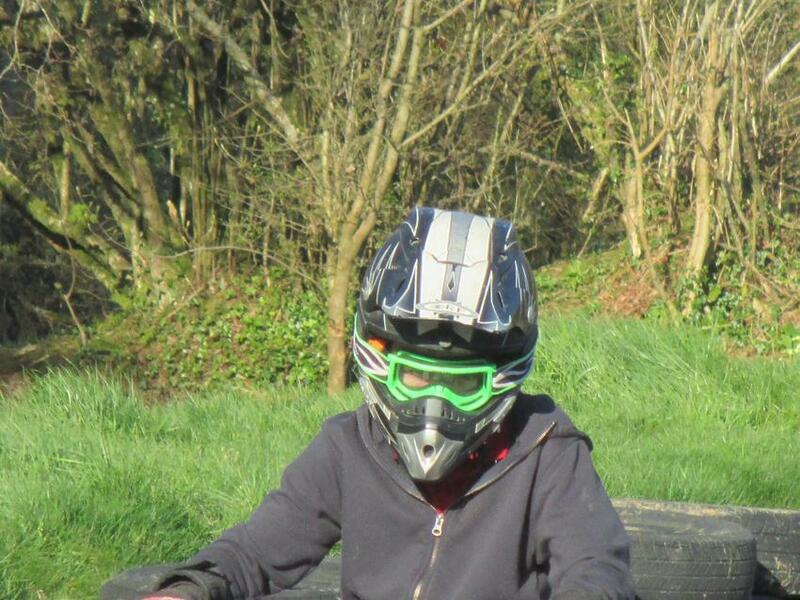 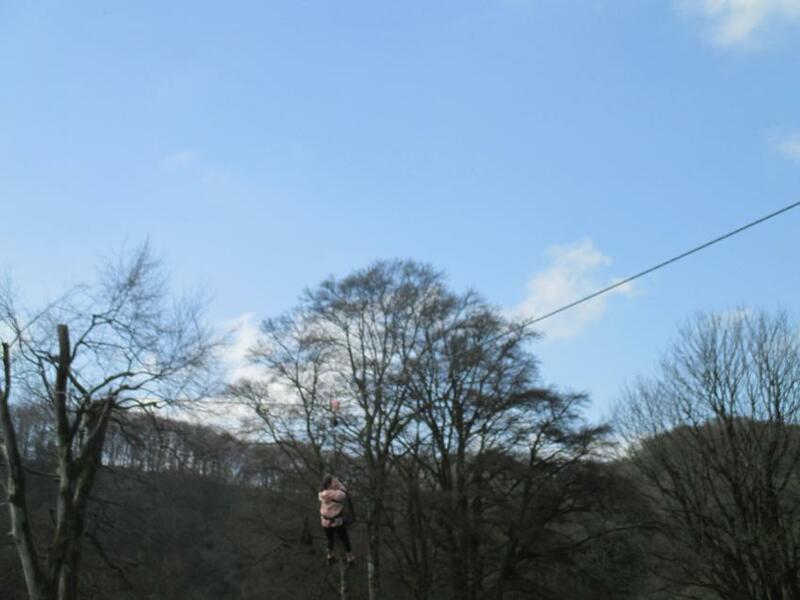 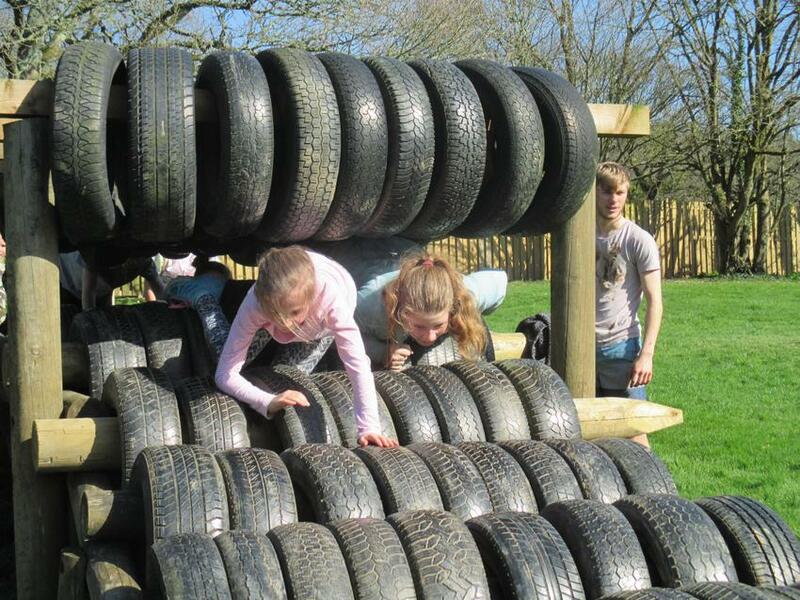 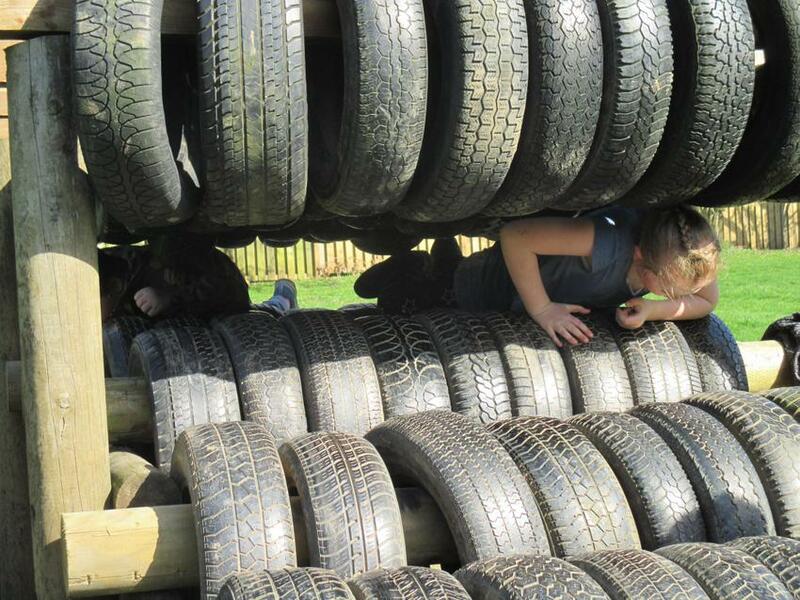 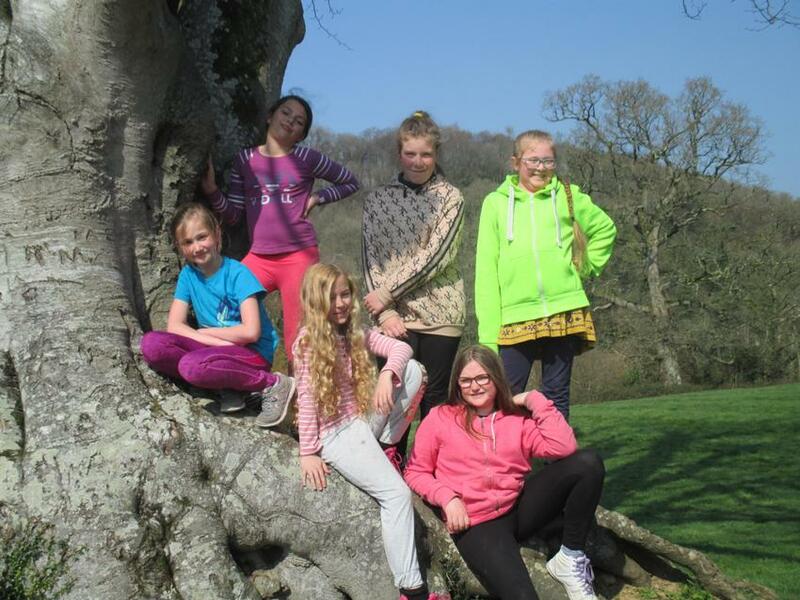 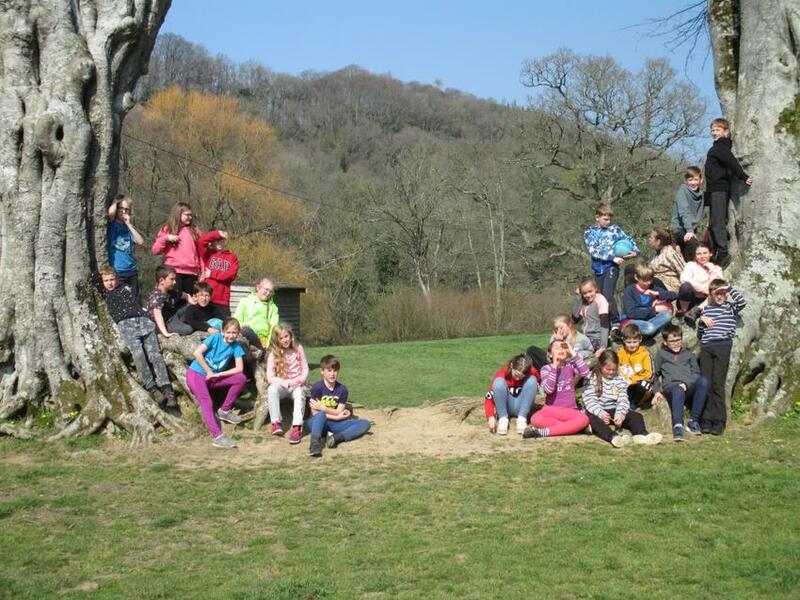 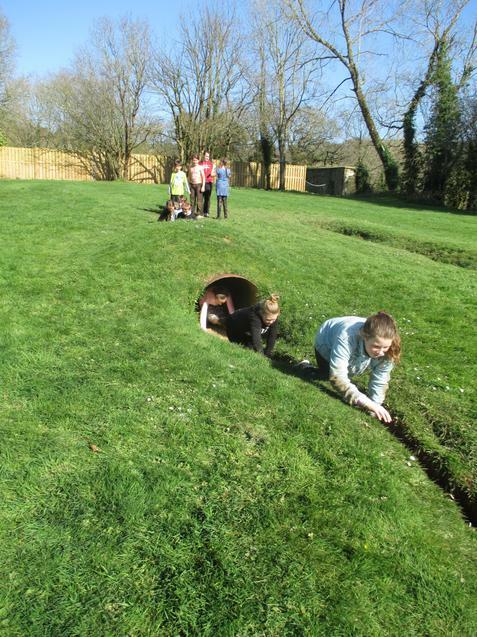 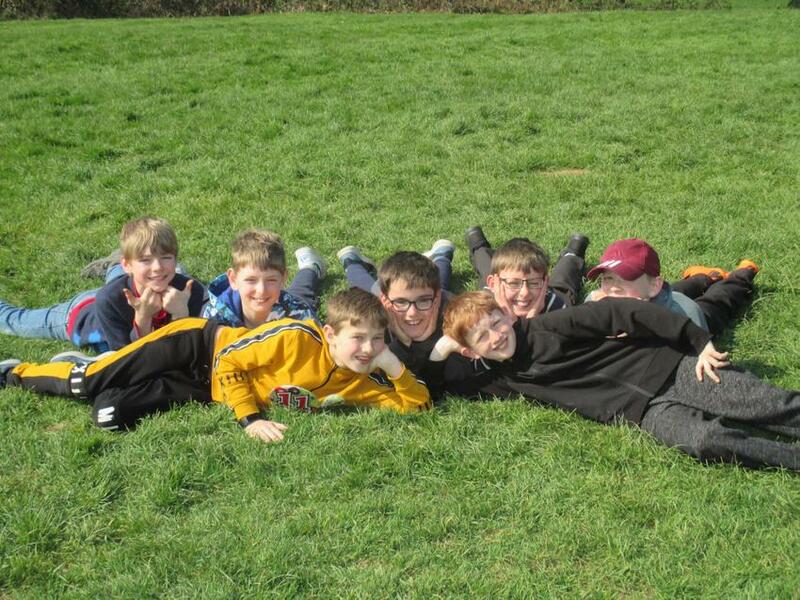 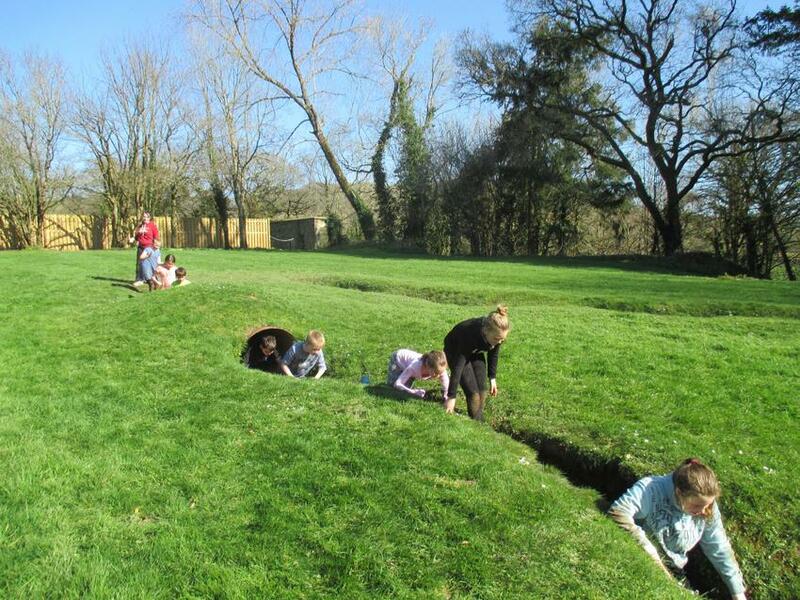 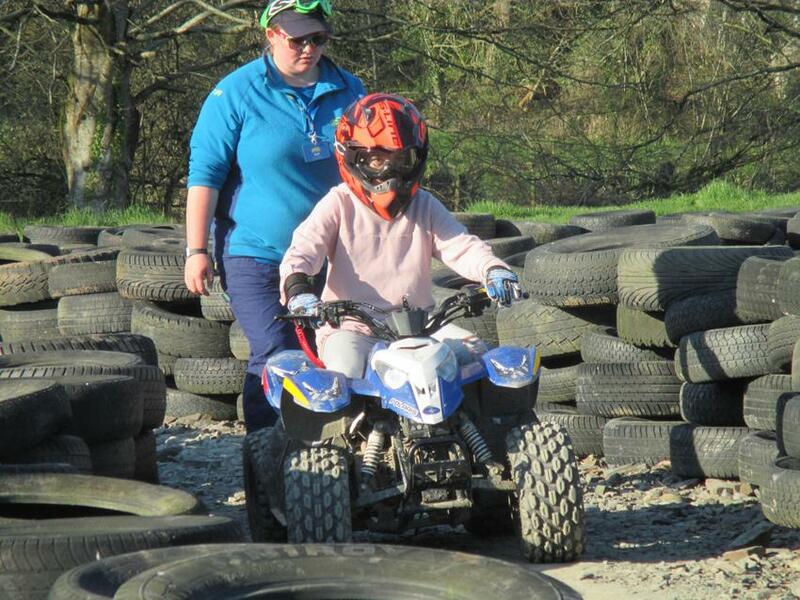 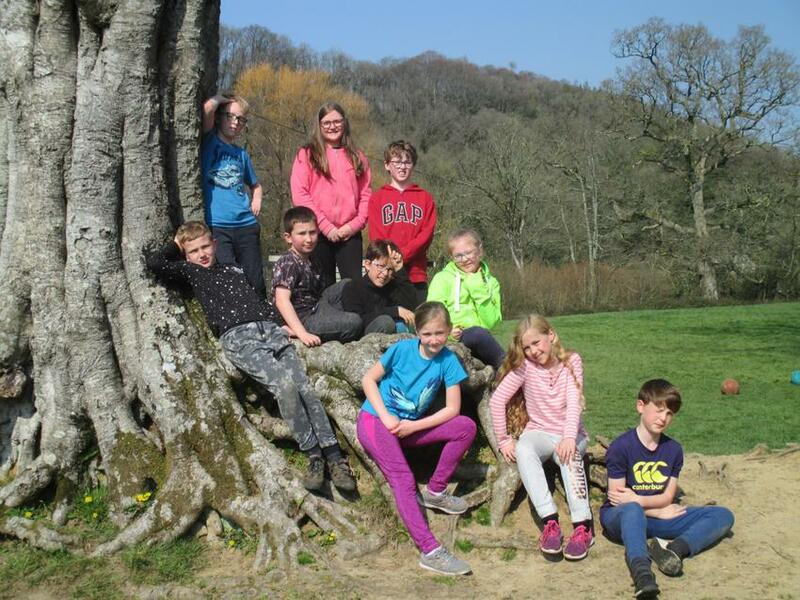 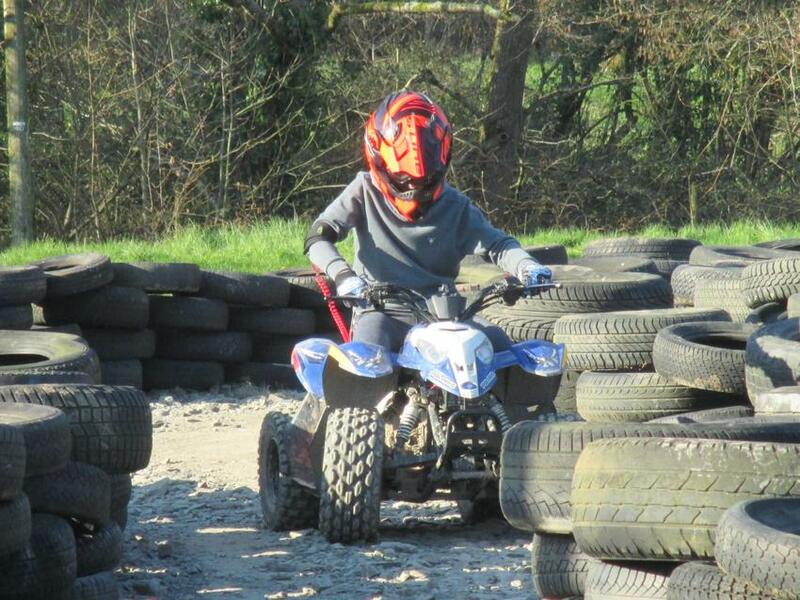 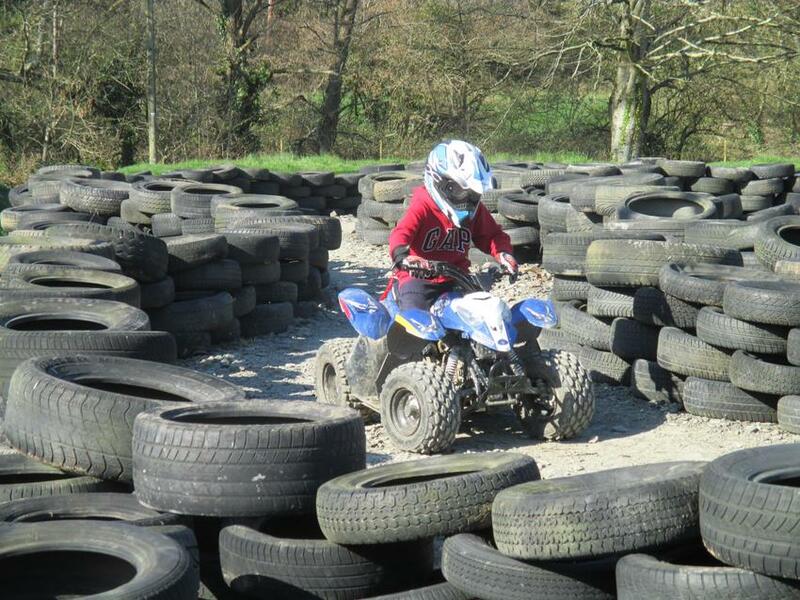 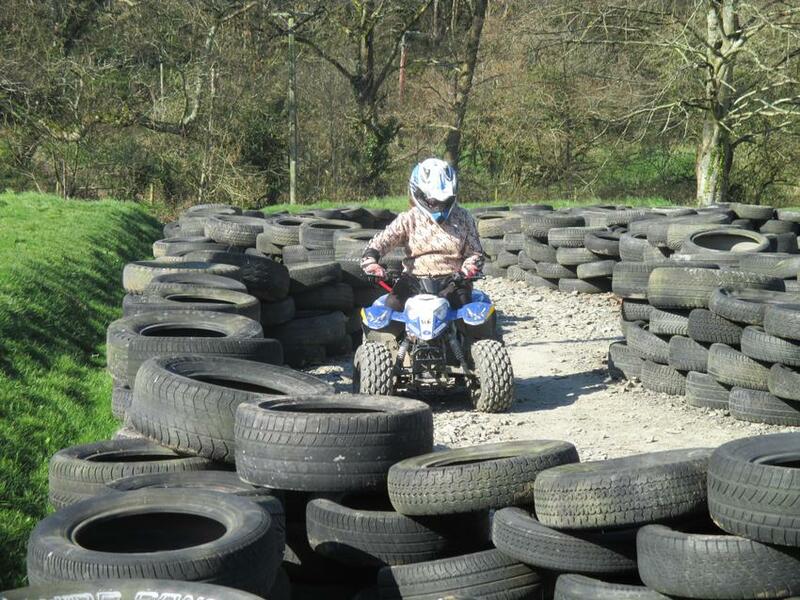 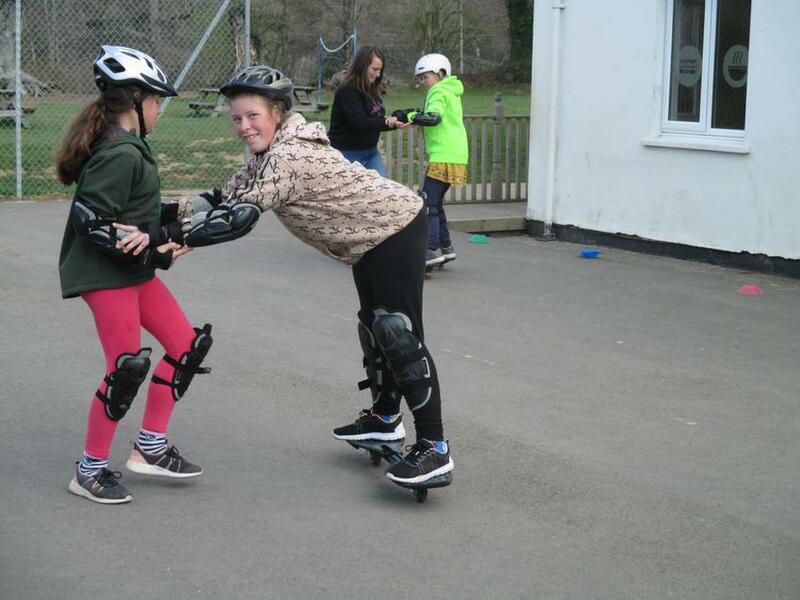 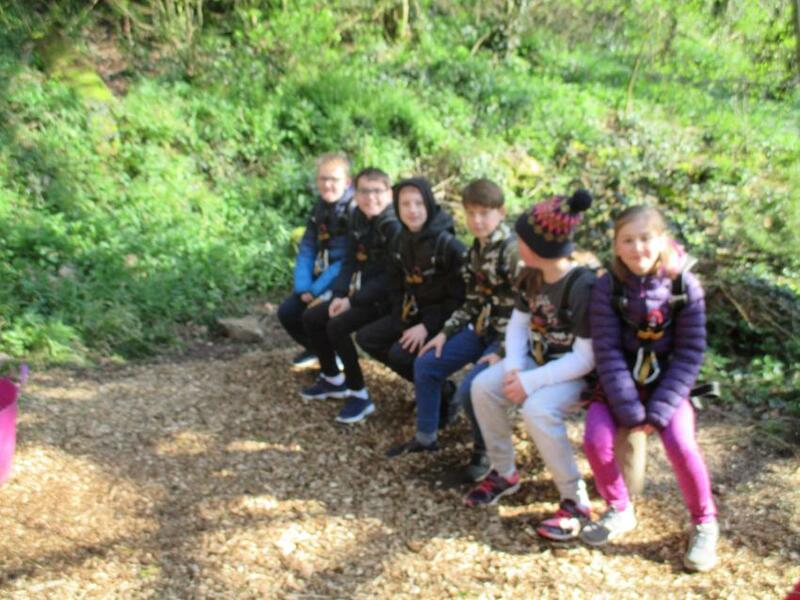 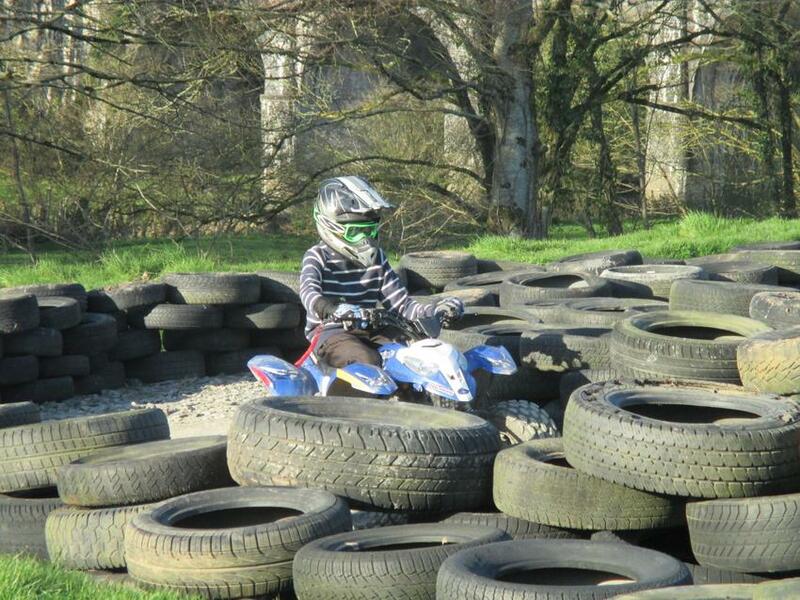 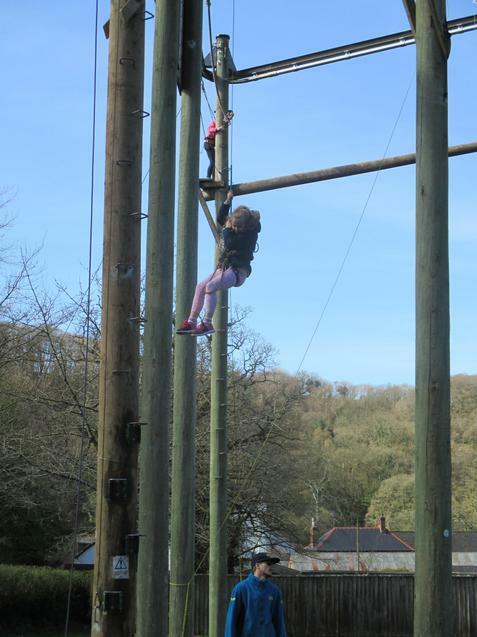 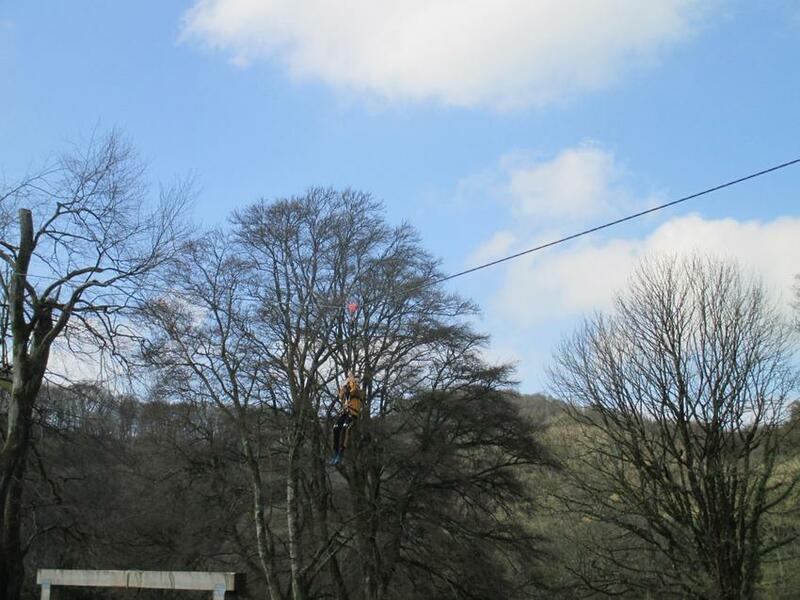 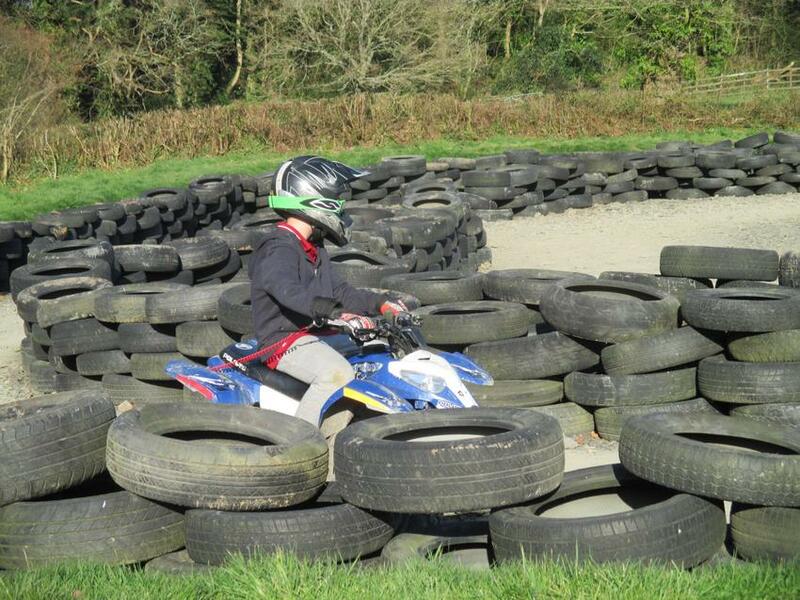 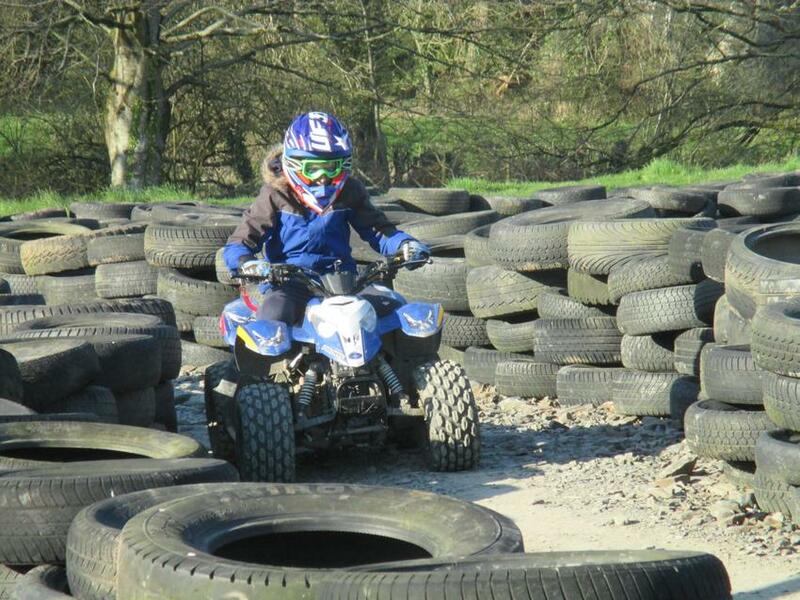 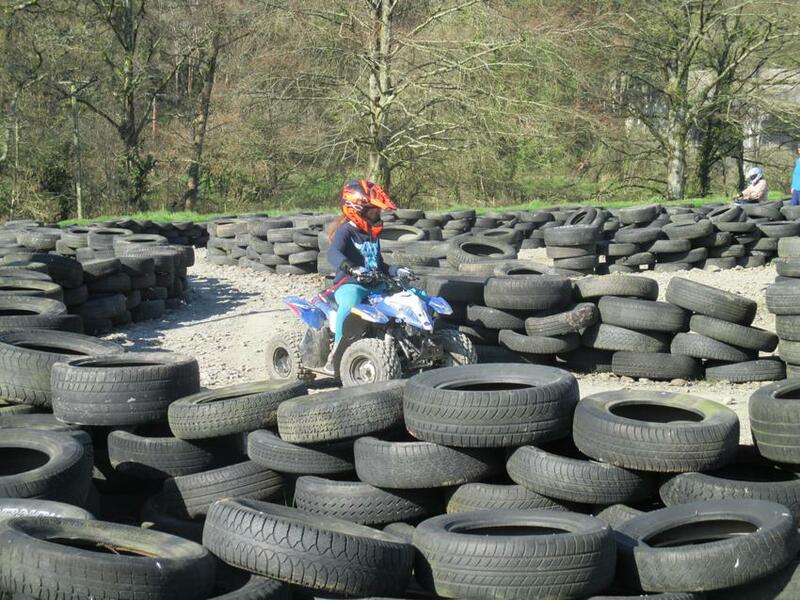 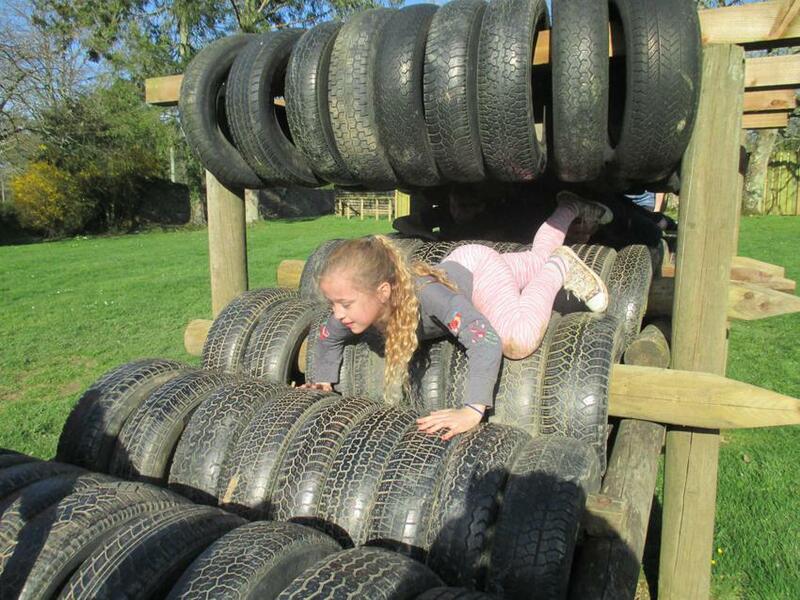 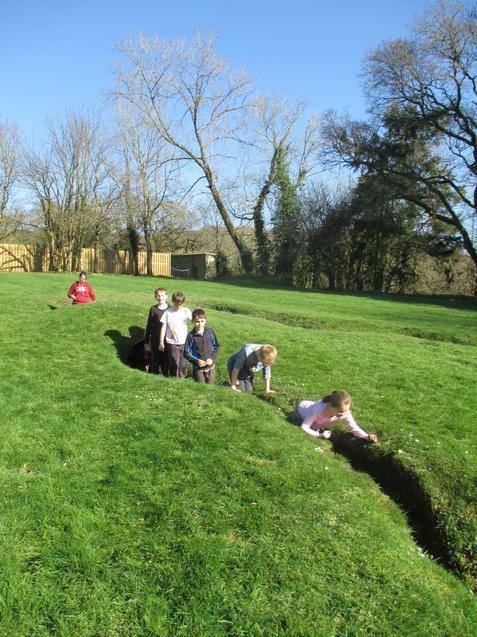 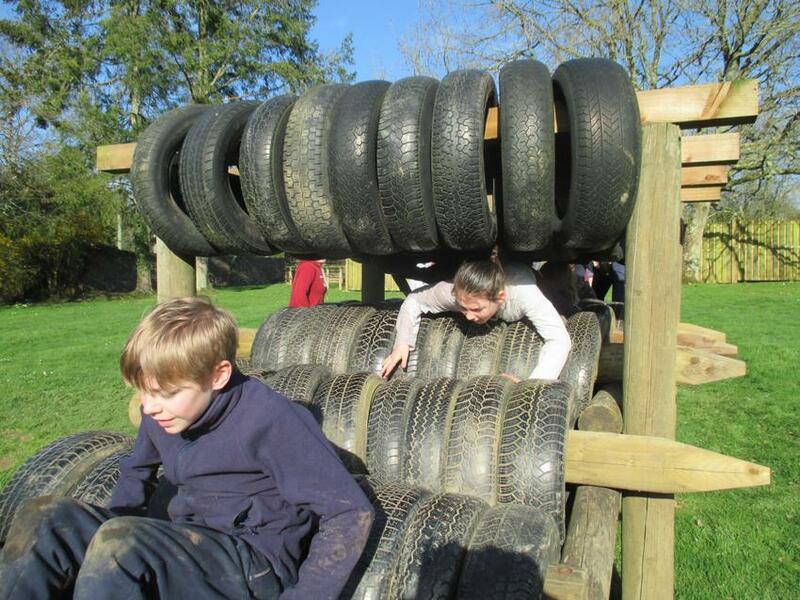 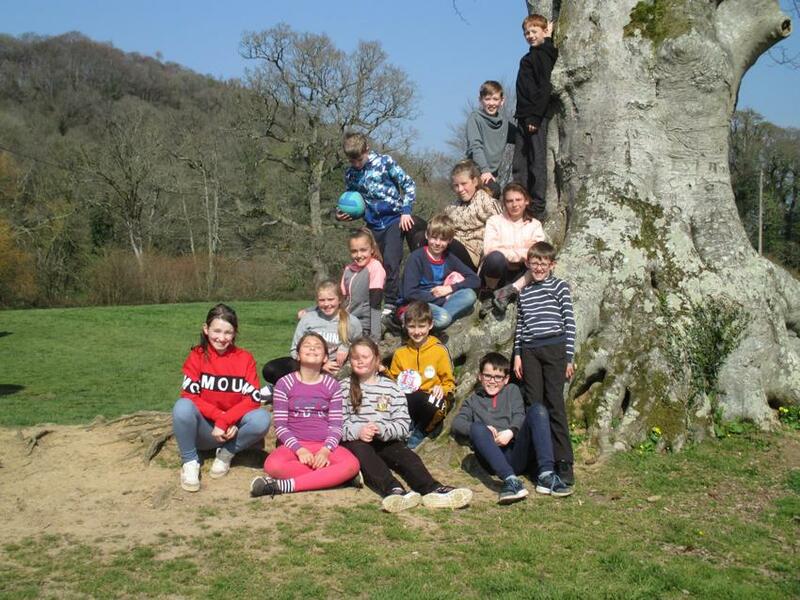 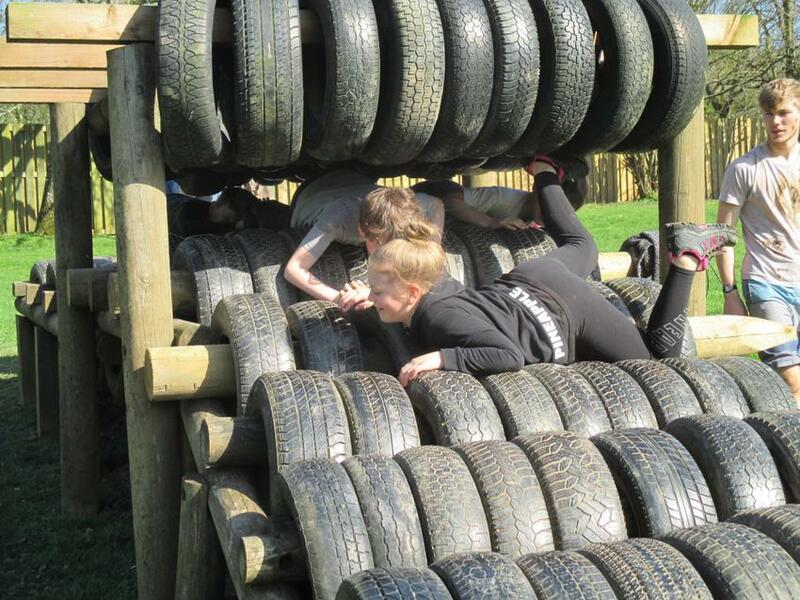 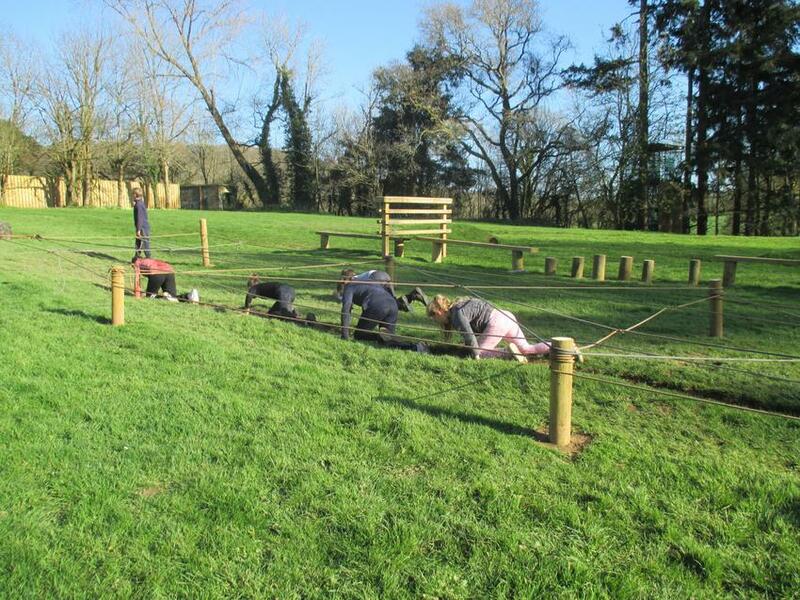 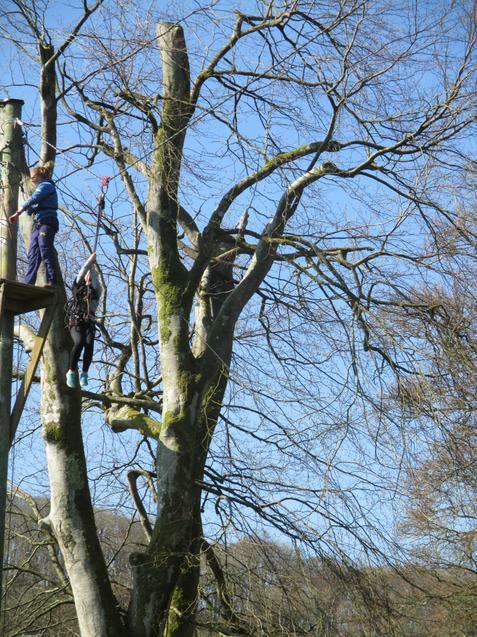 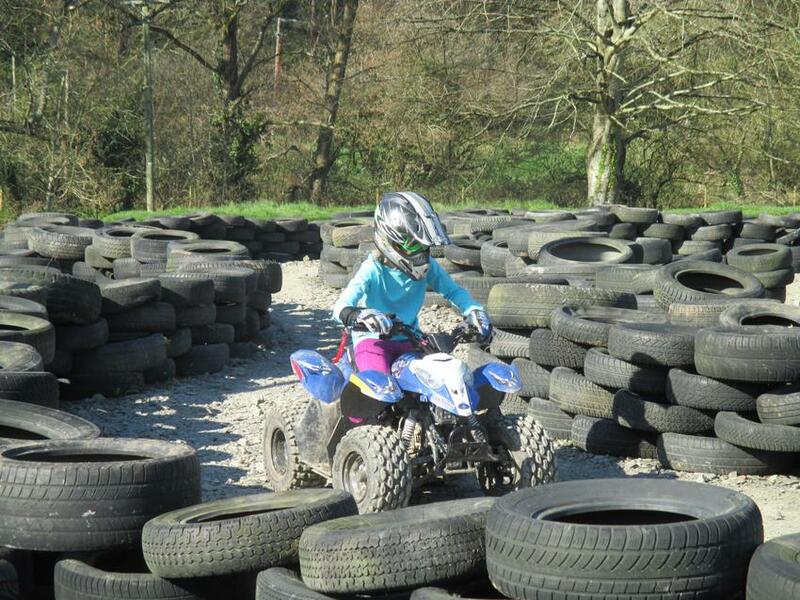 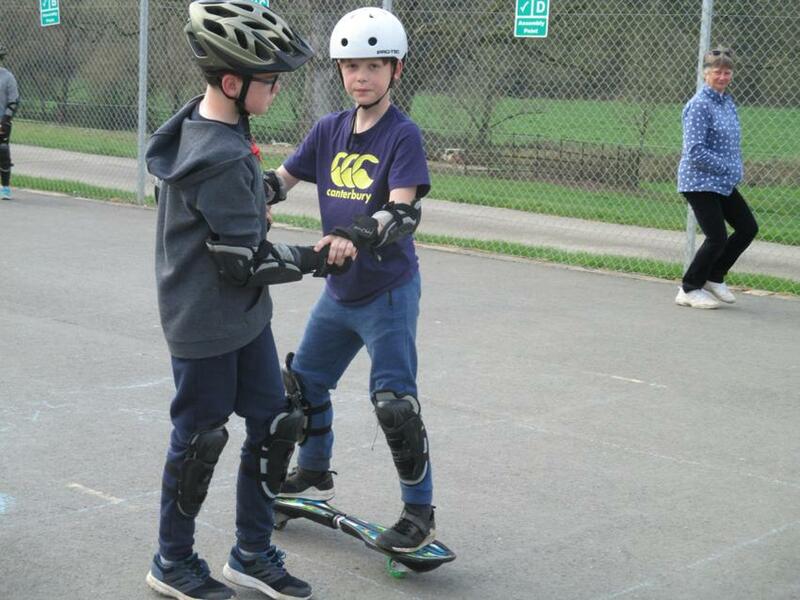 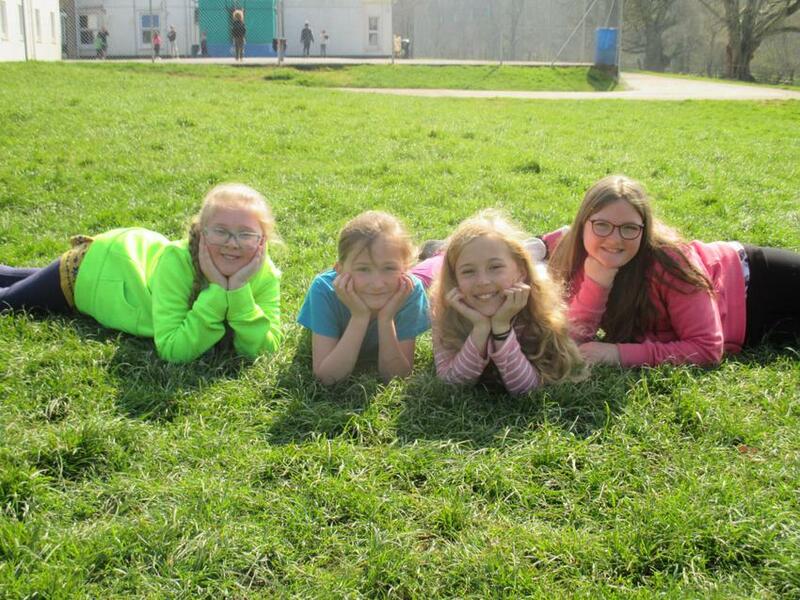 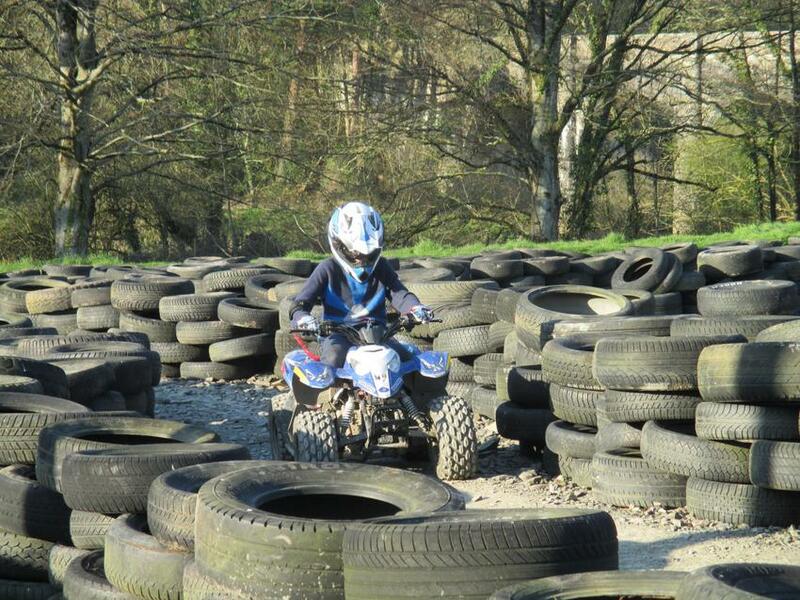 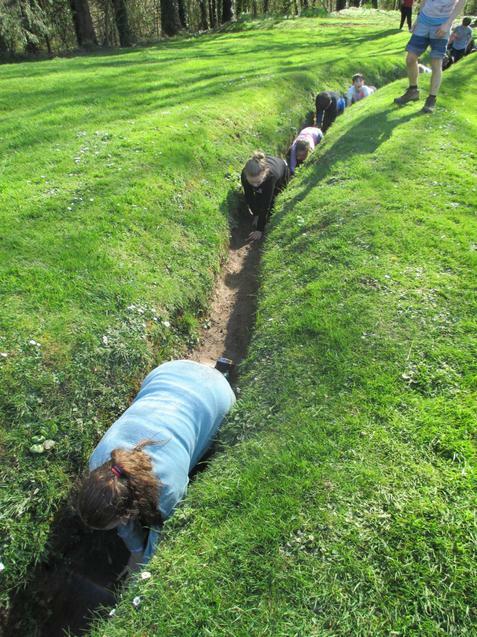 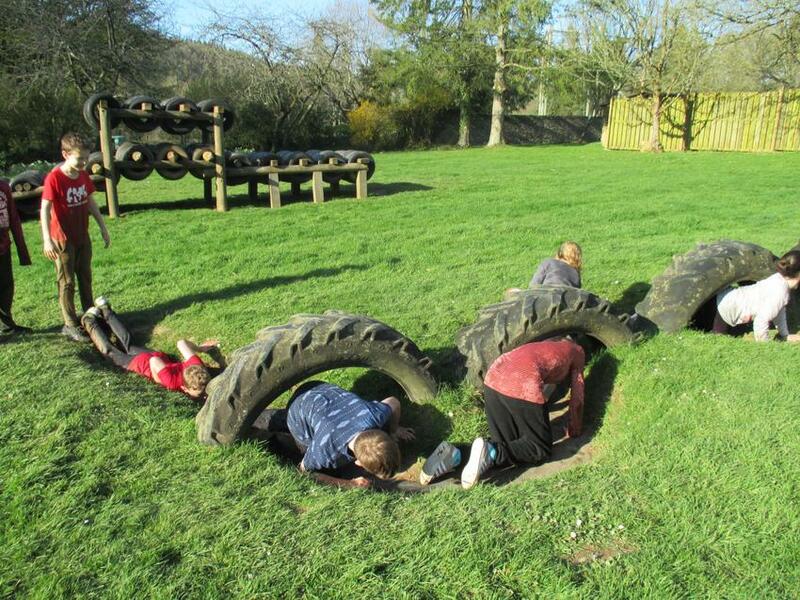 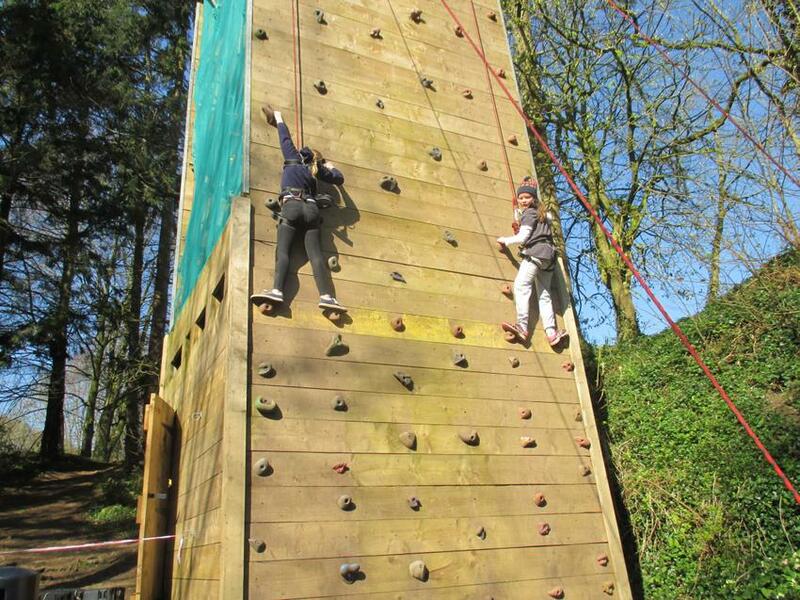 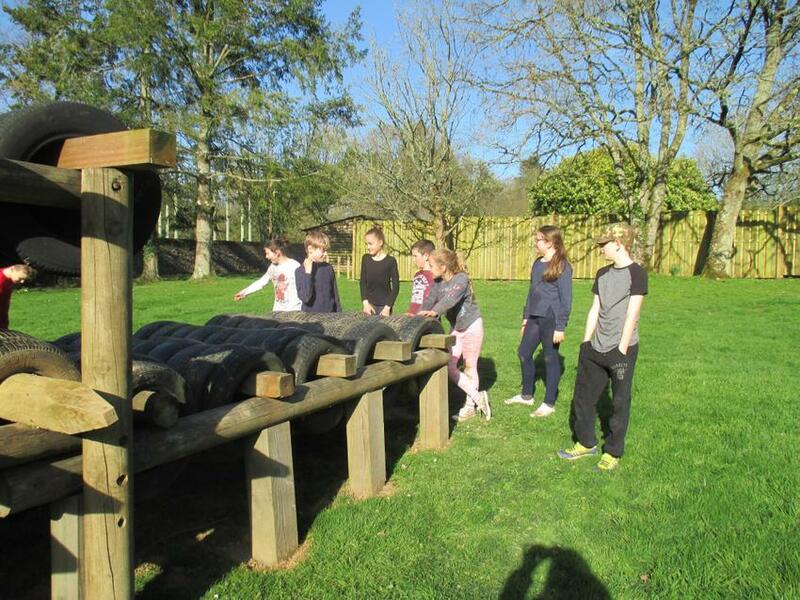 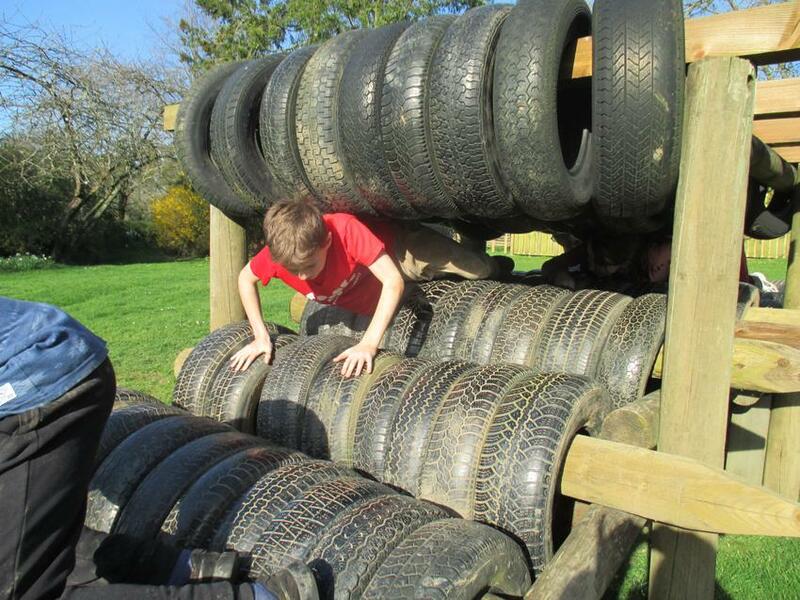 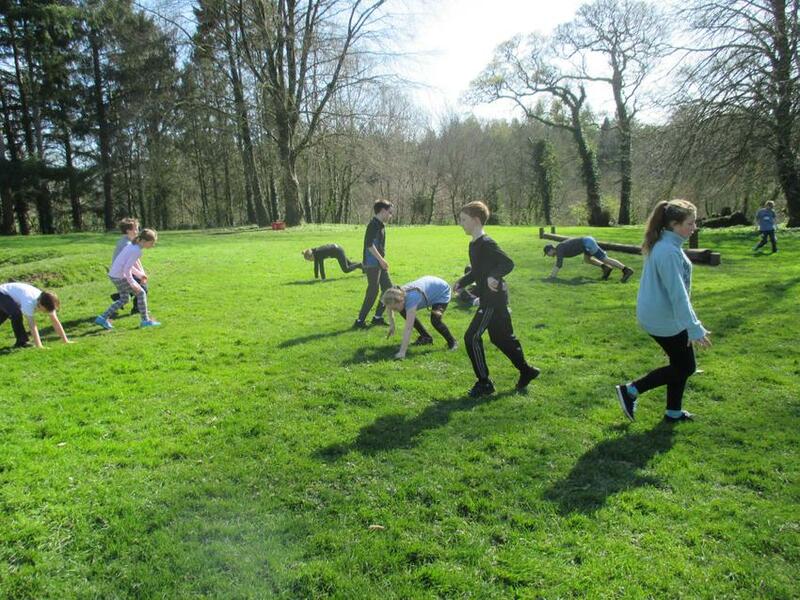 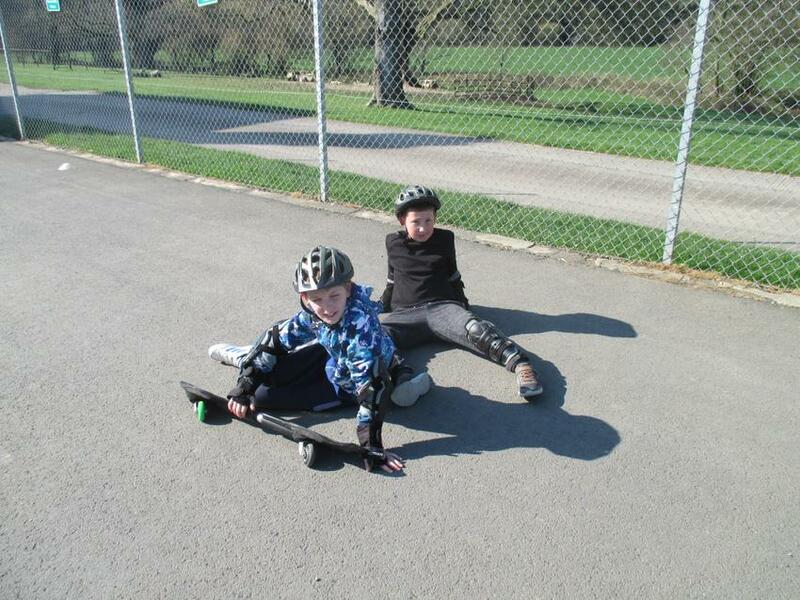 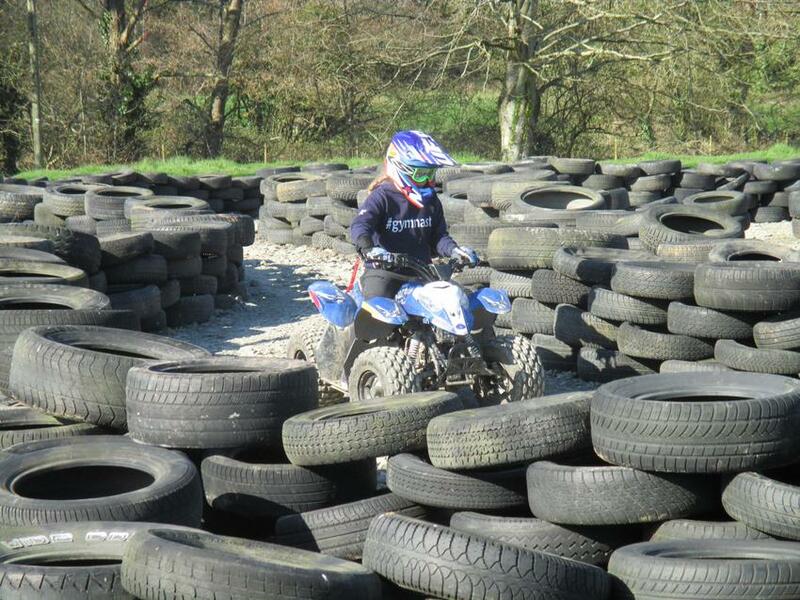 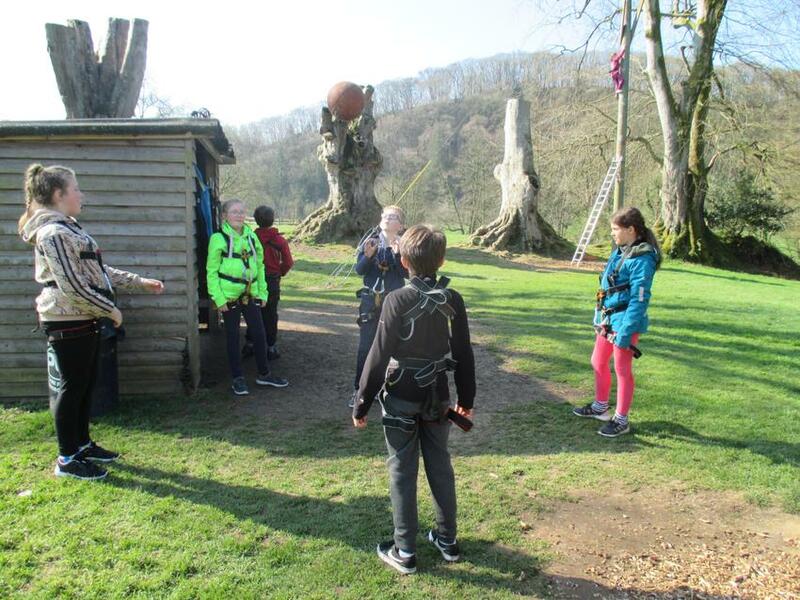 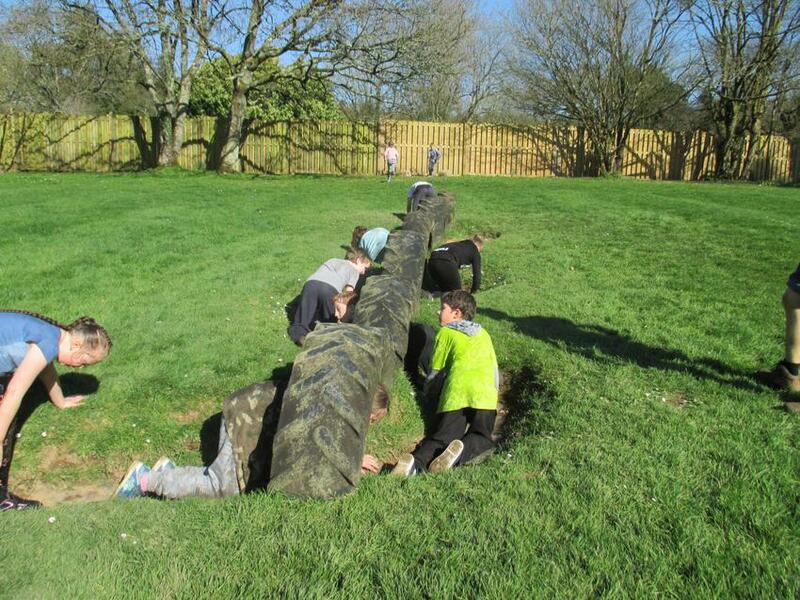 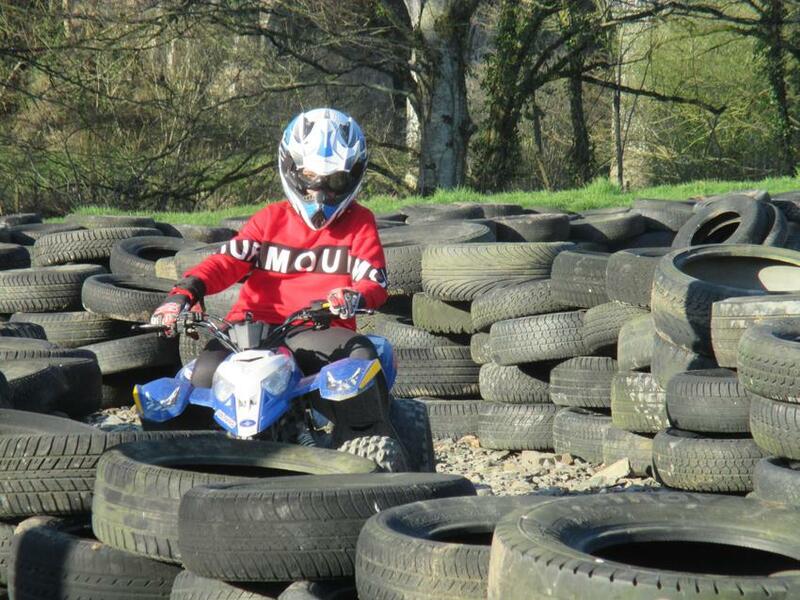 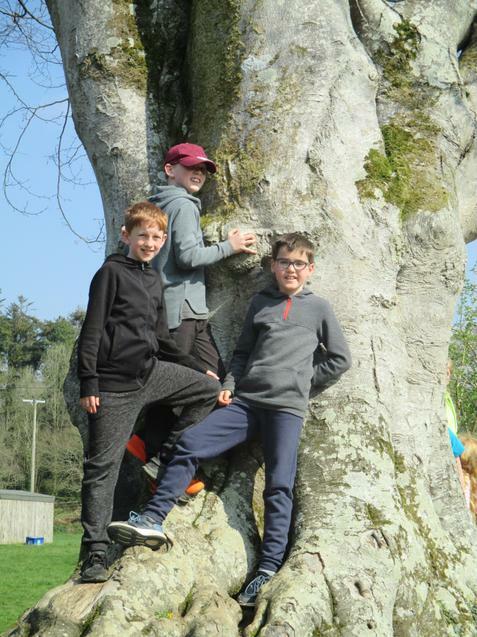 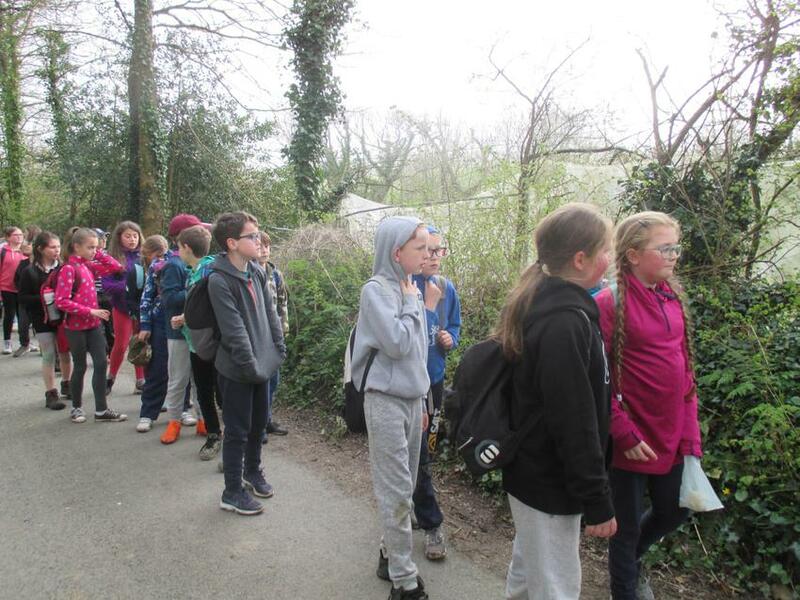 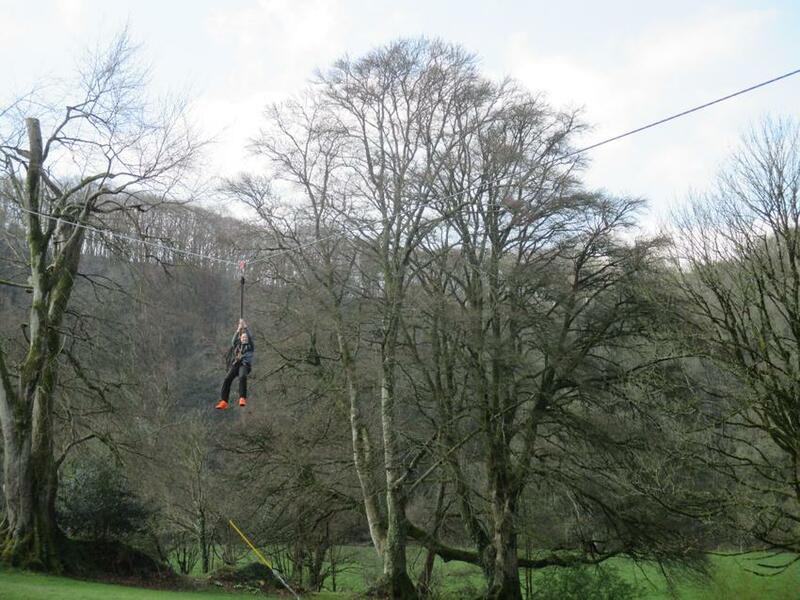 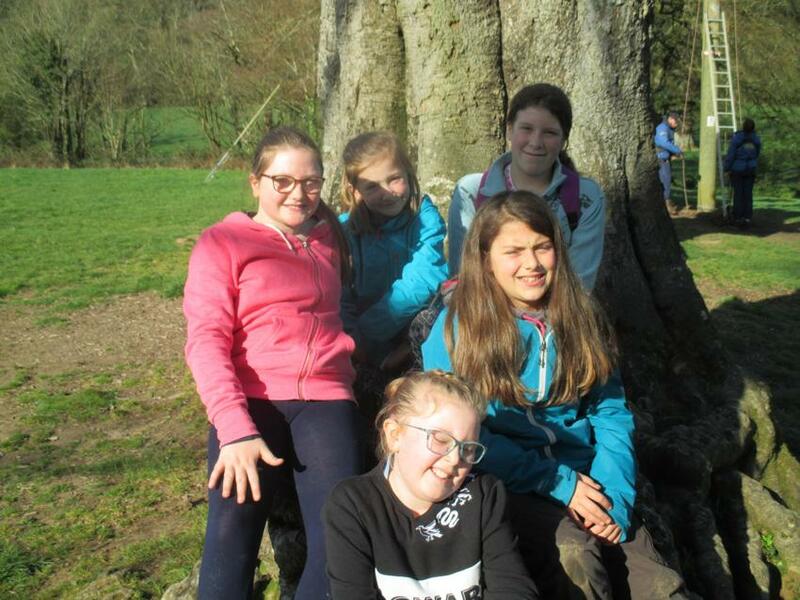 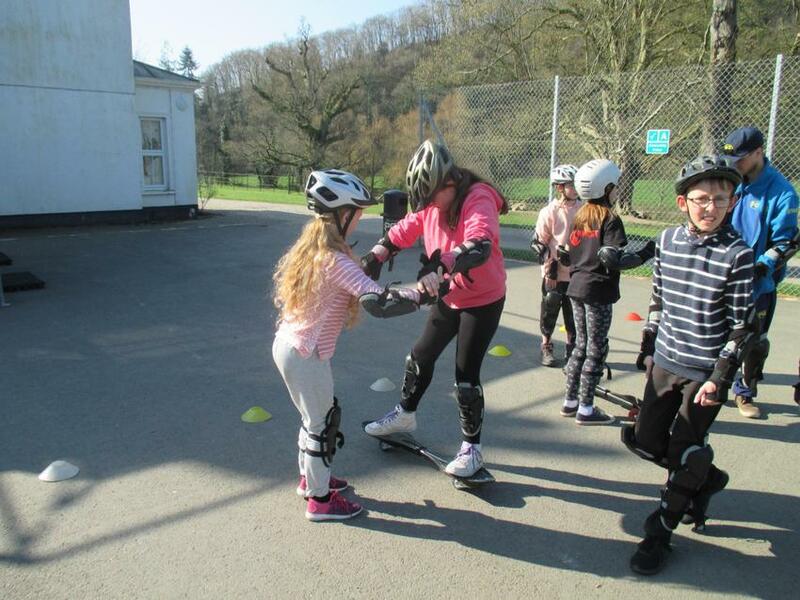 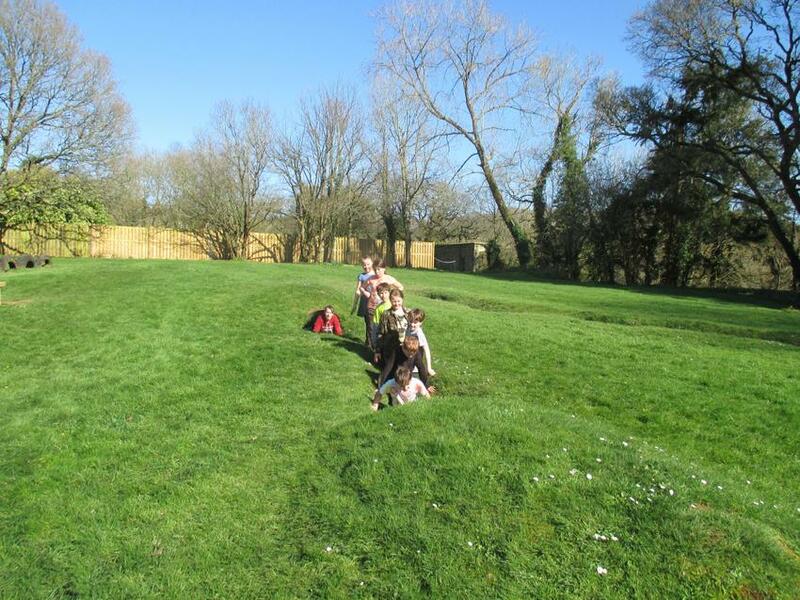 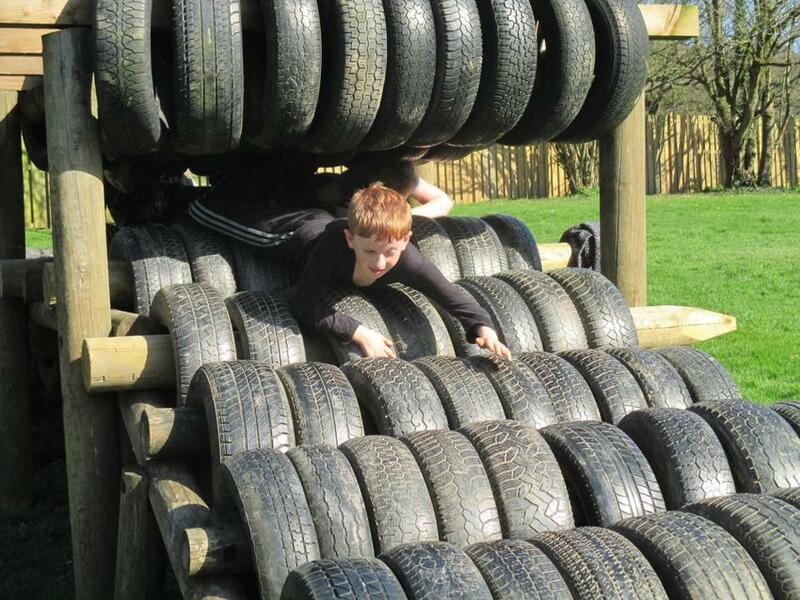 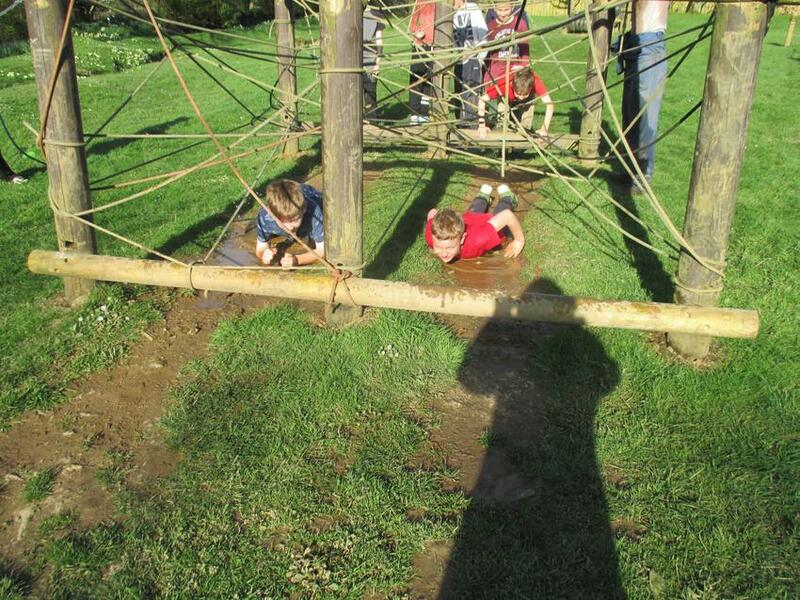 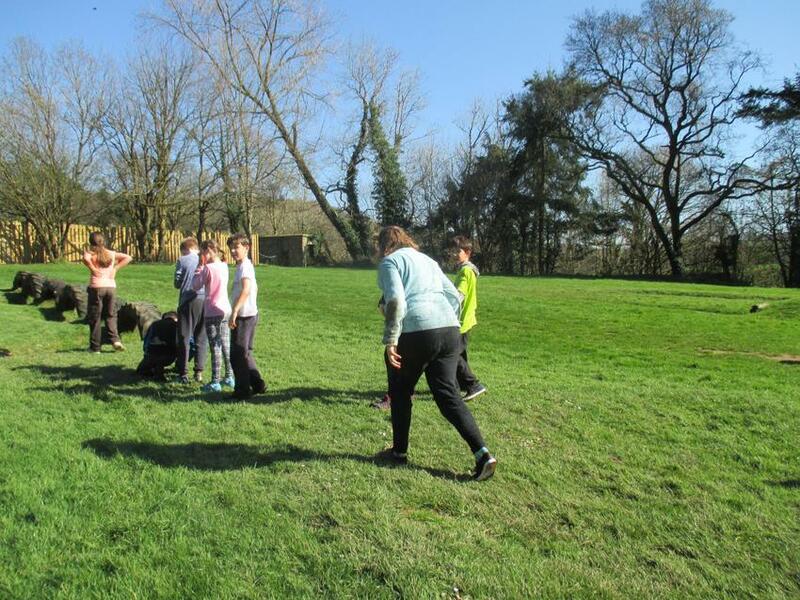 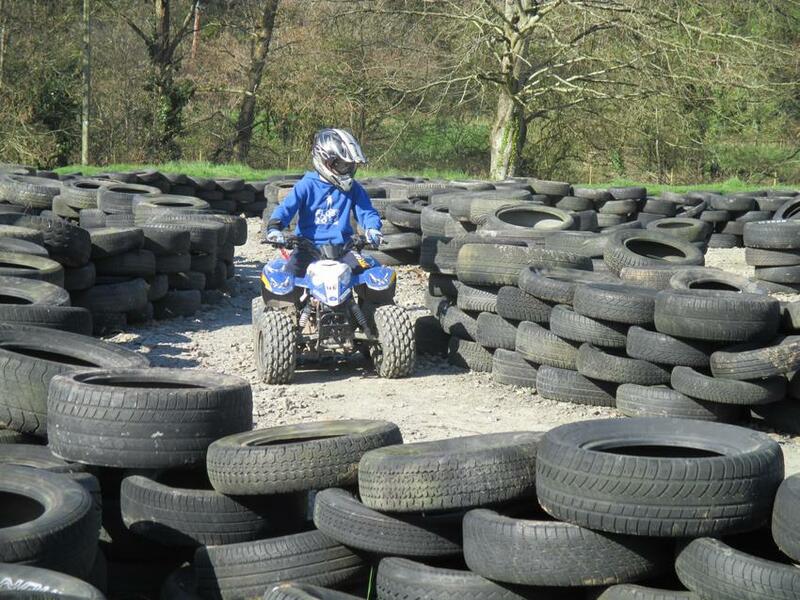 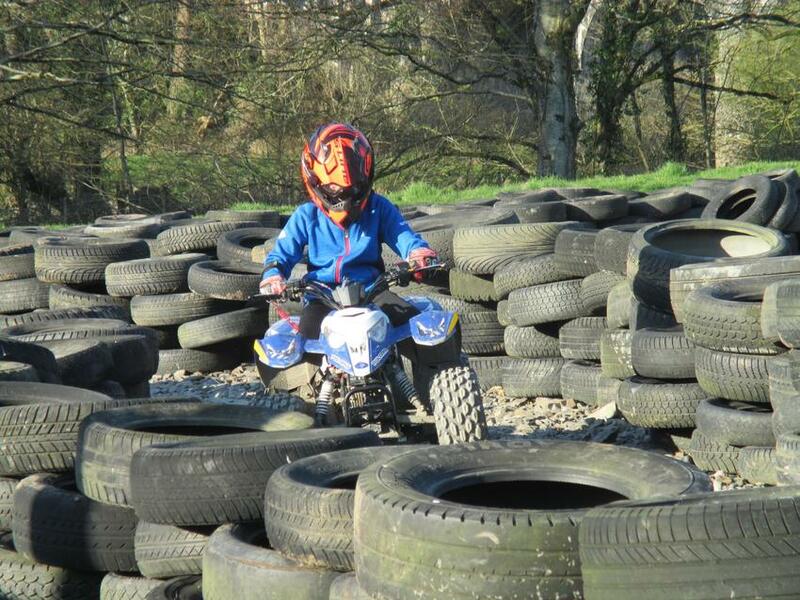 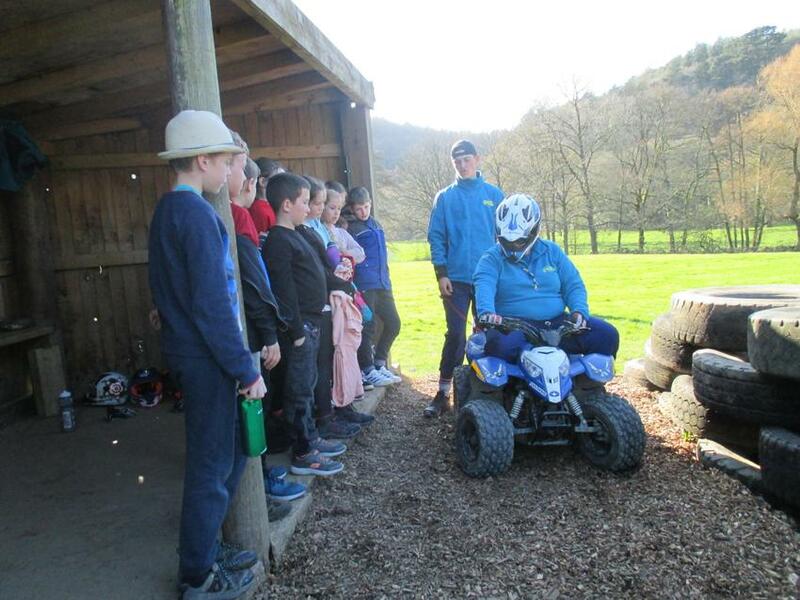 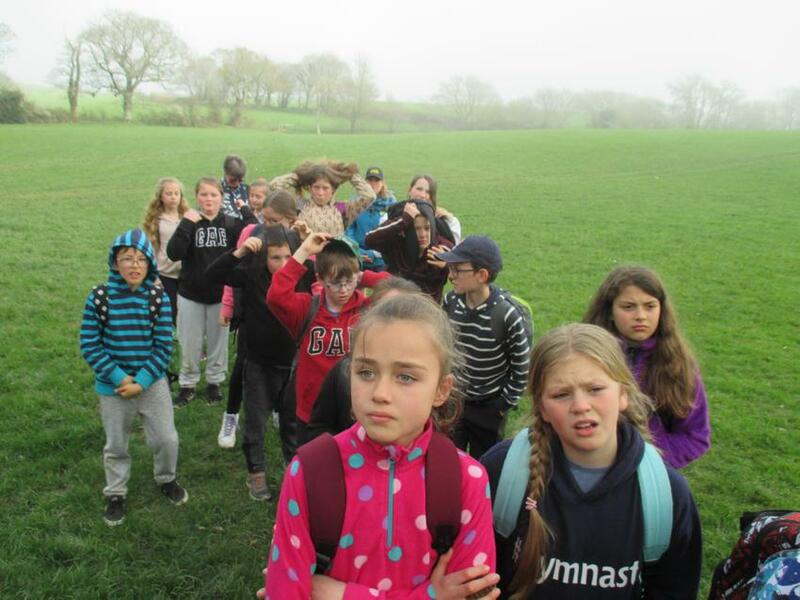 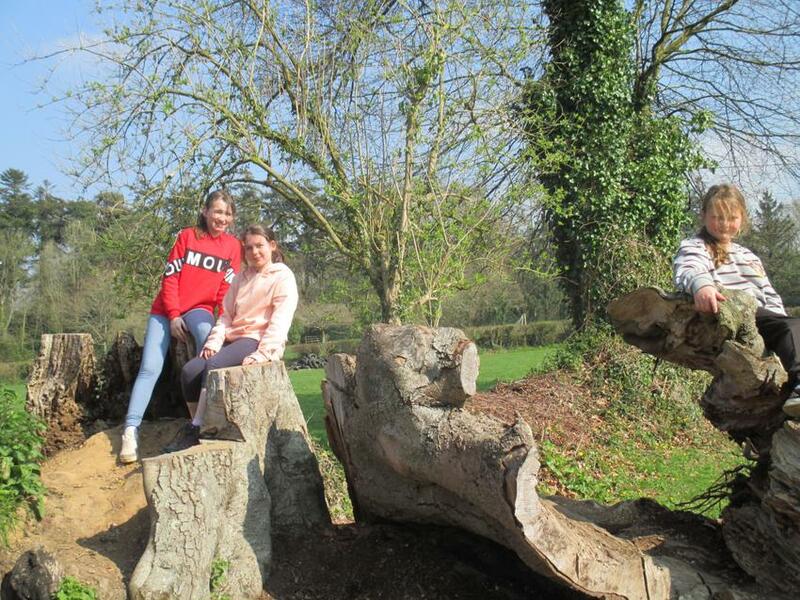 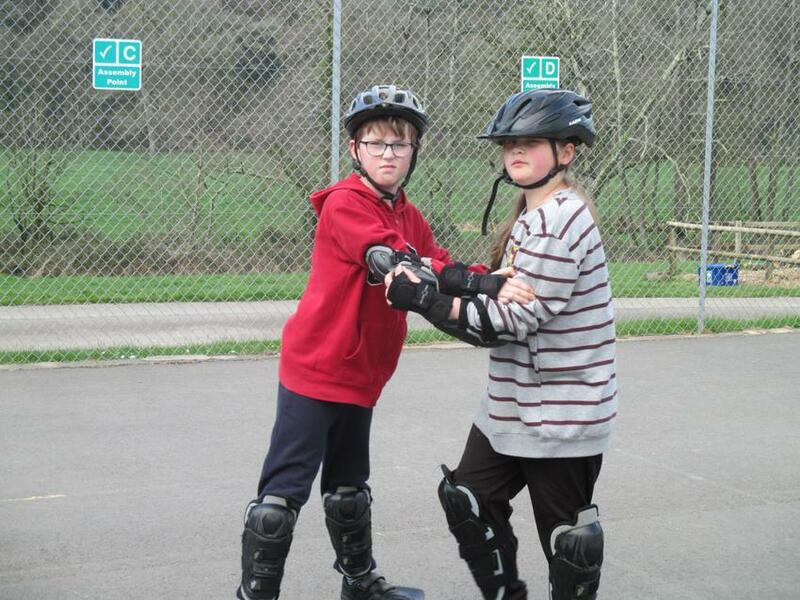 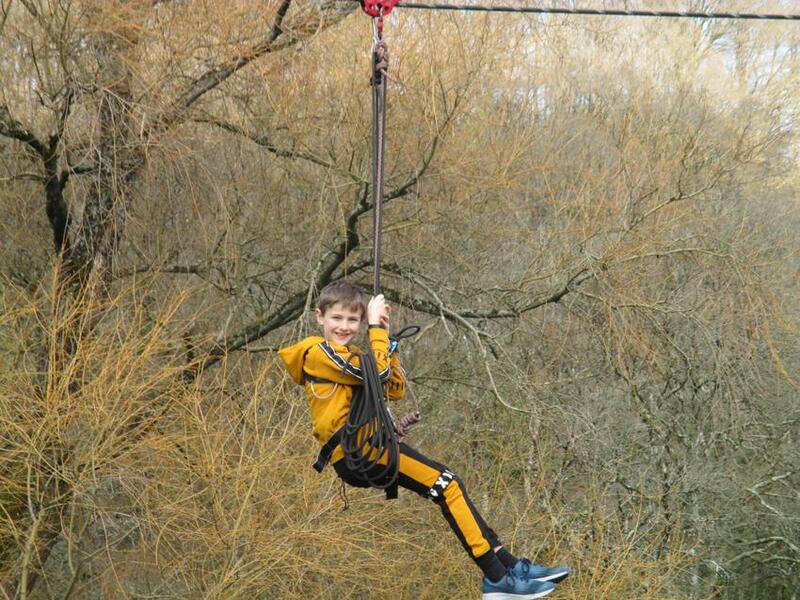 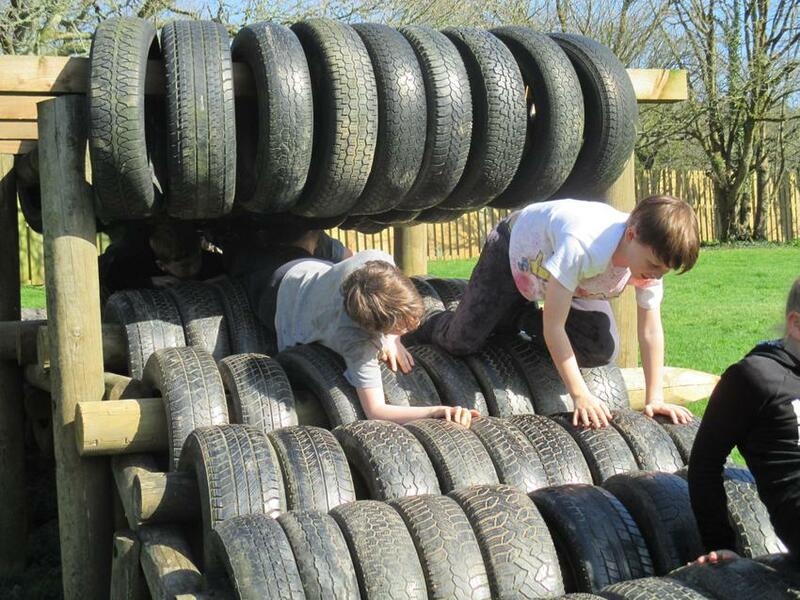 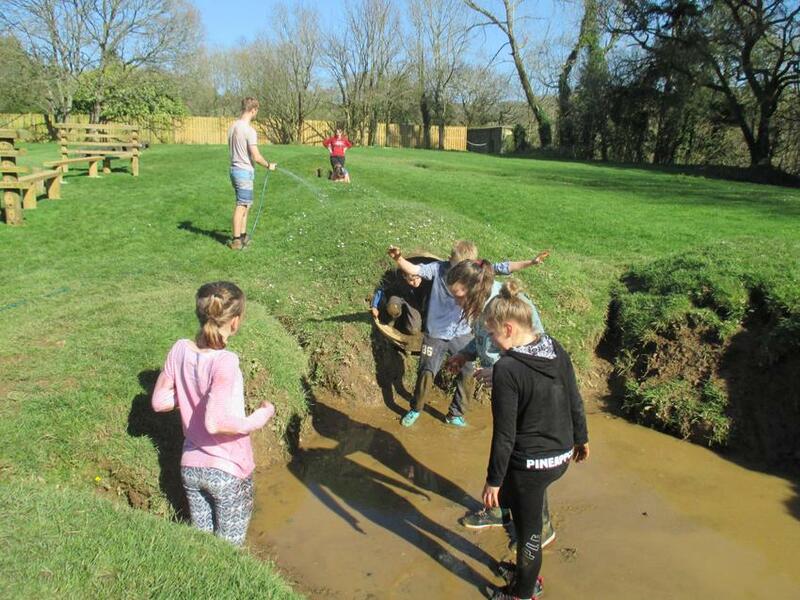 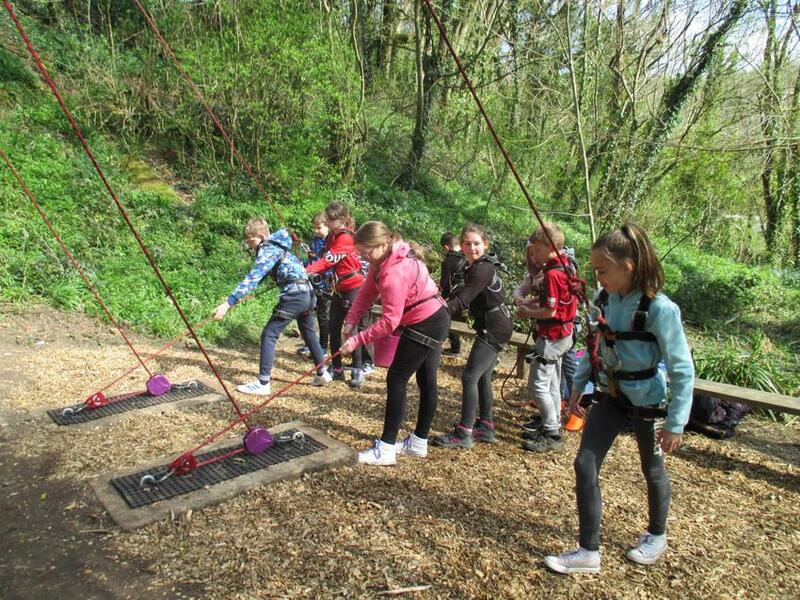 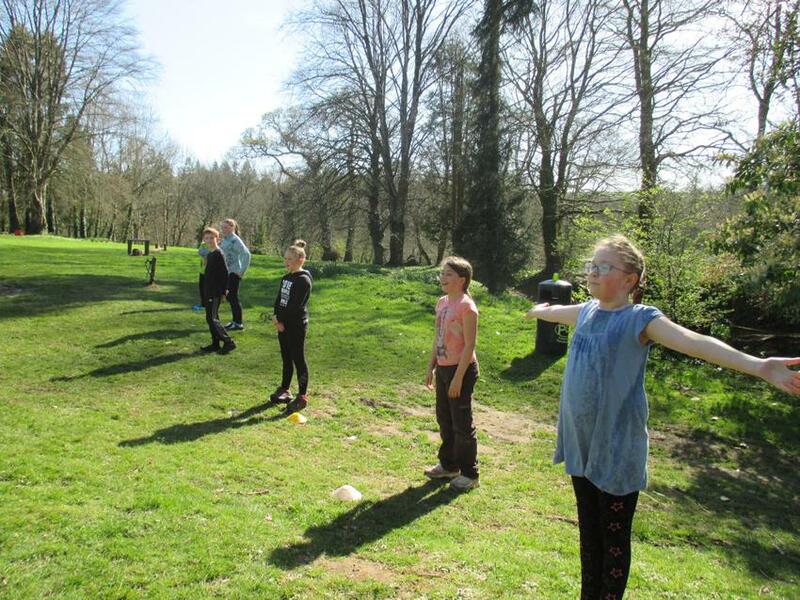 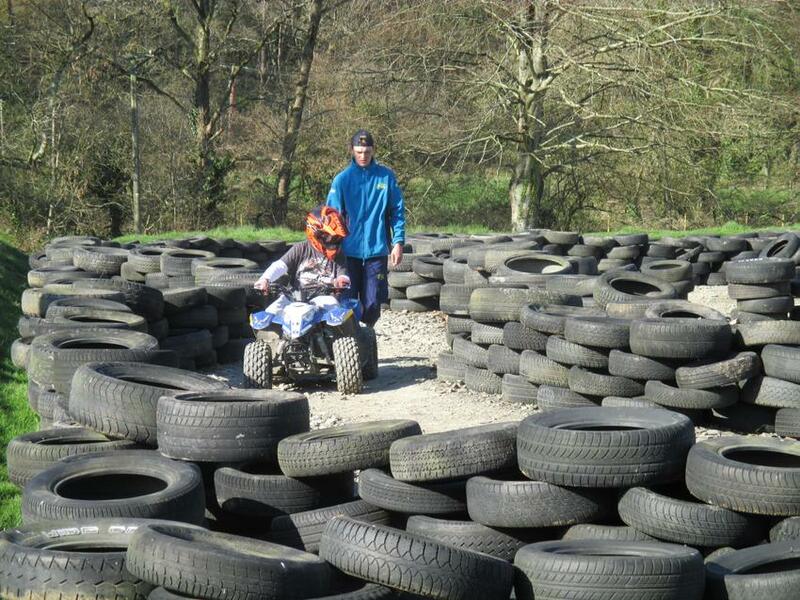 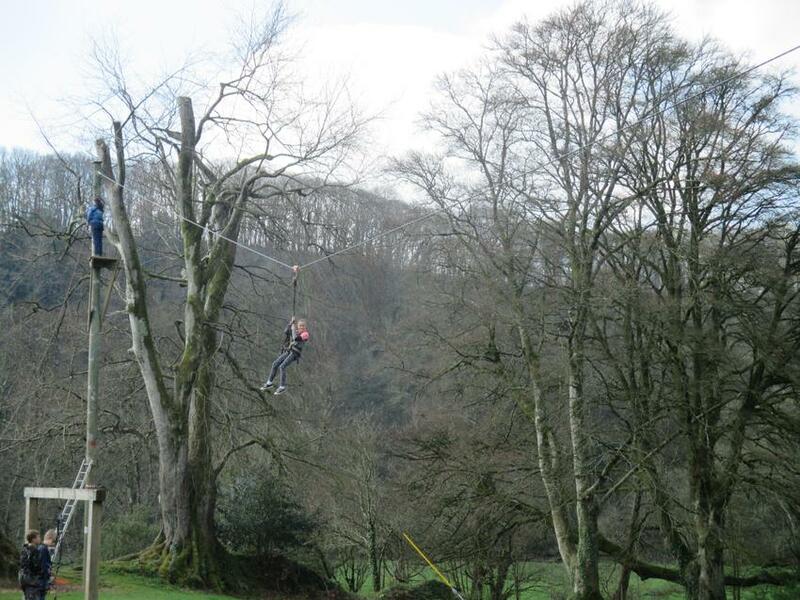 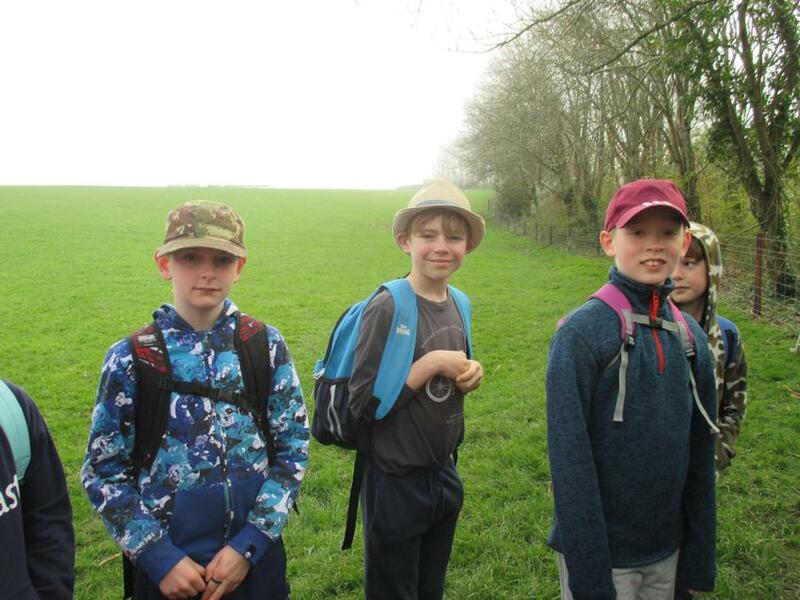 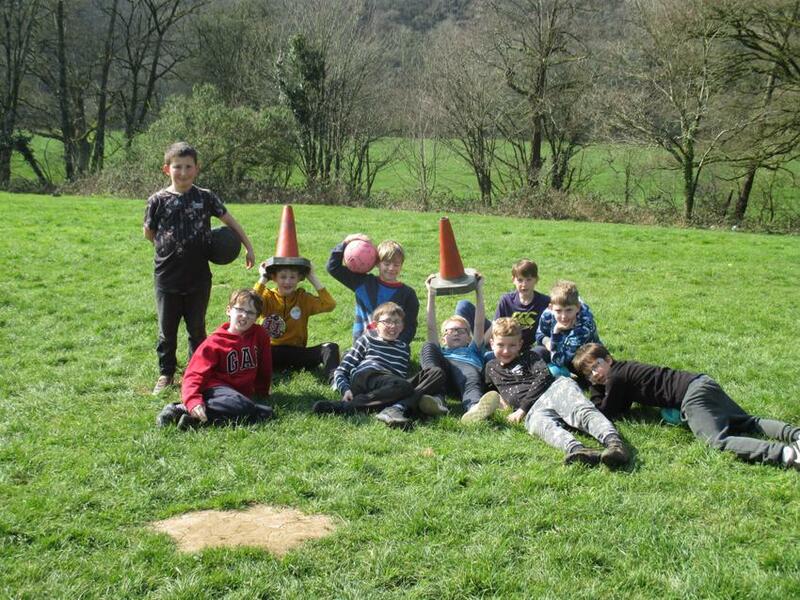 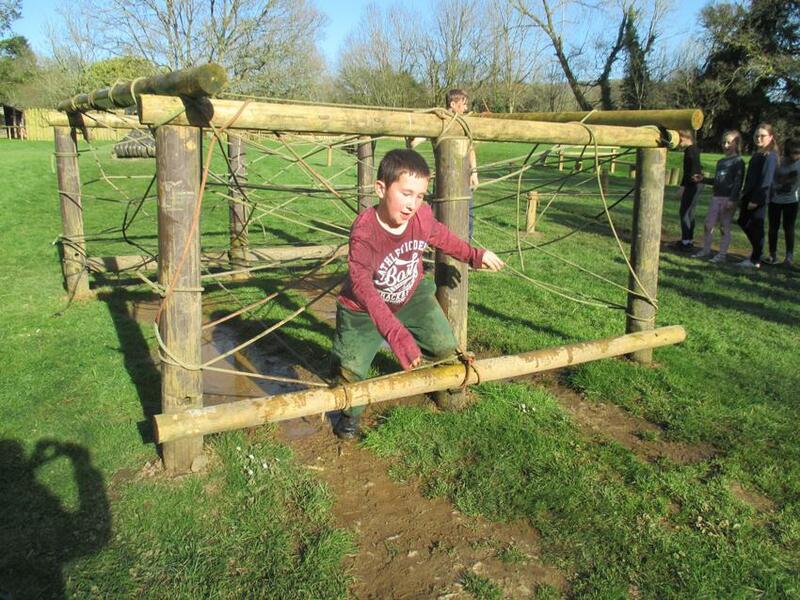 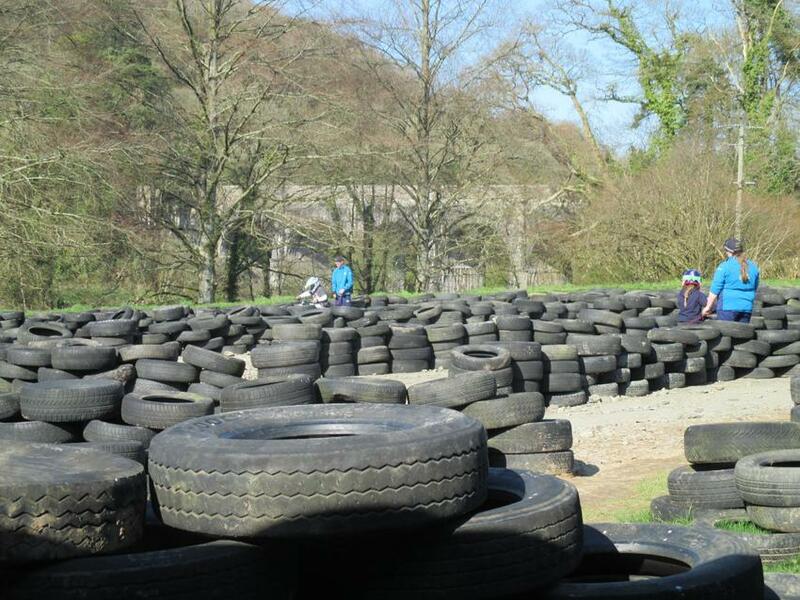 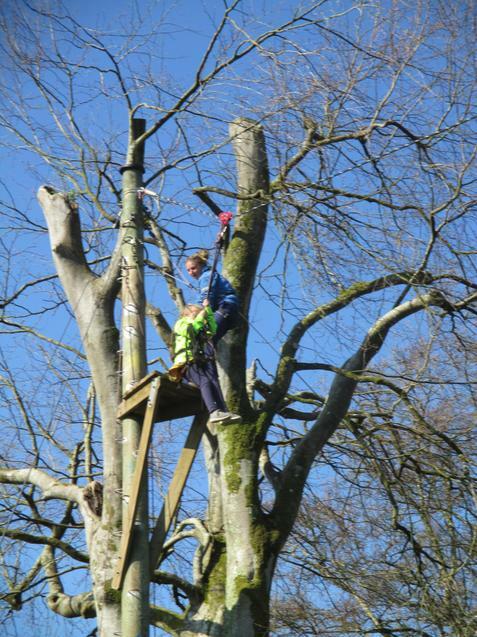 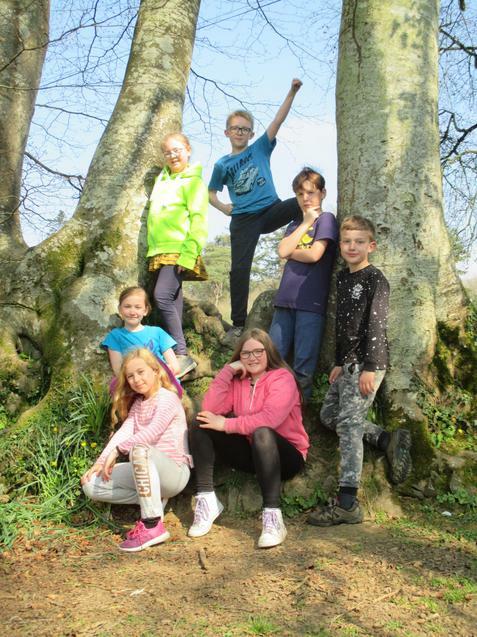 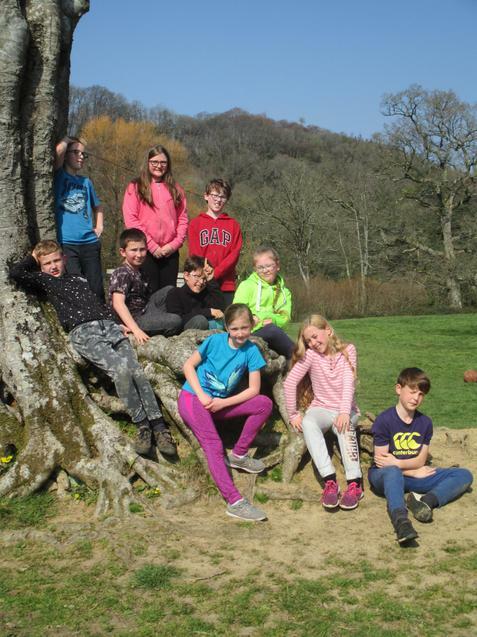 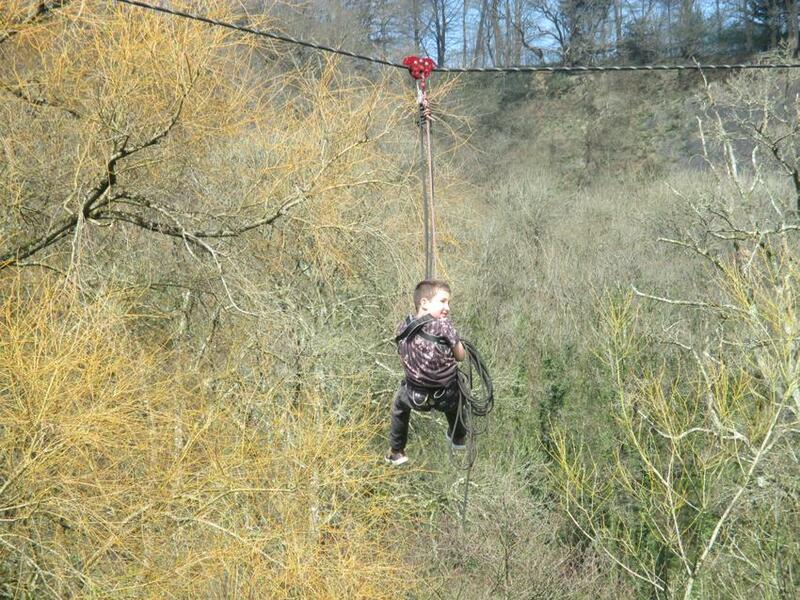 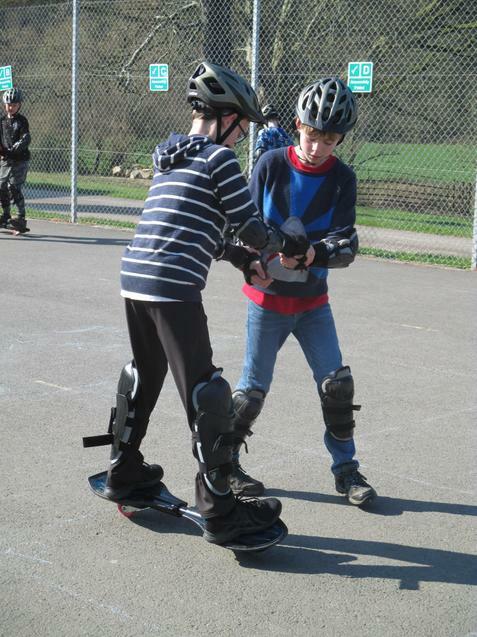 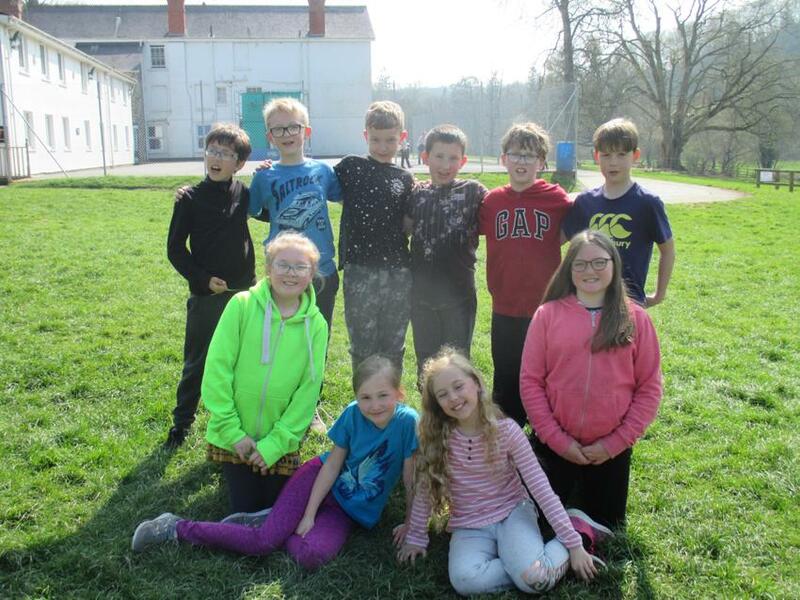 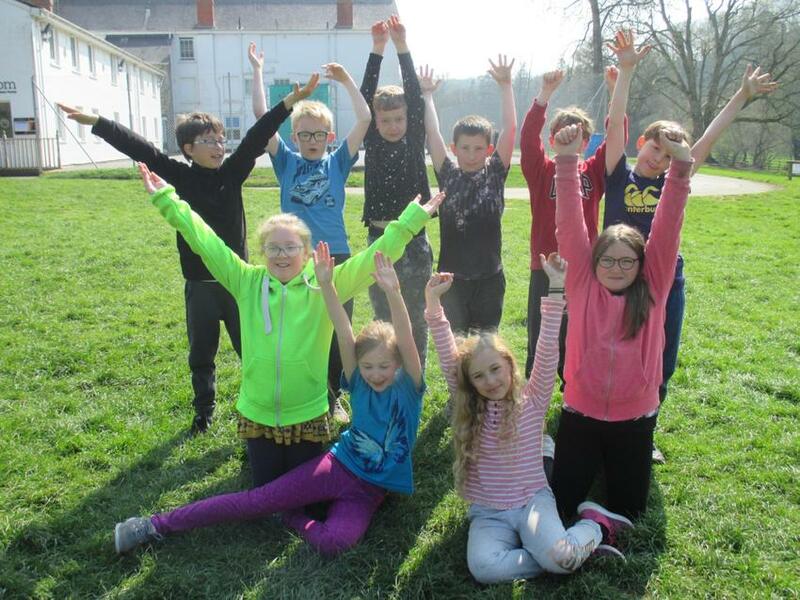 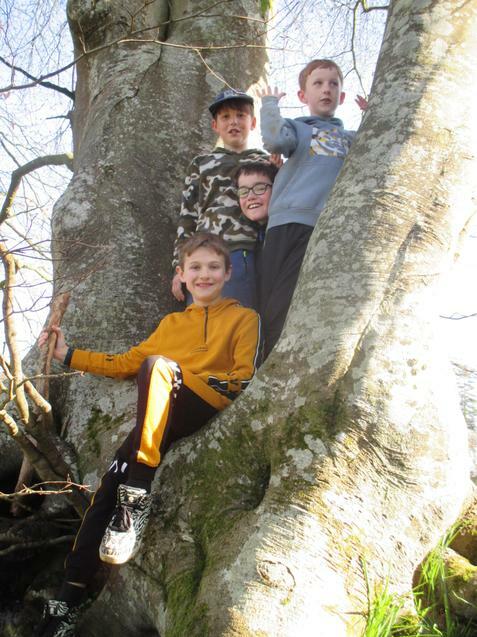 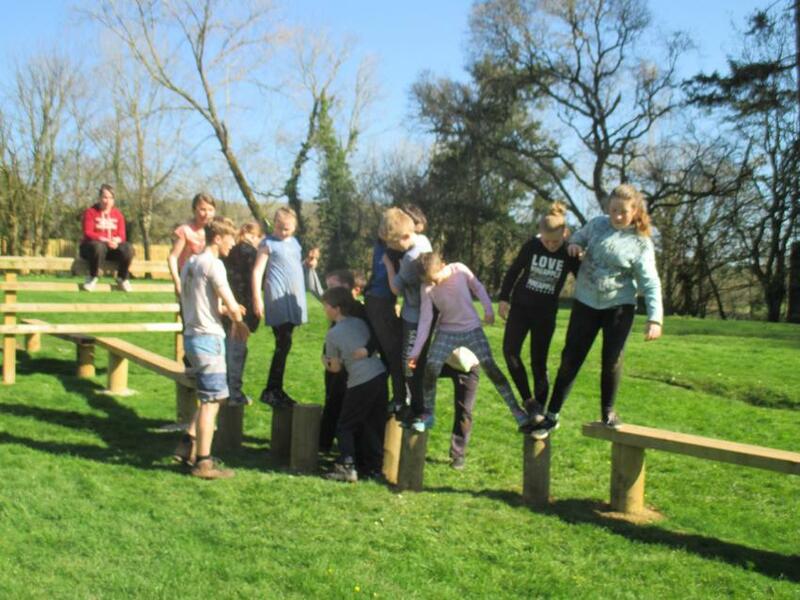 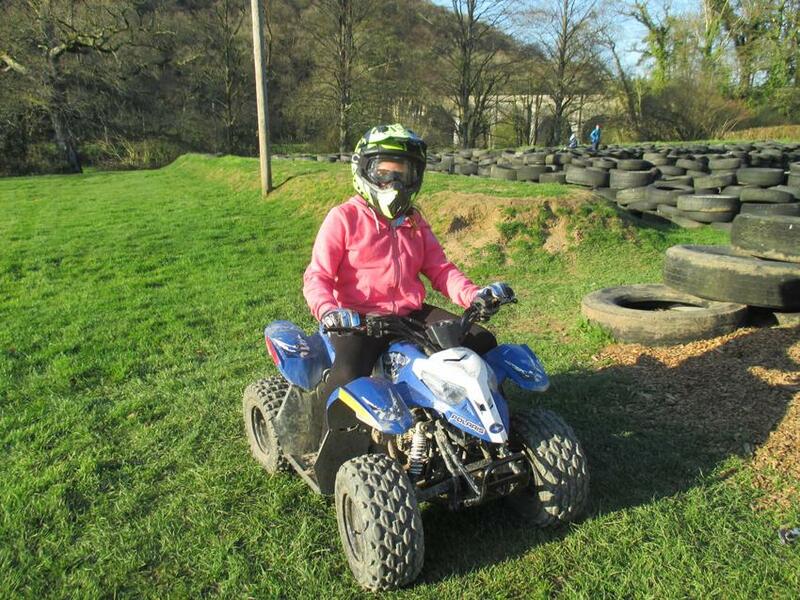 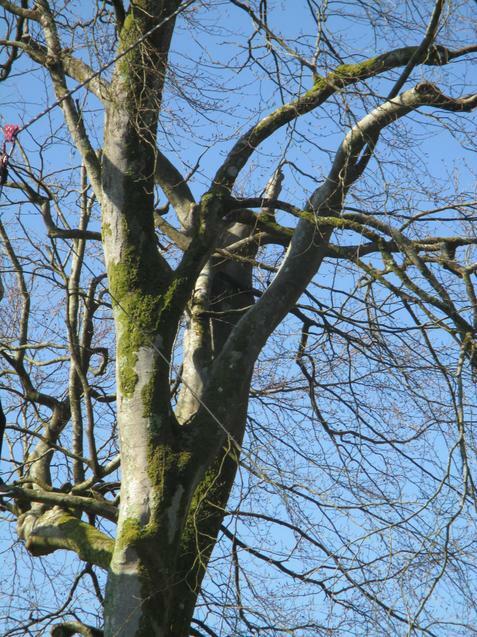 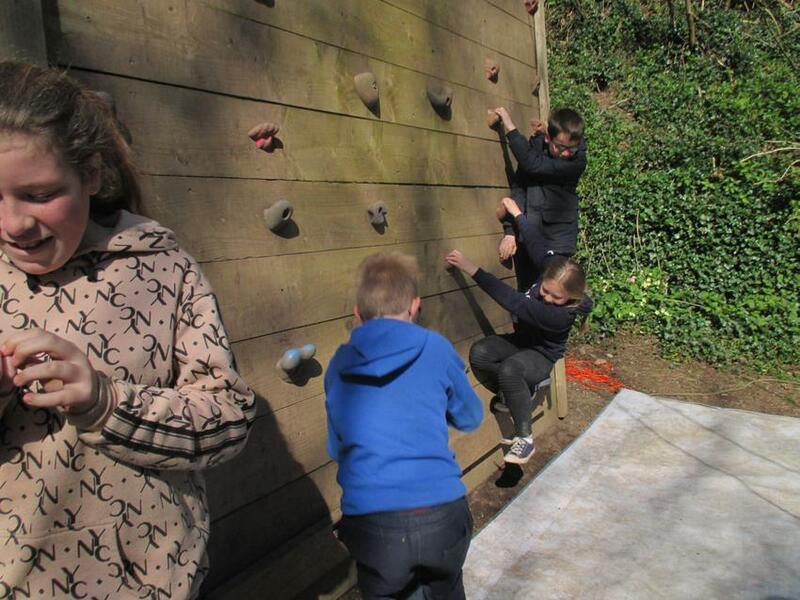 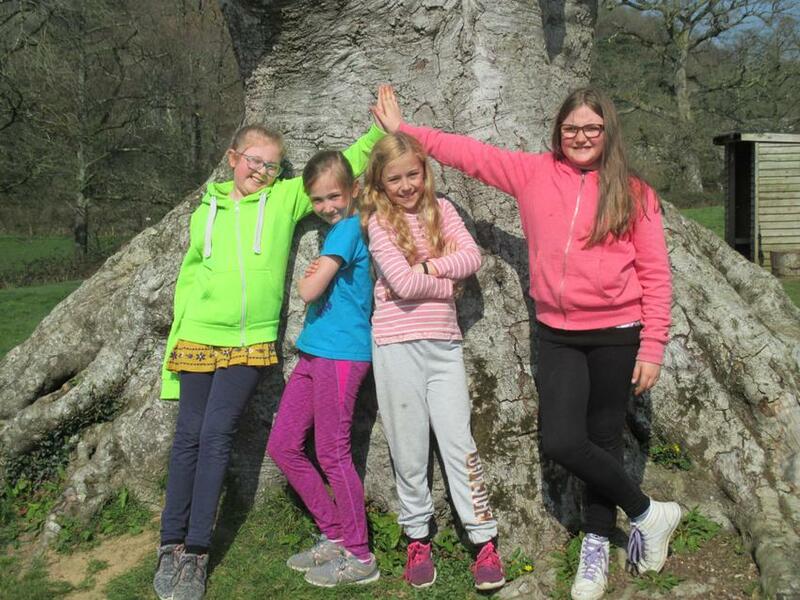 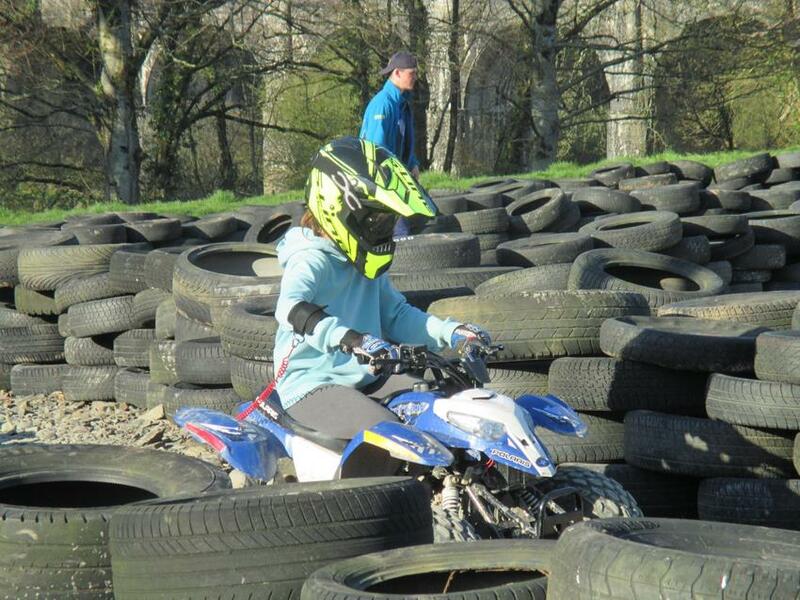 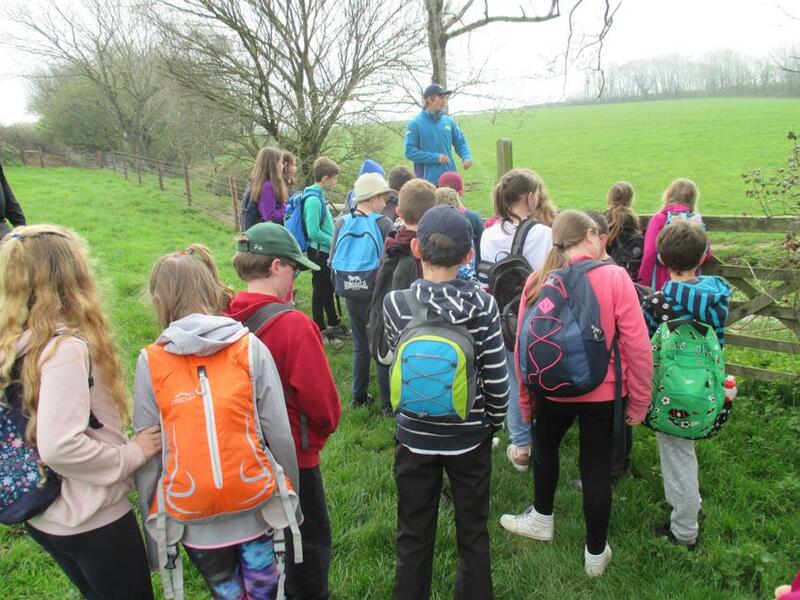 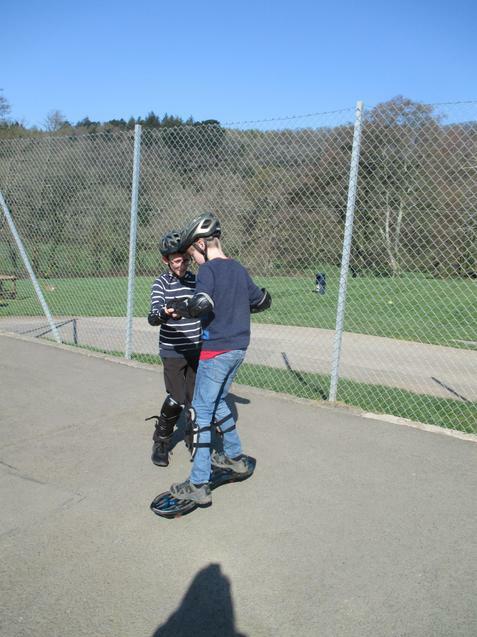 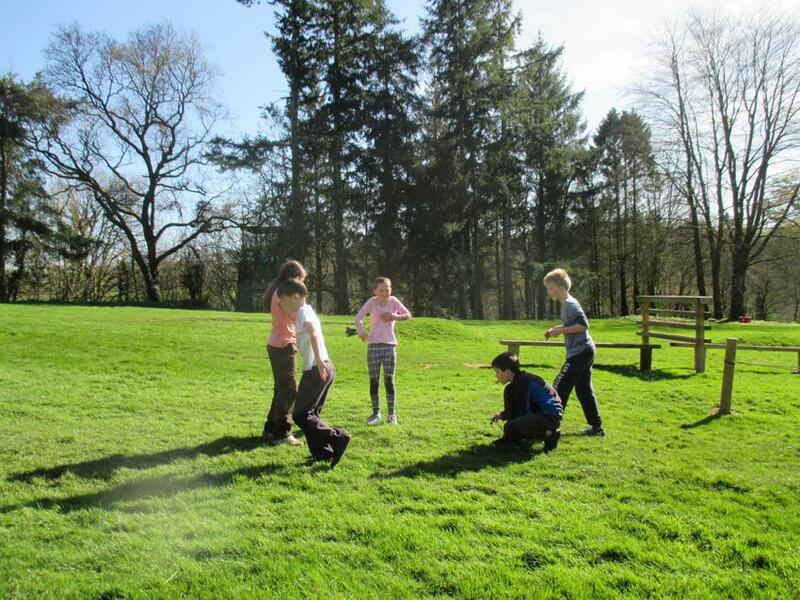 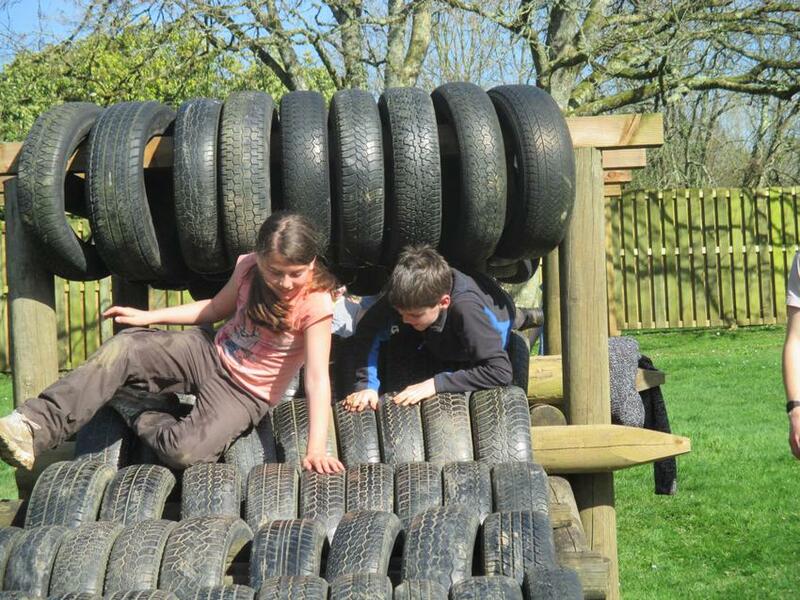 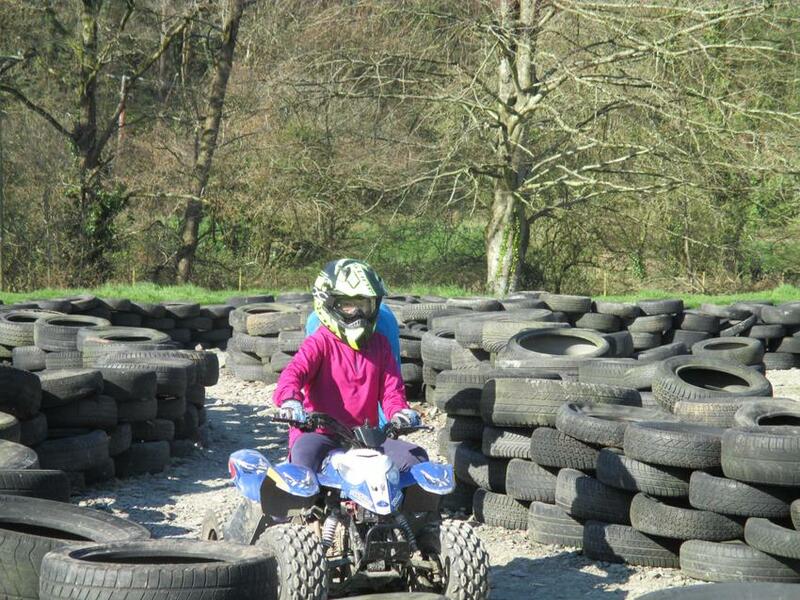 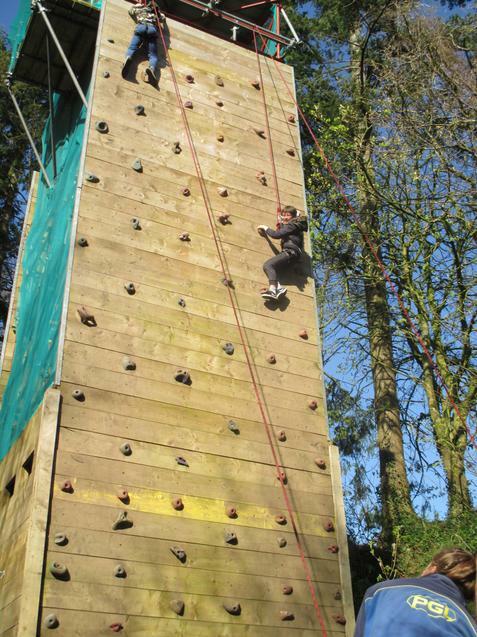 On Tuesday the 24th of April, Chudleigh Knighton held a large activity for four children from our school. 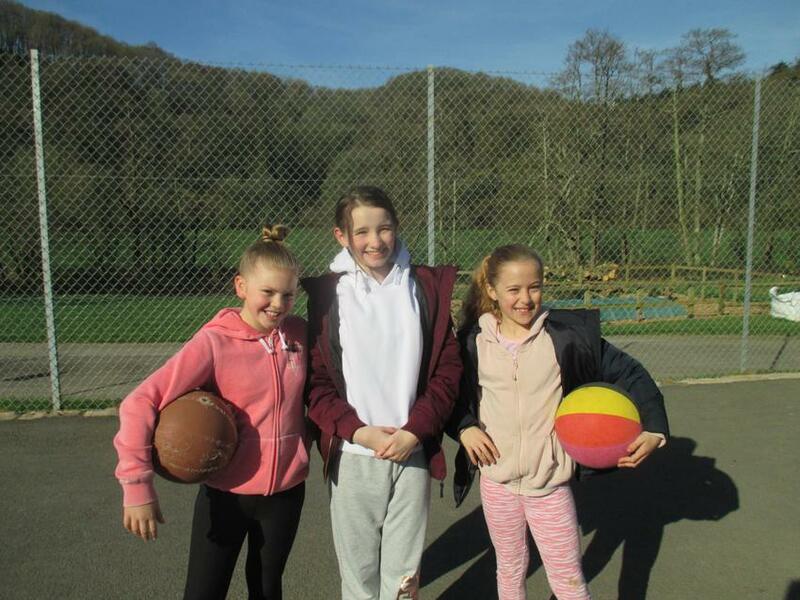 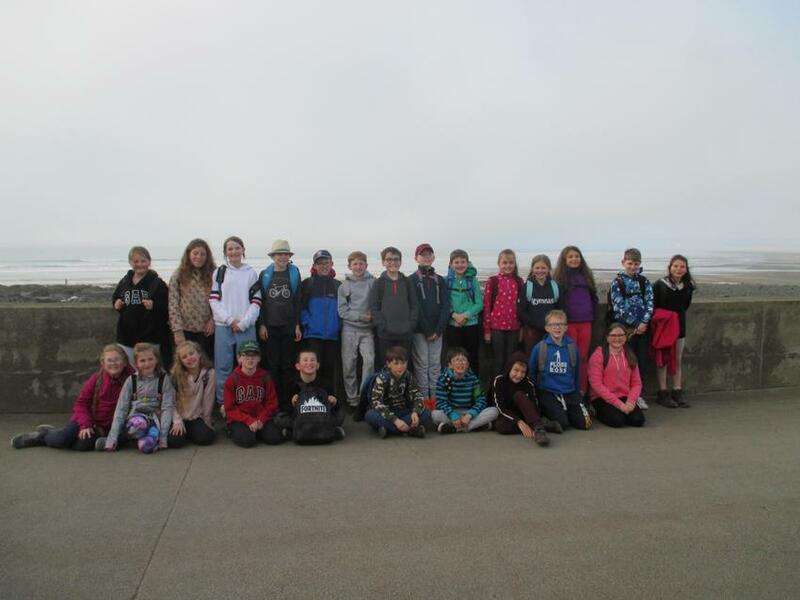 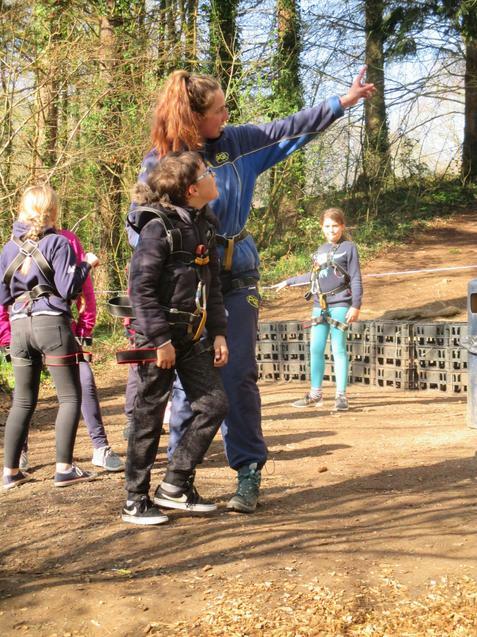 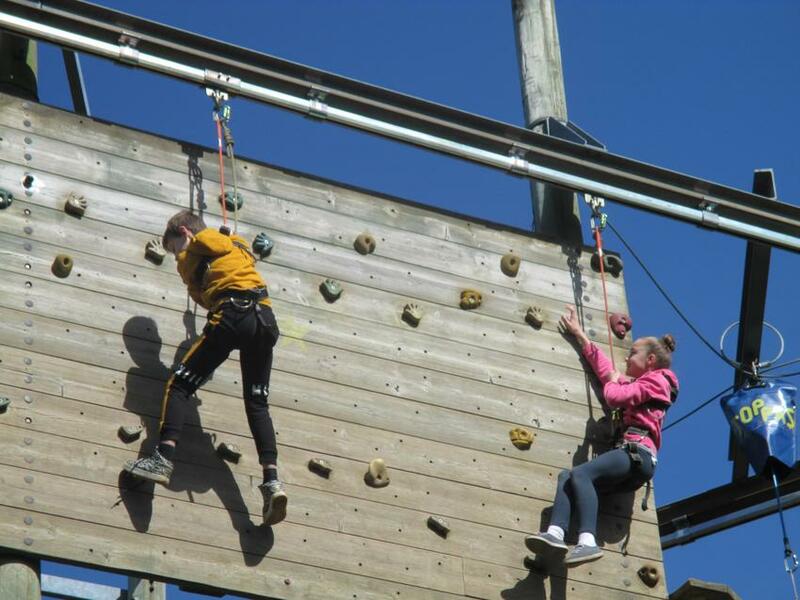 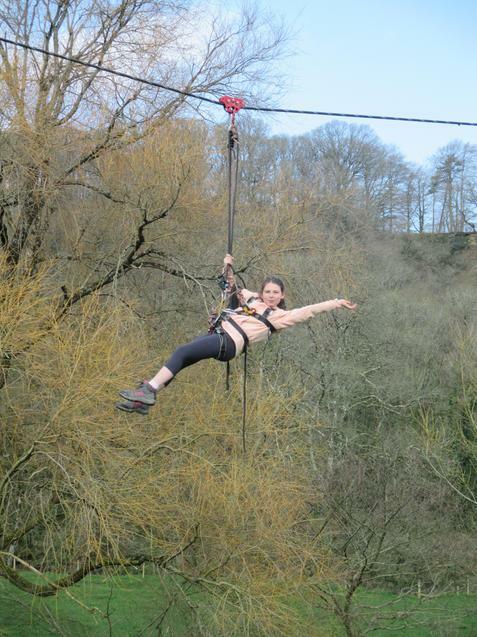 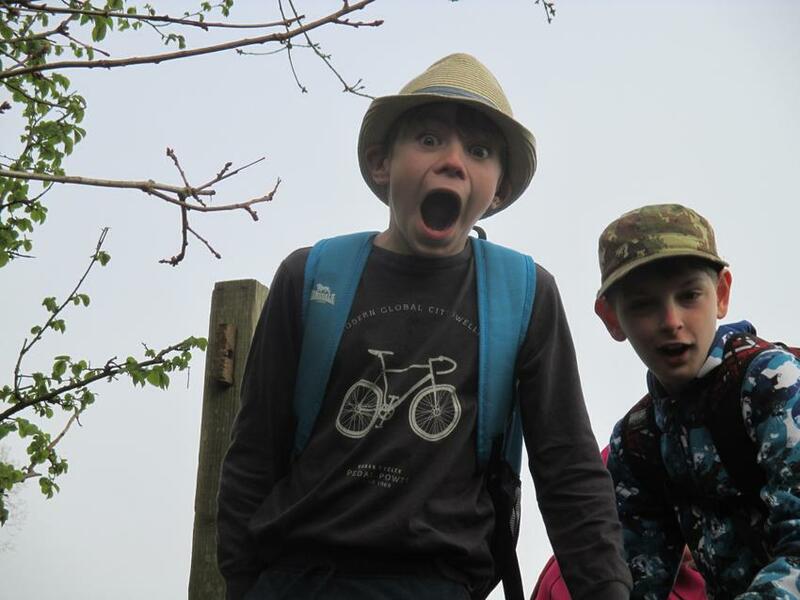 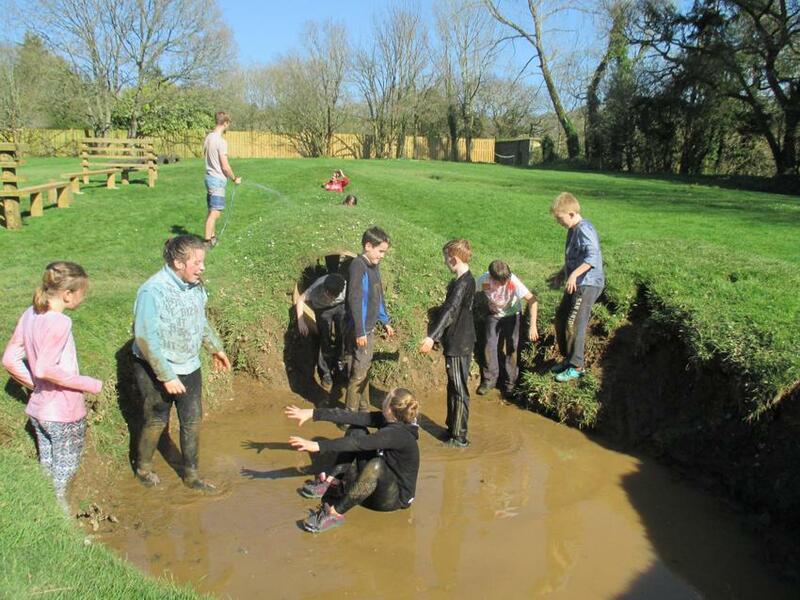 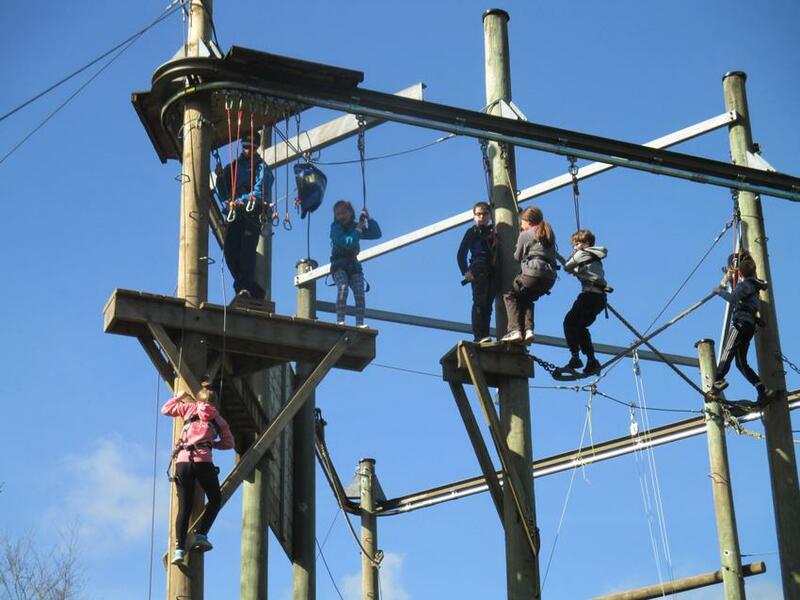 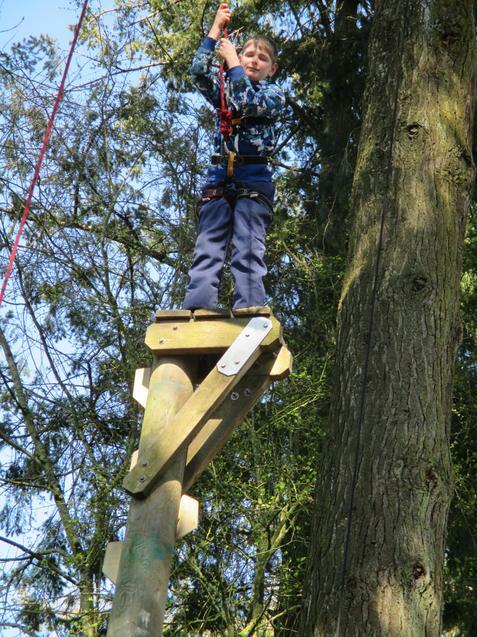 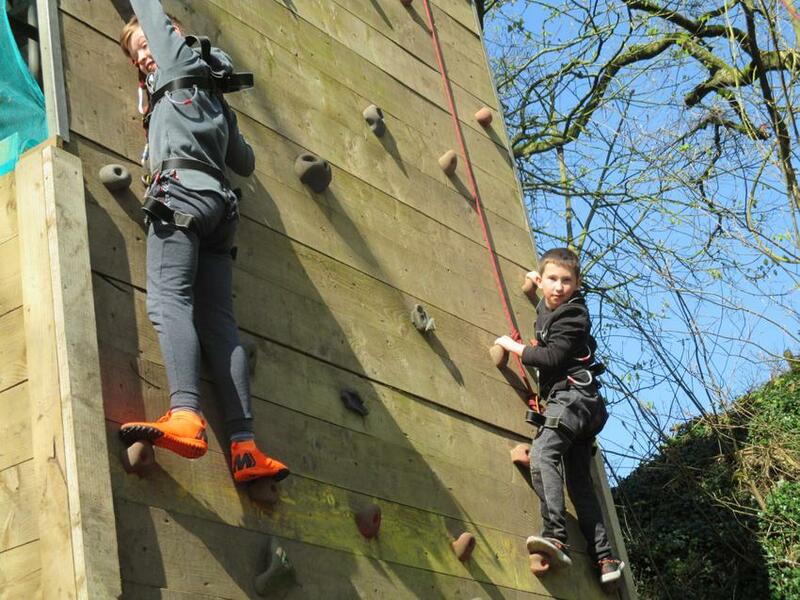 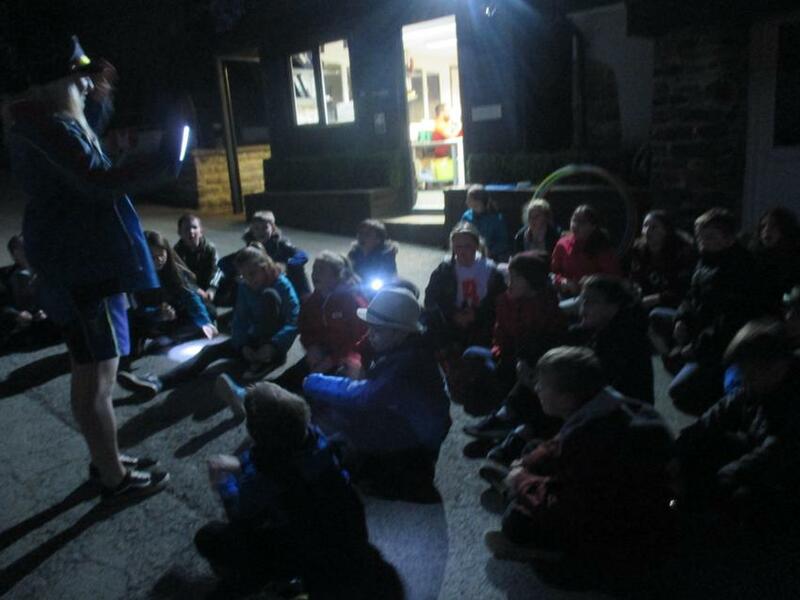 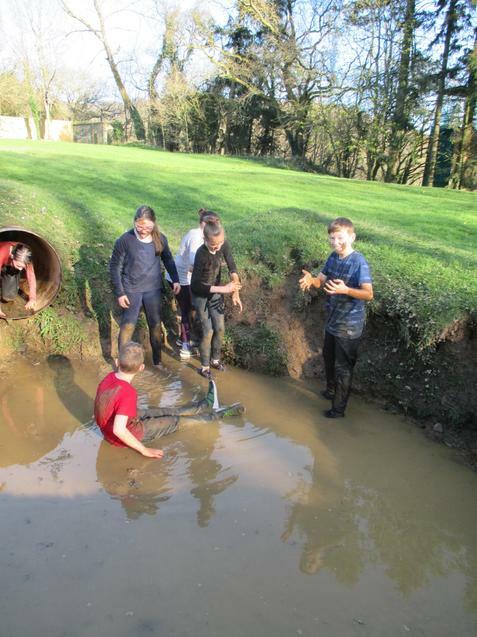 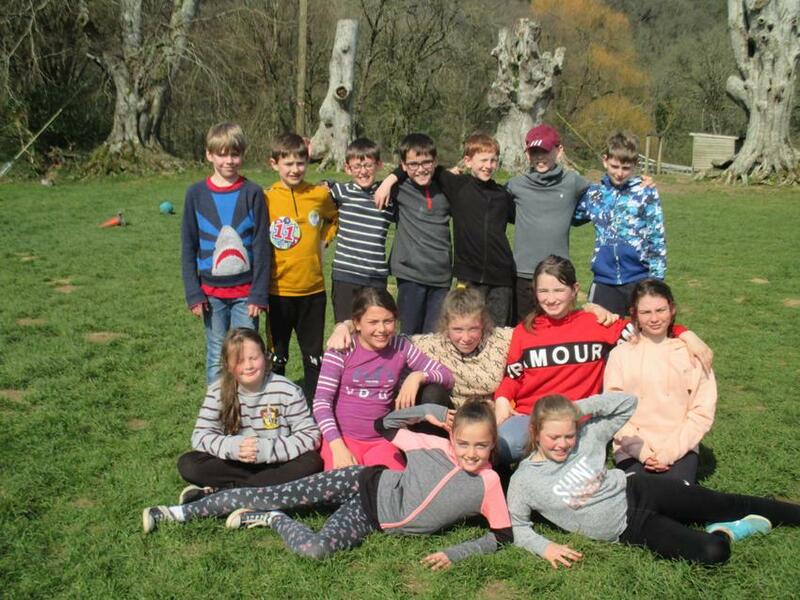 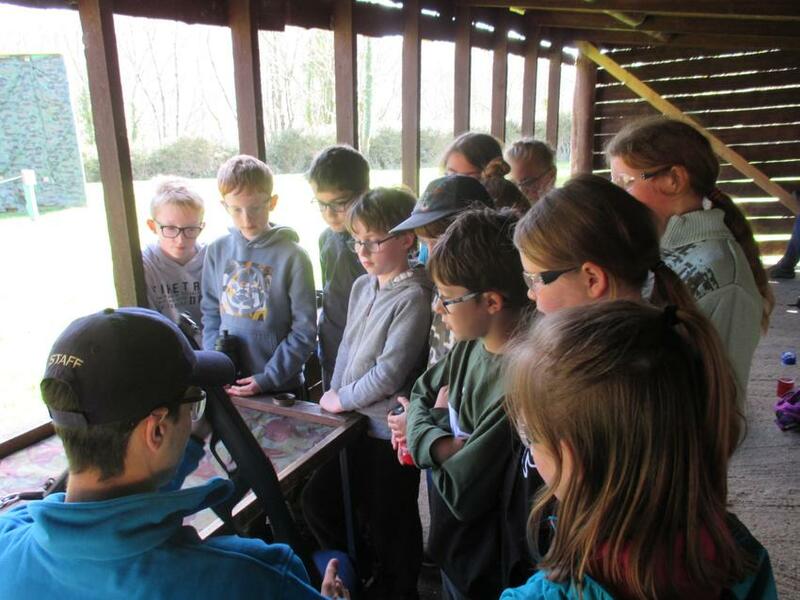 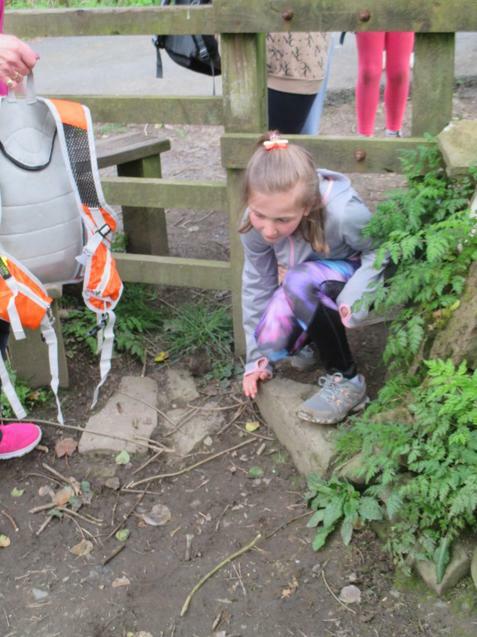 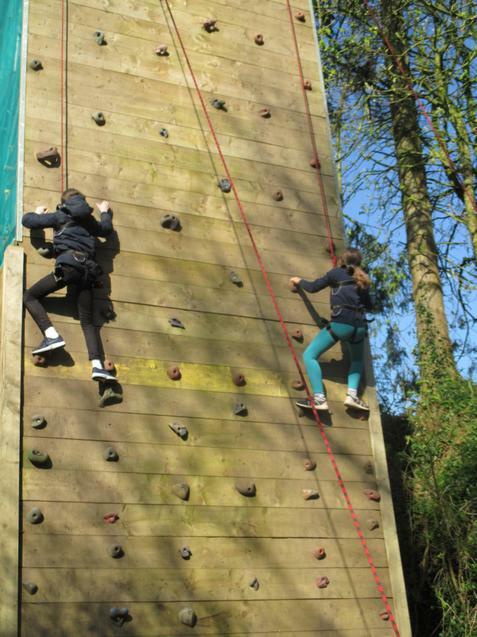 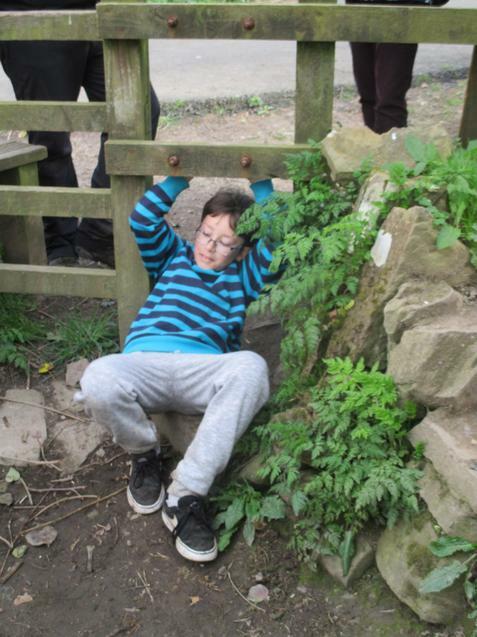 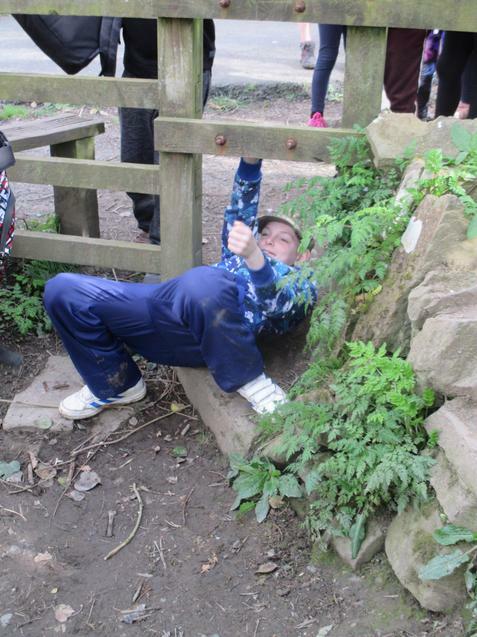 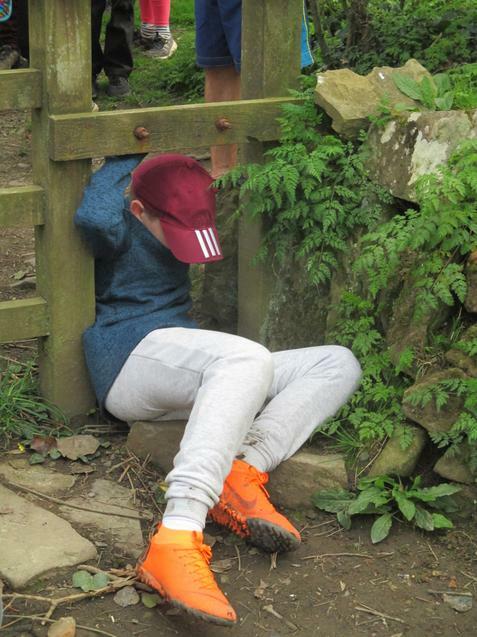 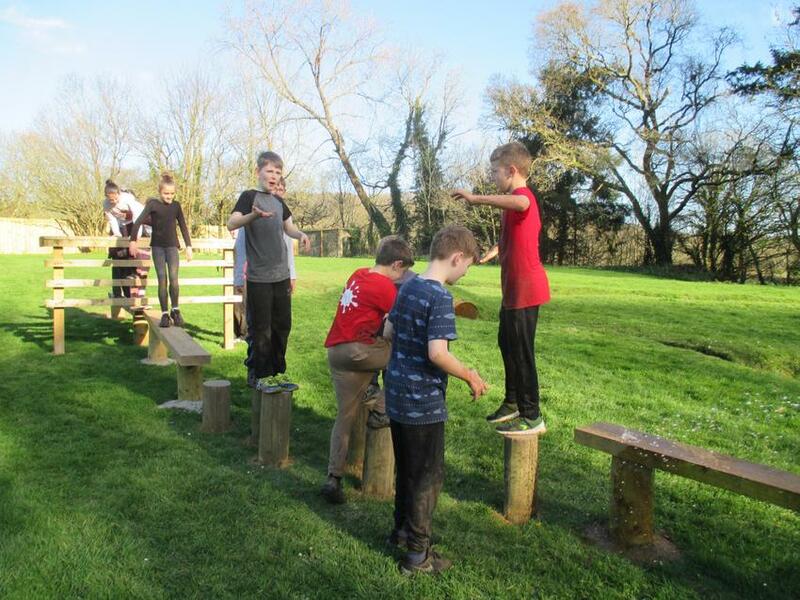 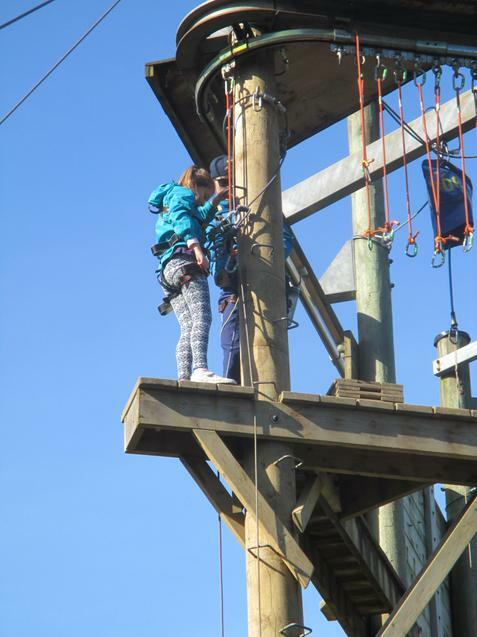 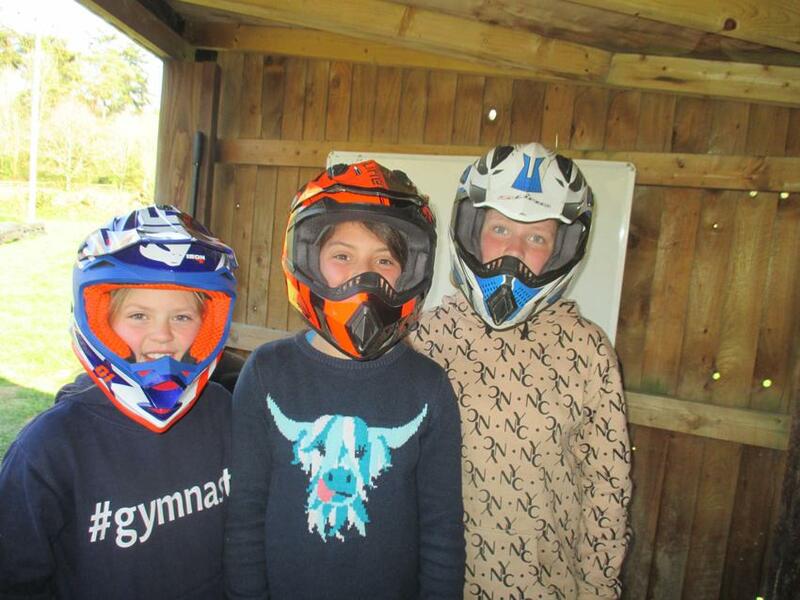 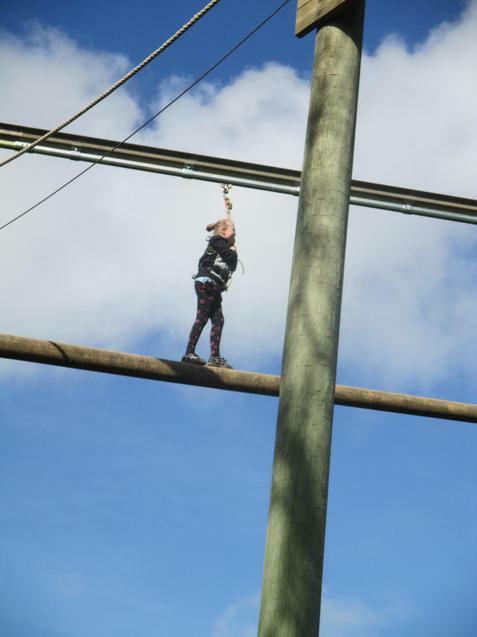 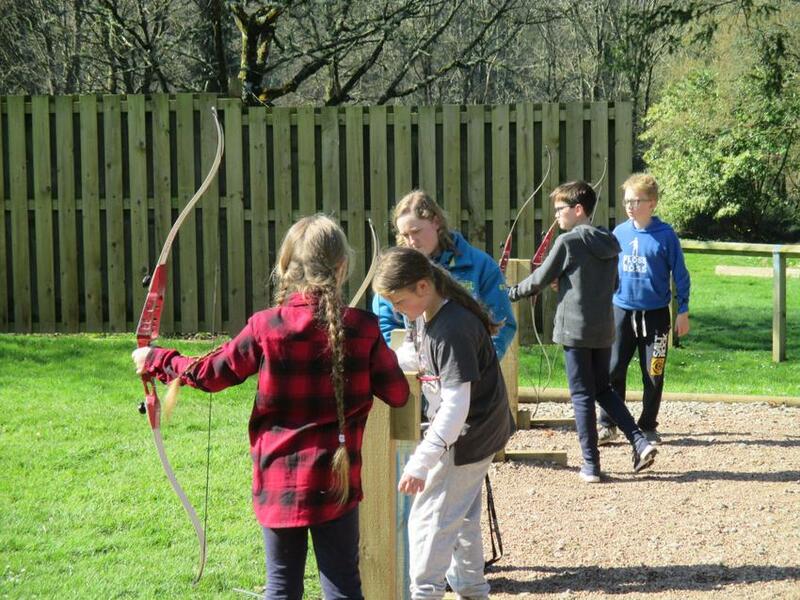 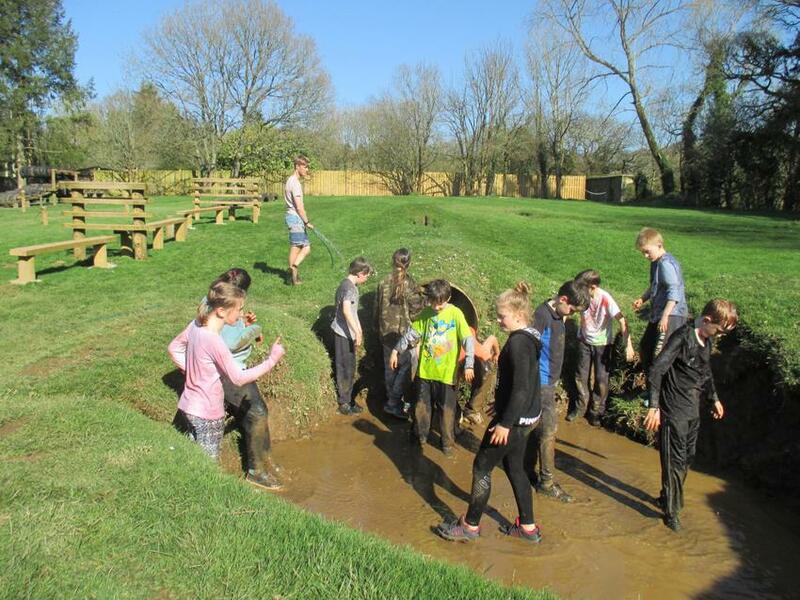 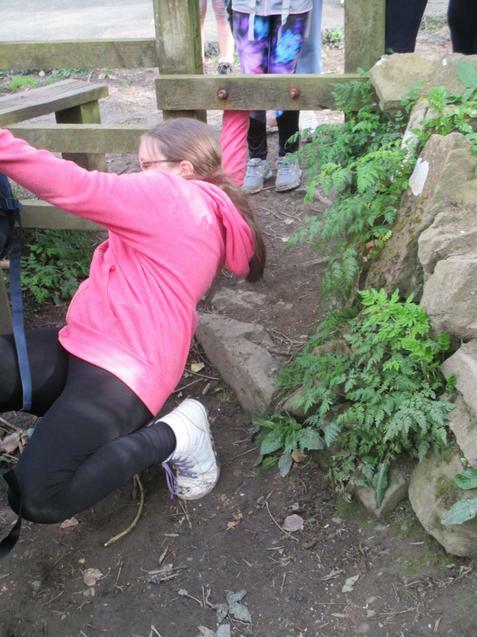 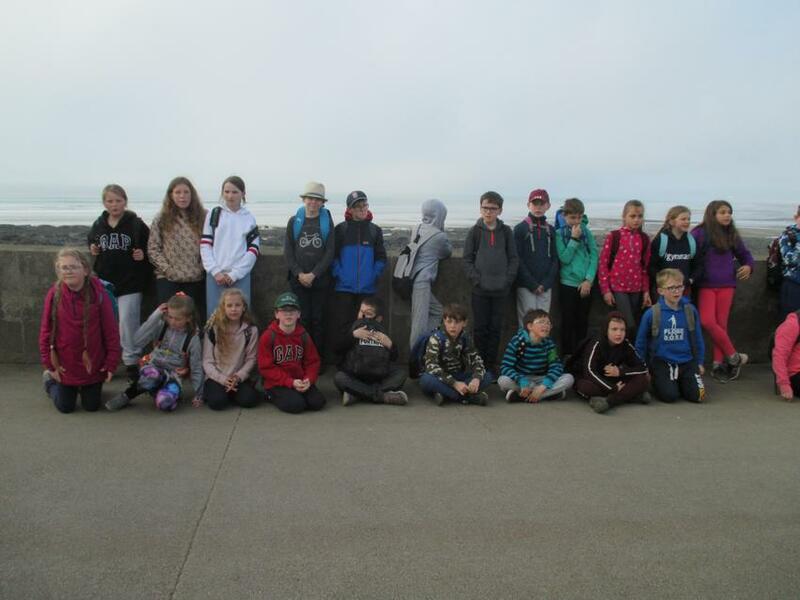 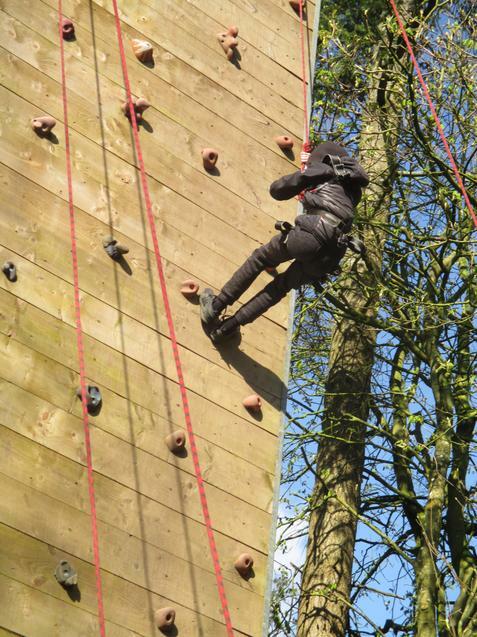 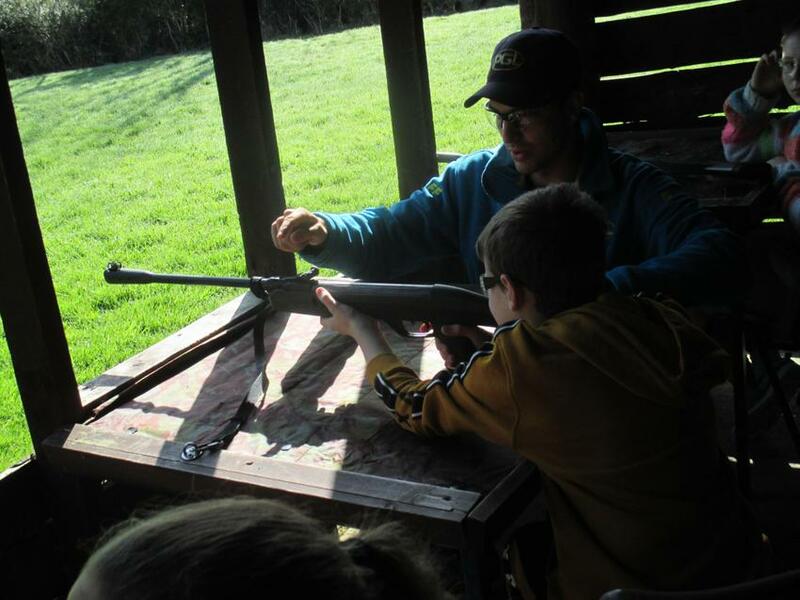 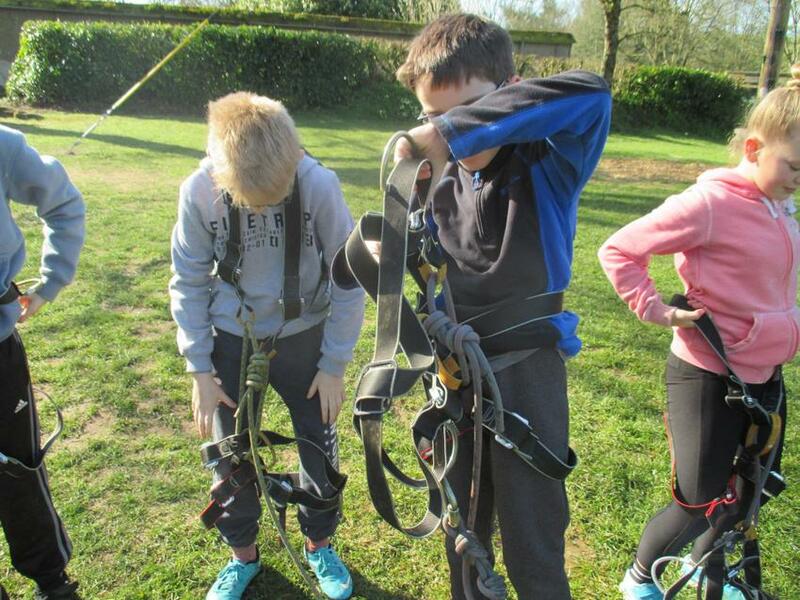 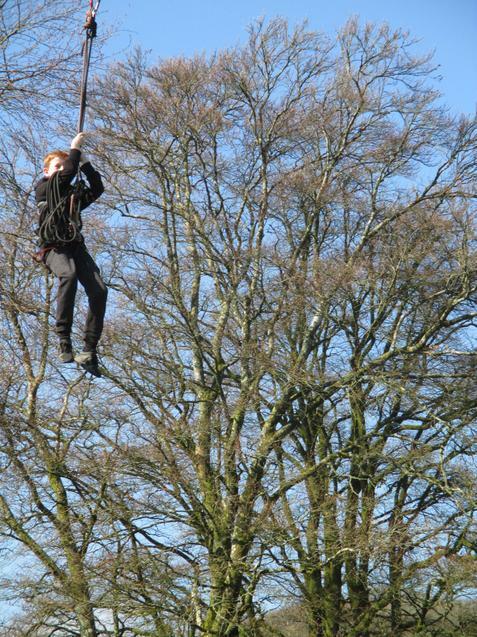 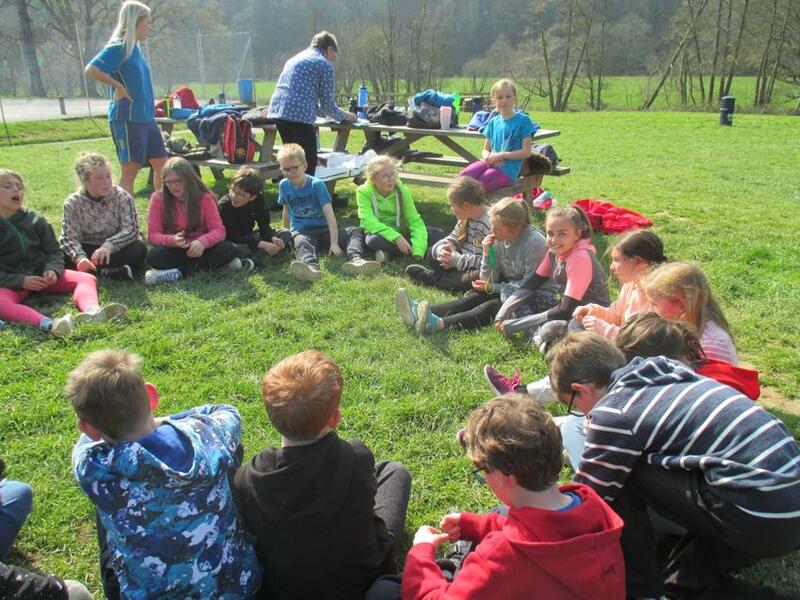 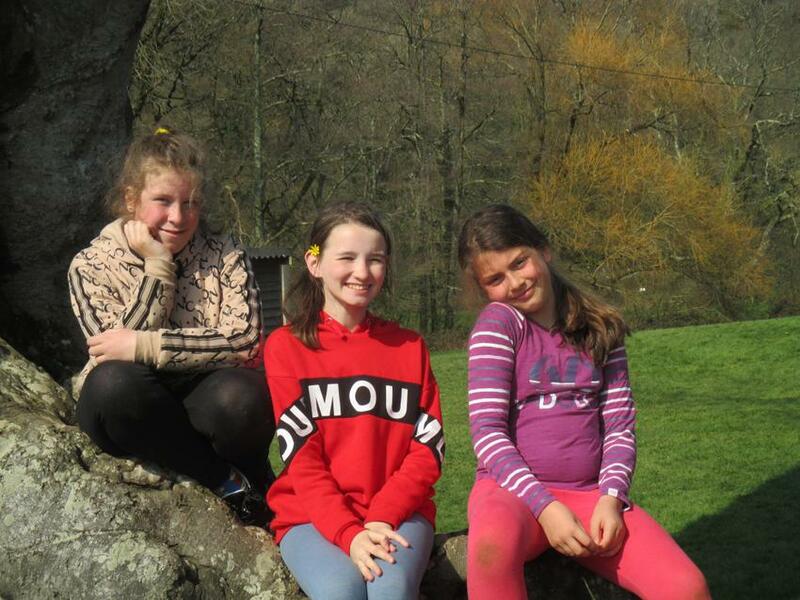 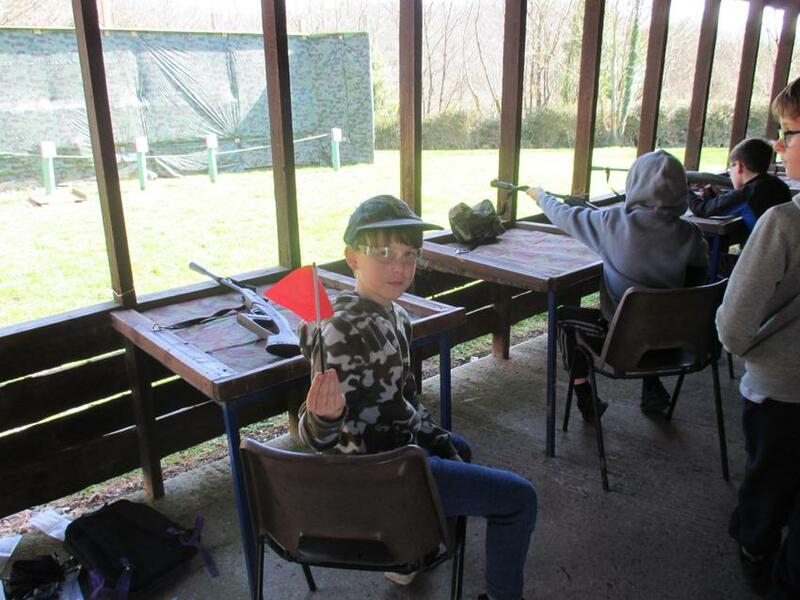 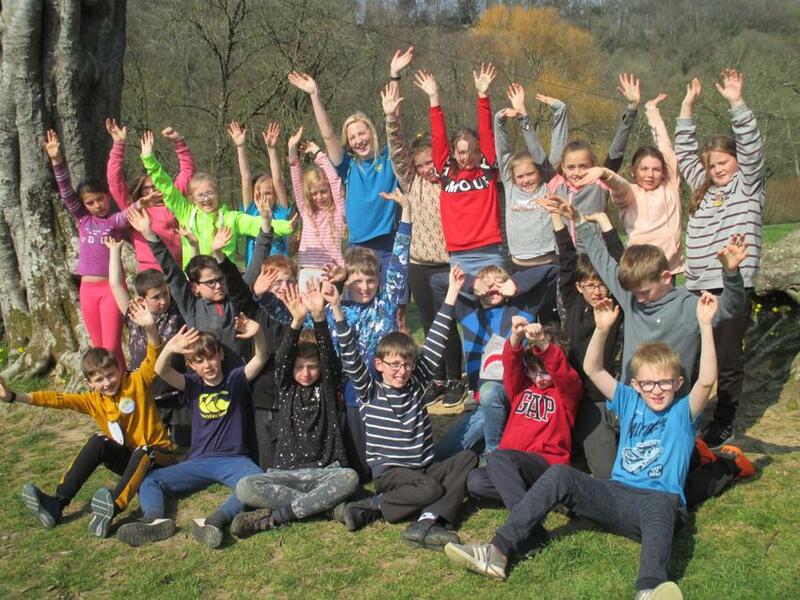 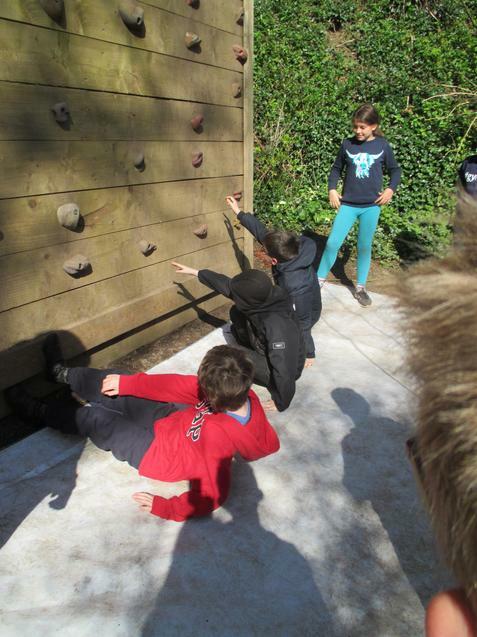 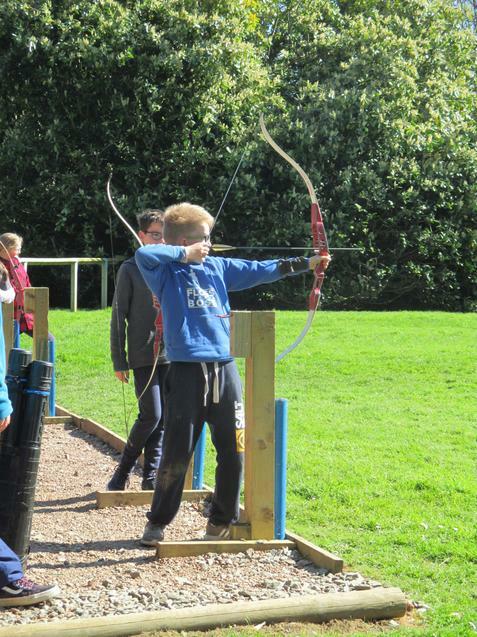 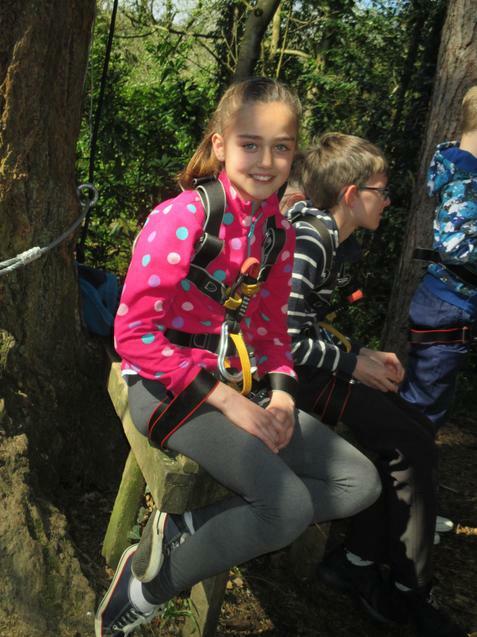 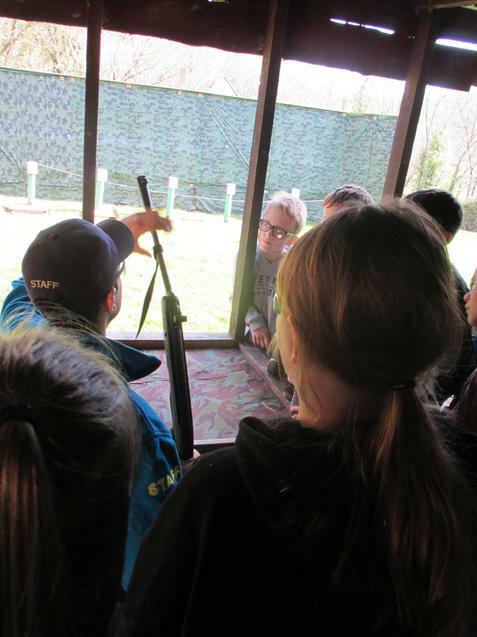 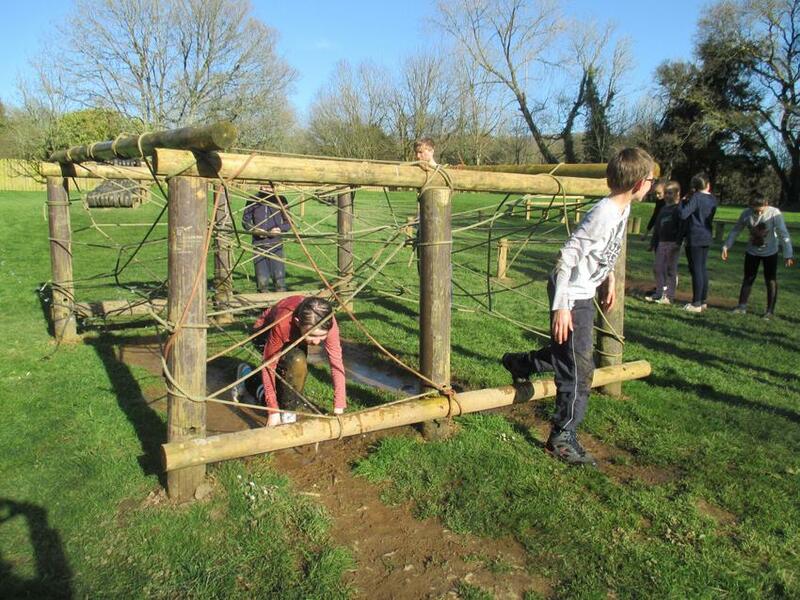 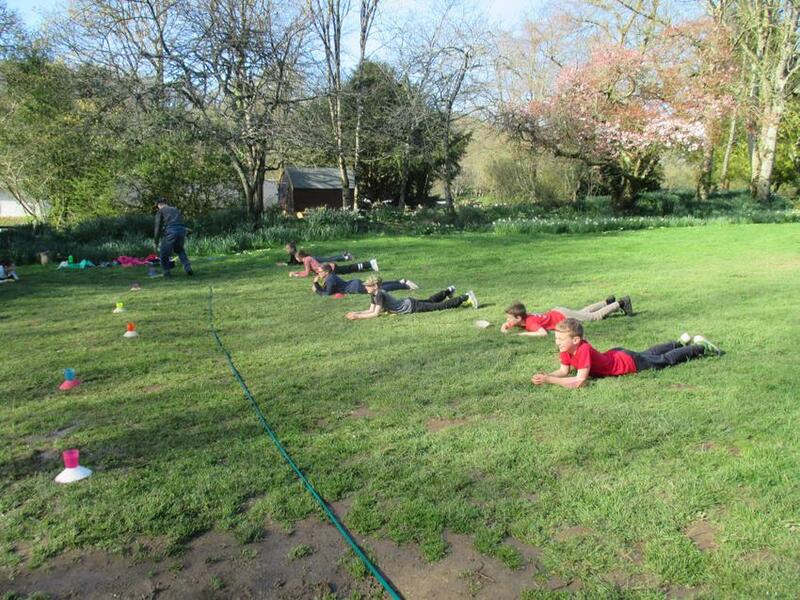 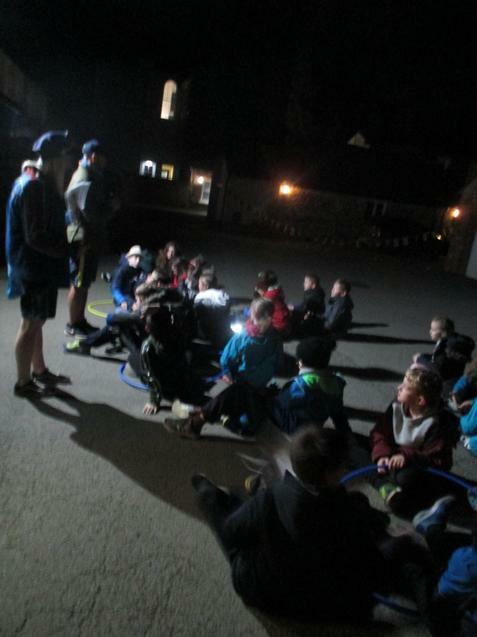 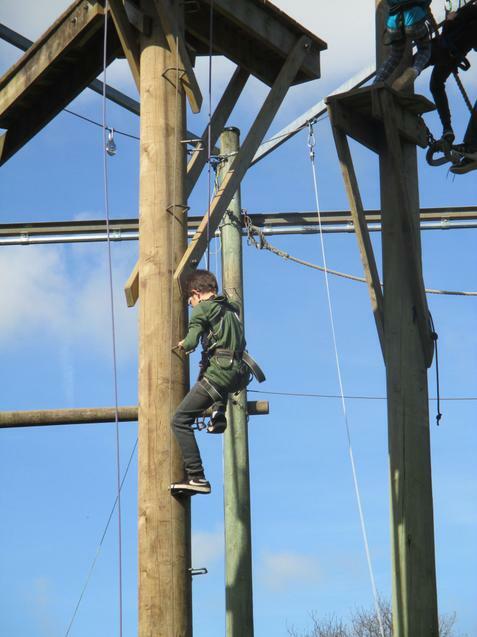 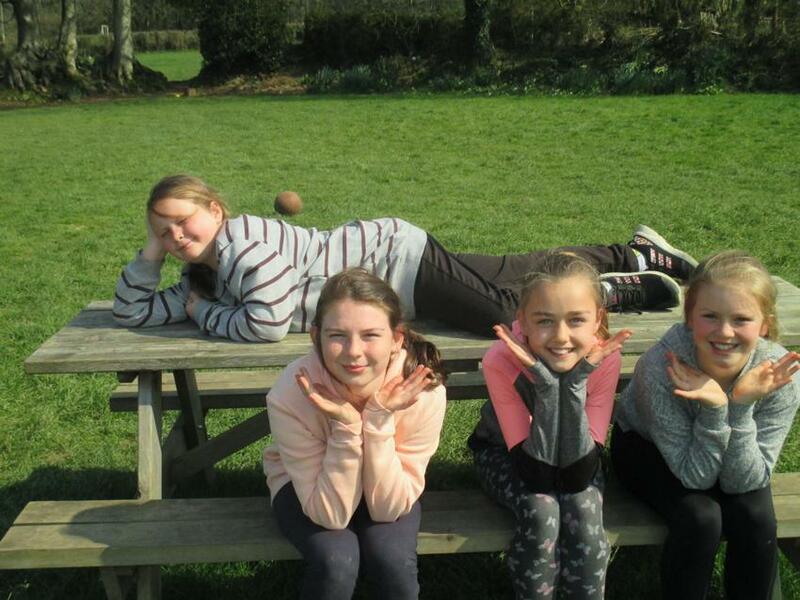 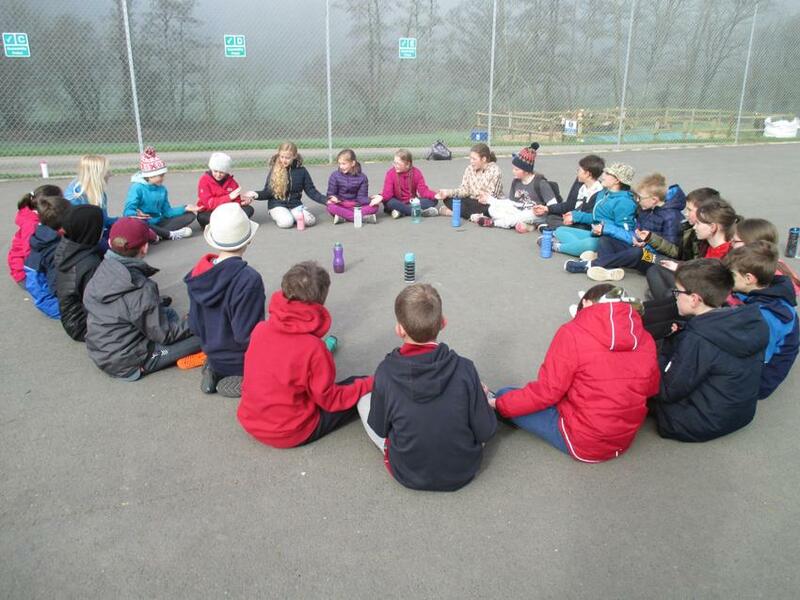 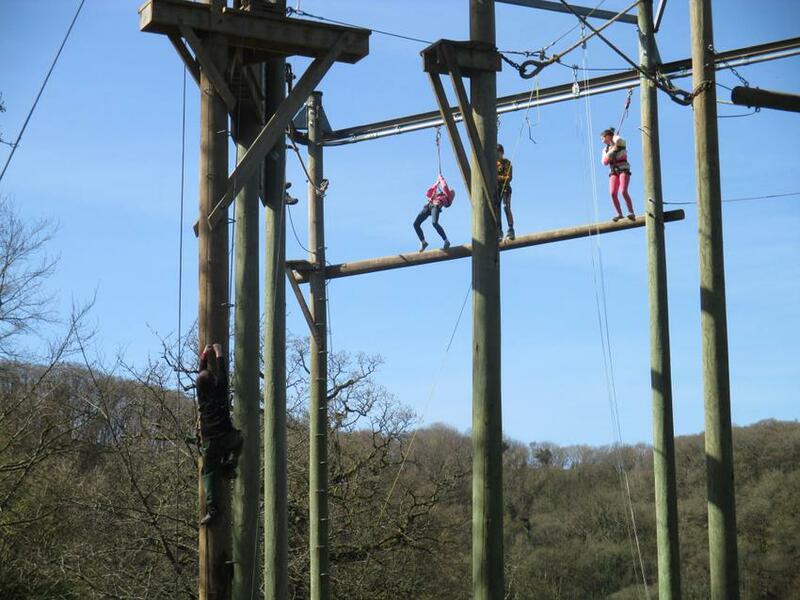 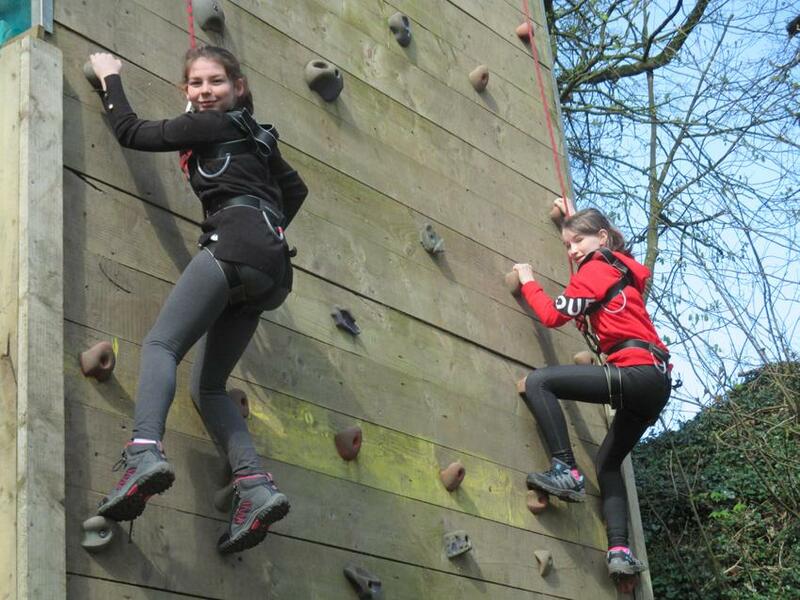 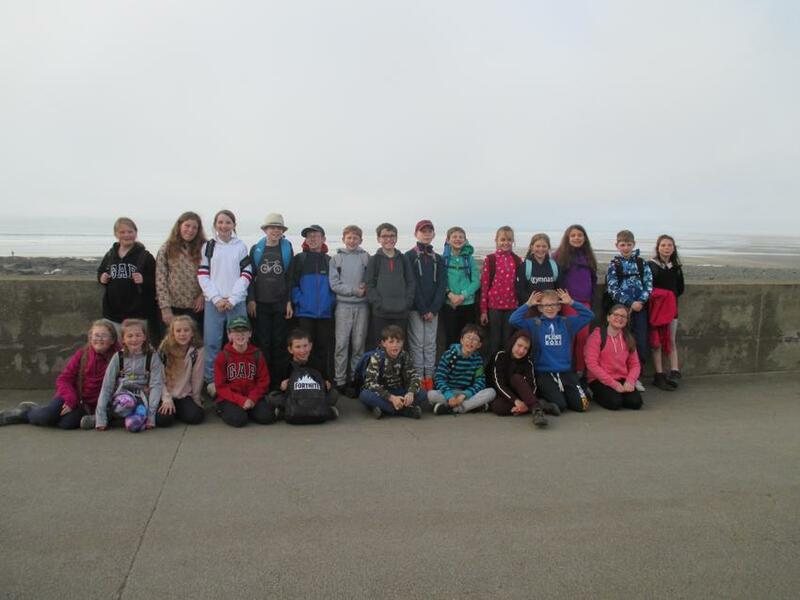 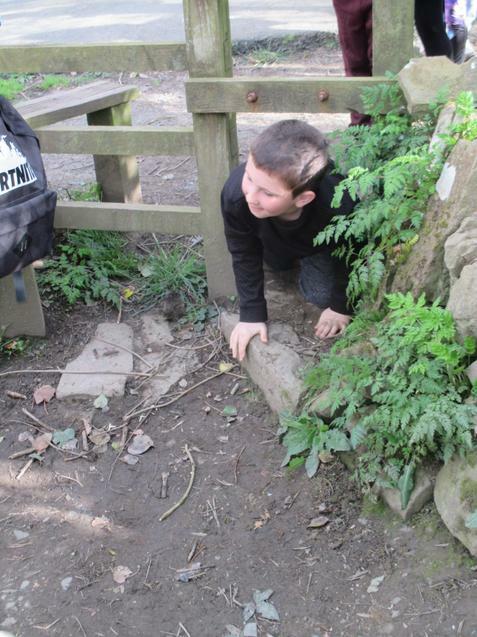 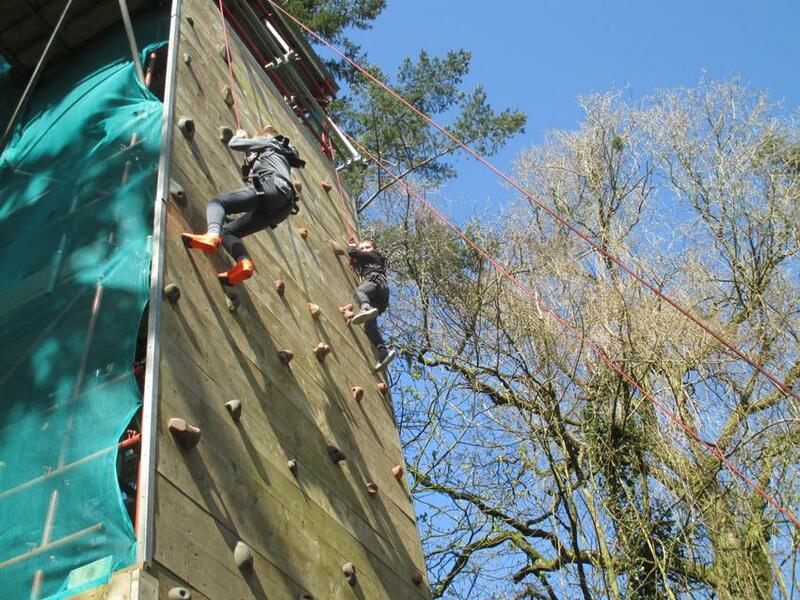 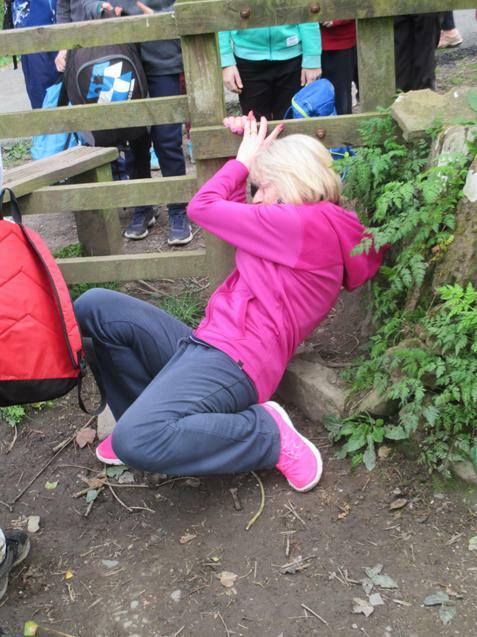 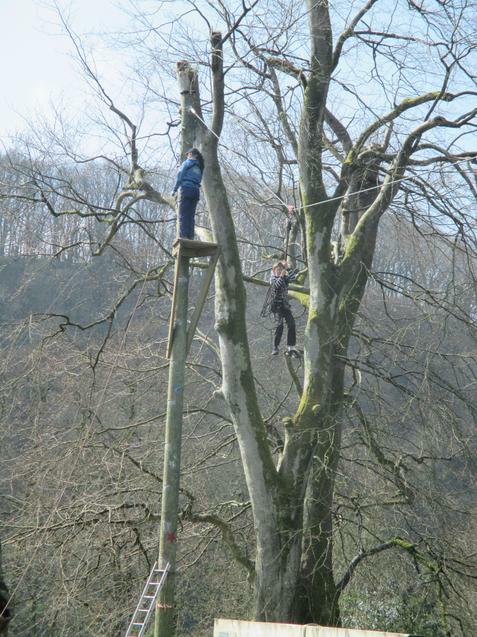 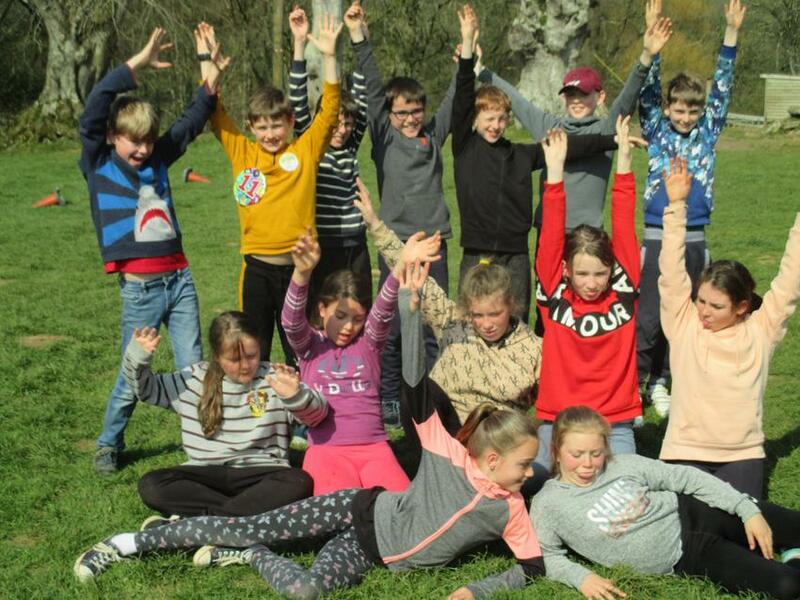 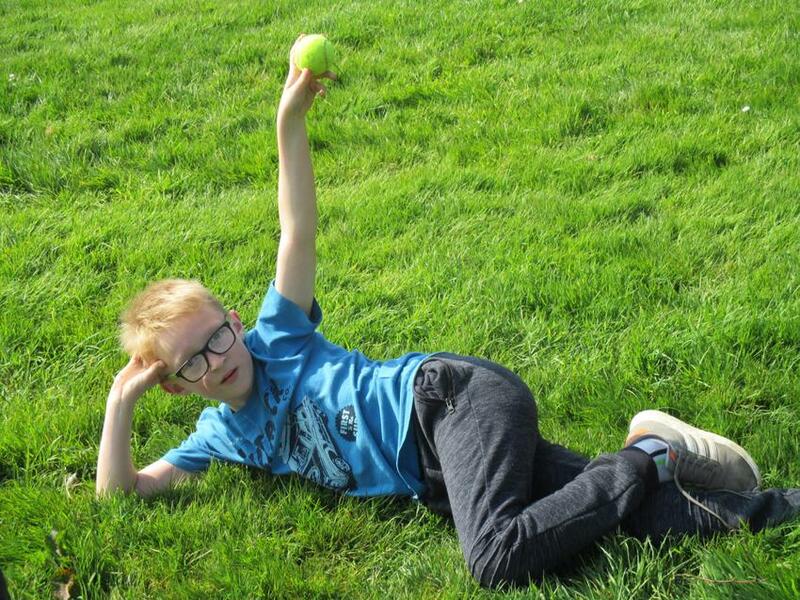 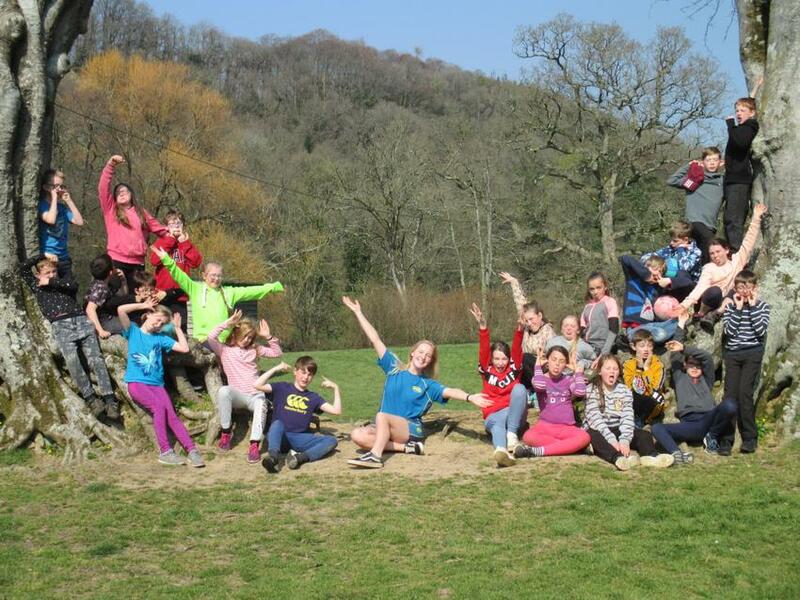 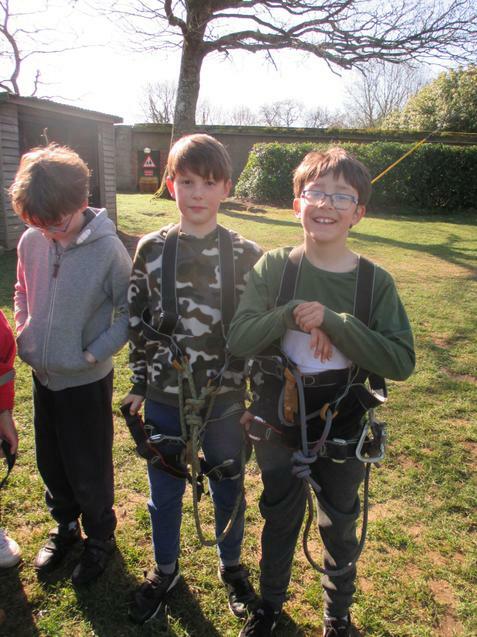 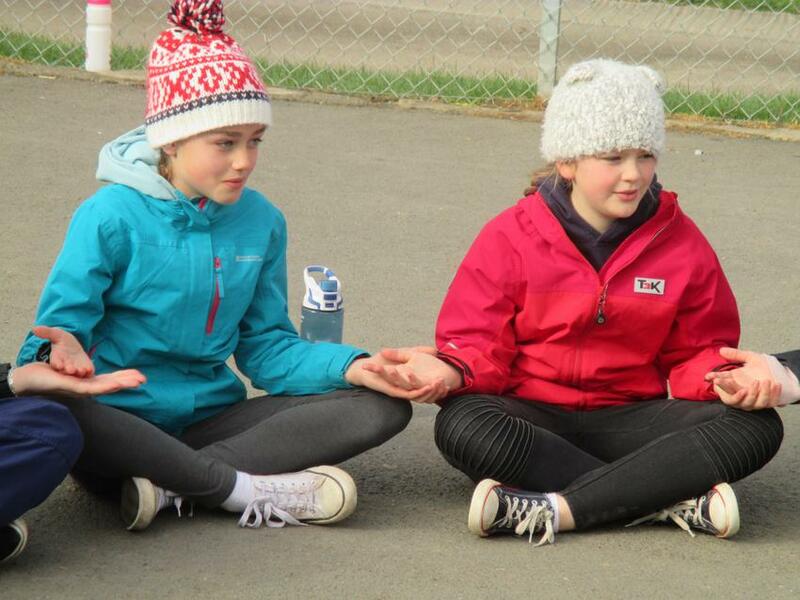 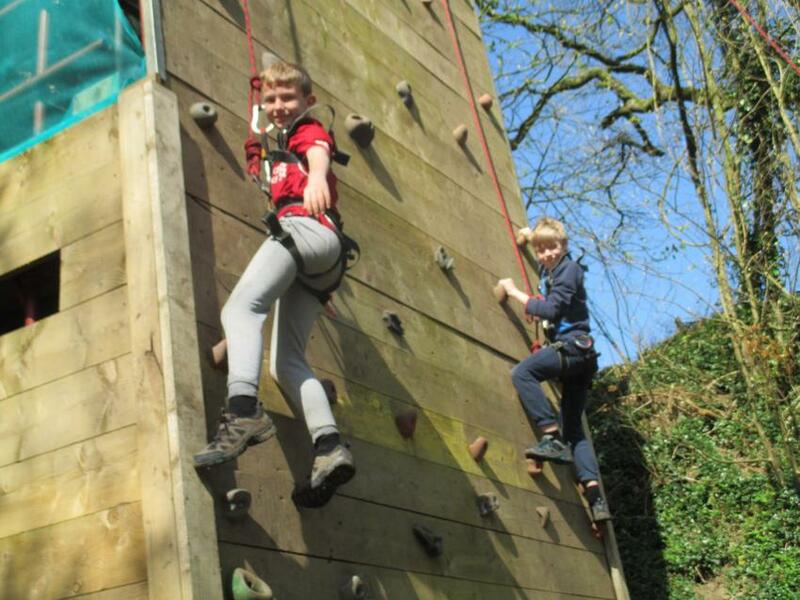 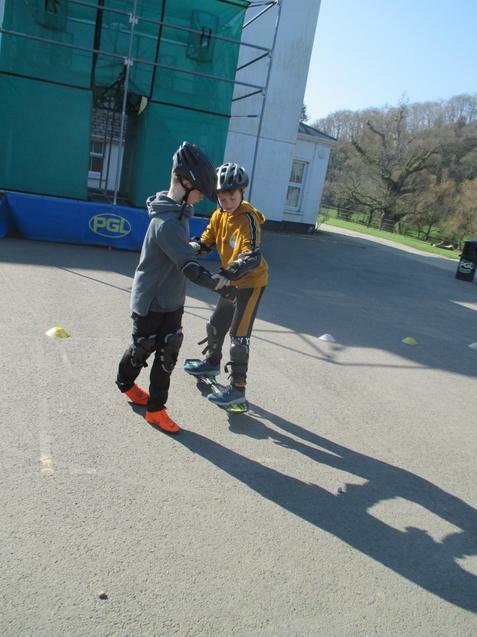 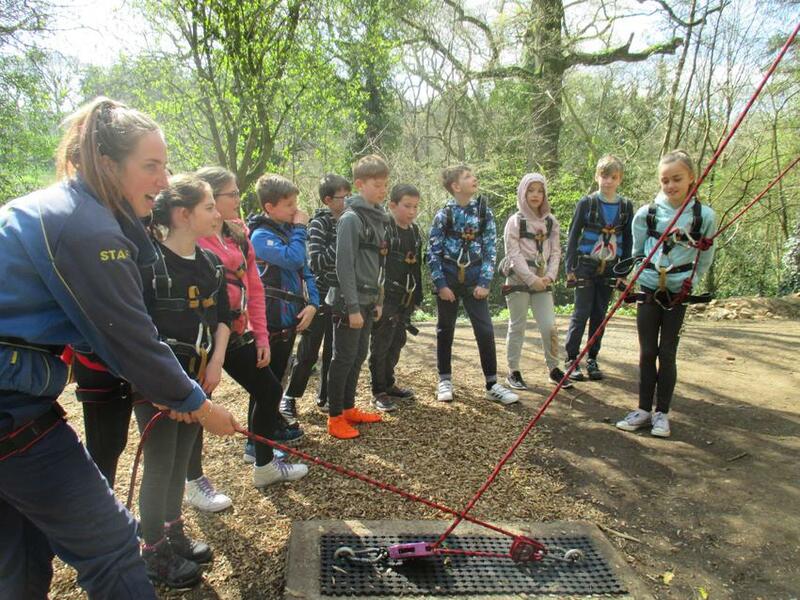 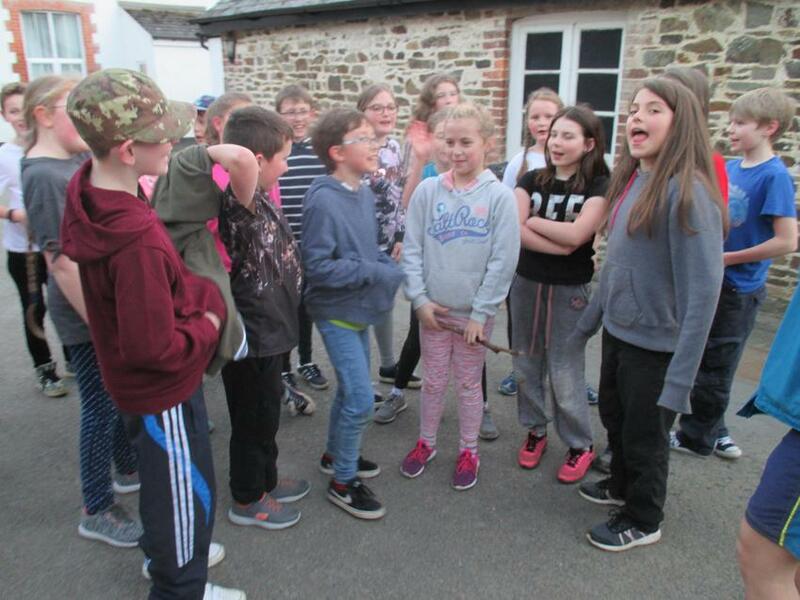 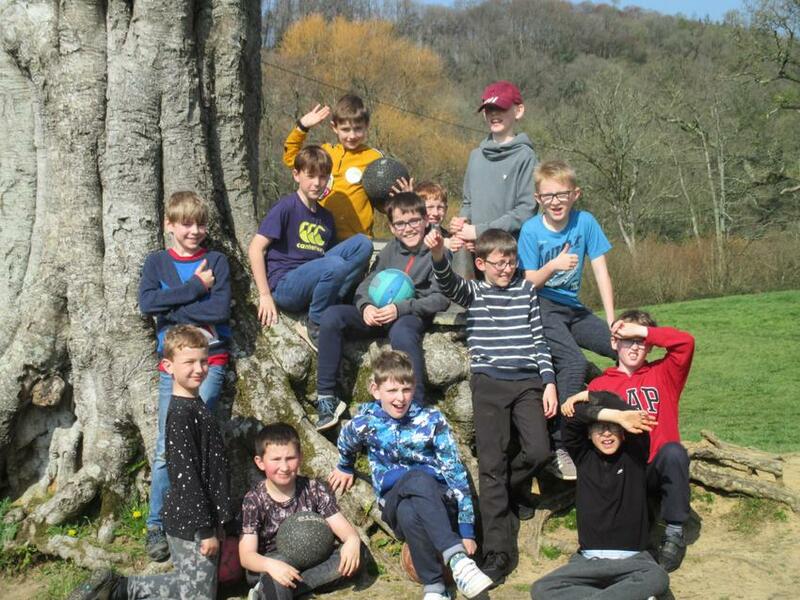 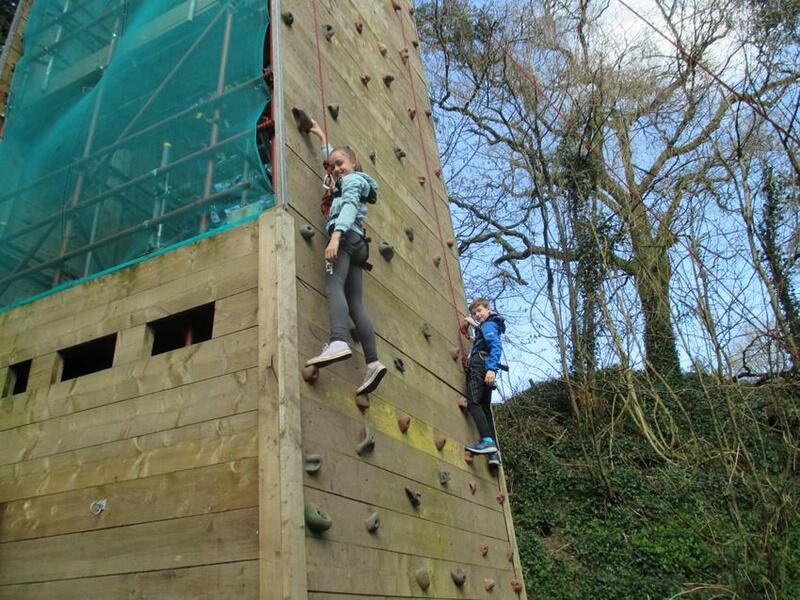 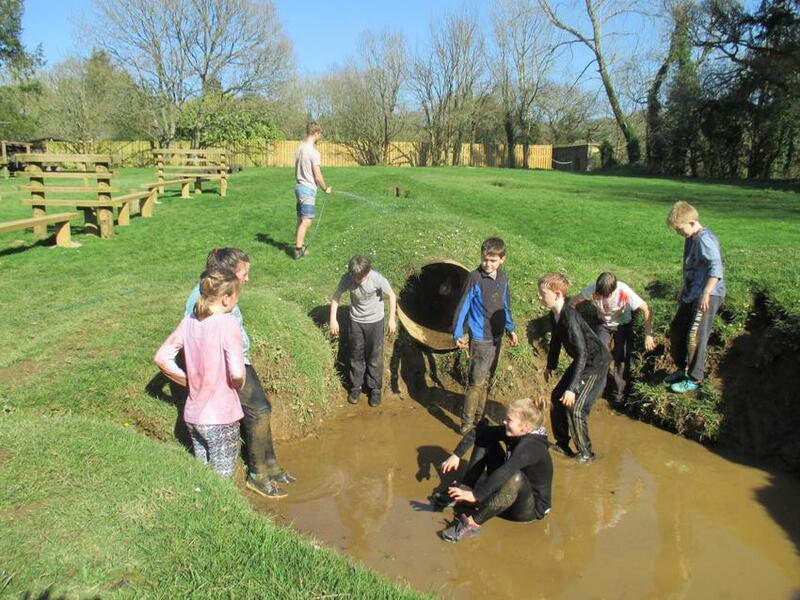 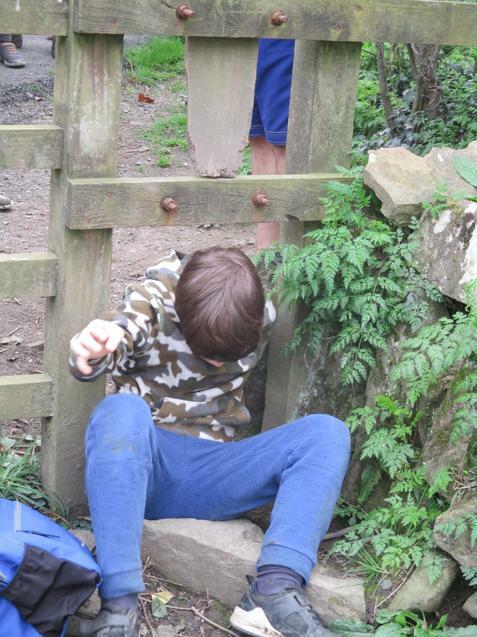 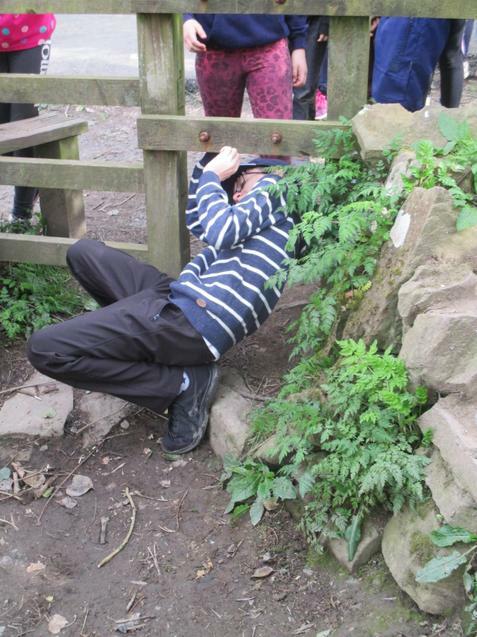 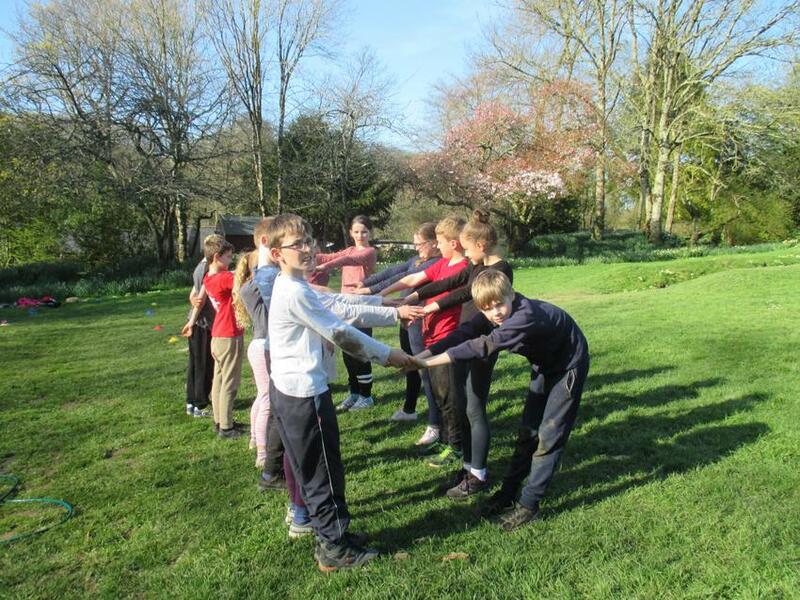 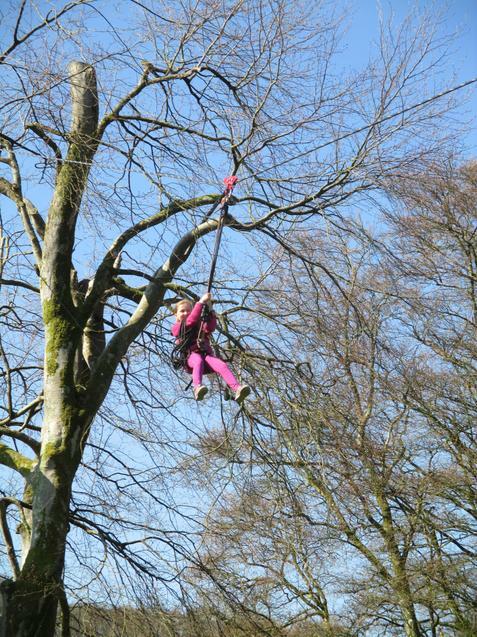 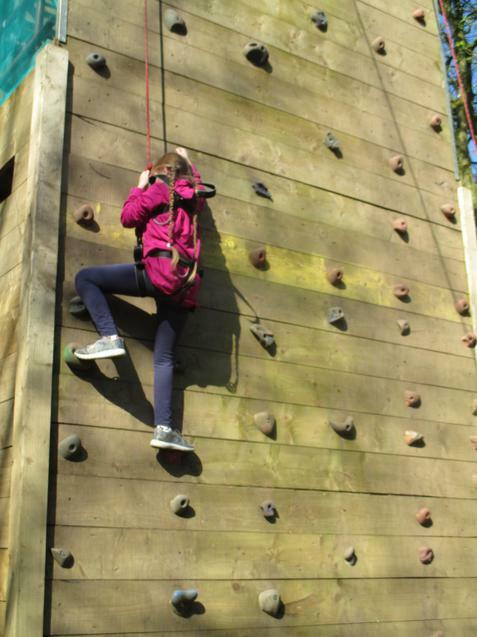 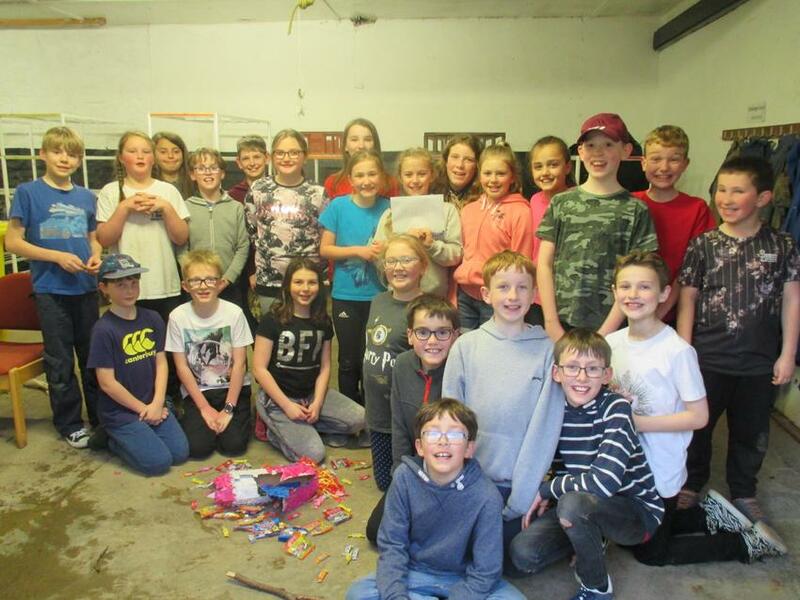 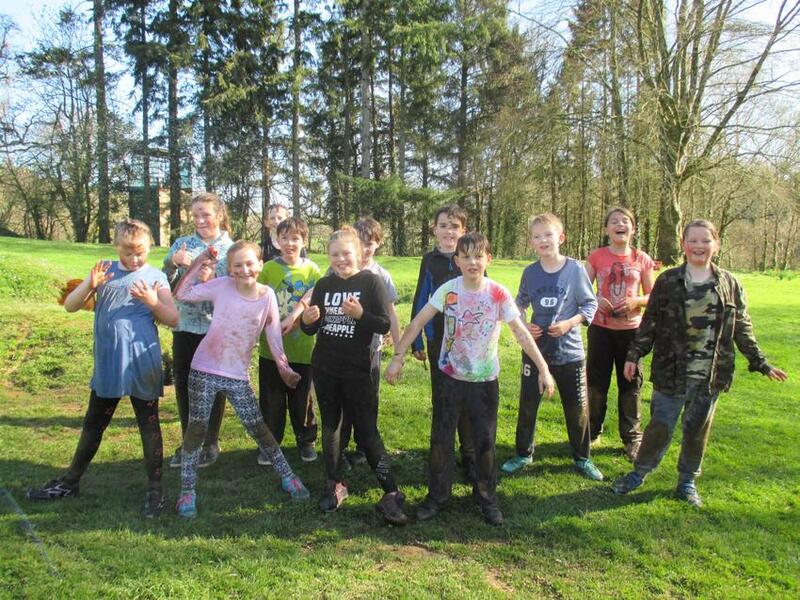 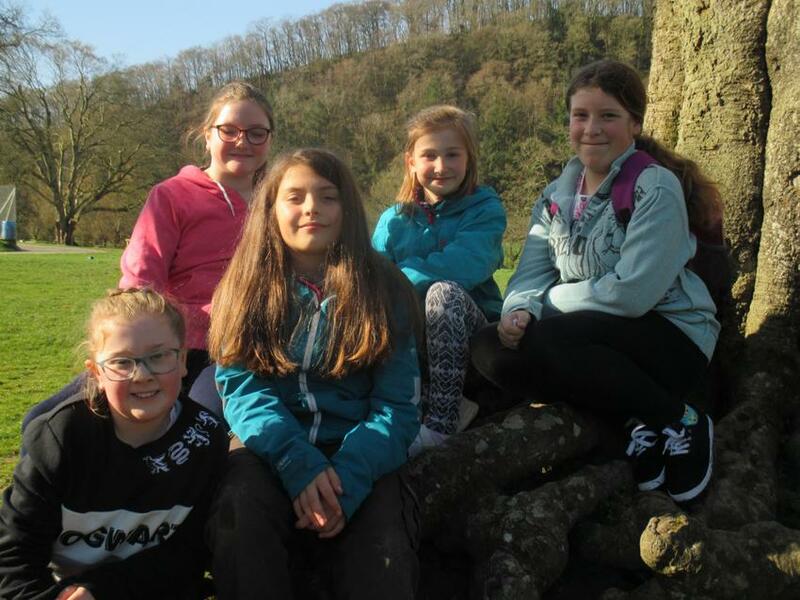 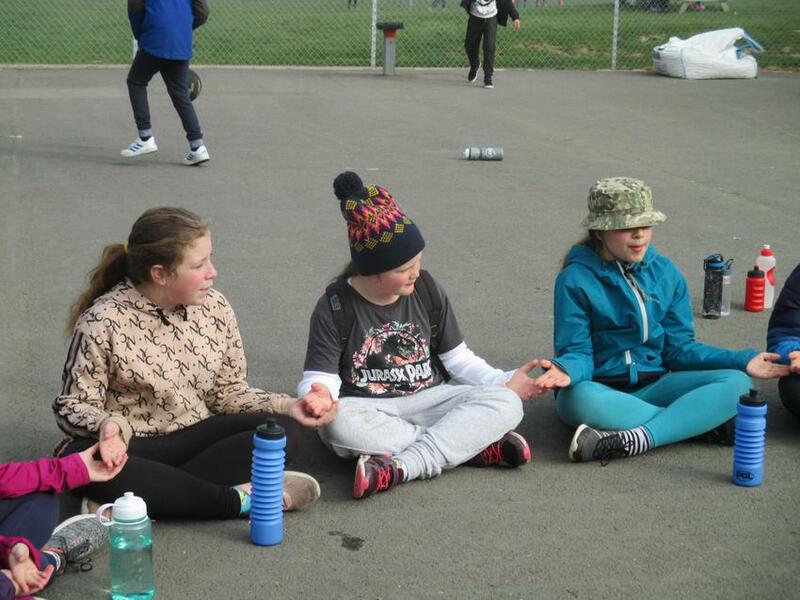 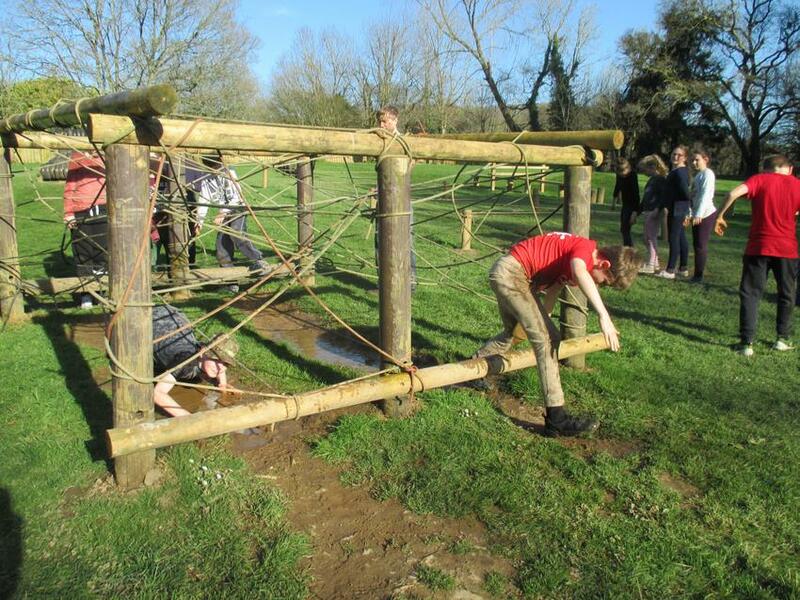 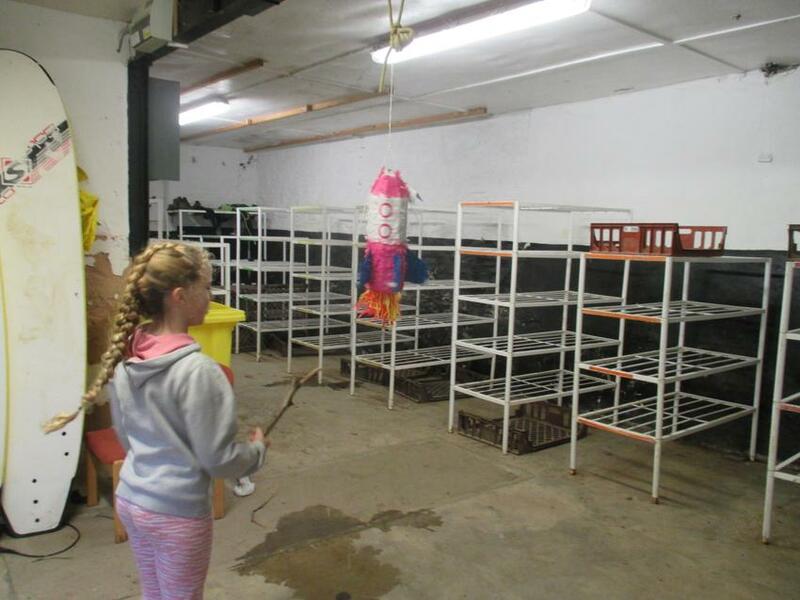 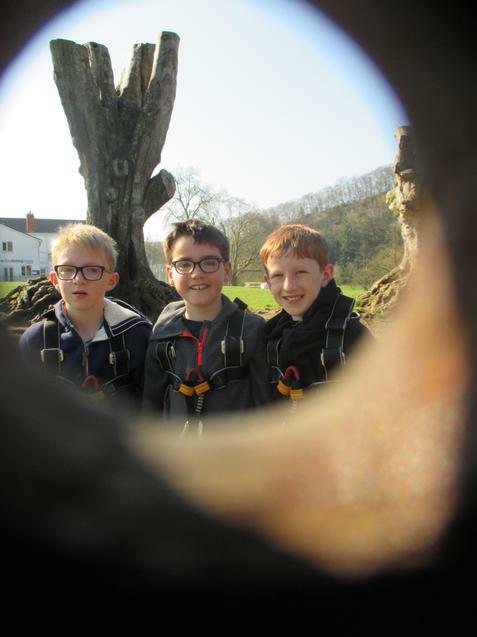 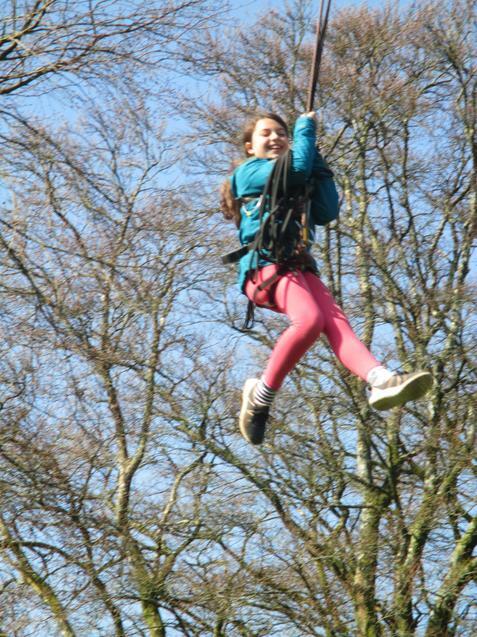 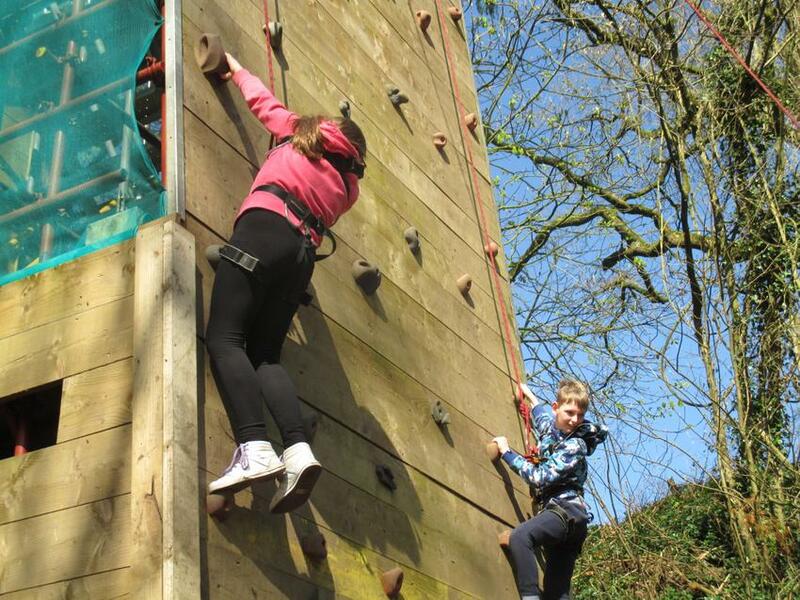 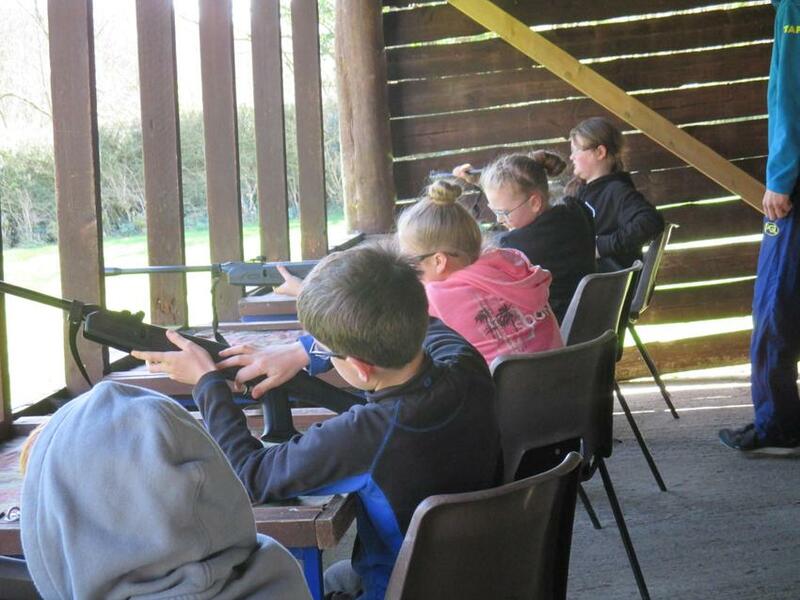 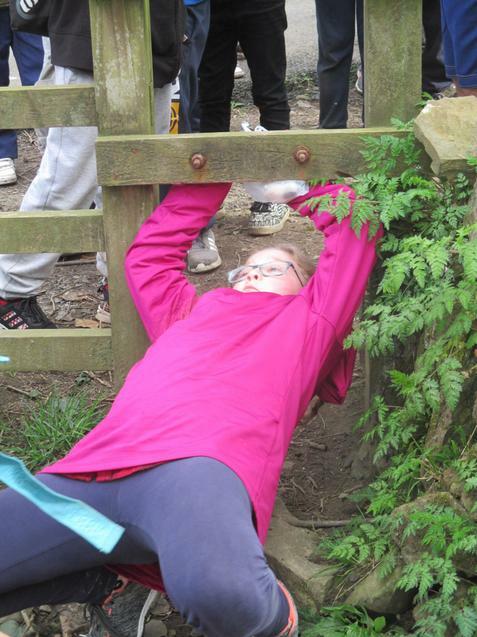 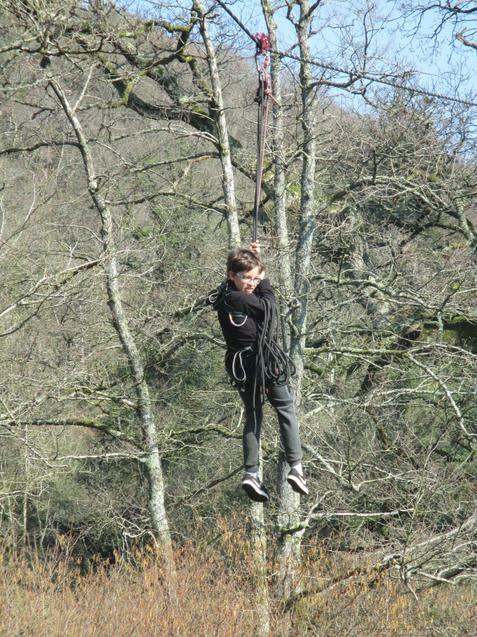 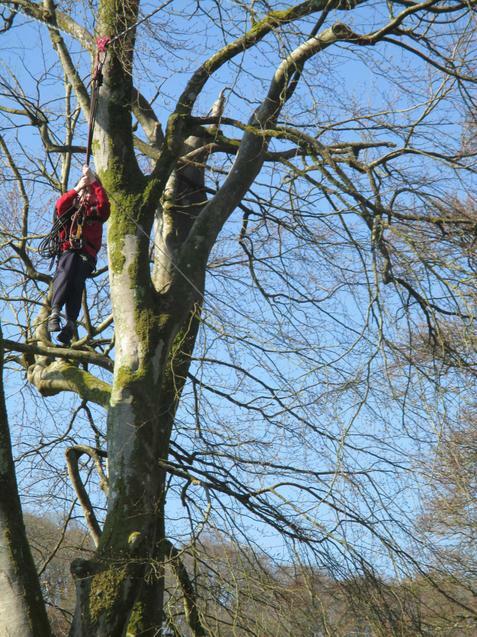 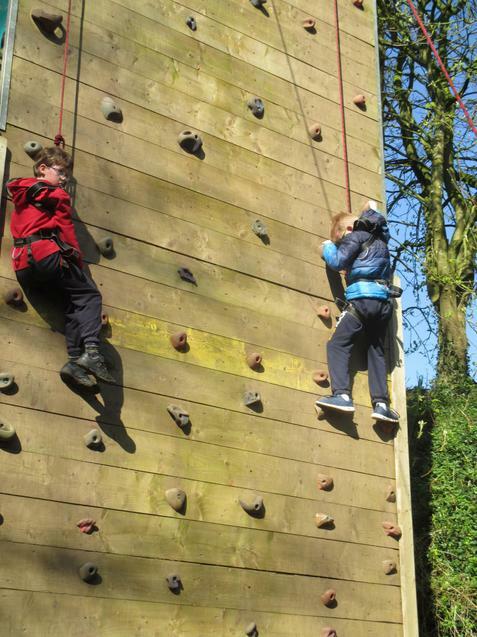 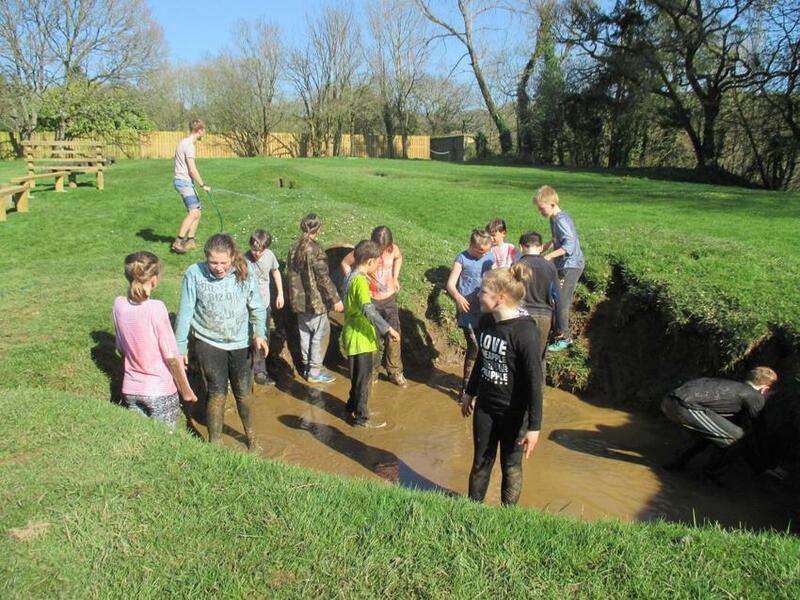 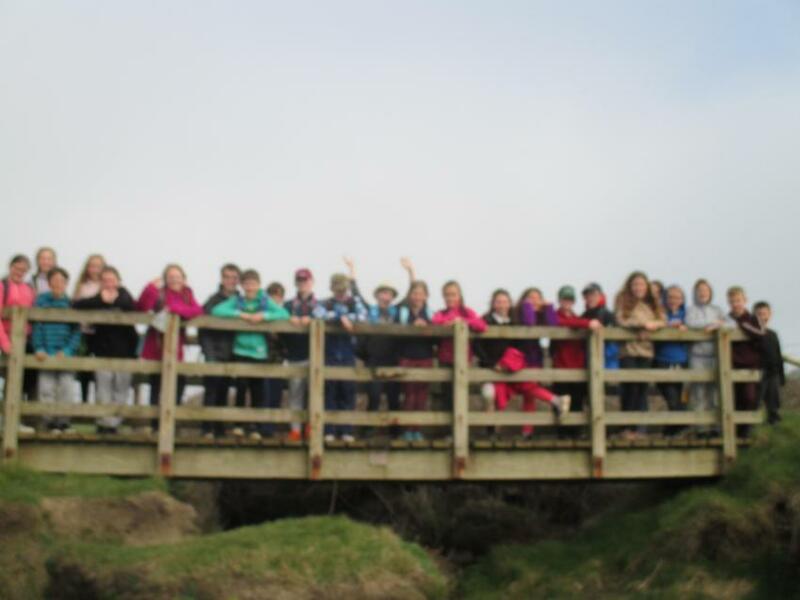 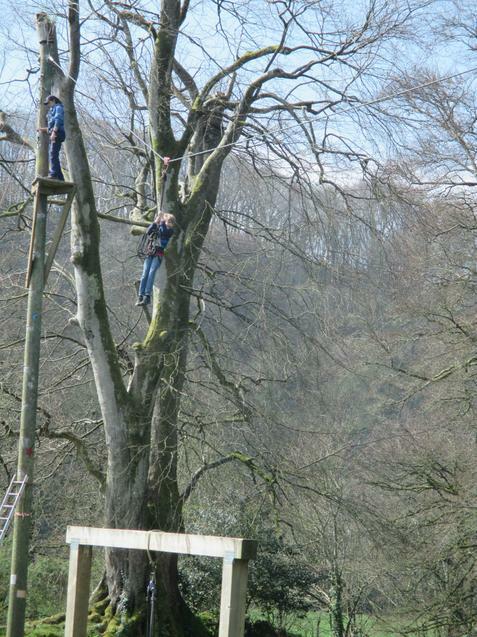 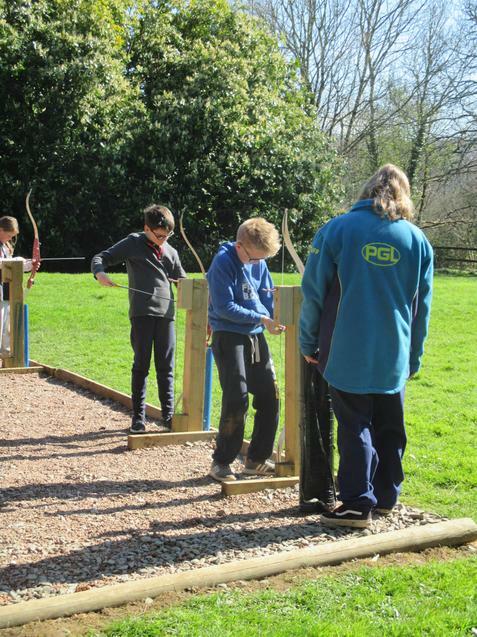 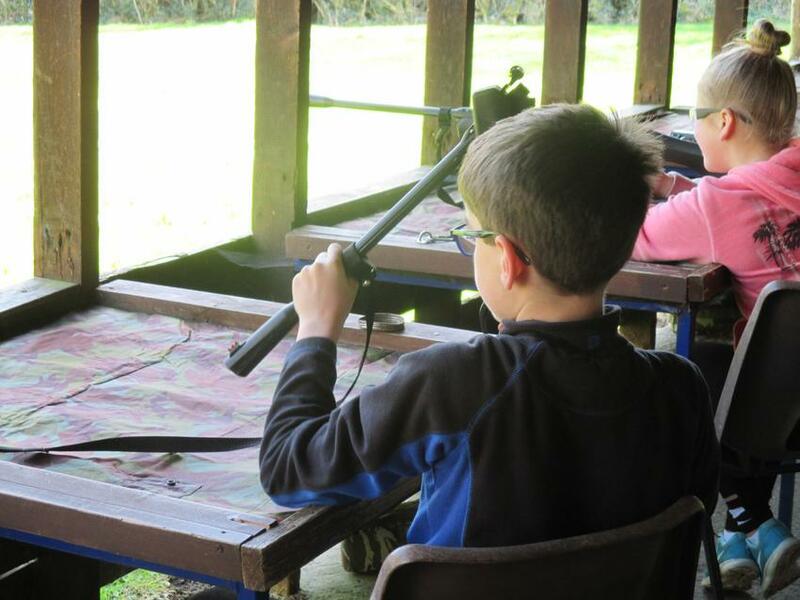 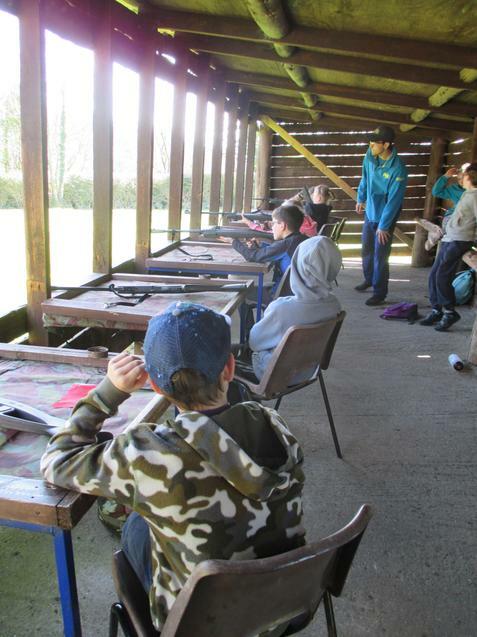 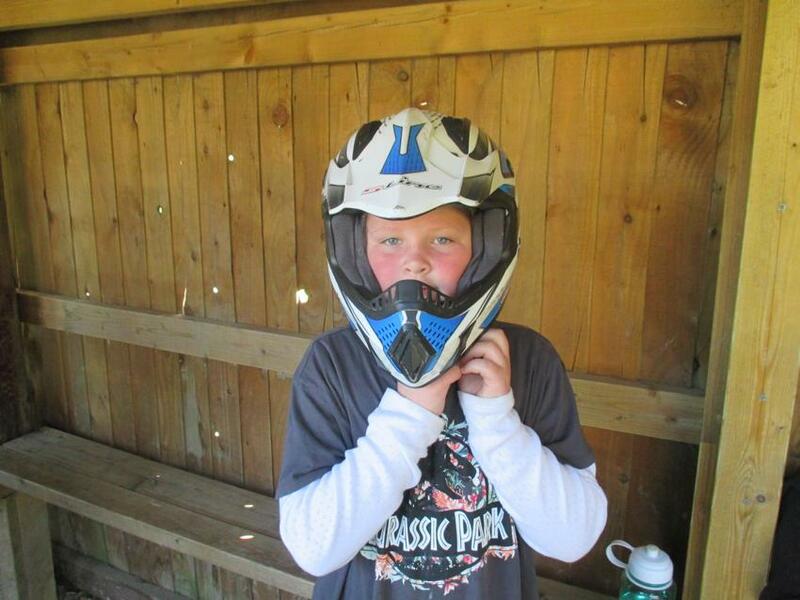 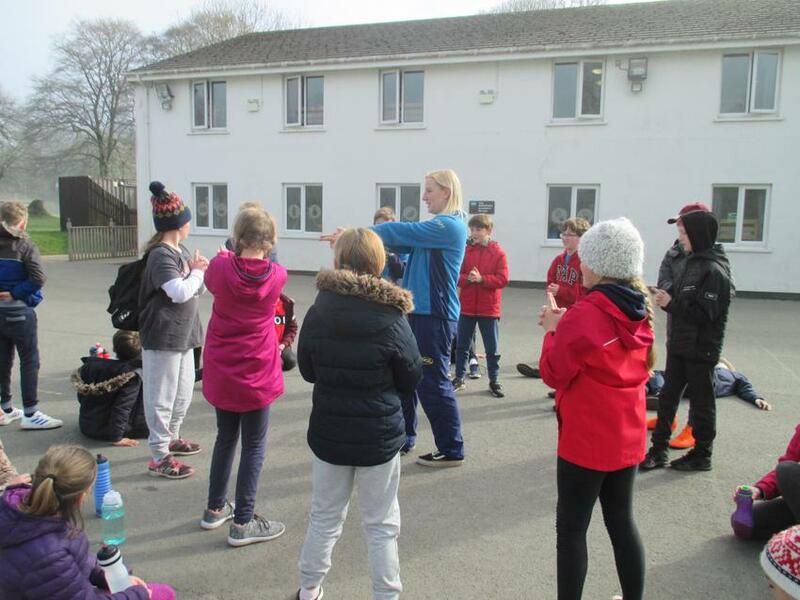 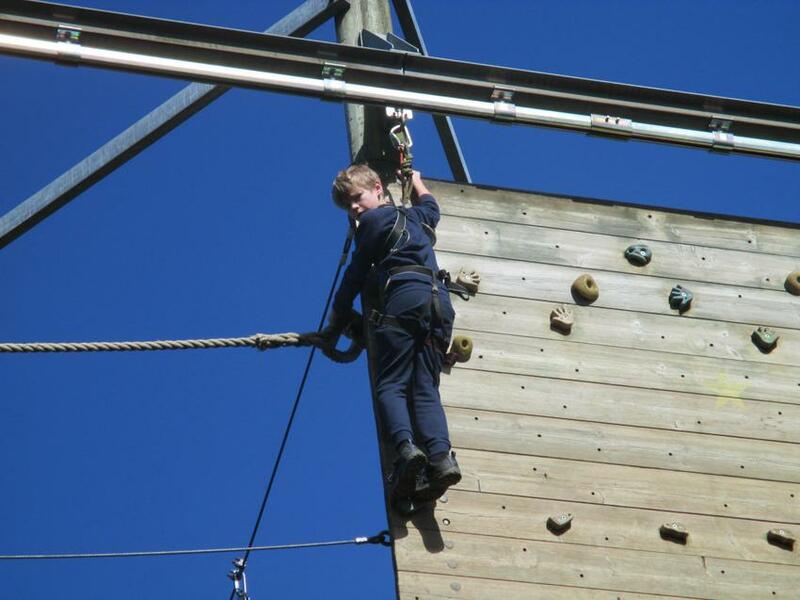 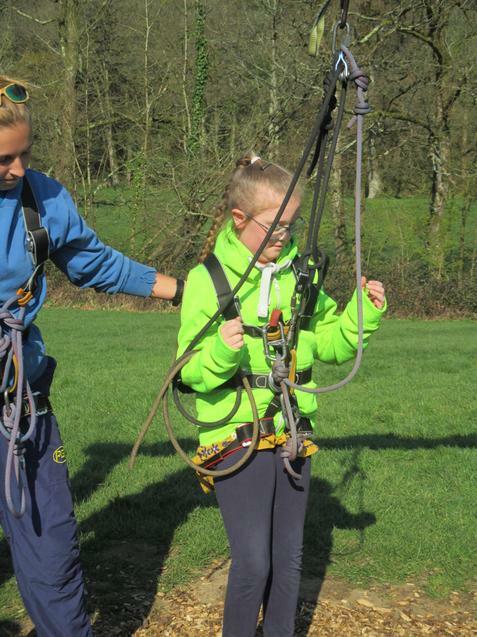 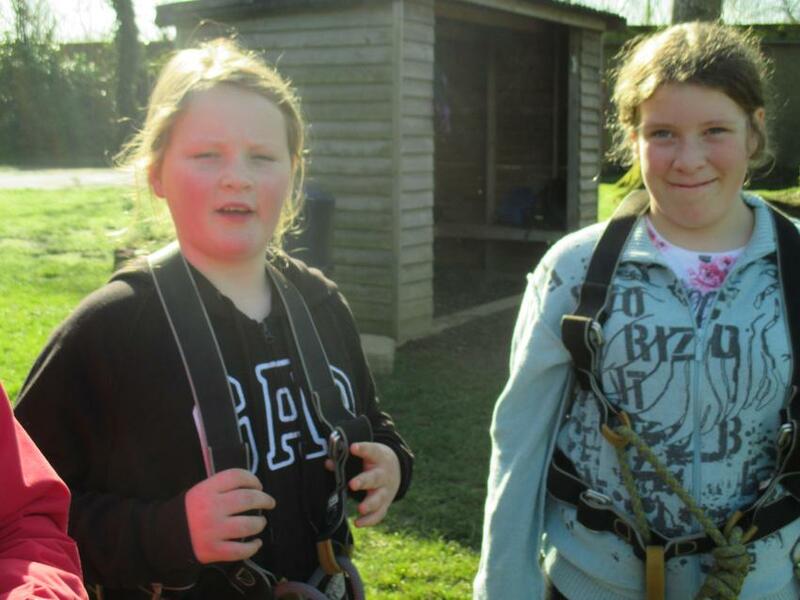 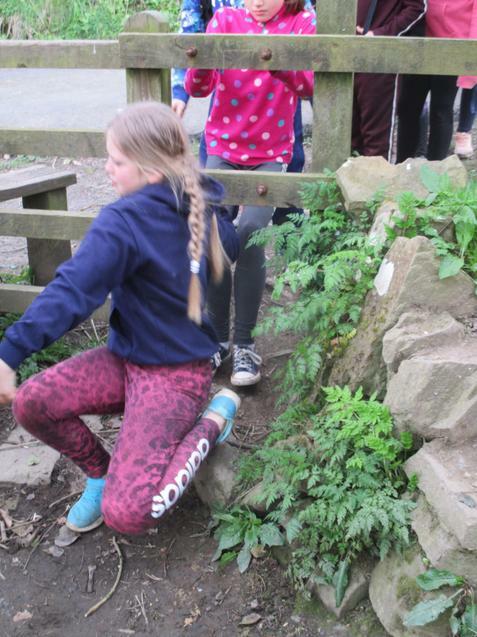 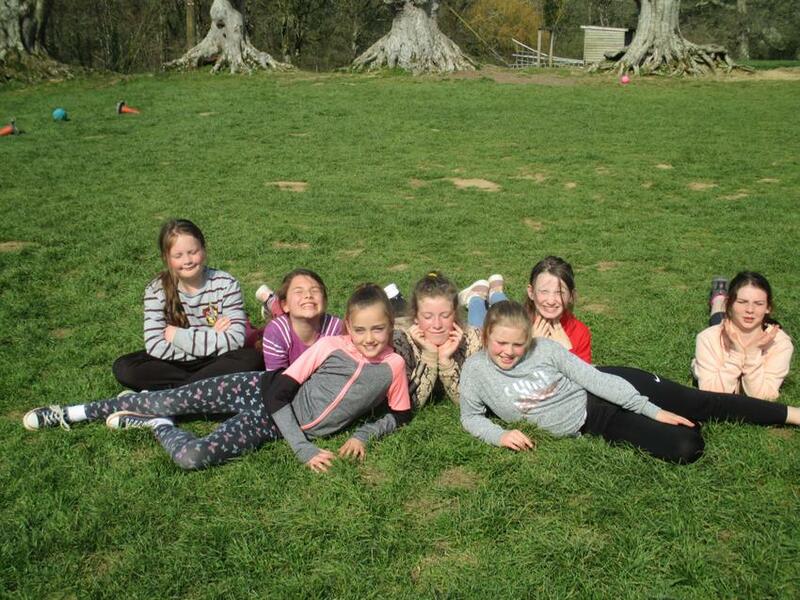 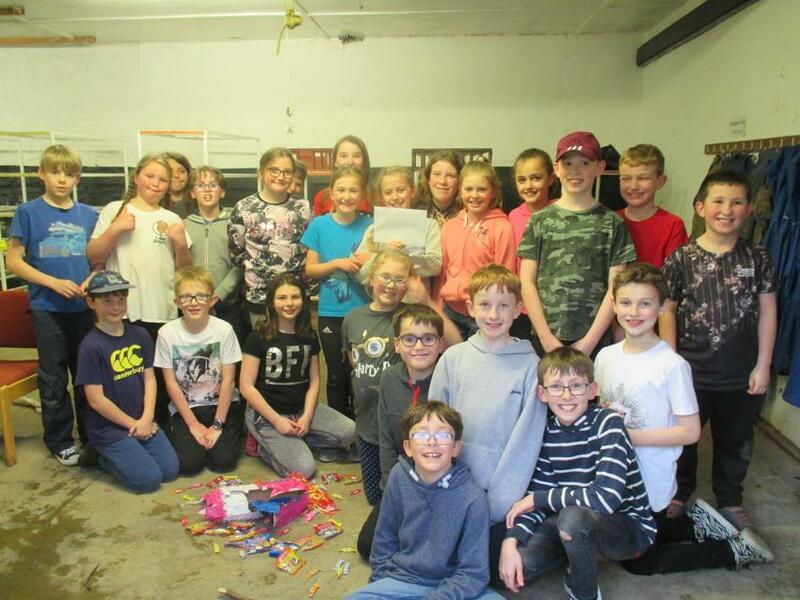 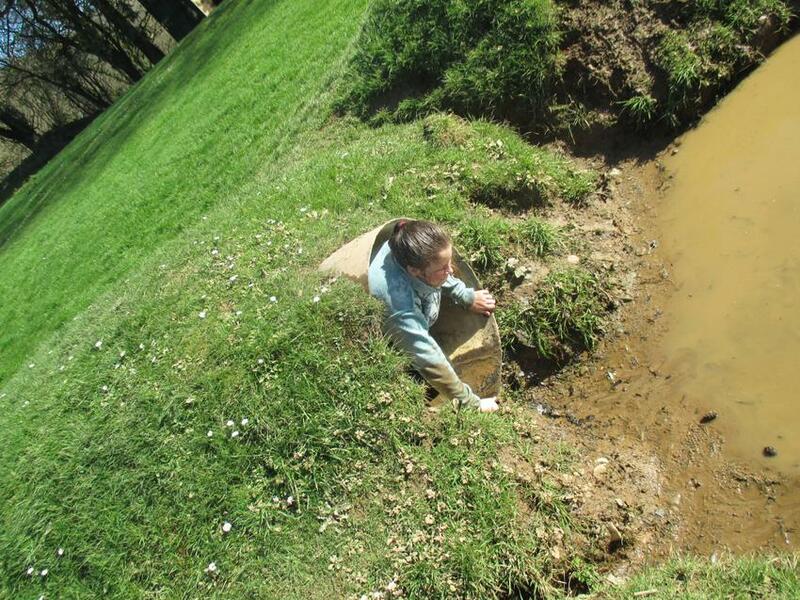 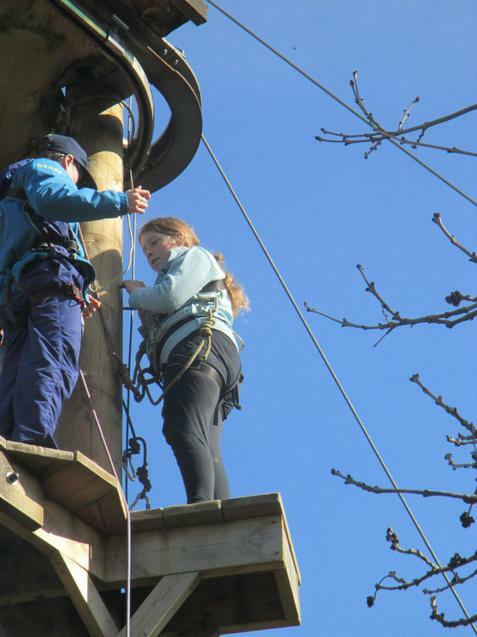 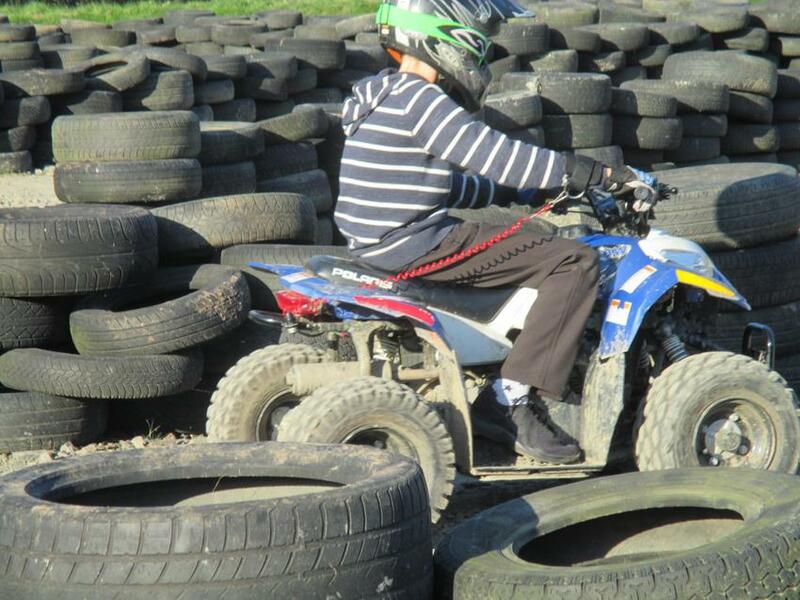 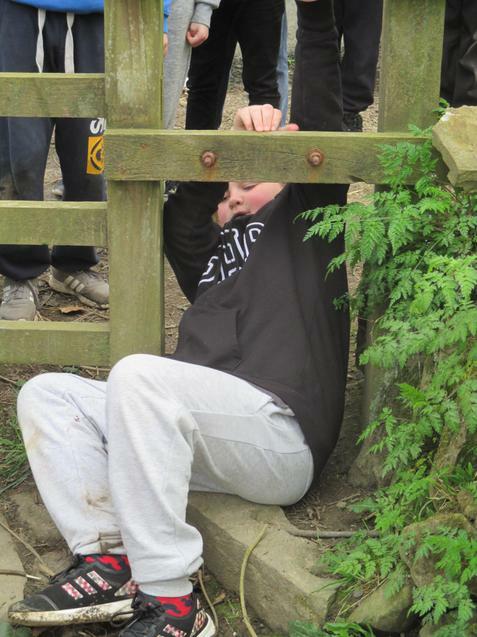 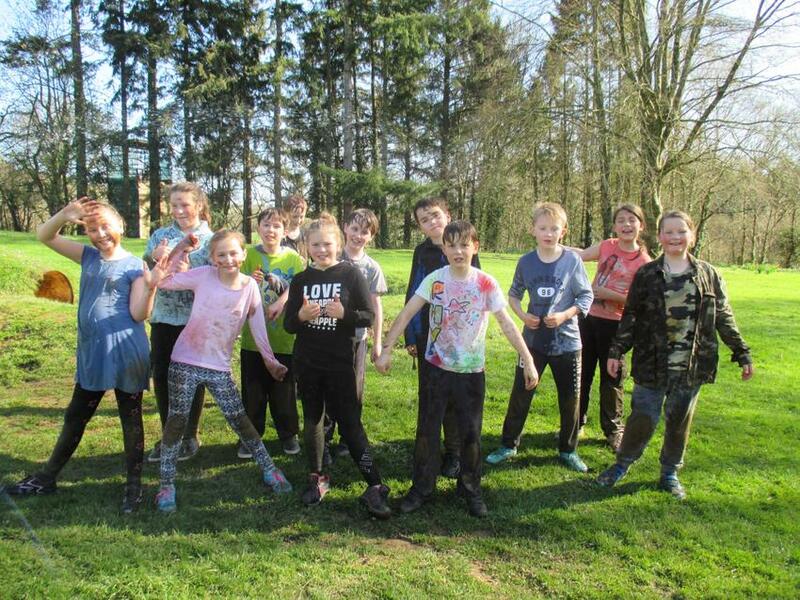 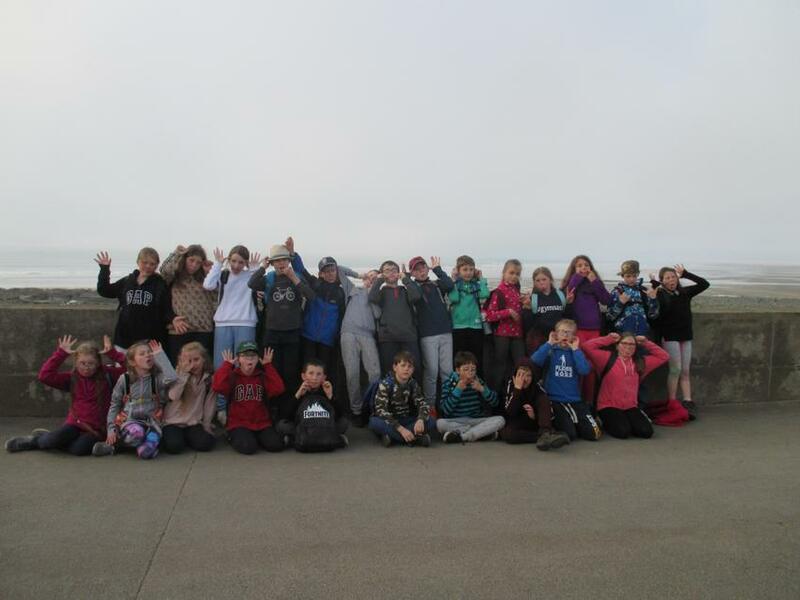 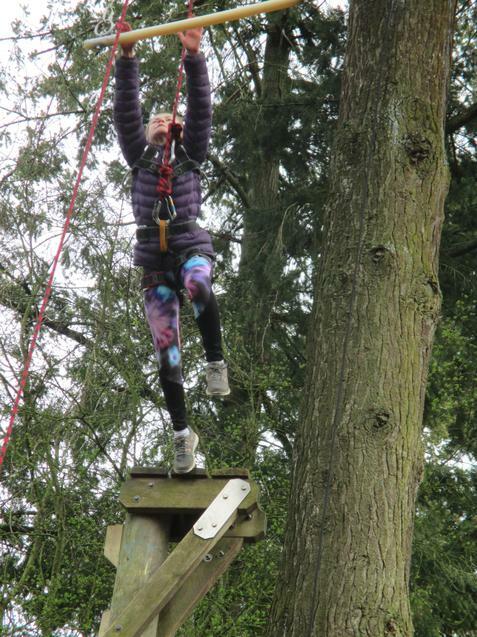 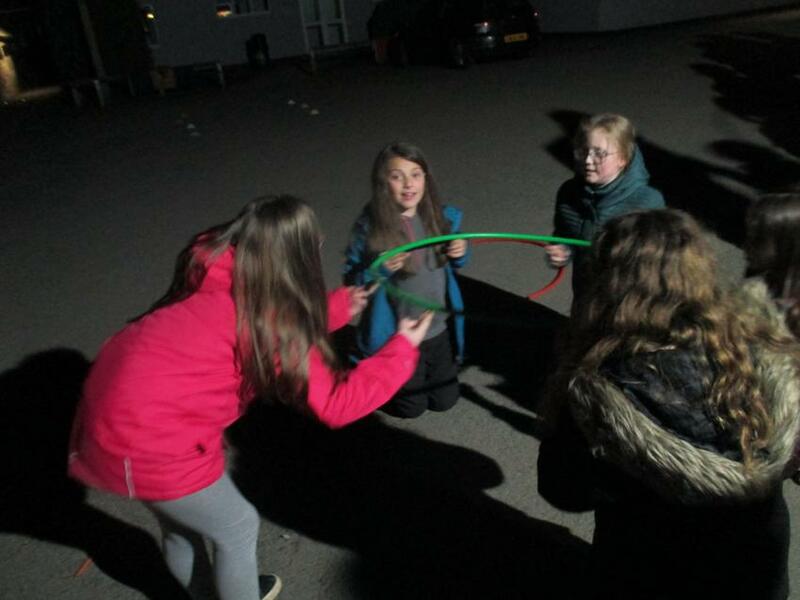 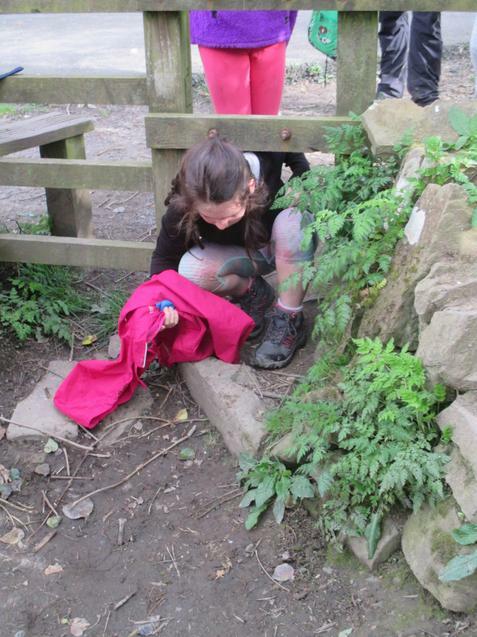 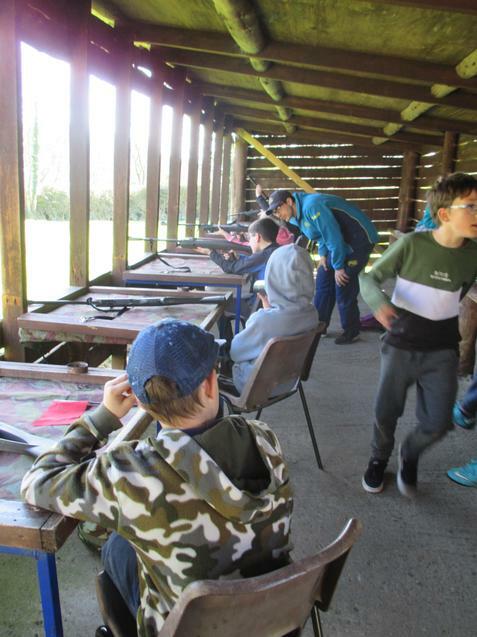 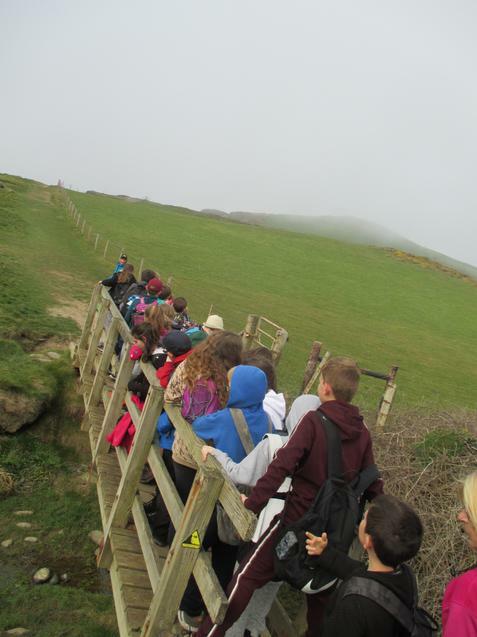 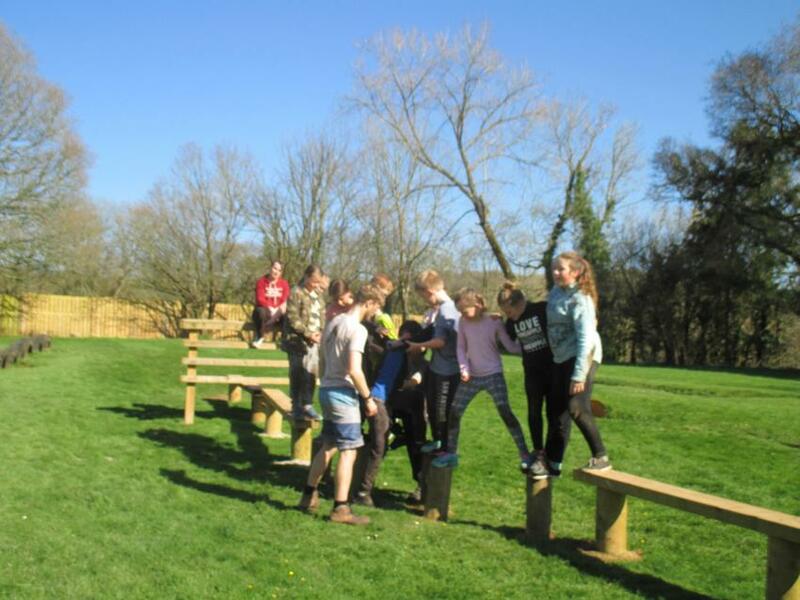 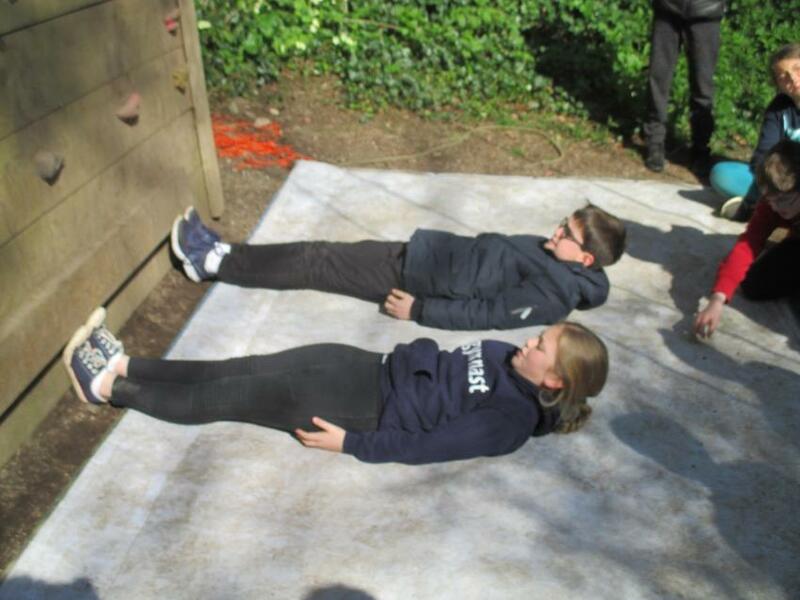 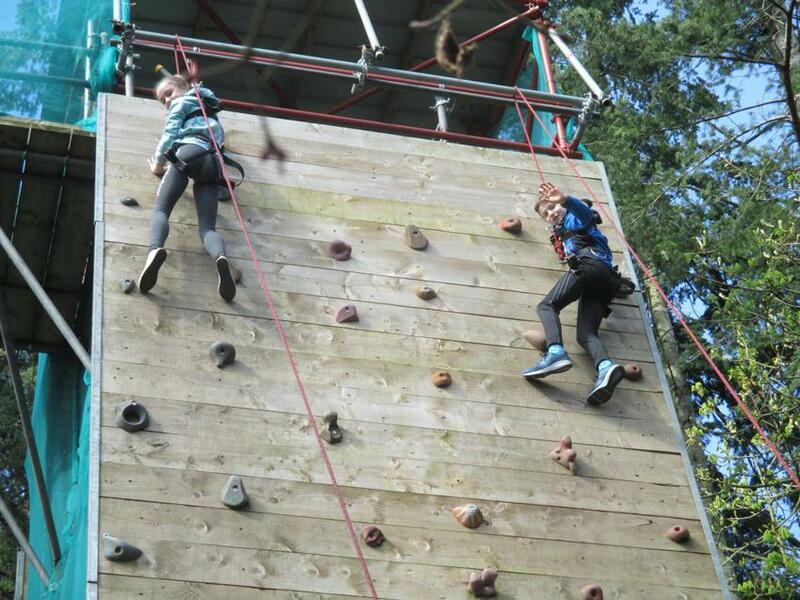 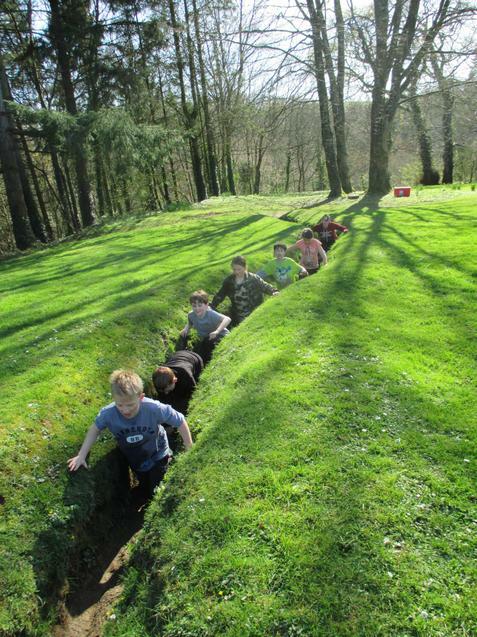 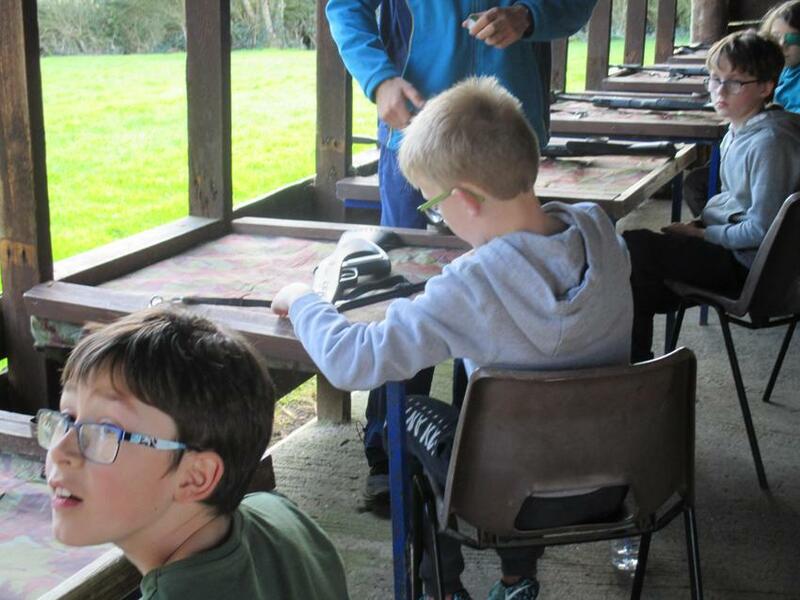 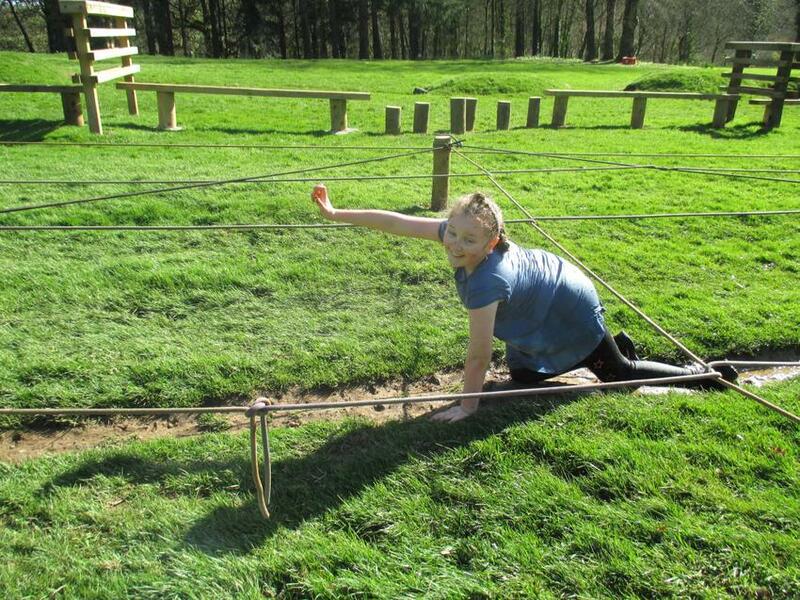 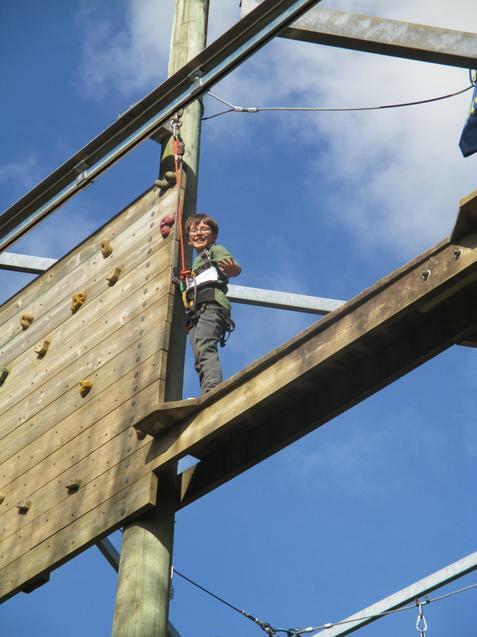 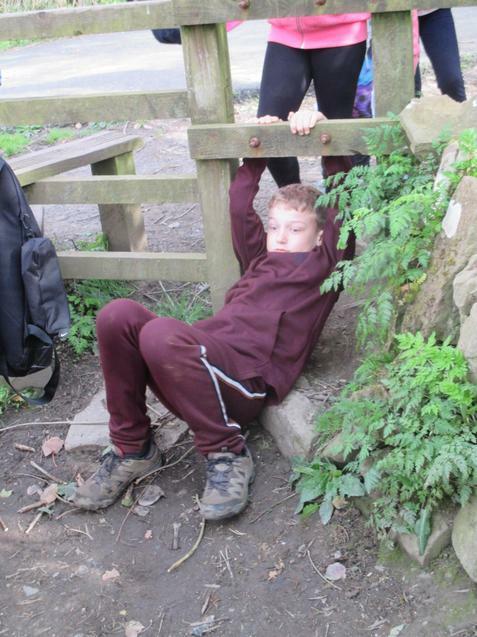 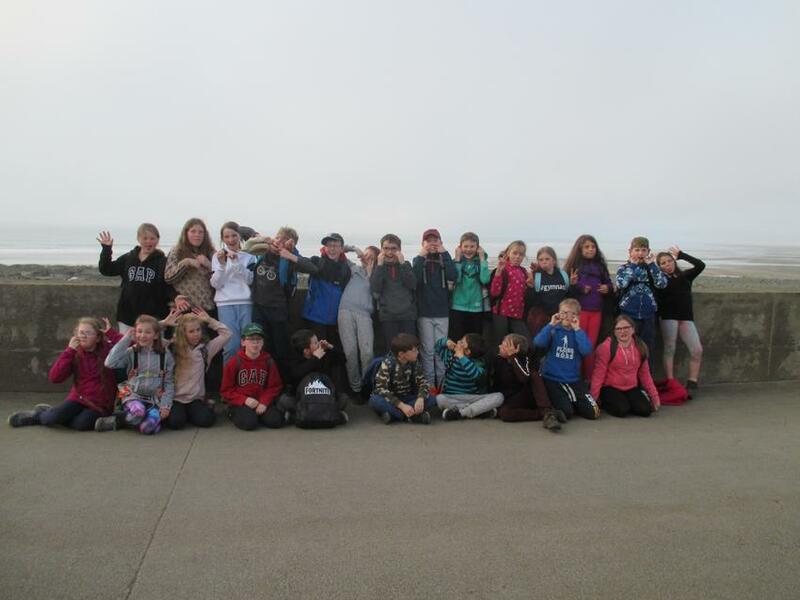 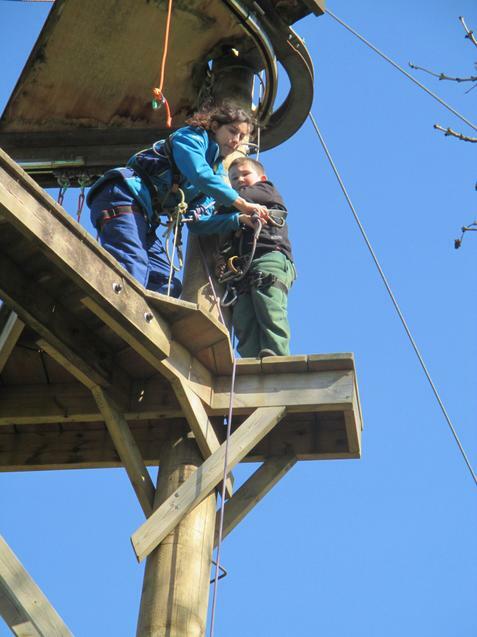 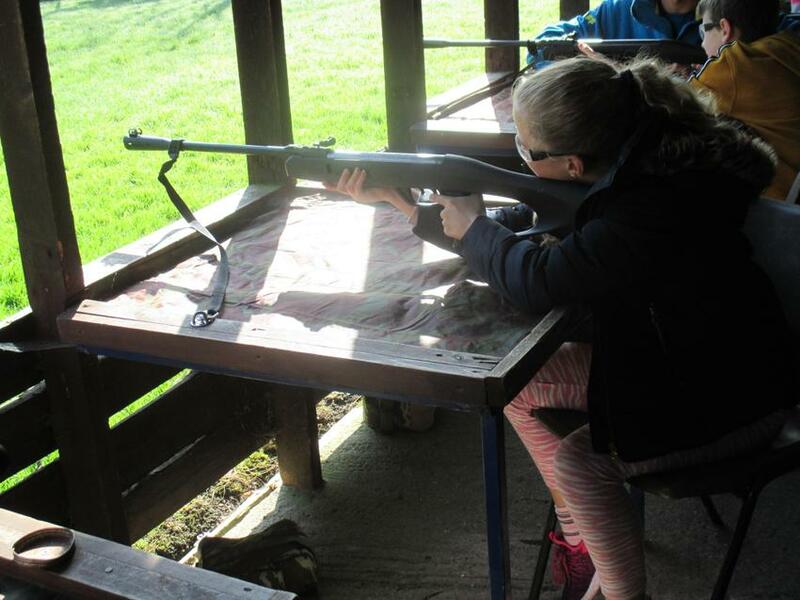 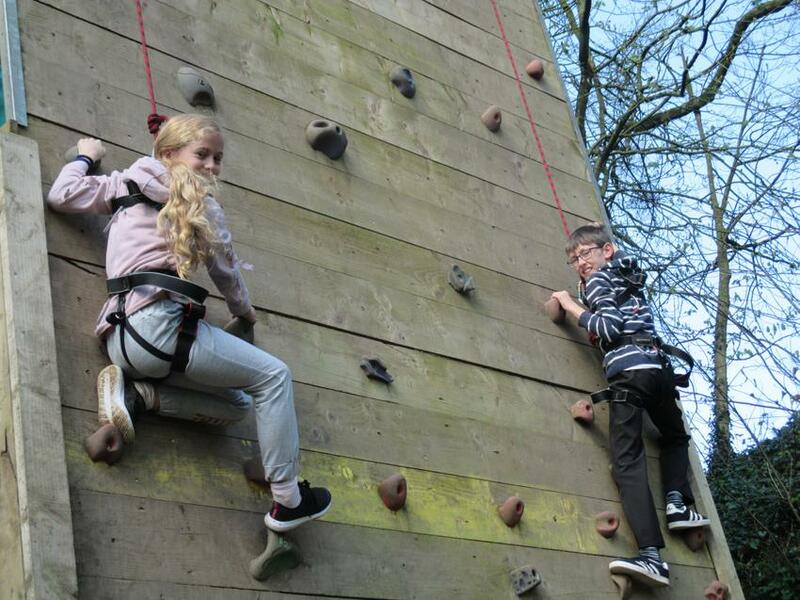 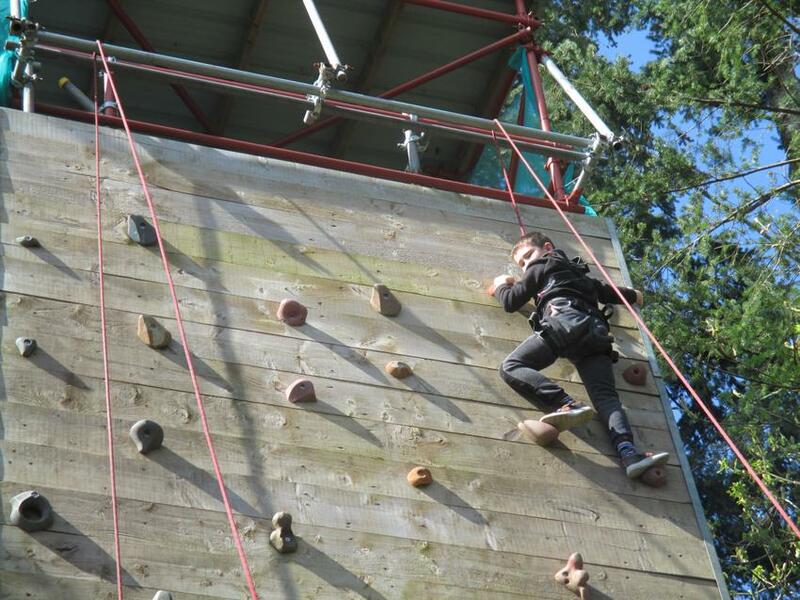 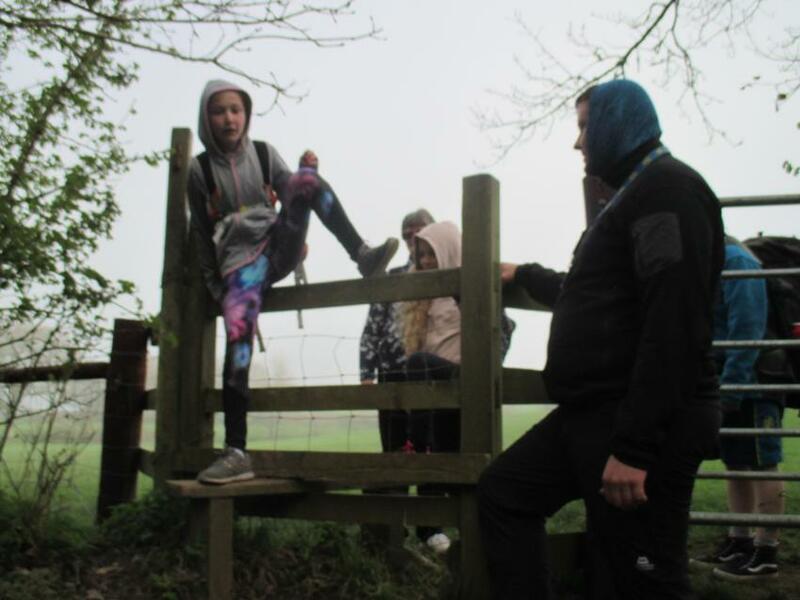 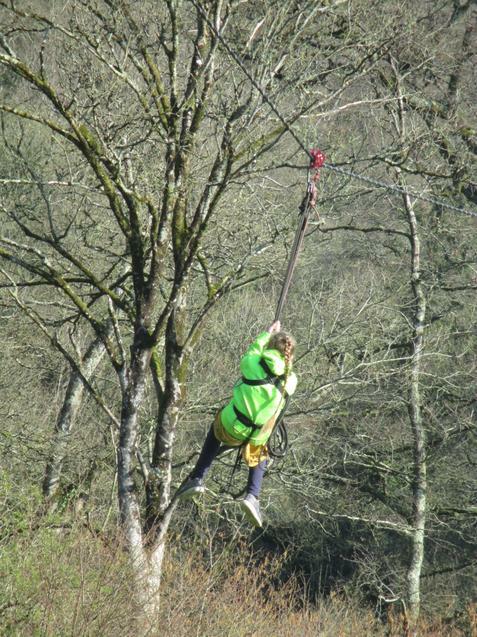 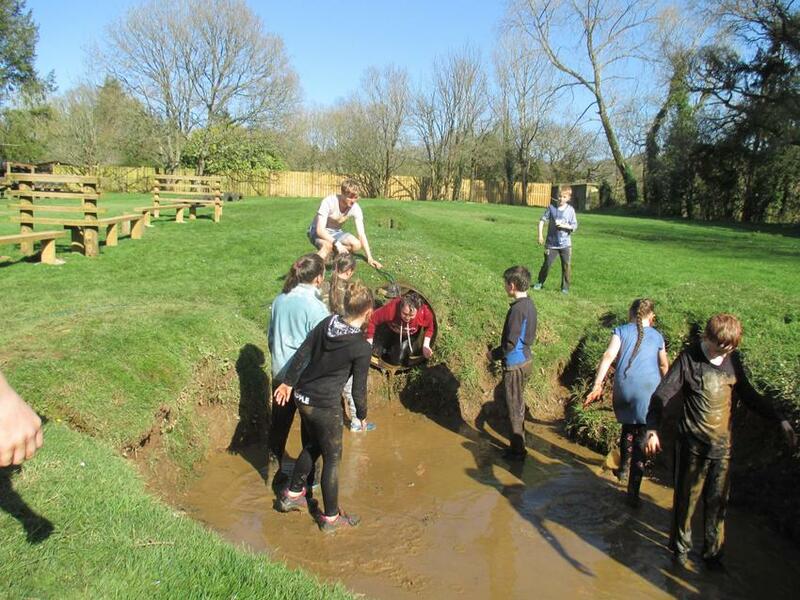 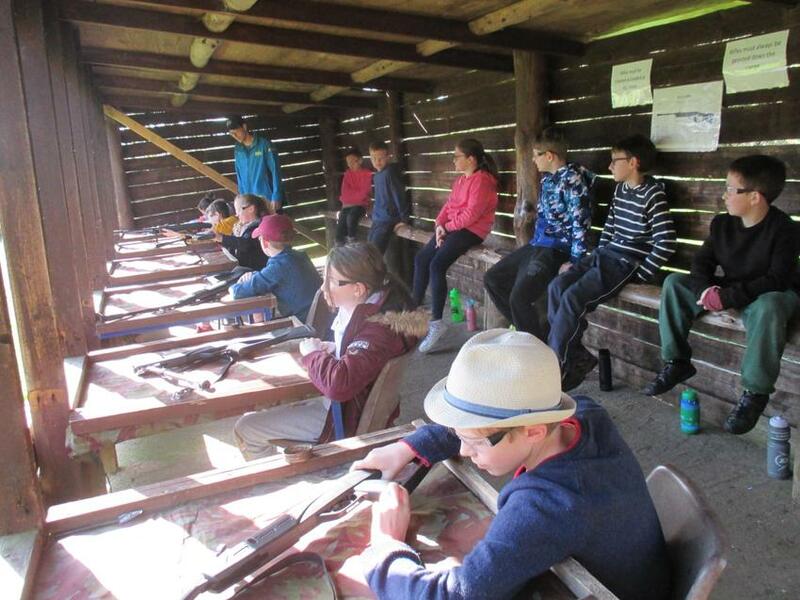 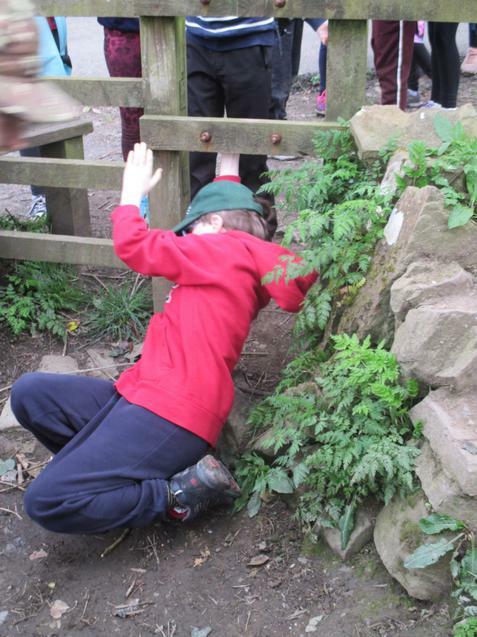 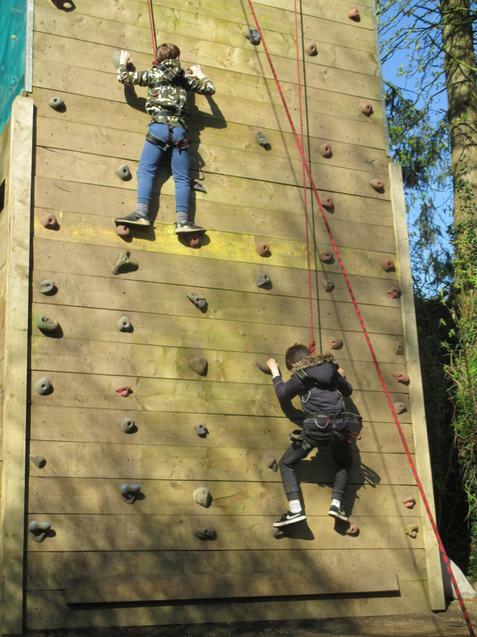 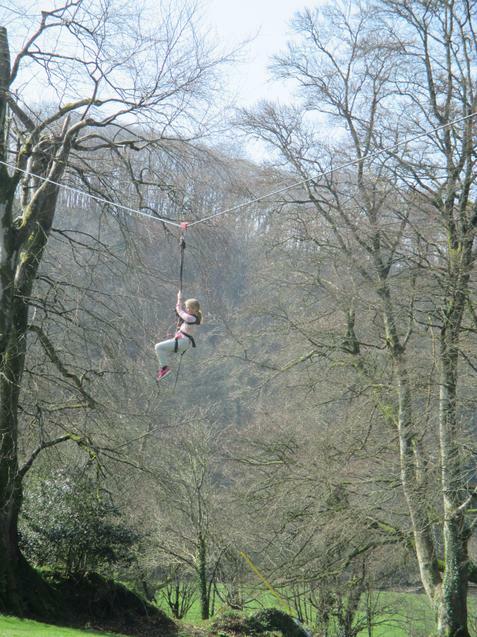 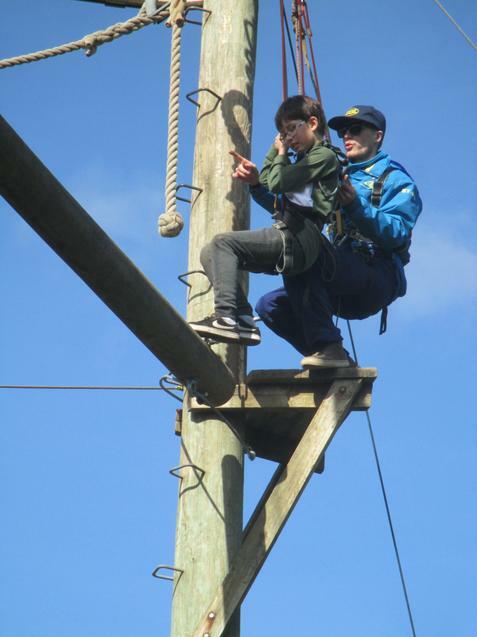 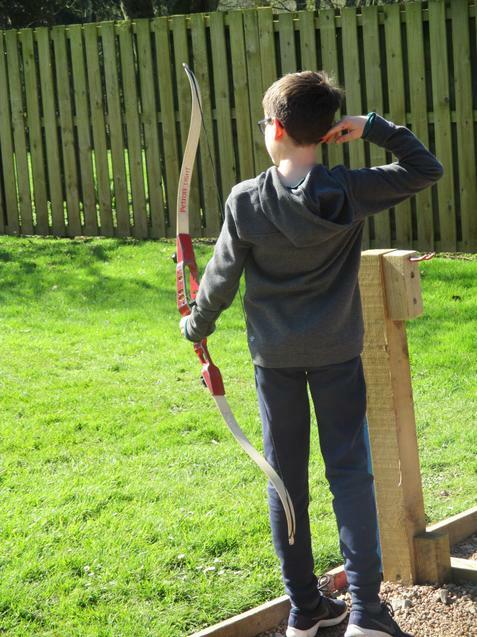 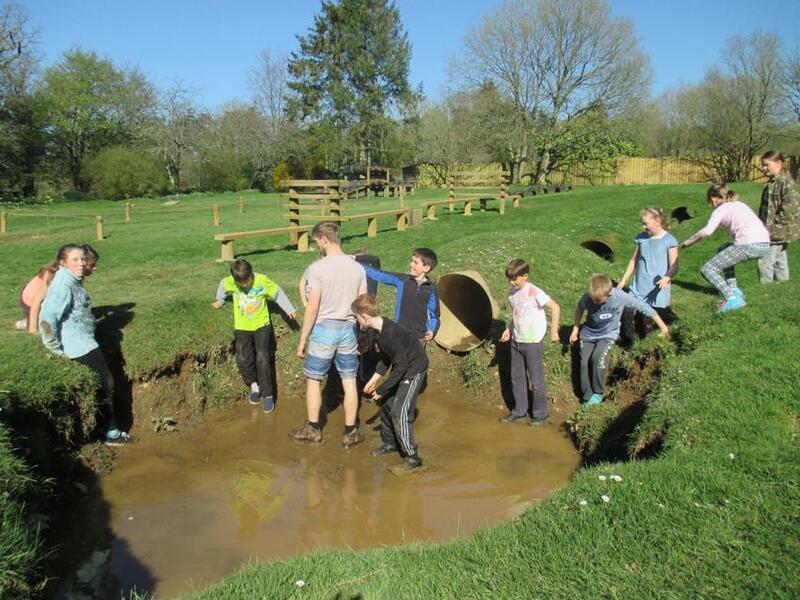 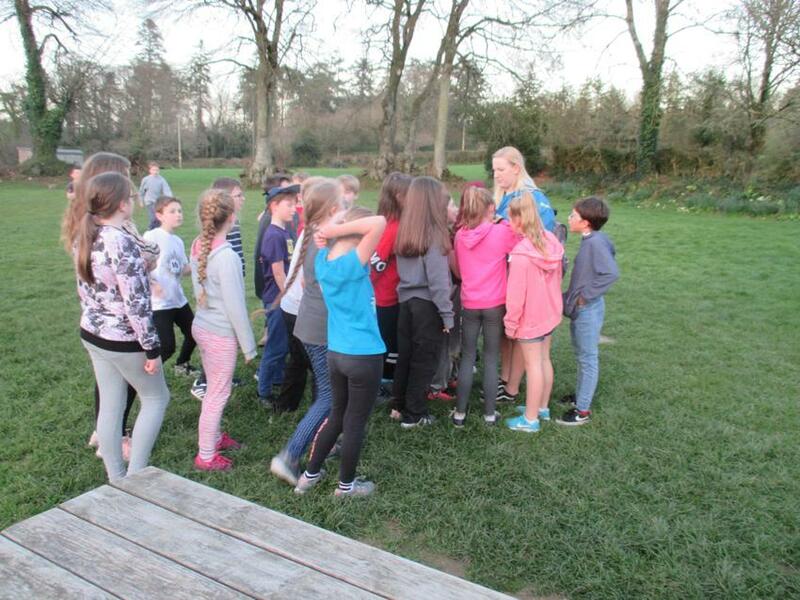 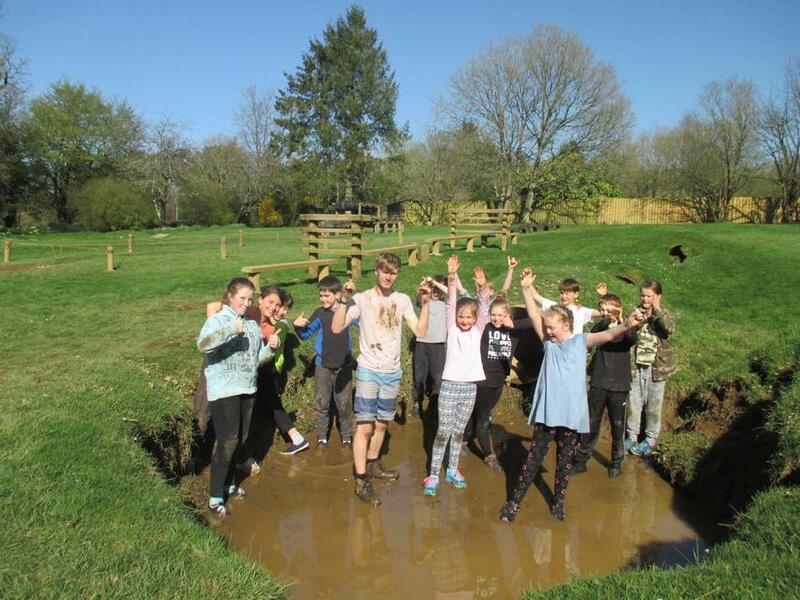 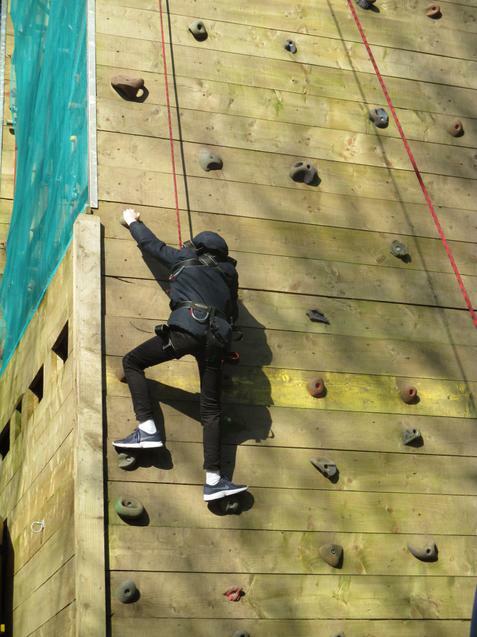 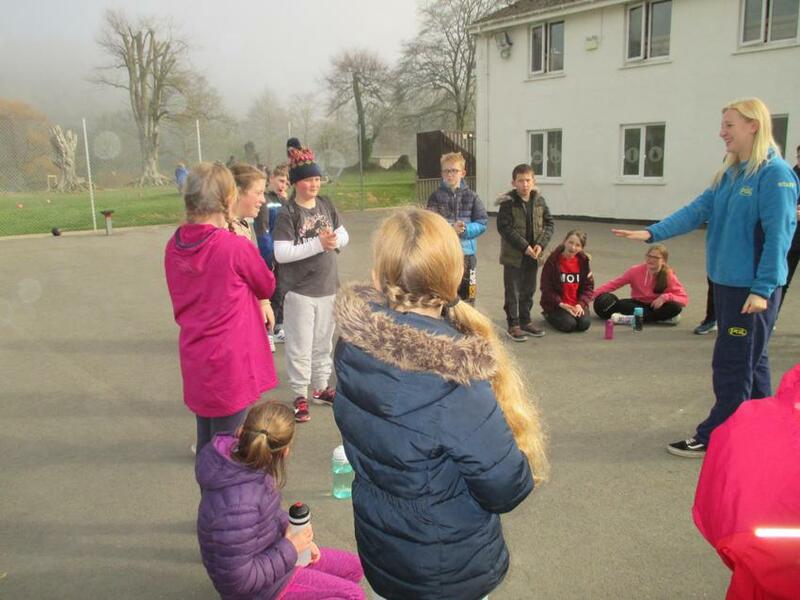 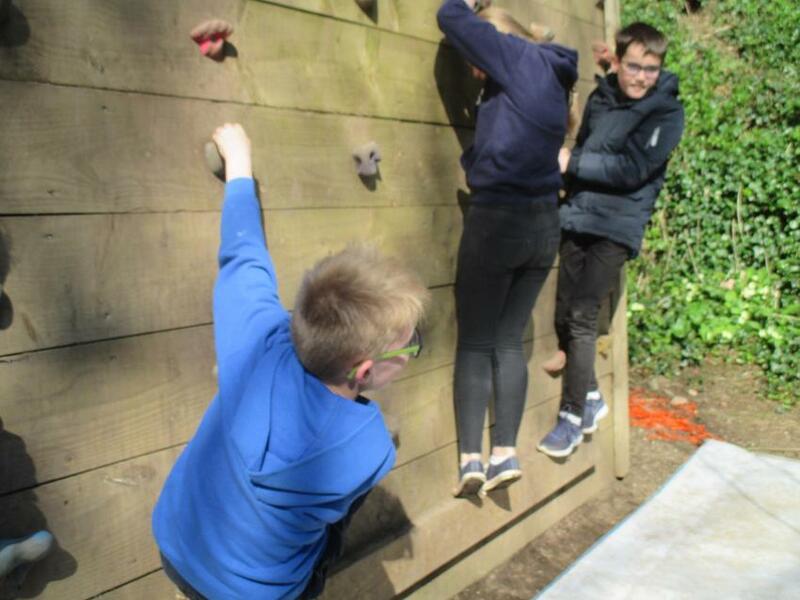 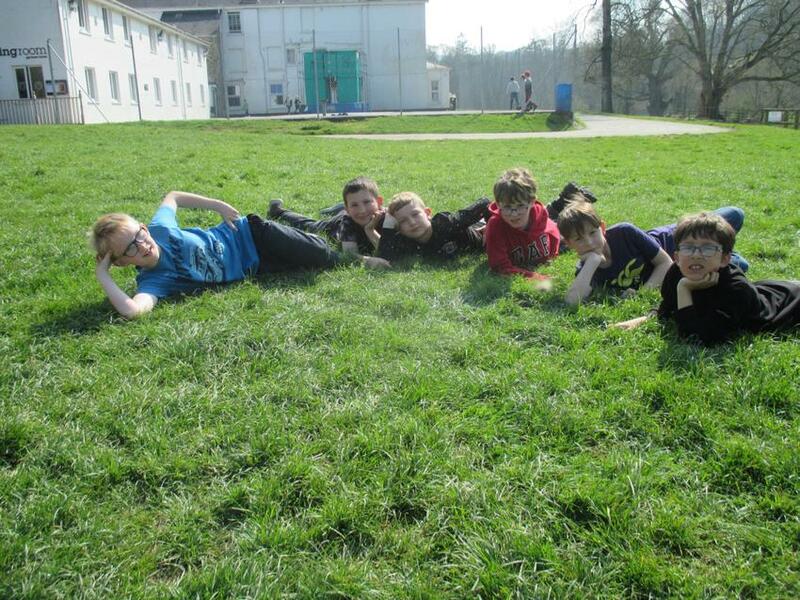 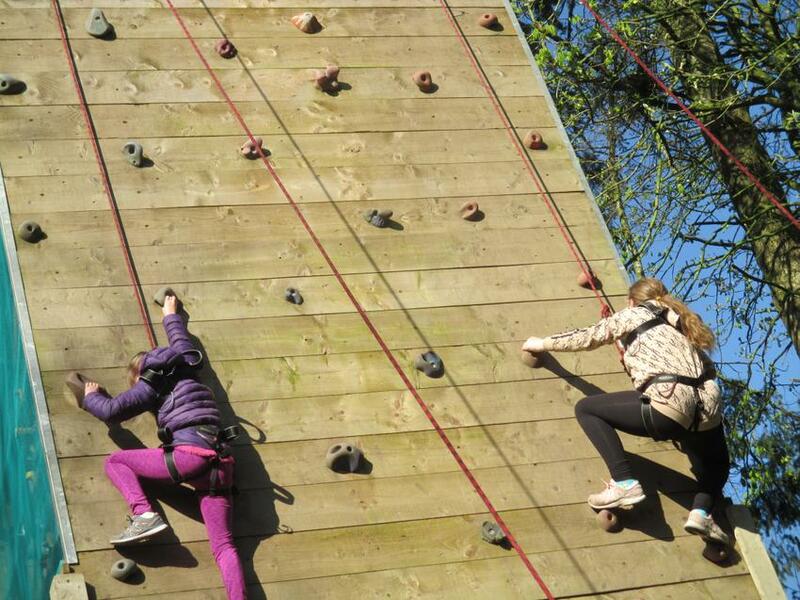 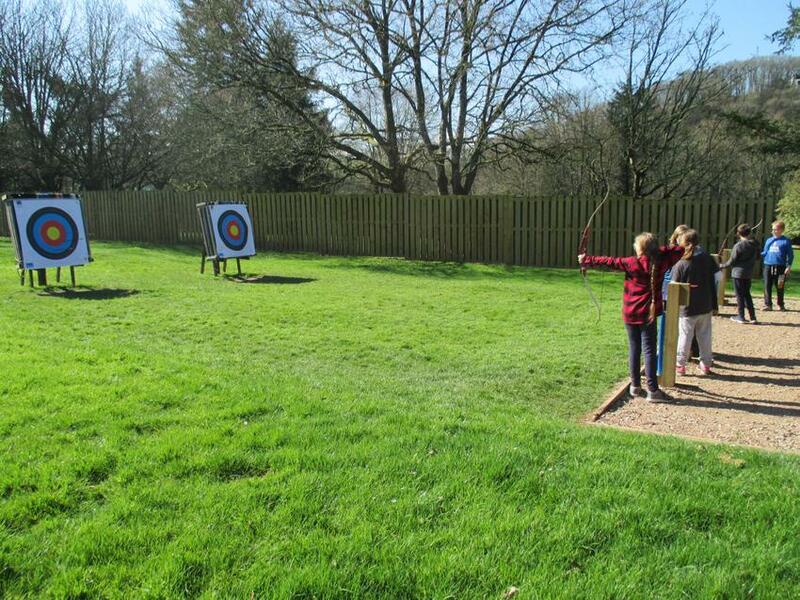 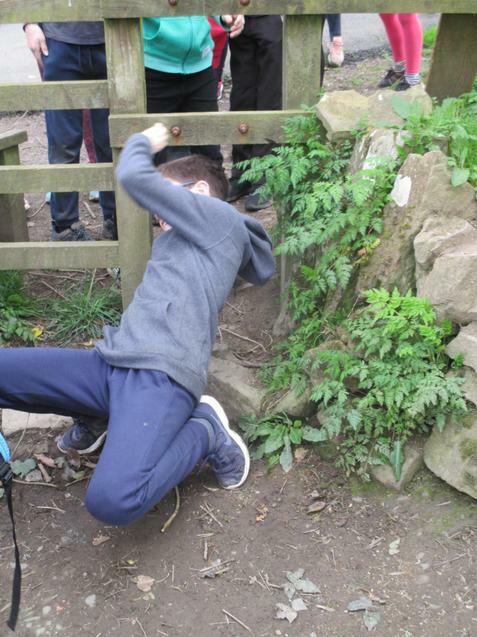 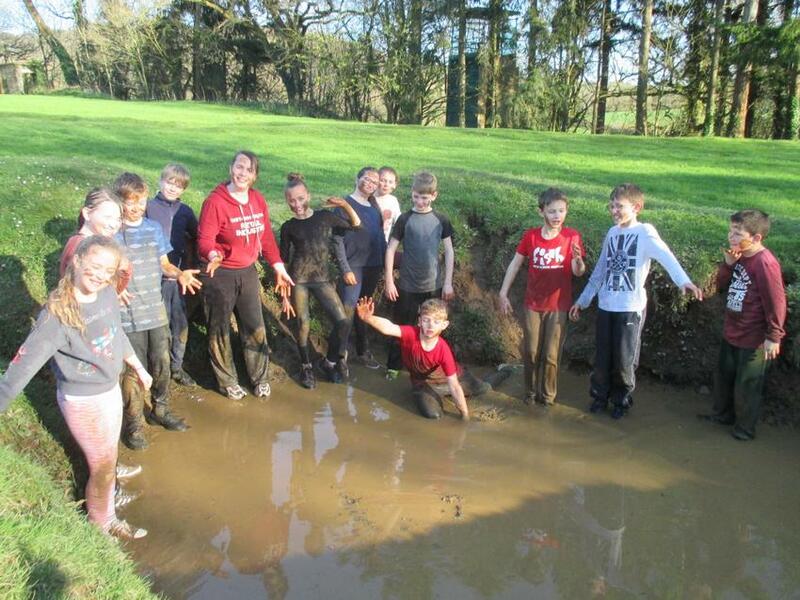 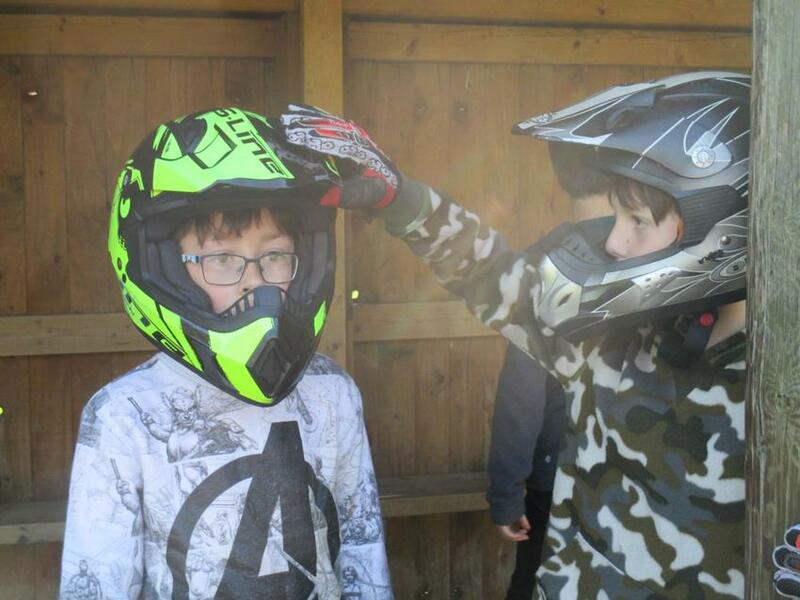 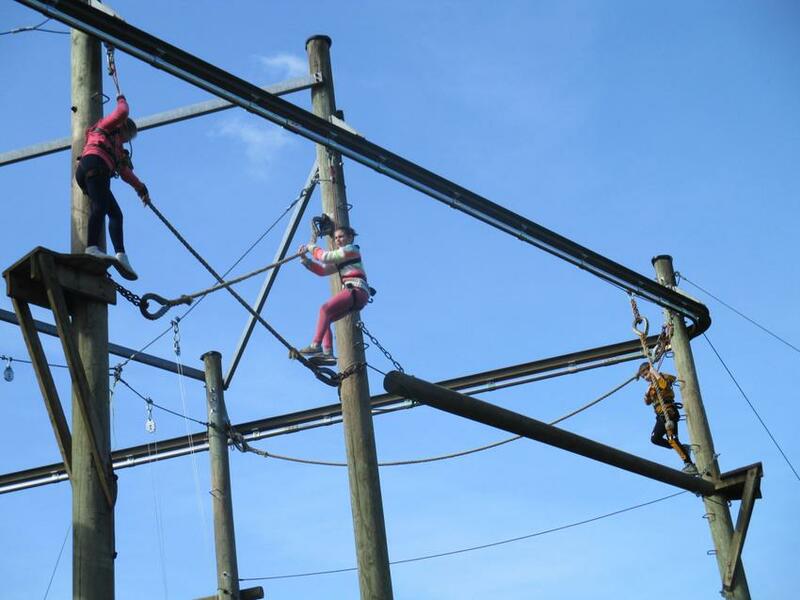 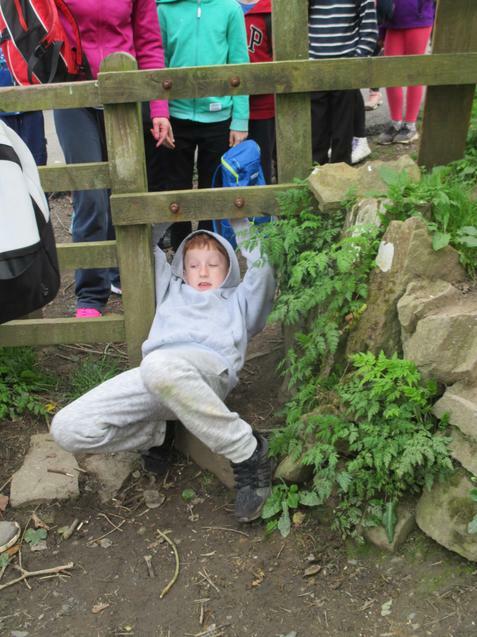 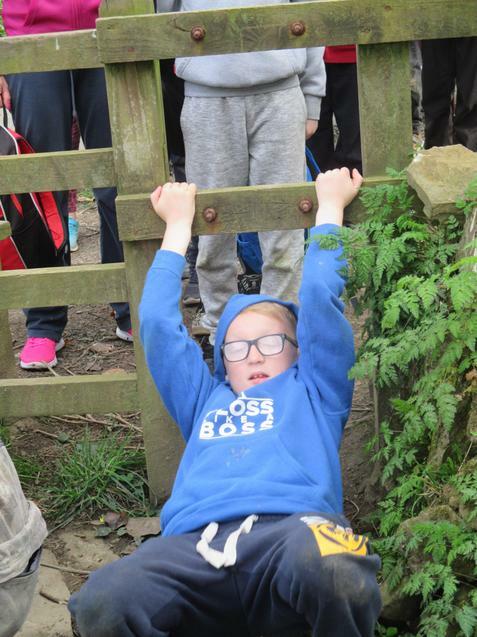 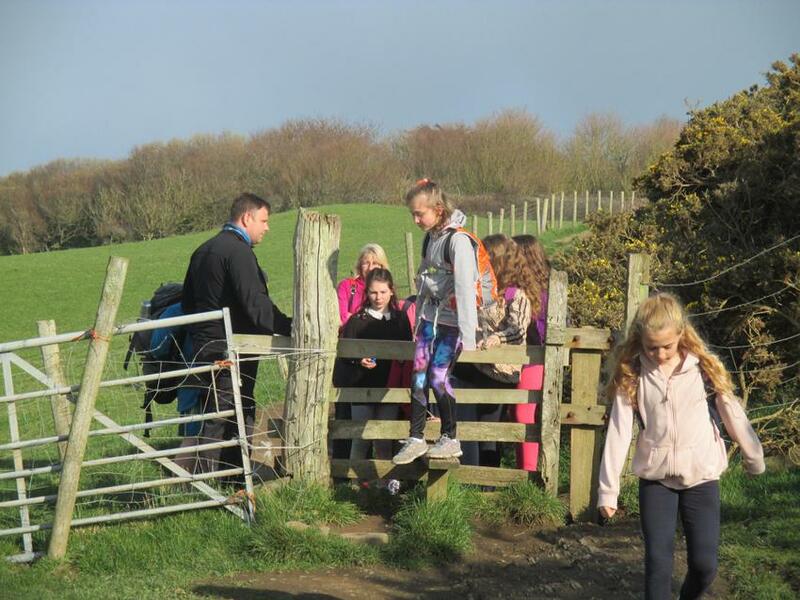 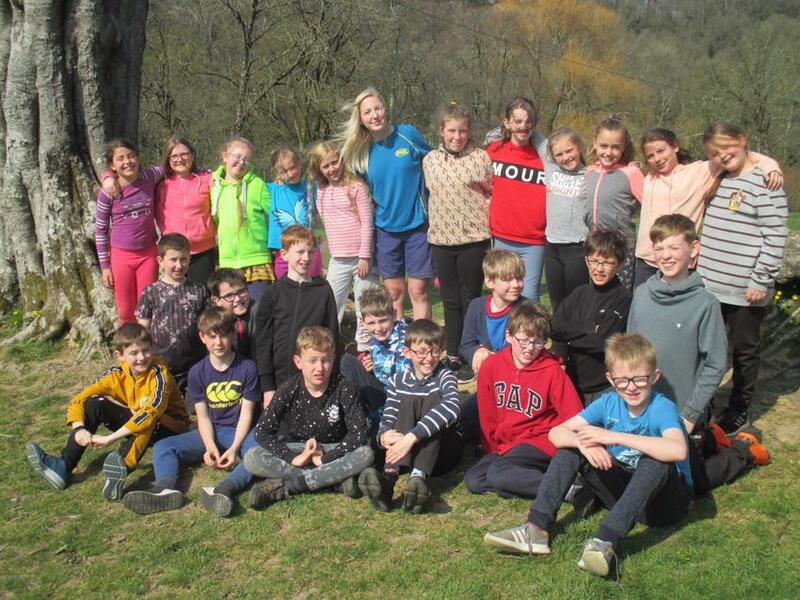 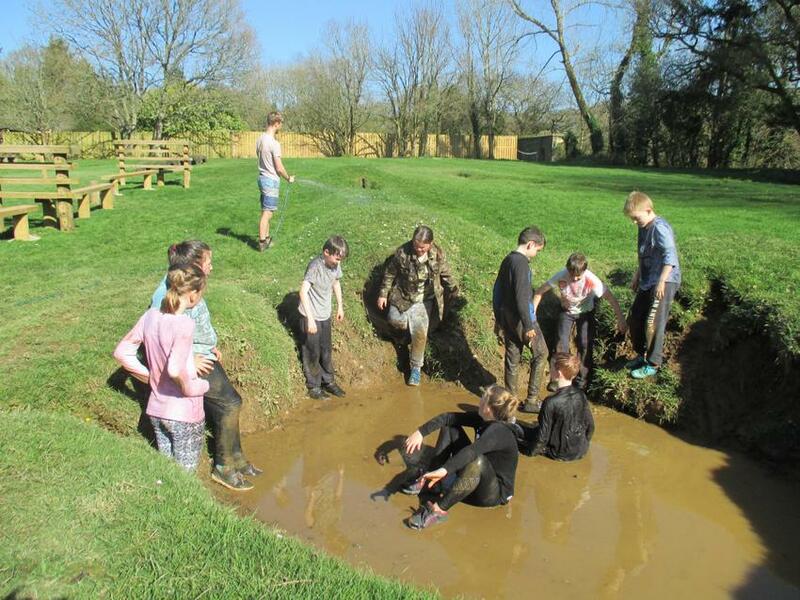 Each year six got to take part in a range of fun and exciting activities. 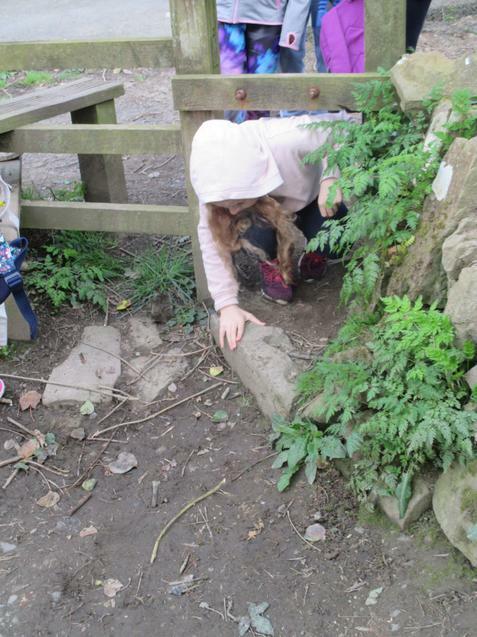 We read a short paragraph of the book Smith and learnt how to read between the lines to find out more information. 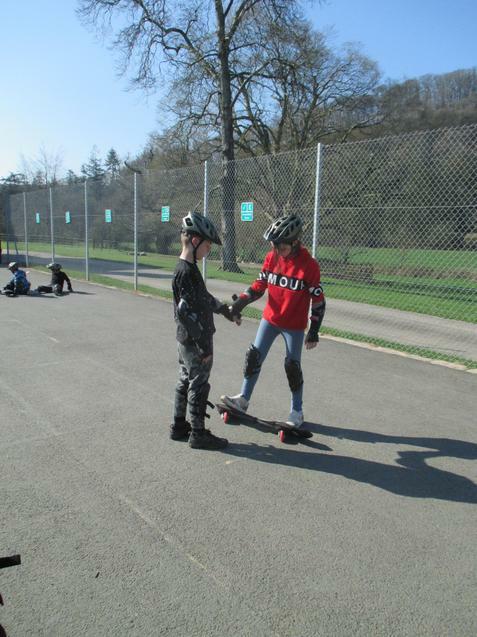 We talked with other schools and worked together to find out more about Smith. 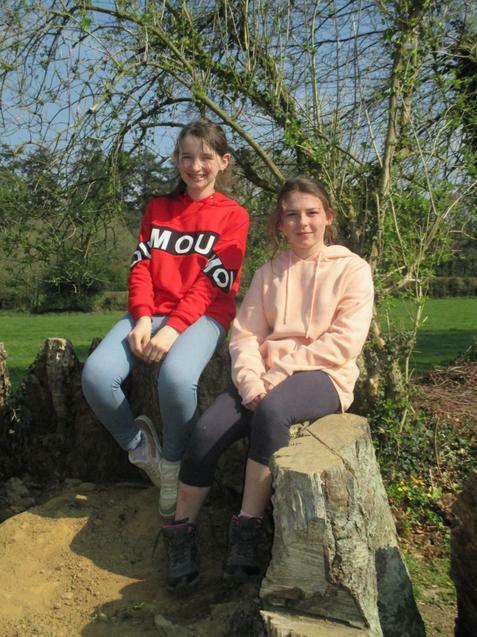 I enjoyed reading the text and it was a great day. 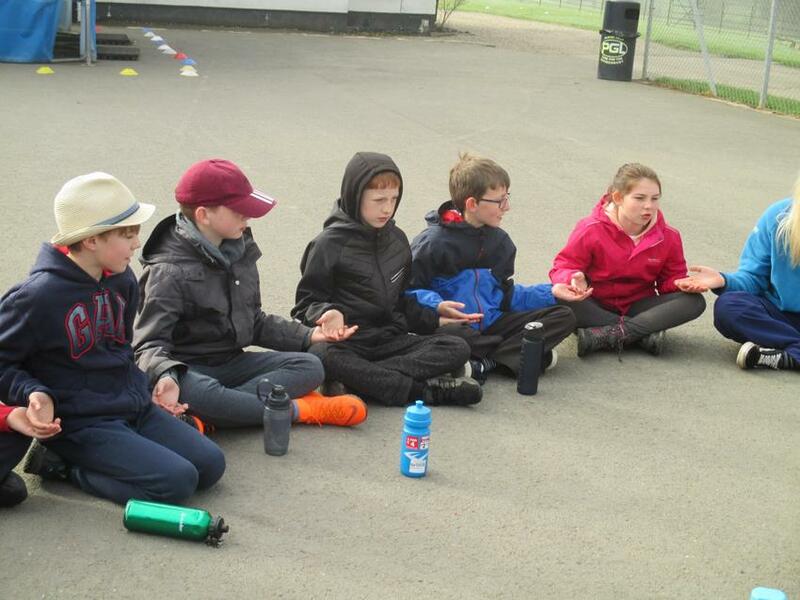 We wrote down words we didn’t understand and searched the meaning. 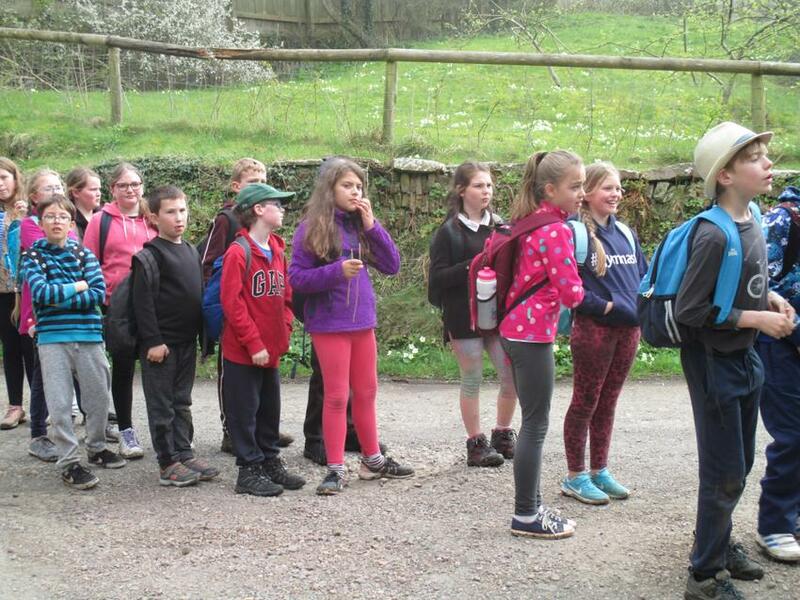 We got to have biscuits too! 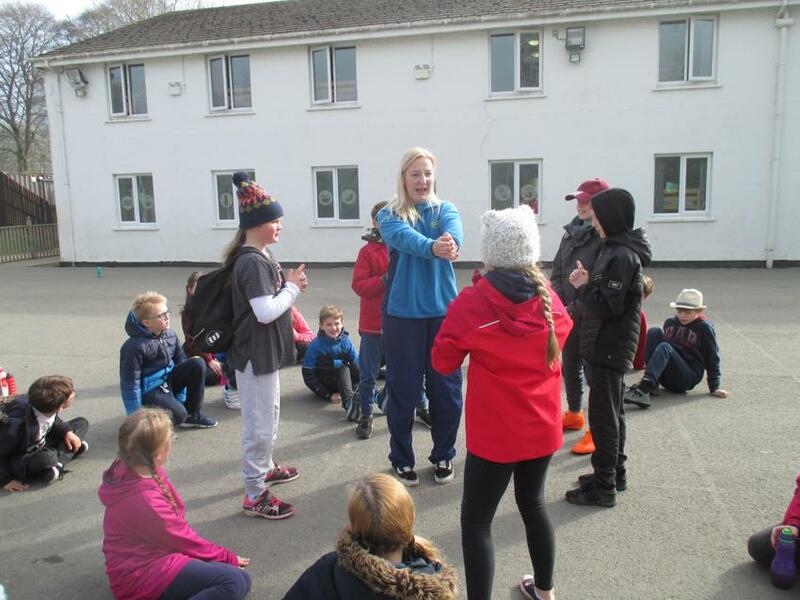 The day was extremely fun as we got to learn more about different schools in our community and we also got to take home a copy of Smith. 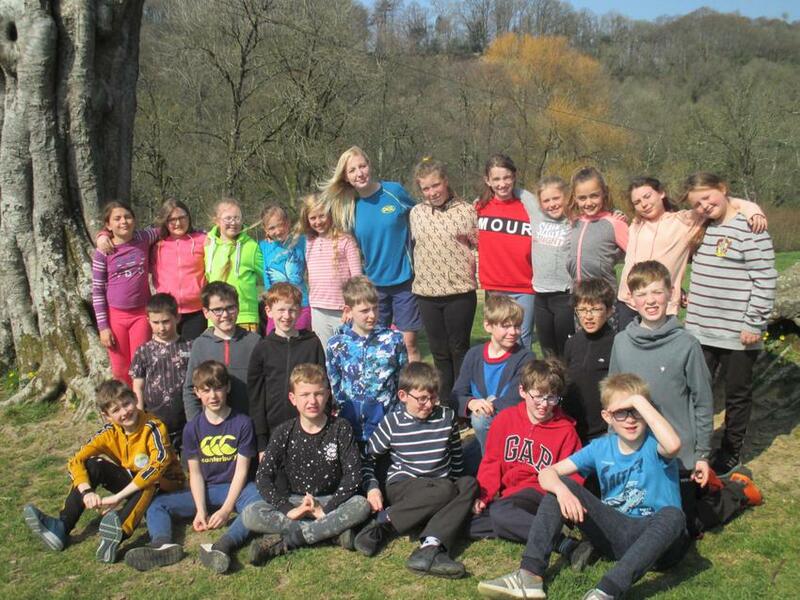 Thank you Chudleigh Knighton!! 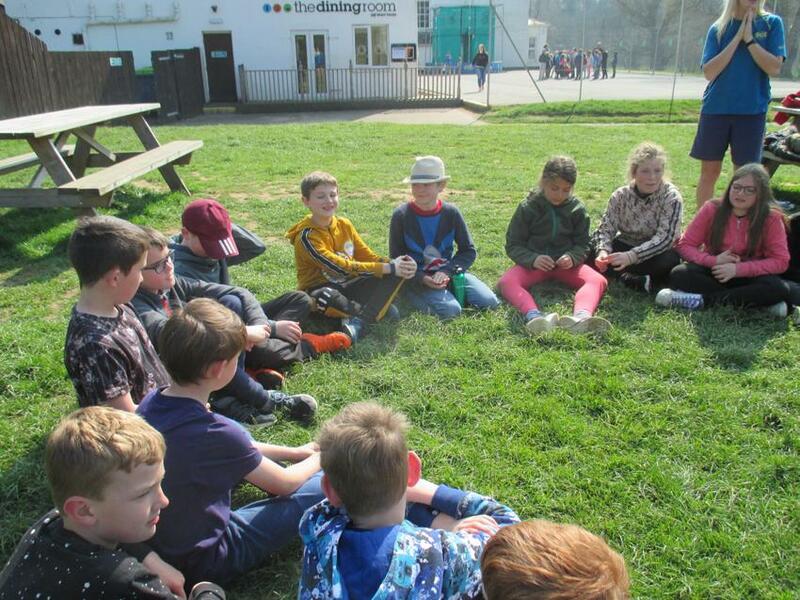 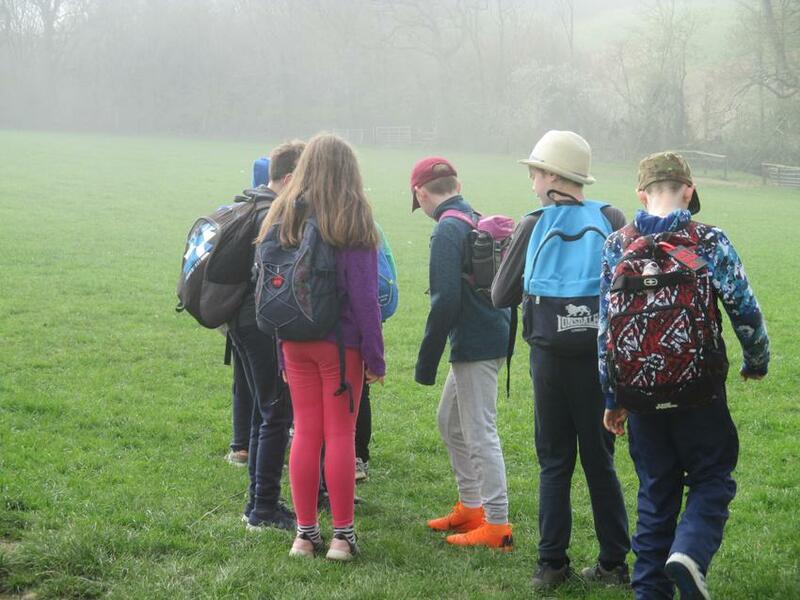 On Tuesday 24th April 2018 four children from year six went to Chudly knighton for a deep reading day. 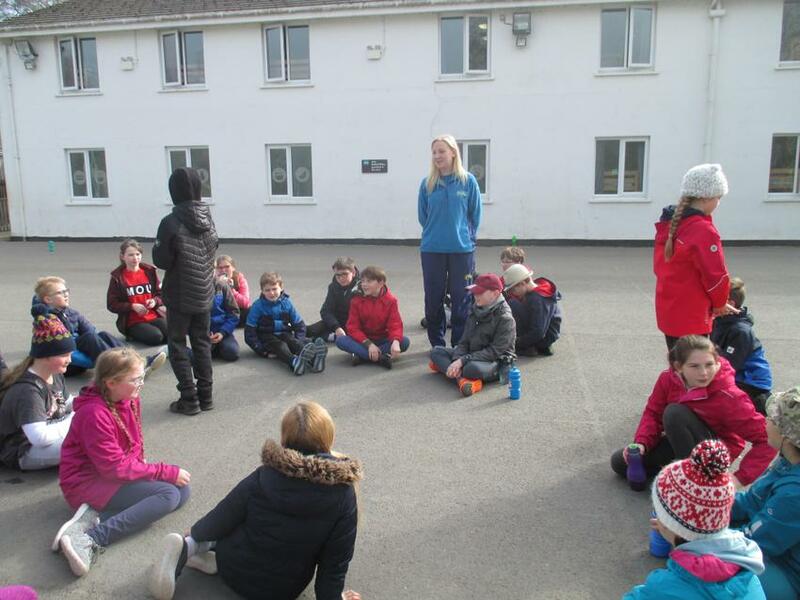 At the deep reading day we looked at sections from a book called SMITH and we had to use inference to work out who or what SMITH is. 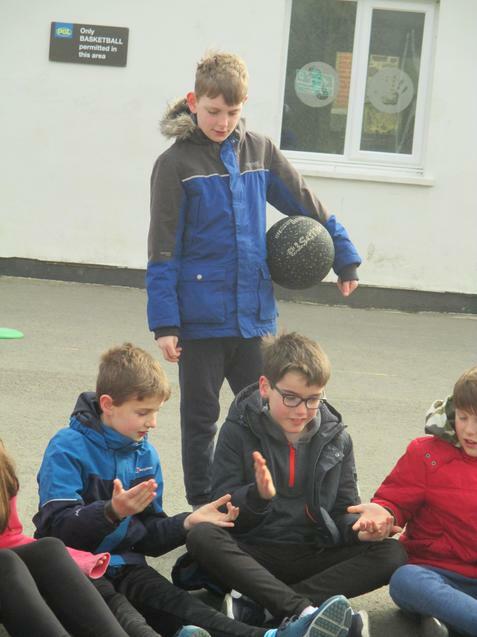 In the end me and my group worked out that SMITH is a 12 year old boy who is also a pickpocket .The other year sixes and I enjoyed the deep reading day and leant a lot. 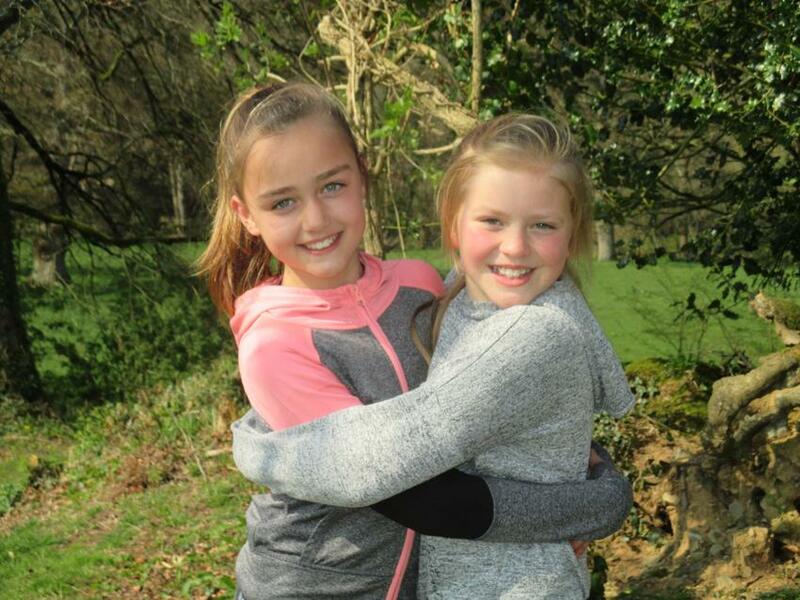 "What were their clothes made of?" 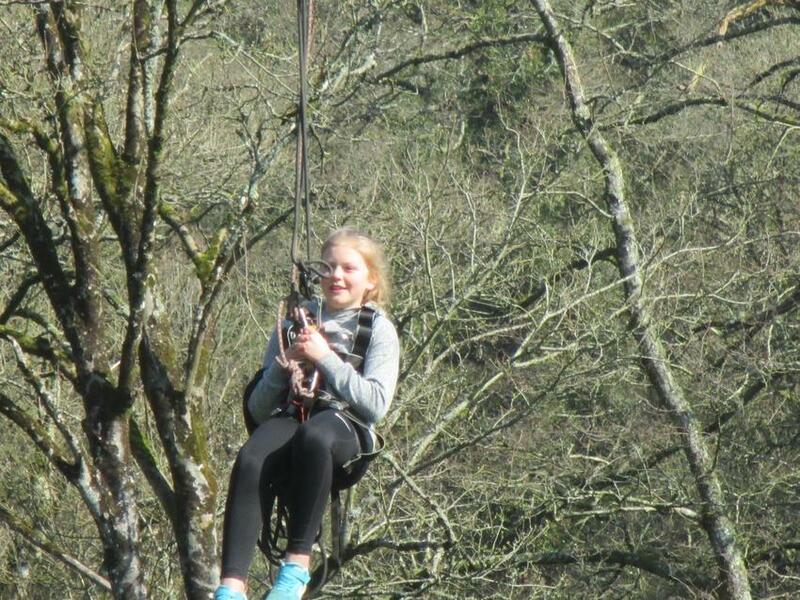 "How much did things cost?" 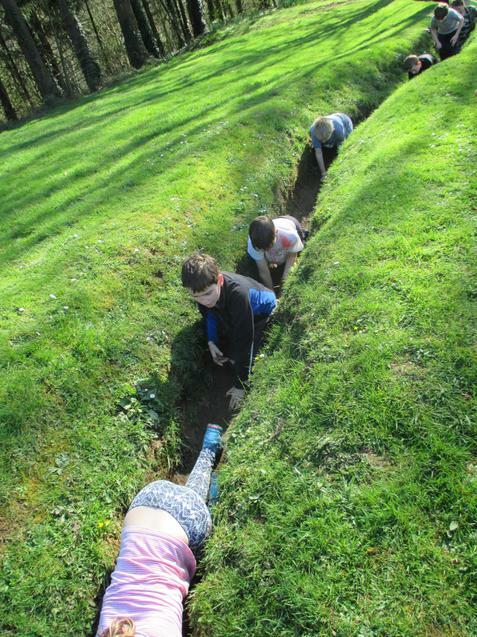 "Did they invent anything we still use today?" 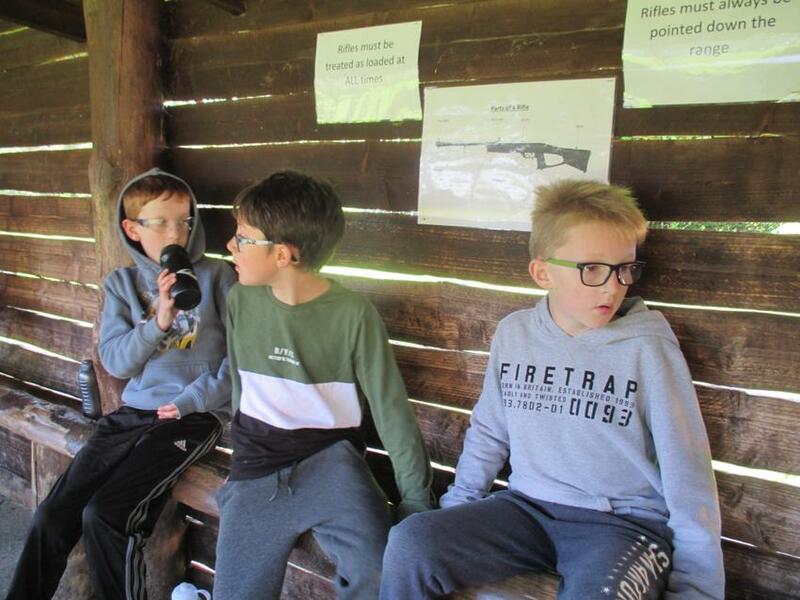 "What weapons did they use?" 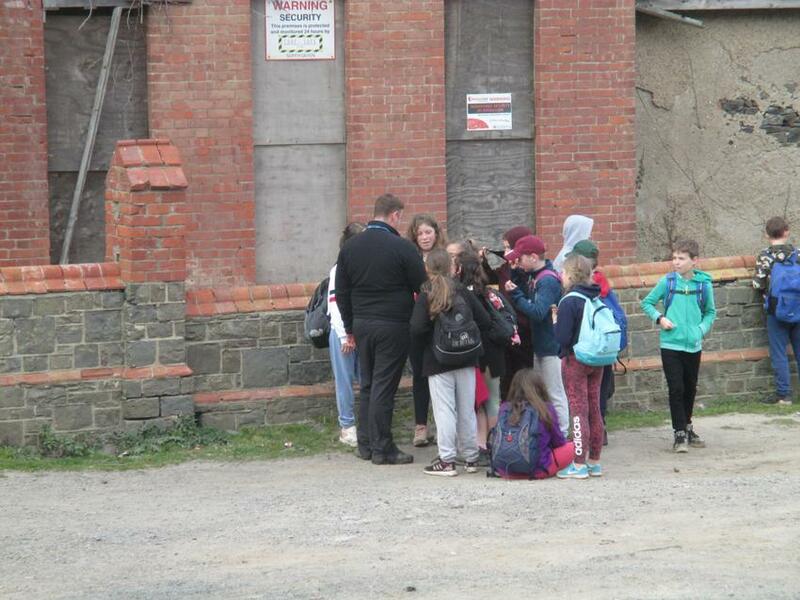 "How did they get their food?"